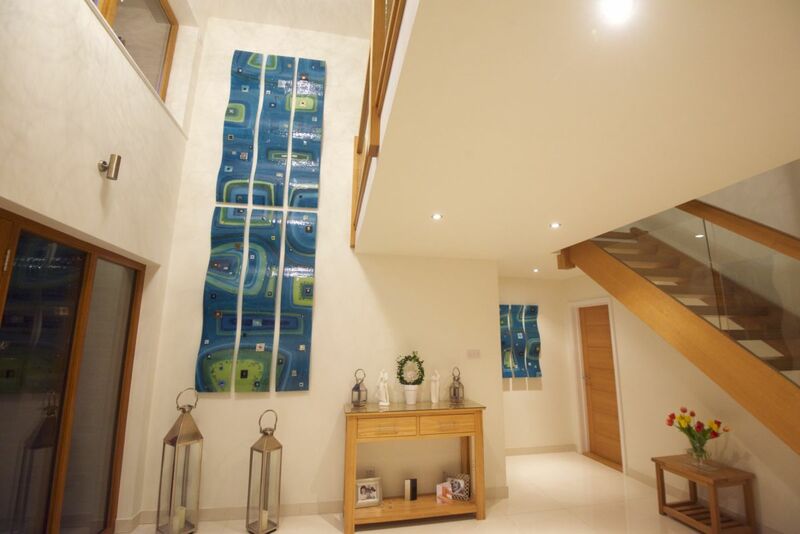 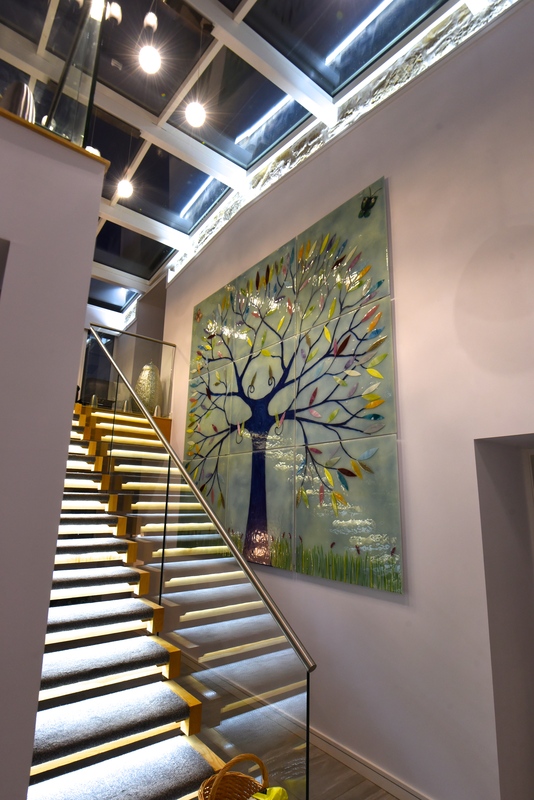 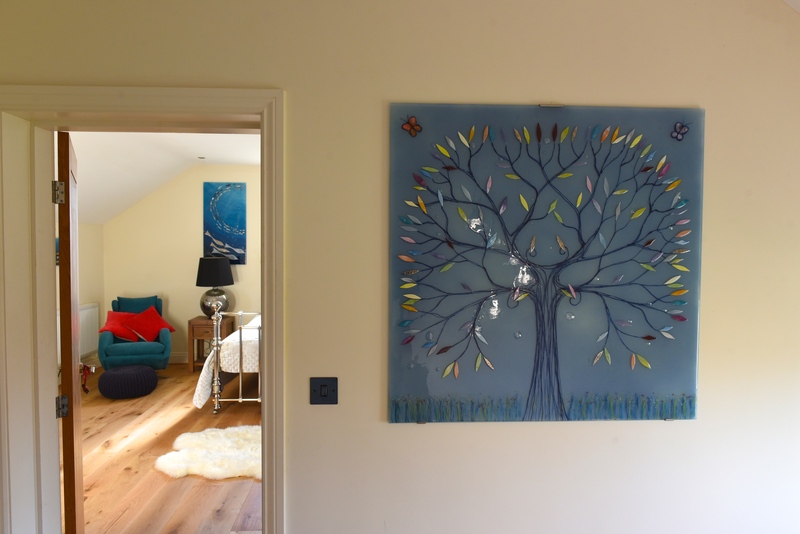 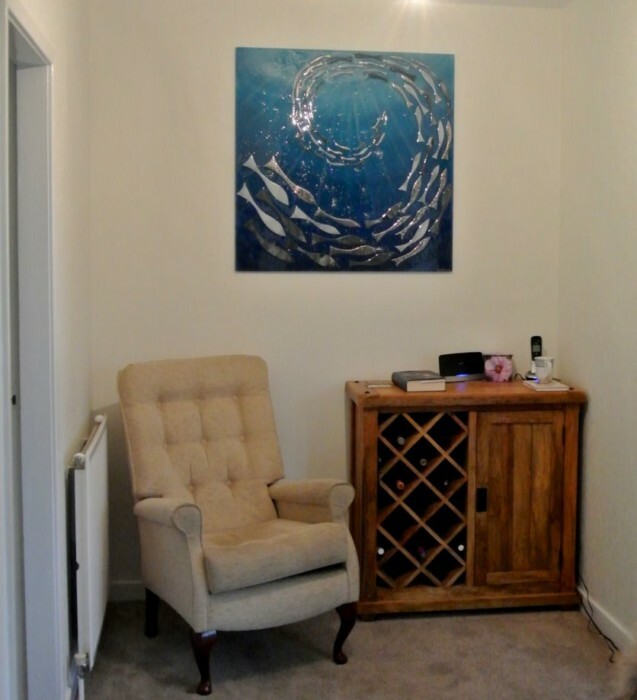 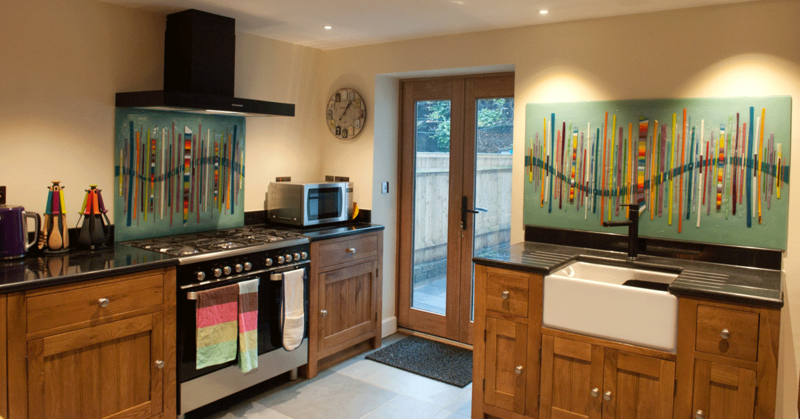 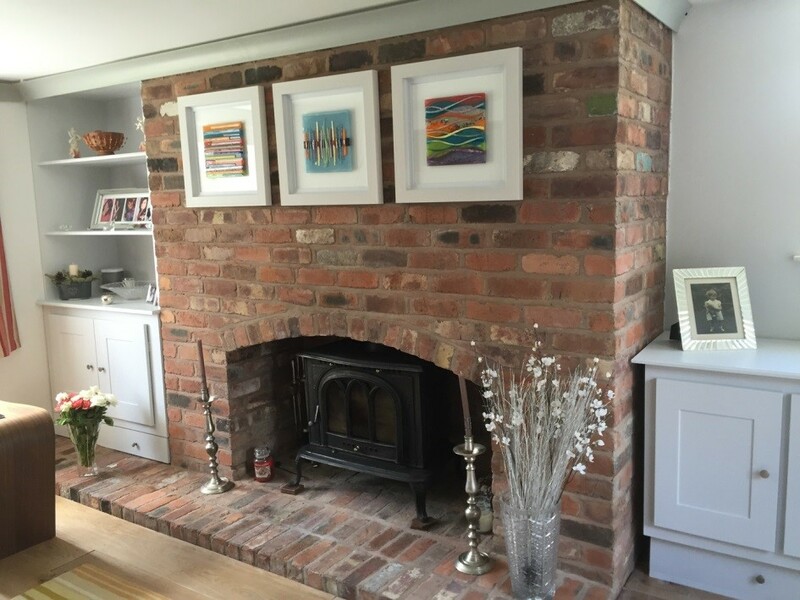 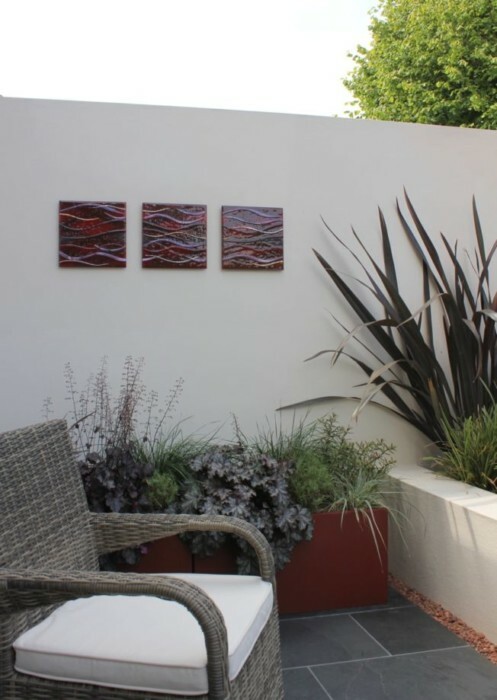 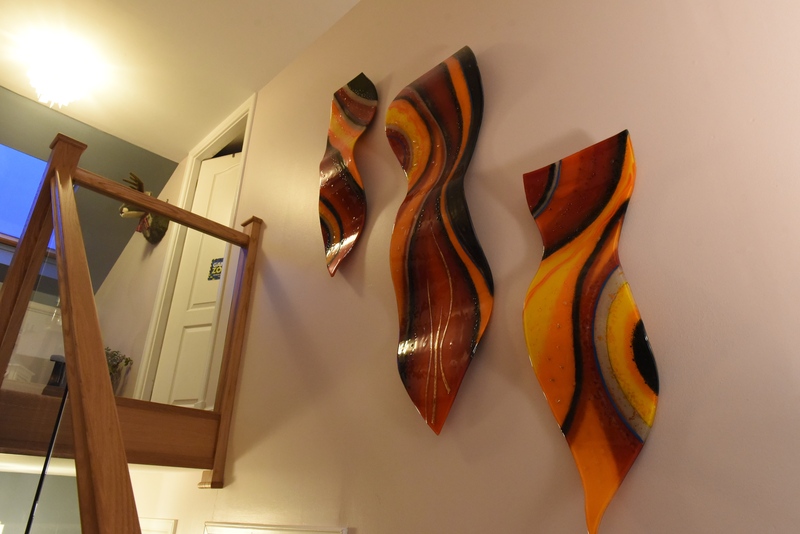 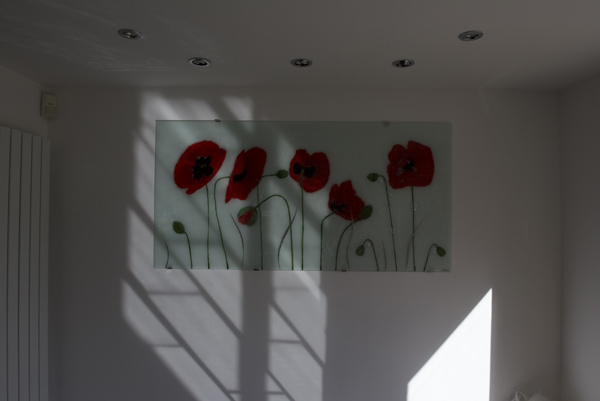 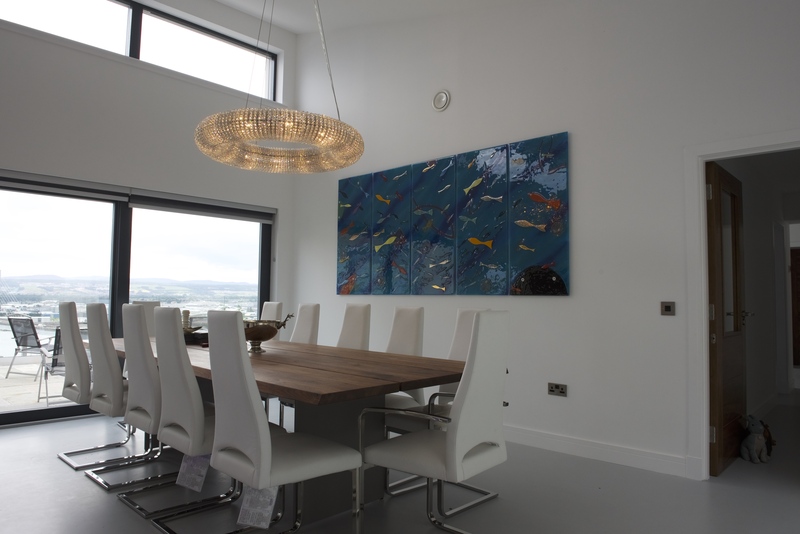 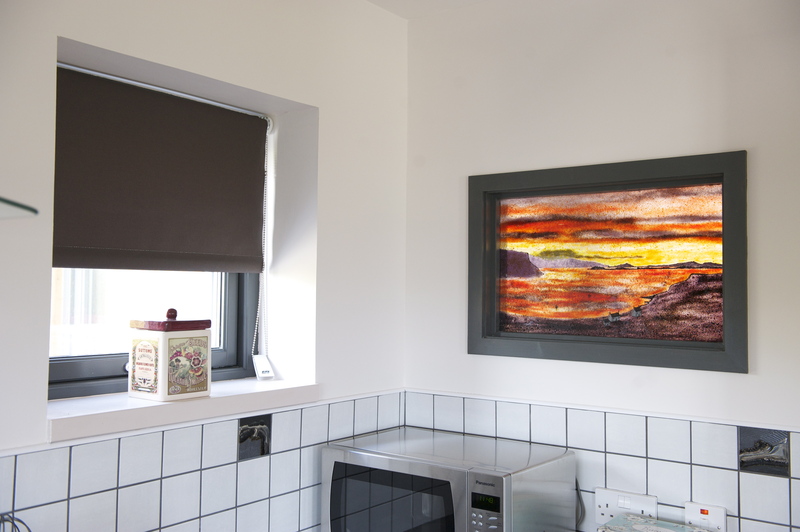 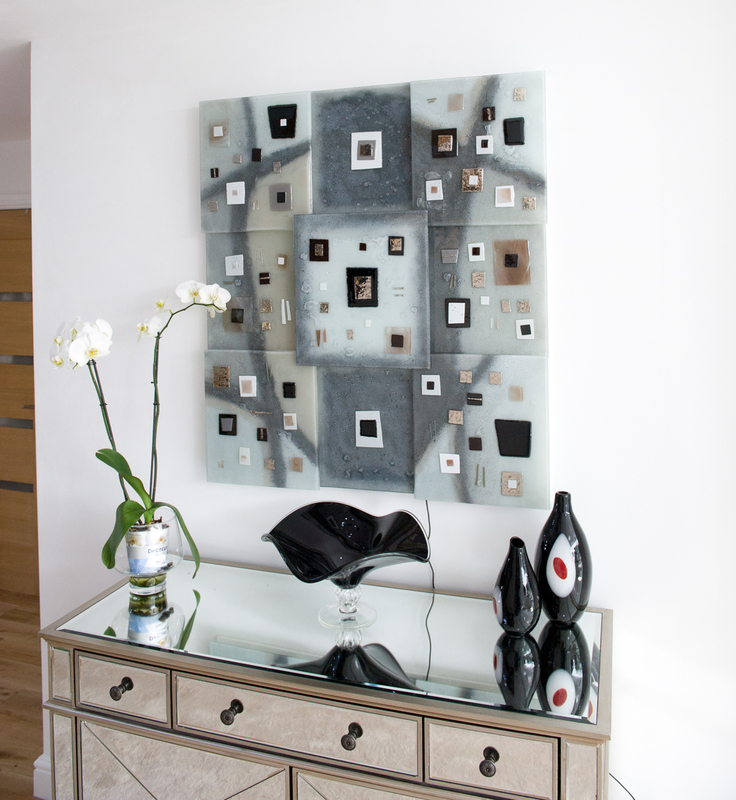 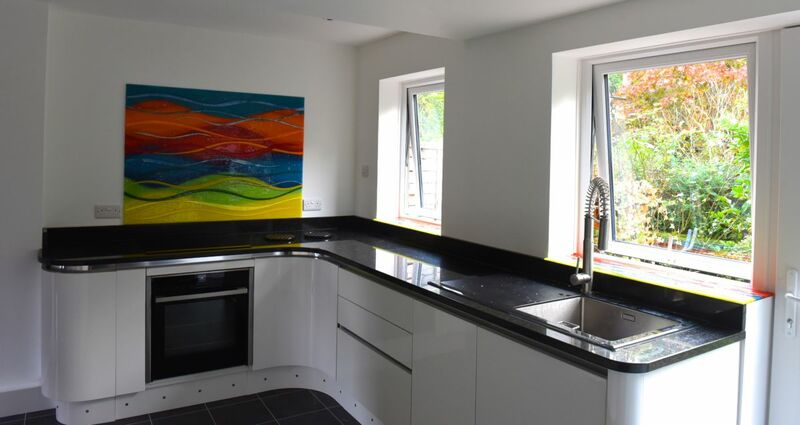 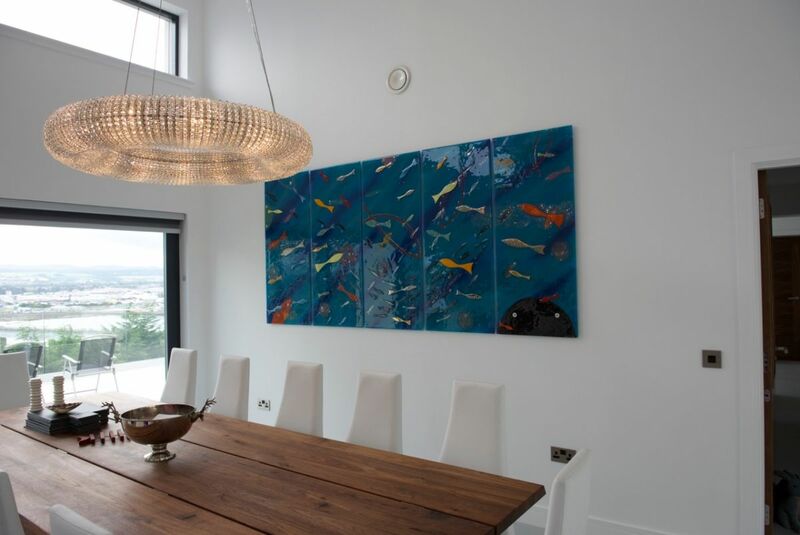 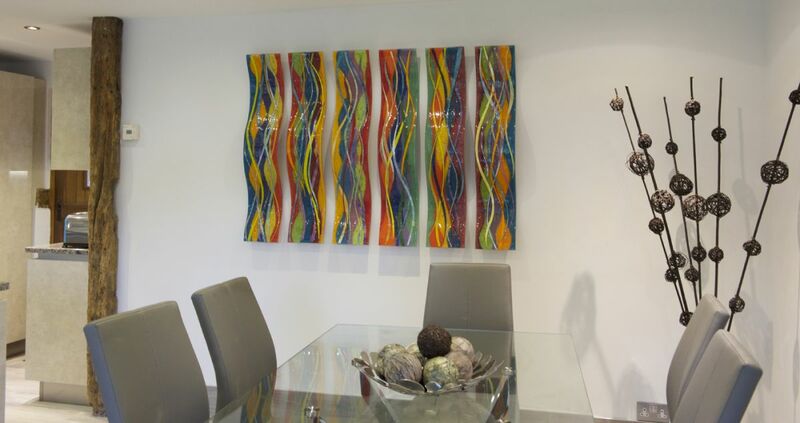 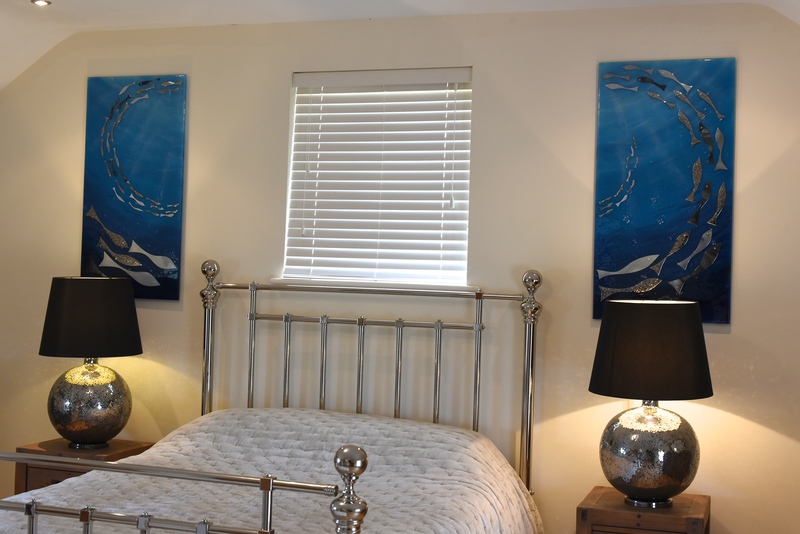 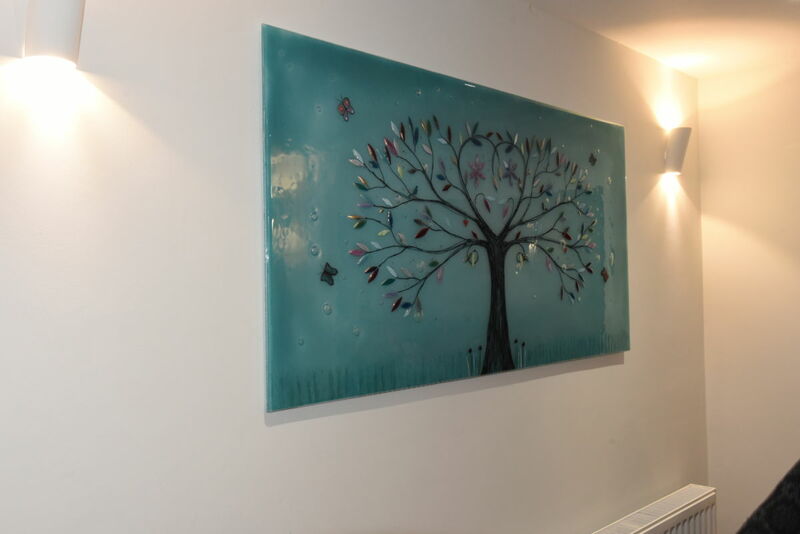 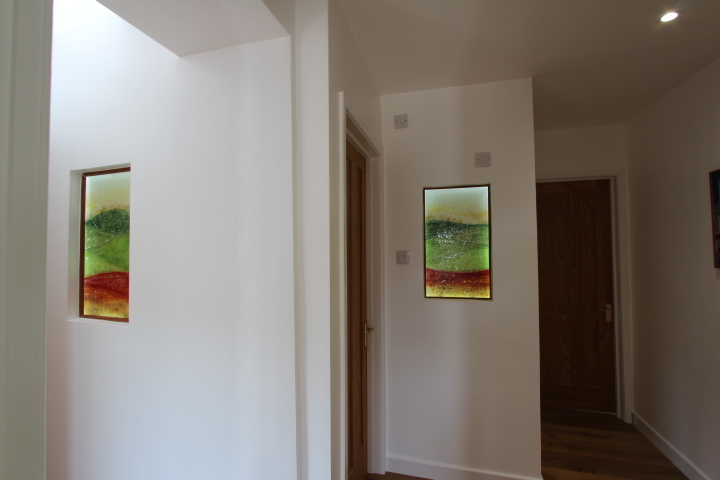 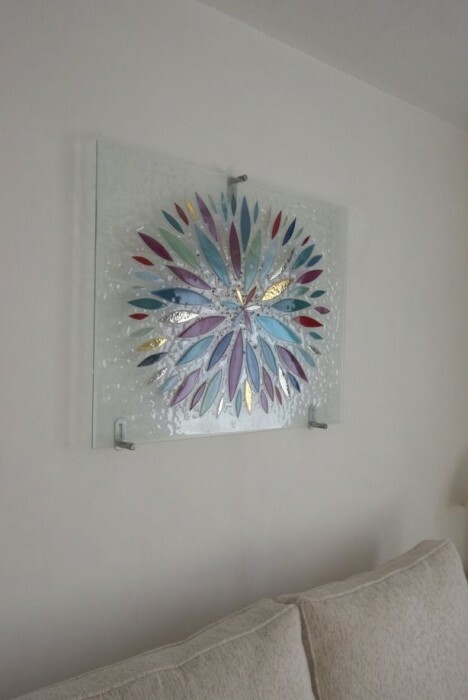 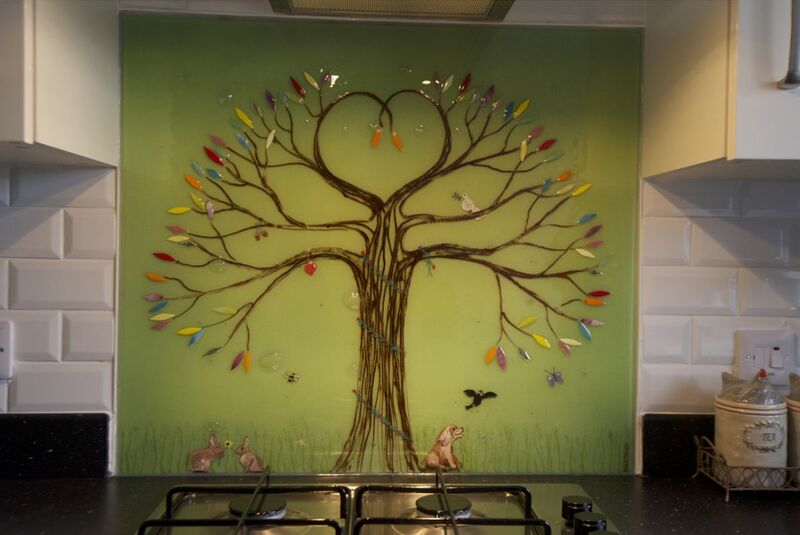 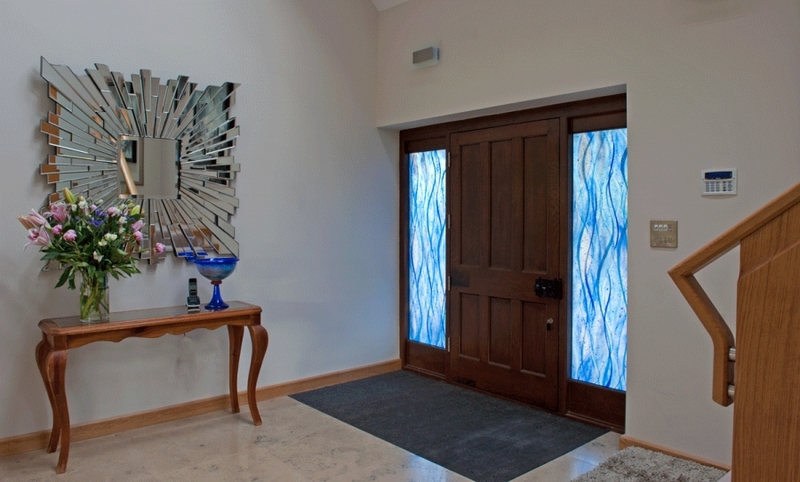 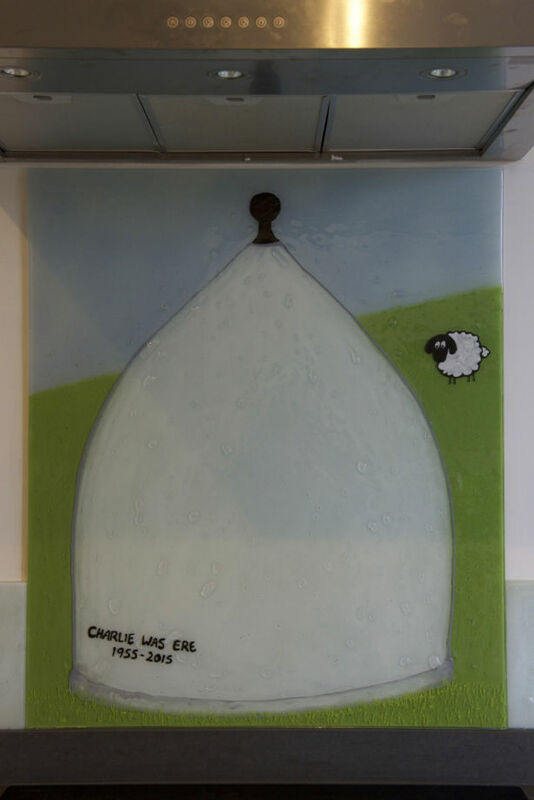 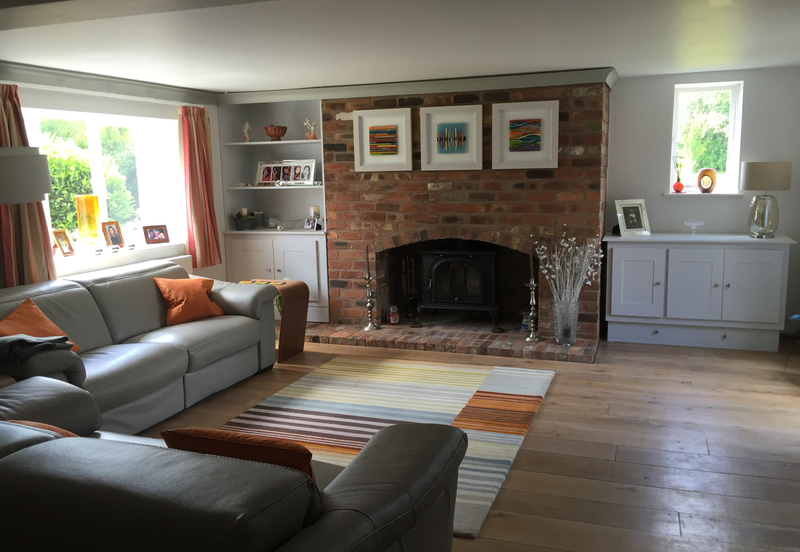 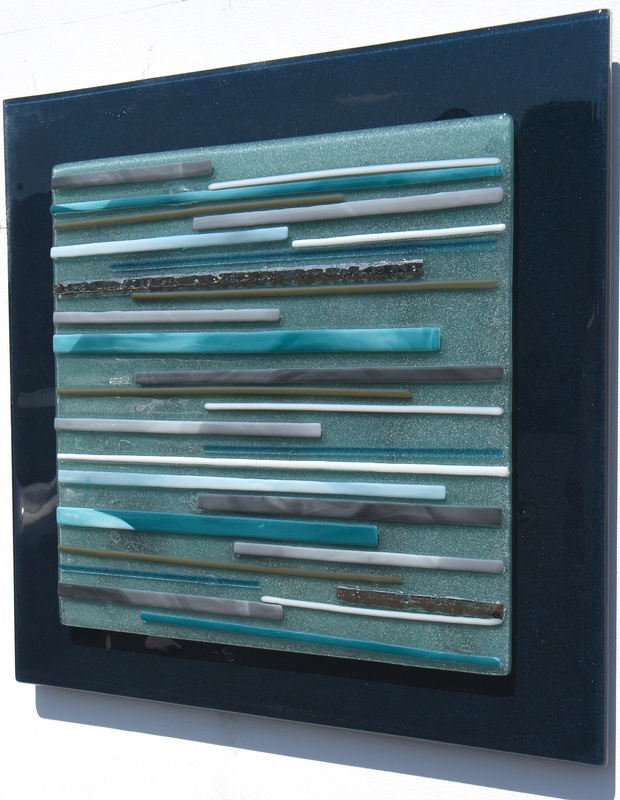 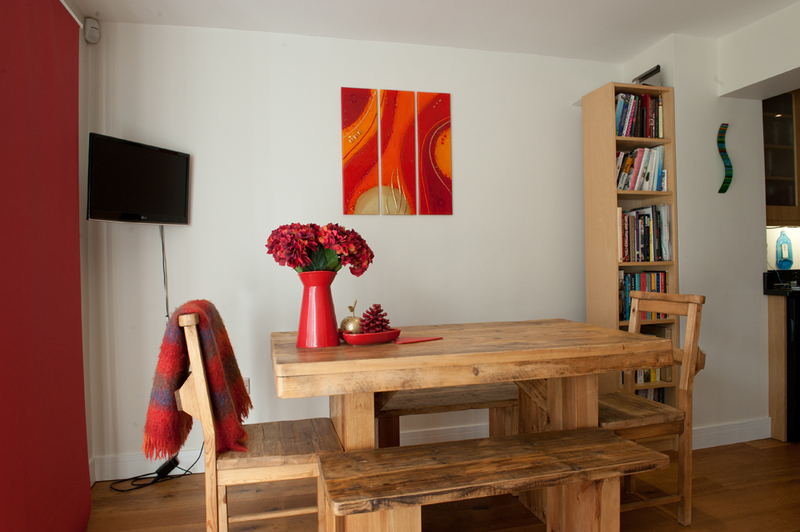 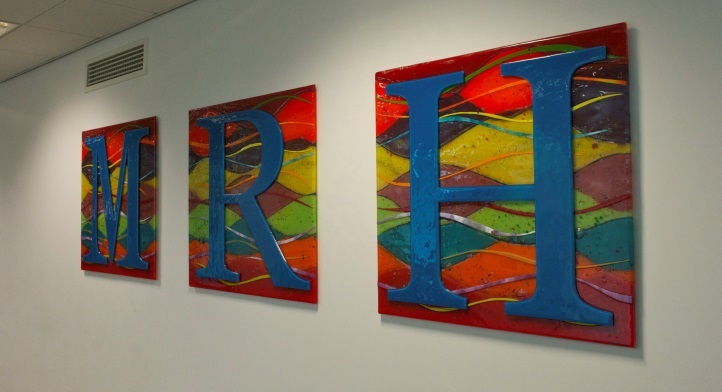 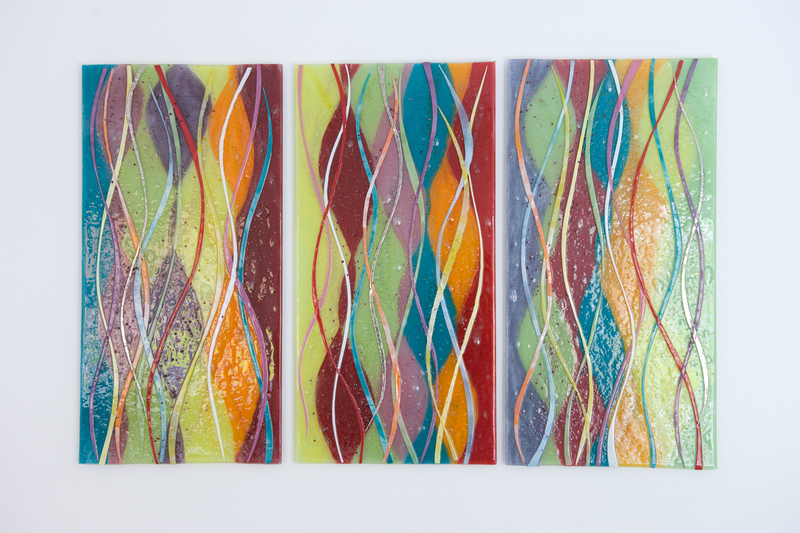 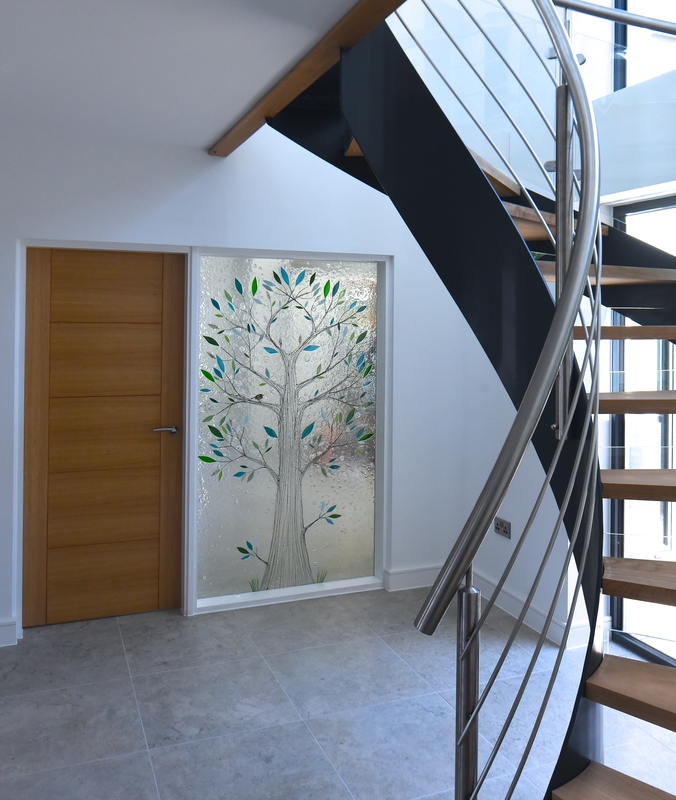 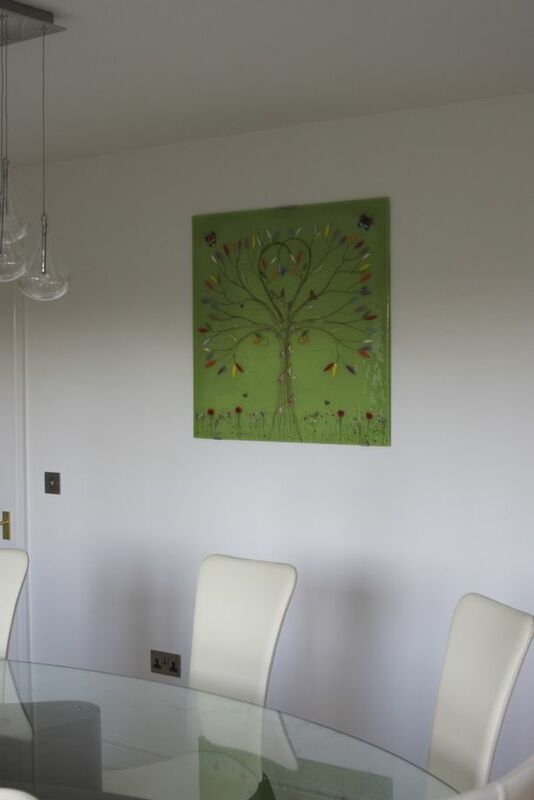 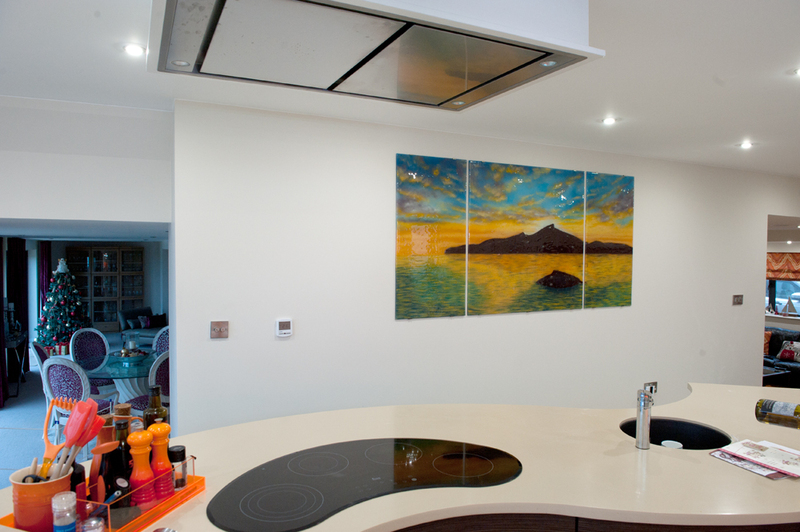 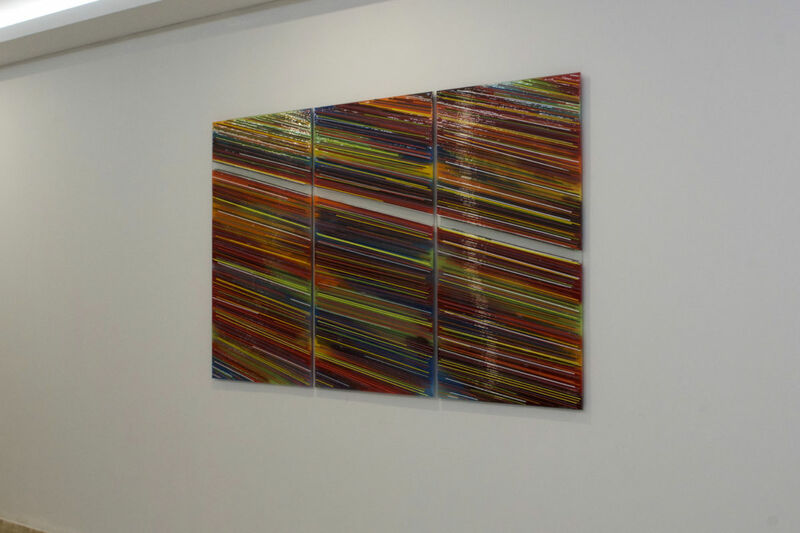 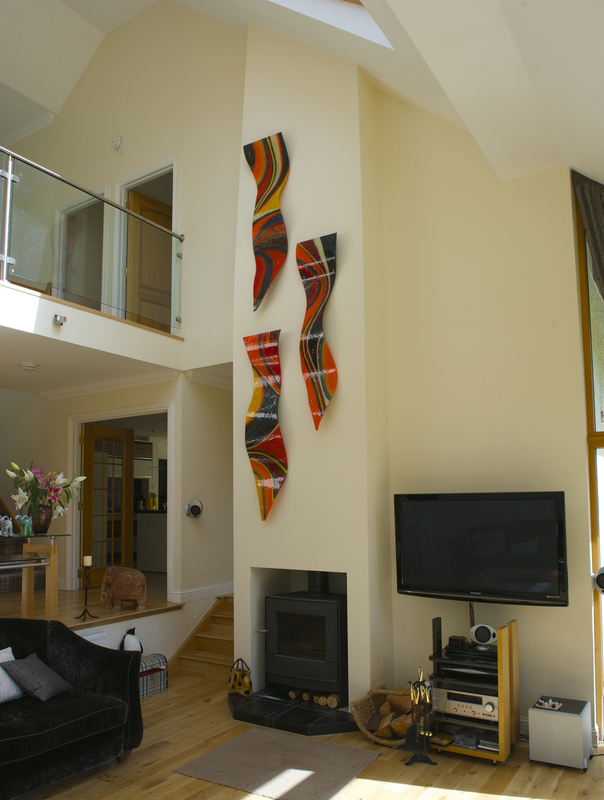 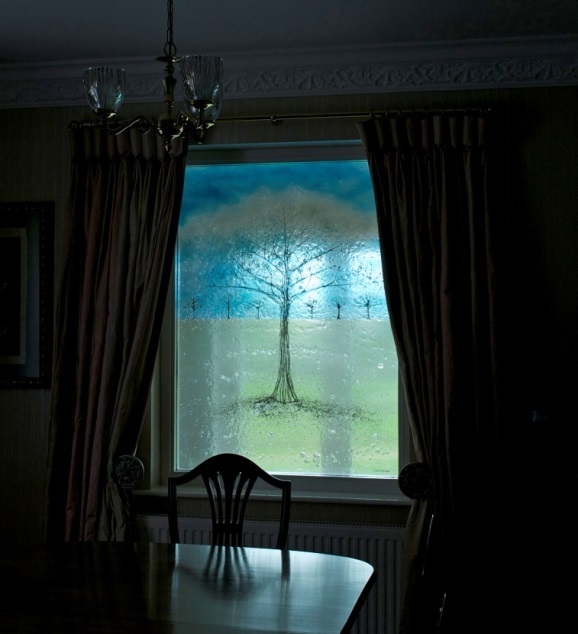 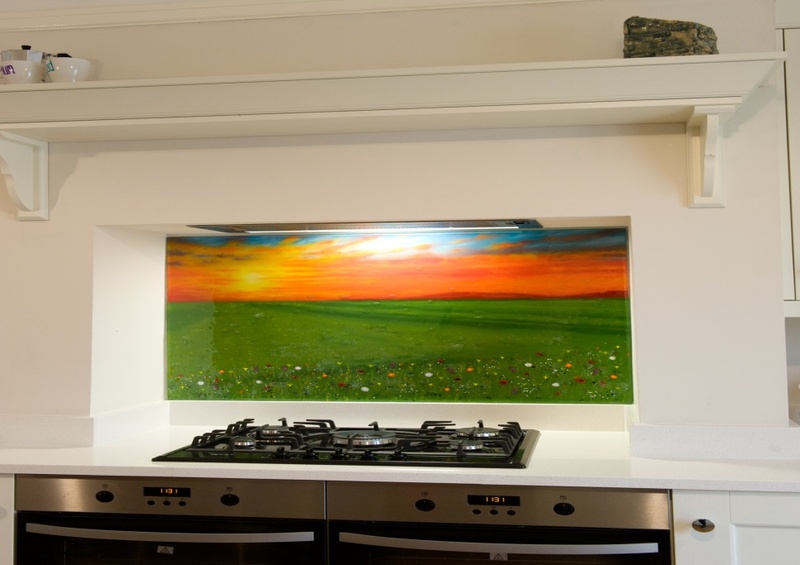 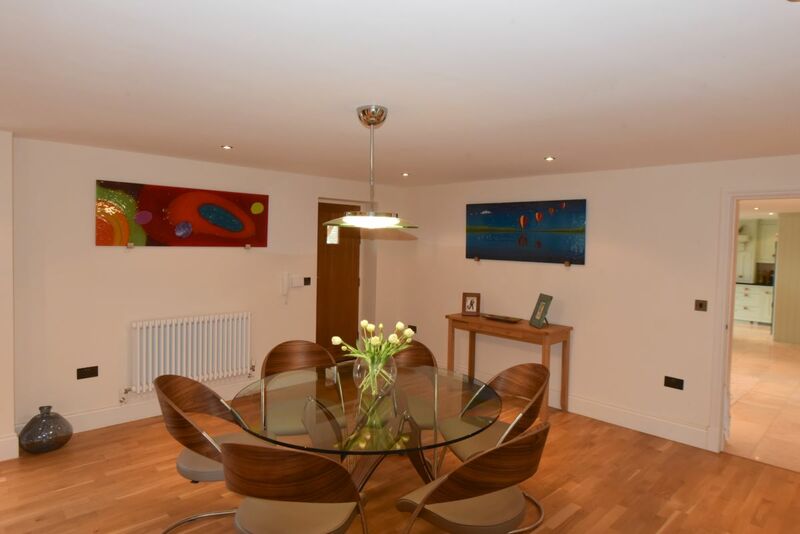 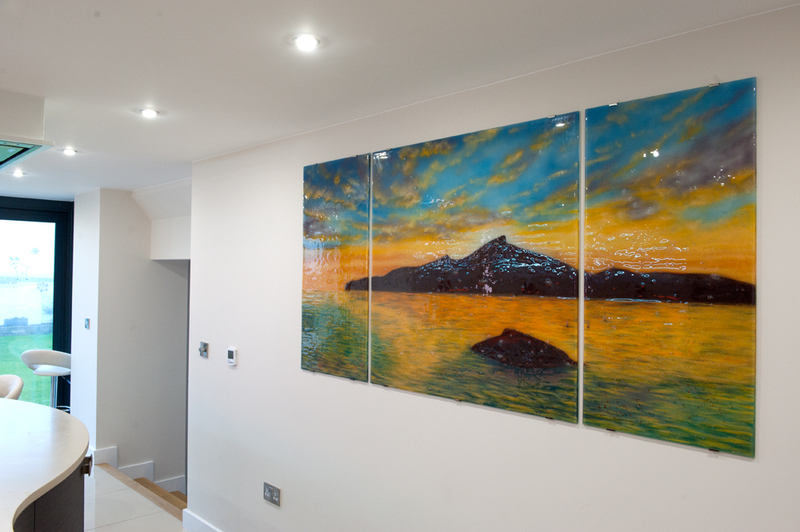 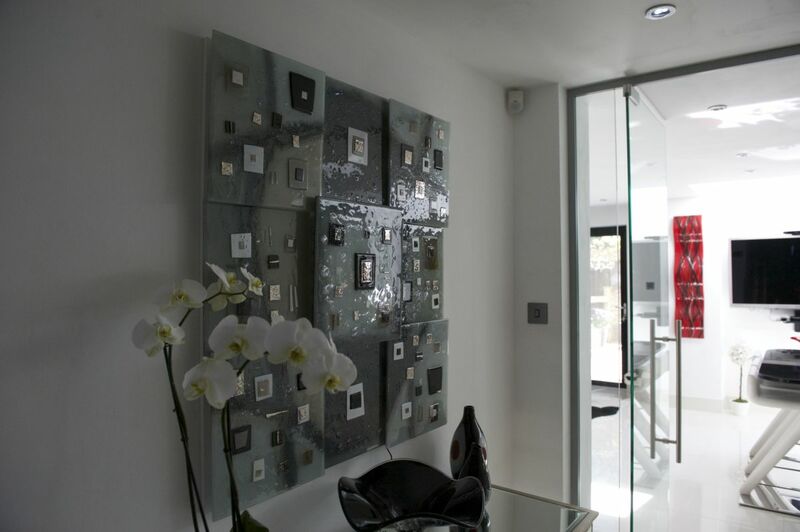 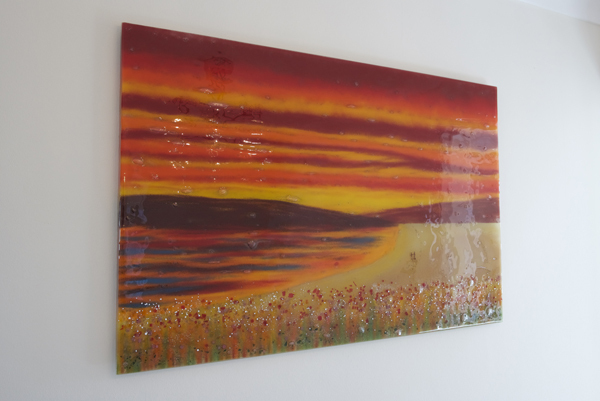 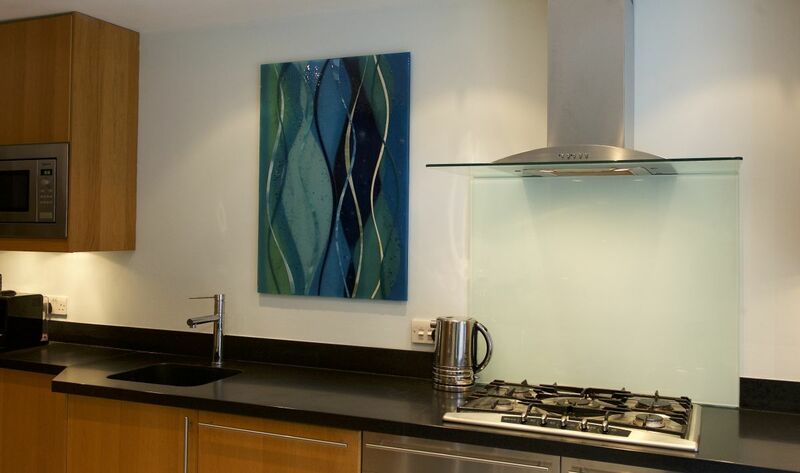 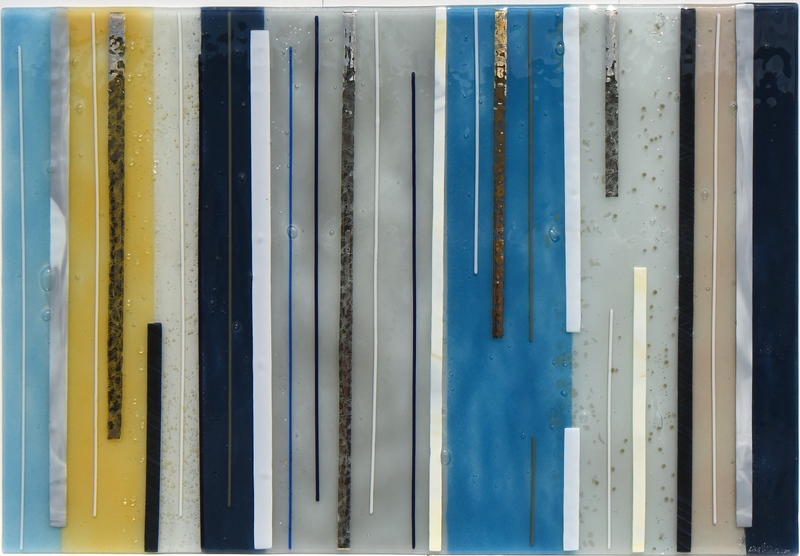 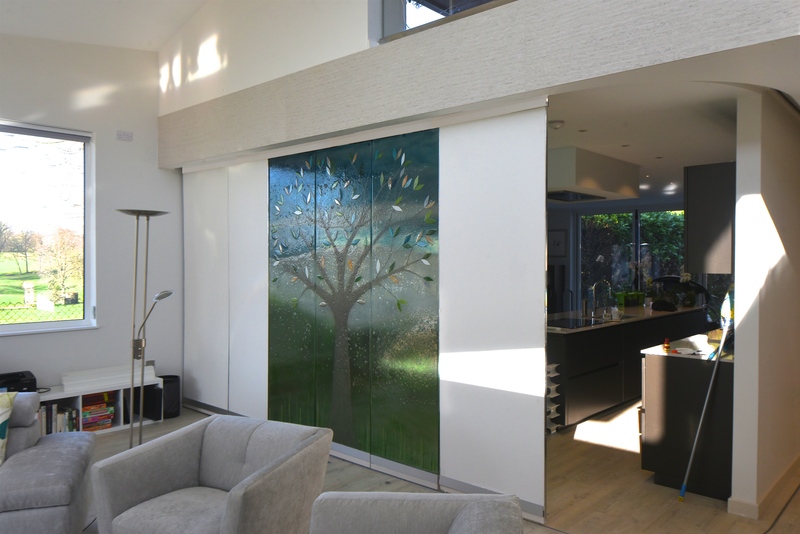 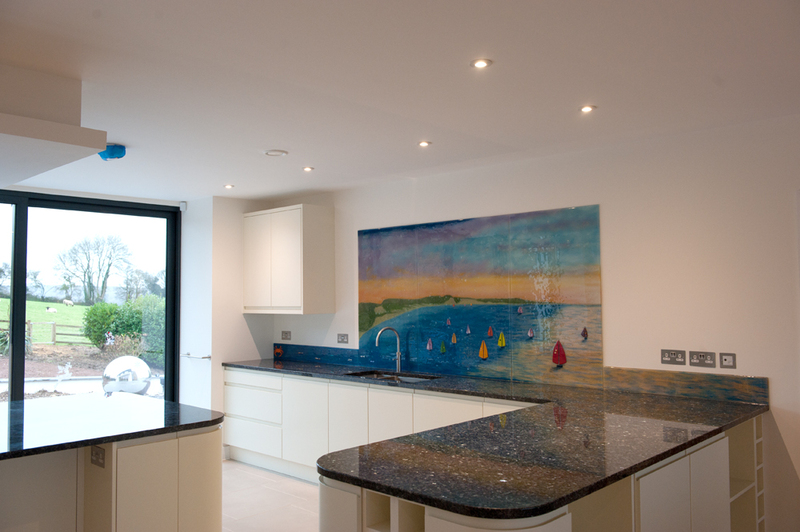 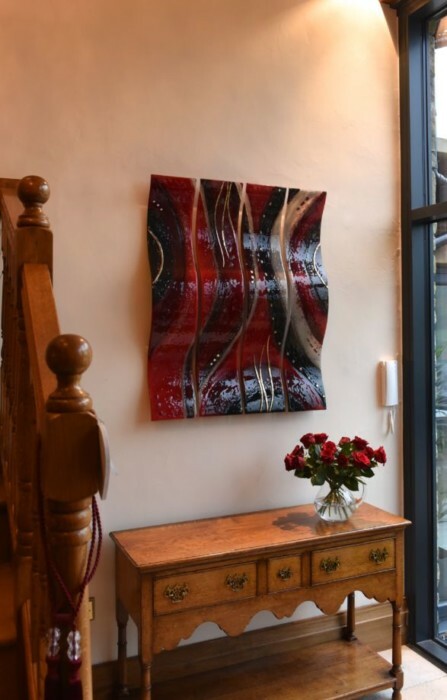 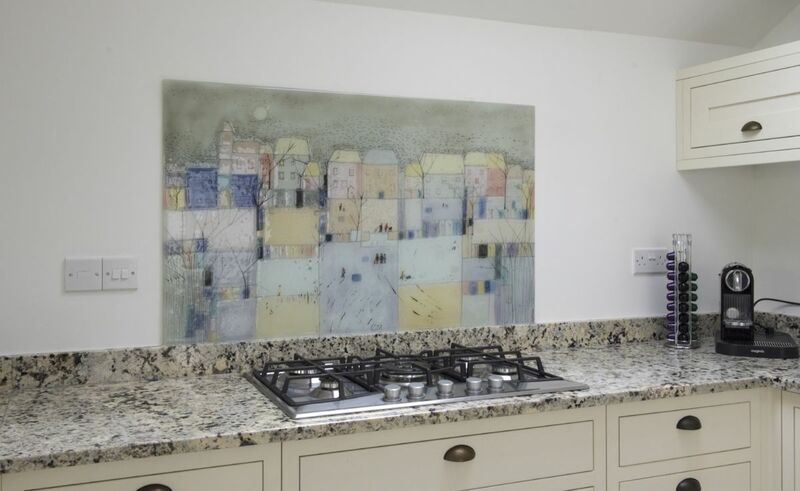 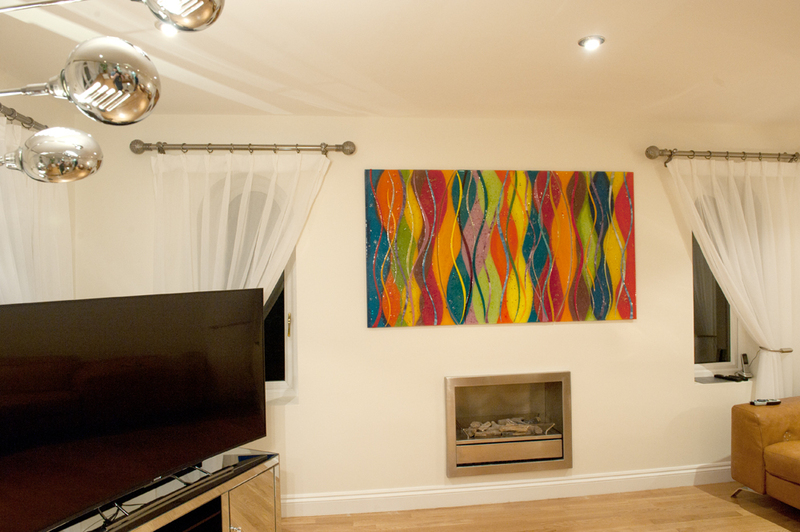 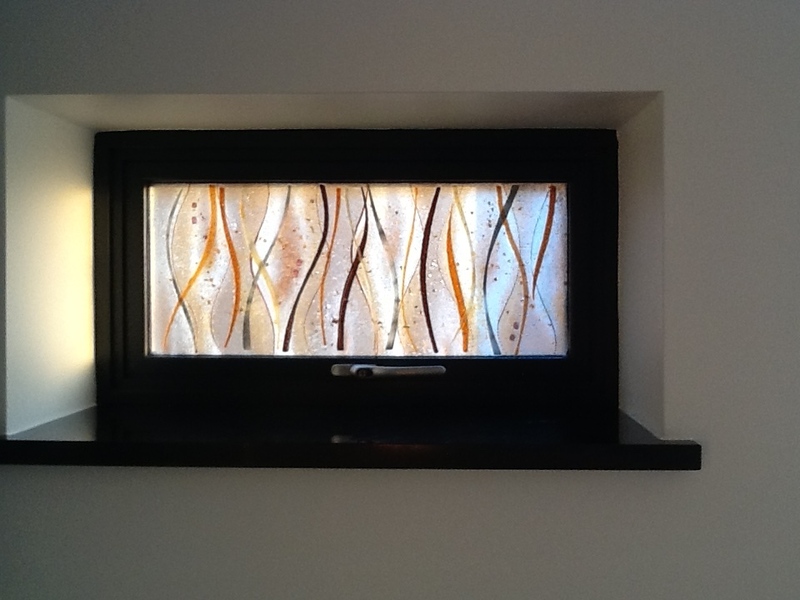 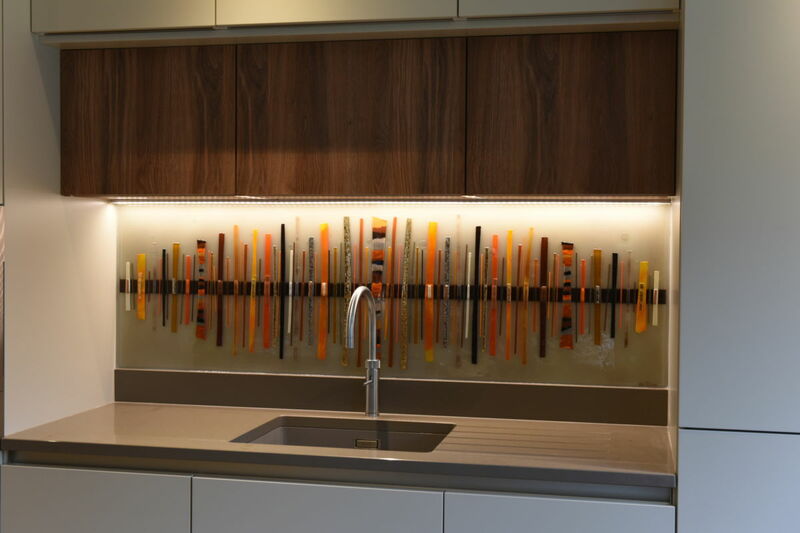 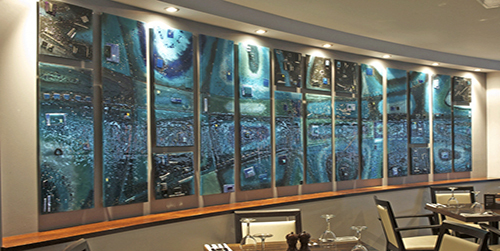 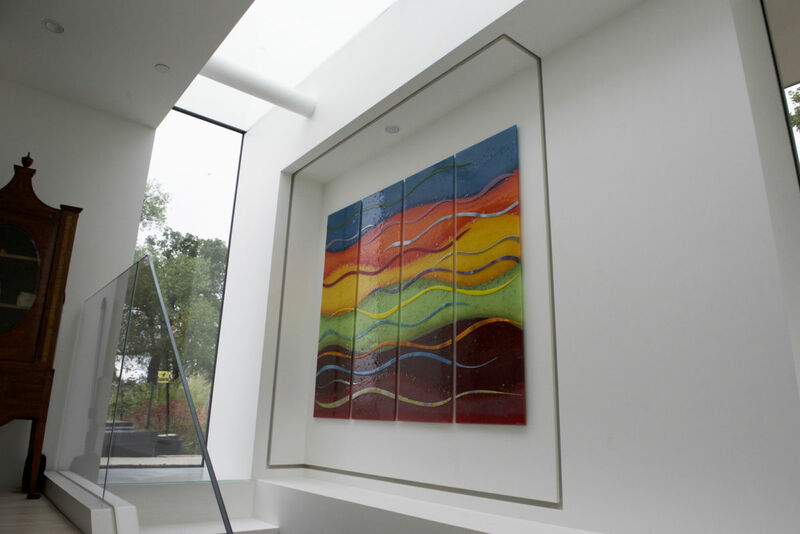 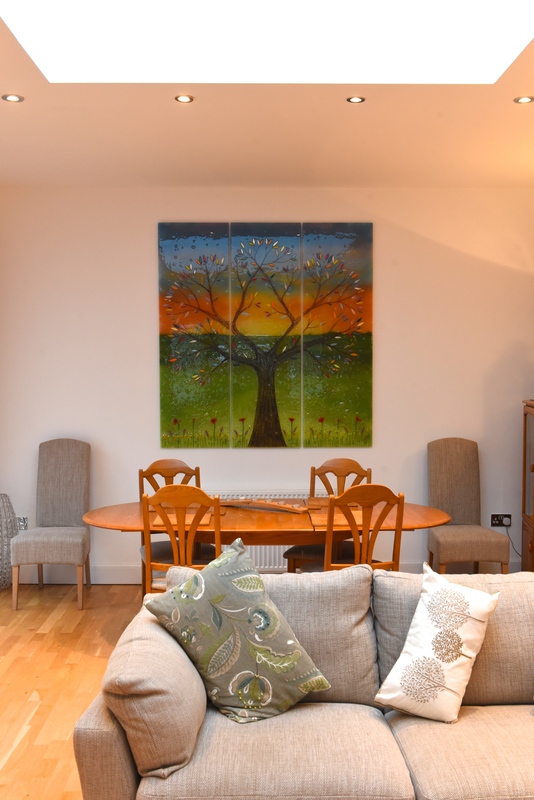 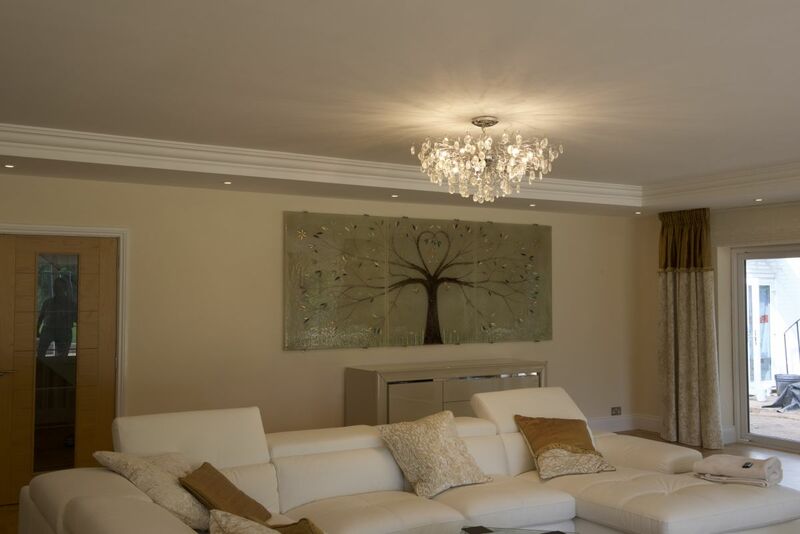 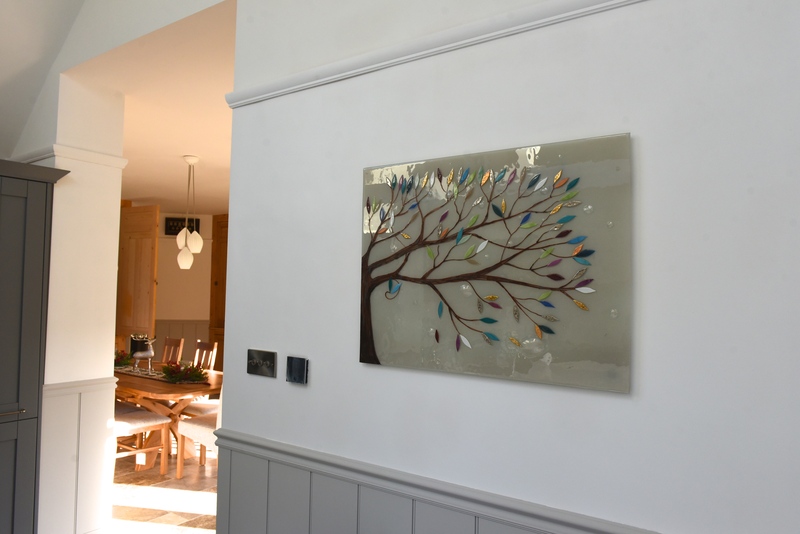 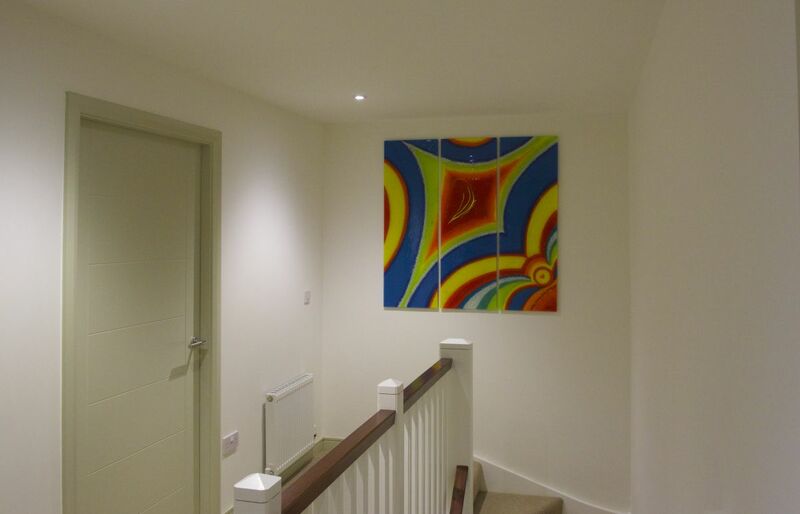 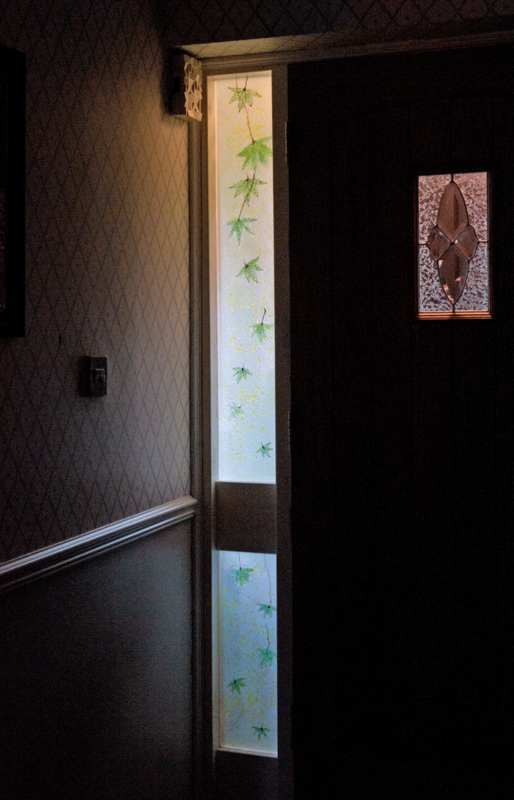 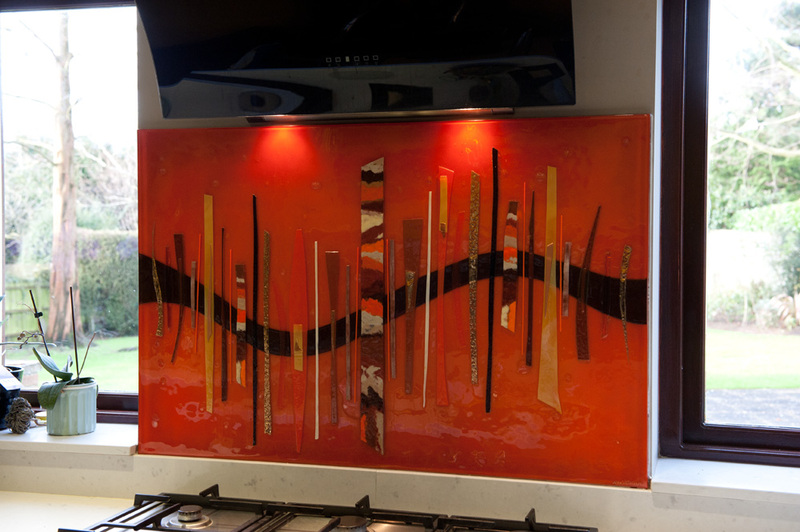 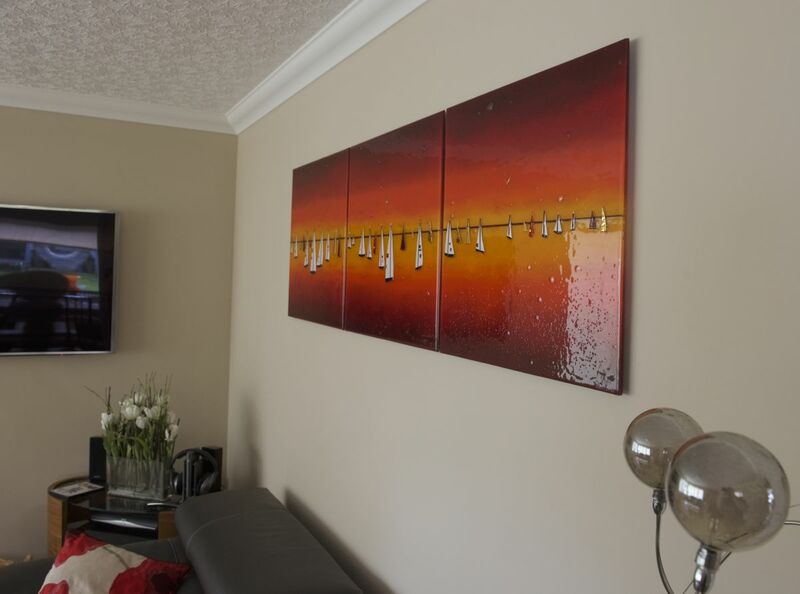 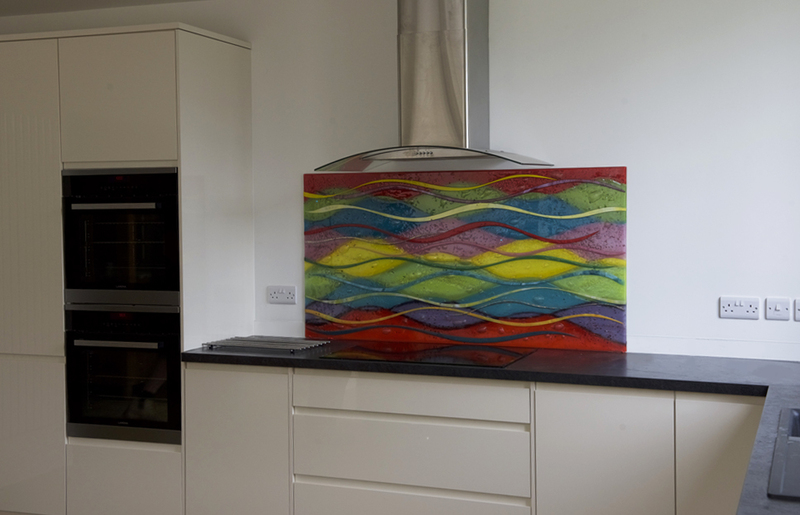 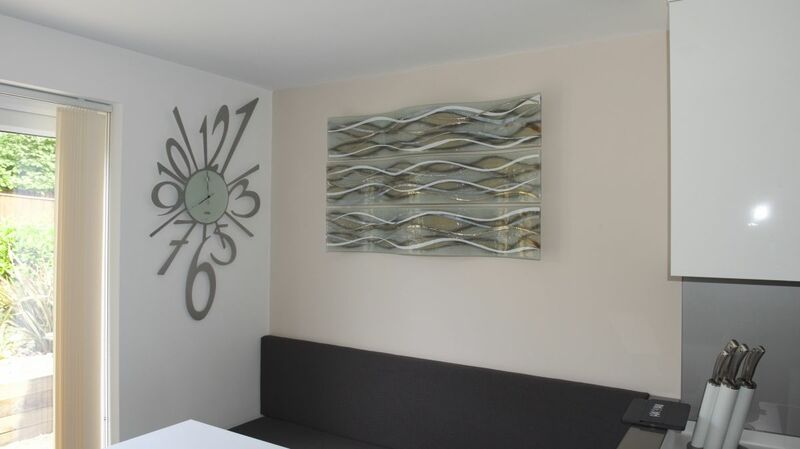 Recently delivered to a house in Hale, this gorgeous fused glass art definitely found the right home. 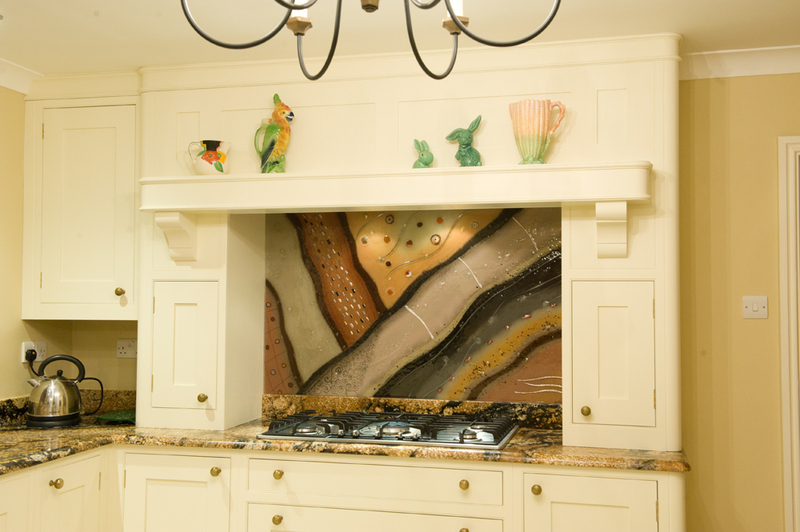 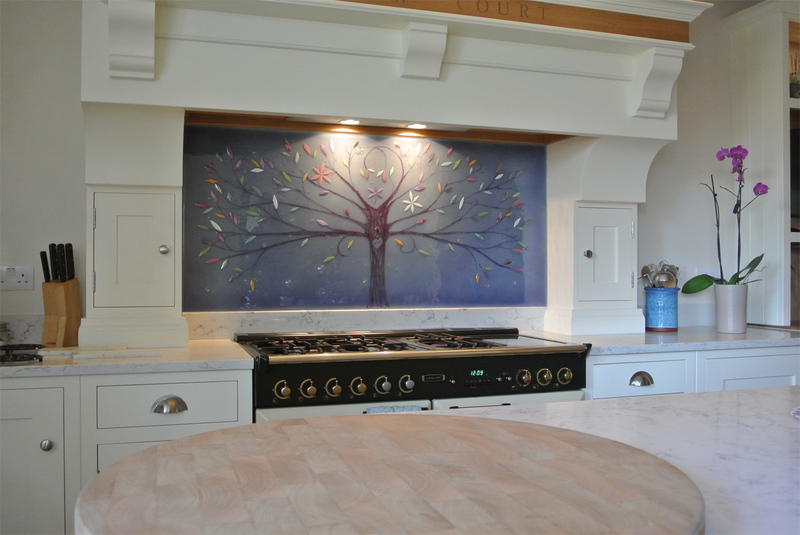 The first panel can be seen above, filling out the back wall of the kitchen with a unique twist on our classic Dalaman style. 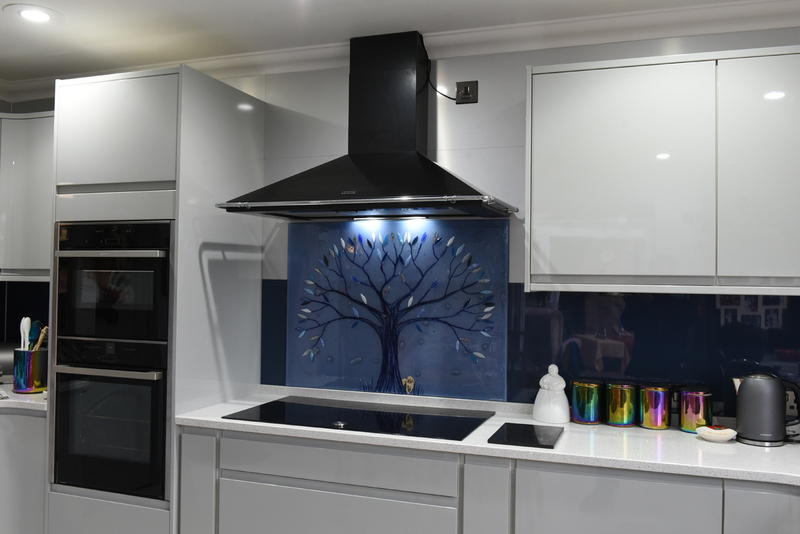 A background of stone silver is brought to life by the addition of deep blues, lush greens and bright white accents that perfectly complement the surrounding décor and help to skilfully inject a little bit of colour into an otherwise very neutral space. 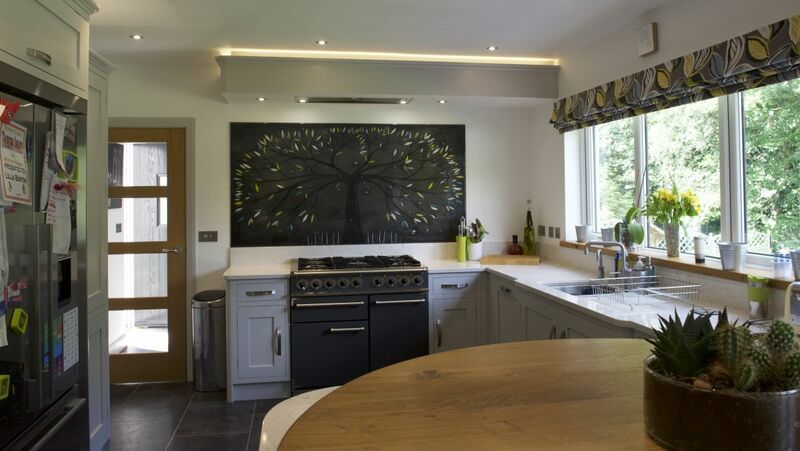 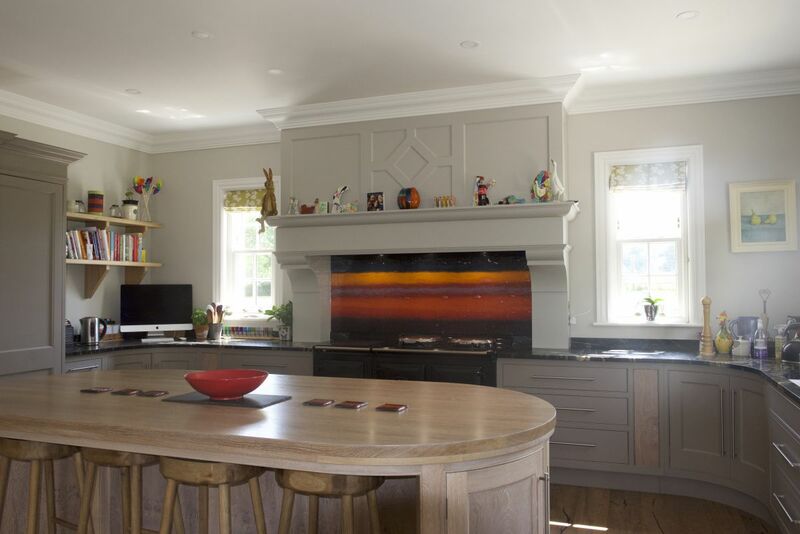 There’s more than just one panel to feast your eyes on when you enter this particular kitchen, however, with the centrepiece of the room sitting beautifully in a recessed alcove. 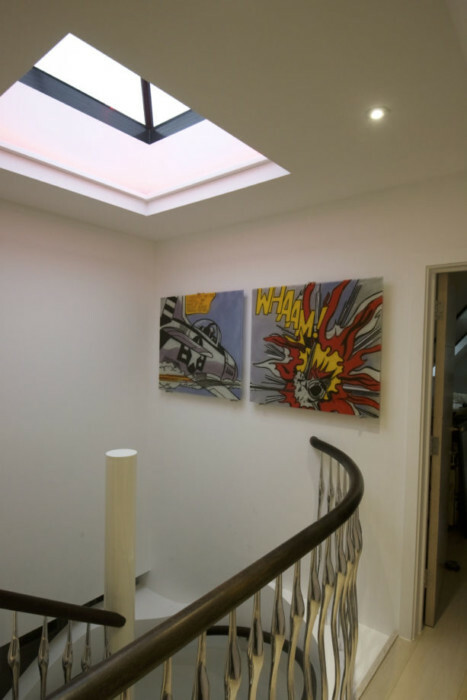 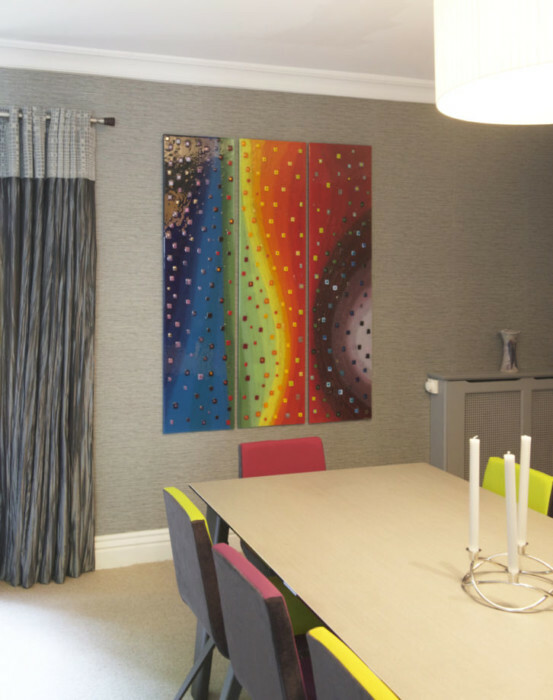 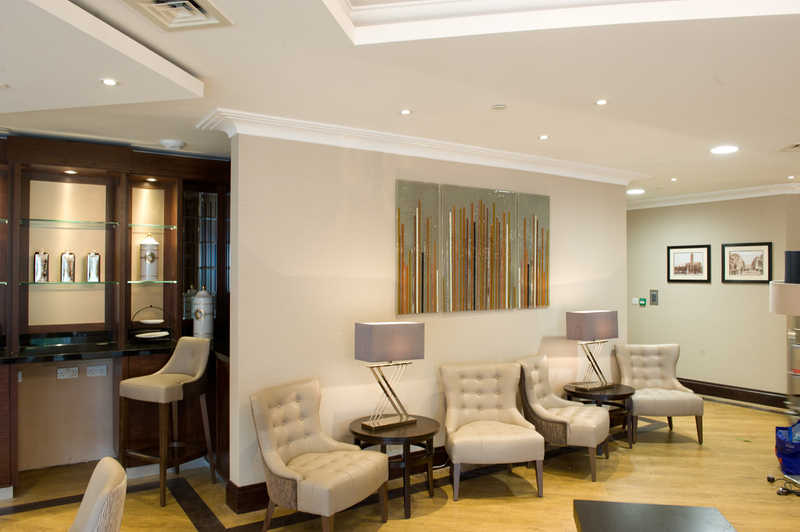 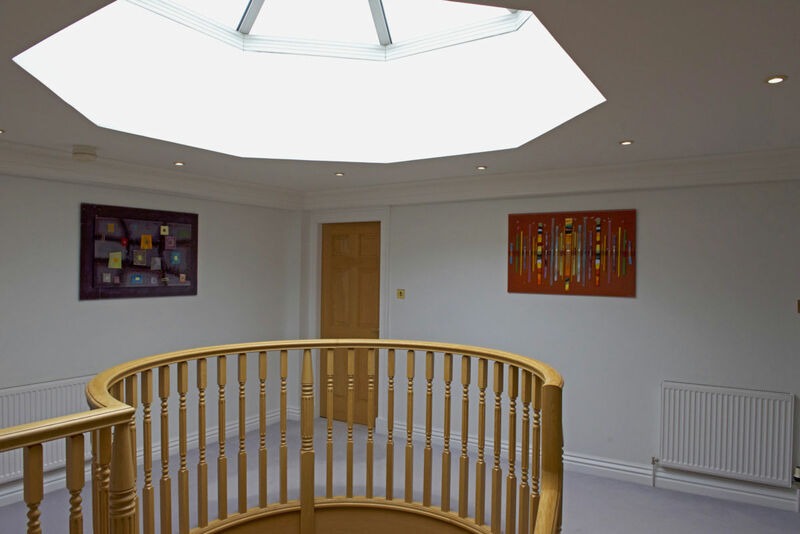 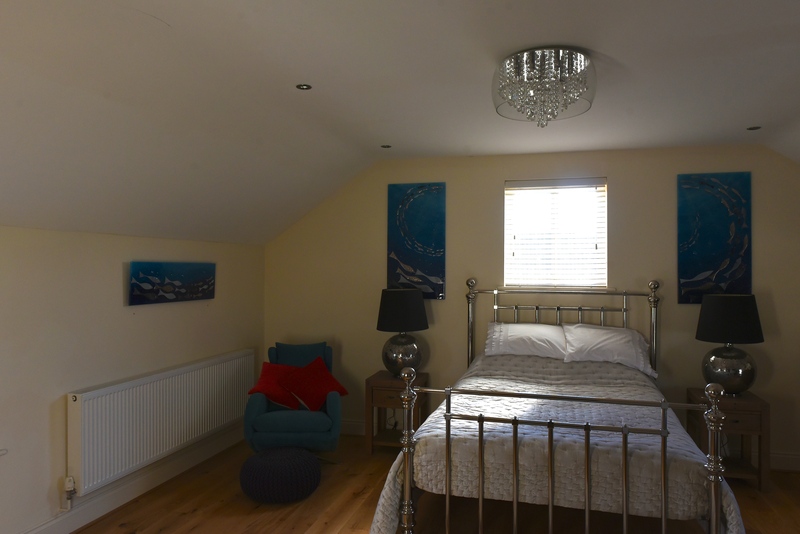 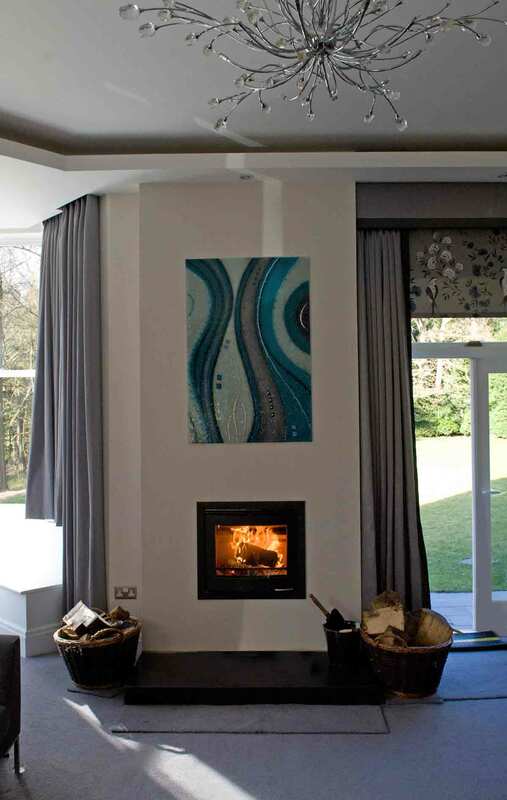 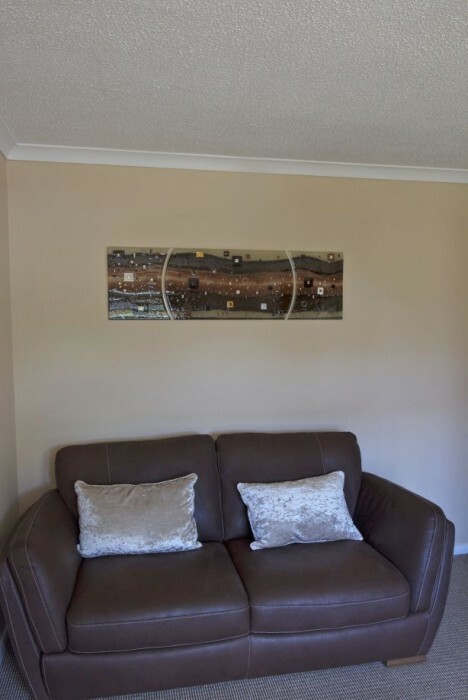 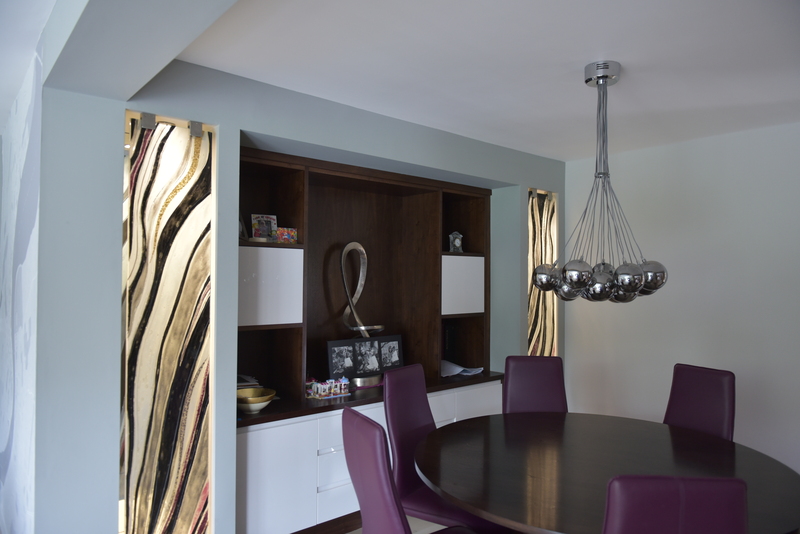 Perfectly matching surrounding pieces make for an incredible effect, allowing the panel to follow the contours of the space and create a very polished look worthy of the modern style of the room. 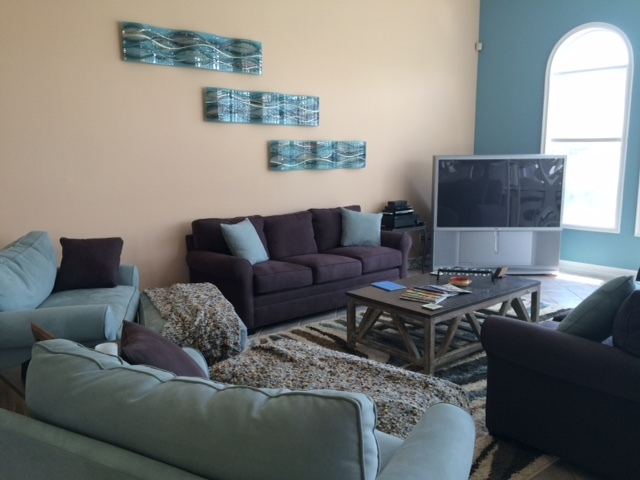 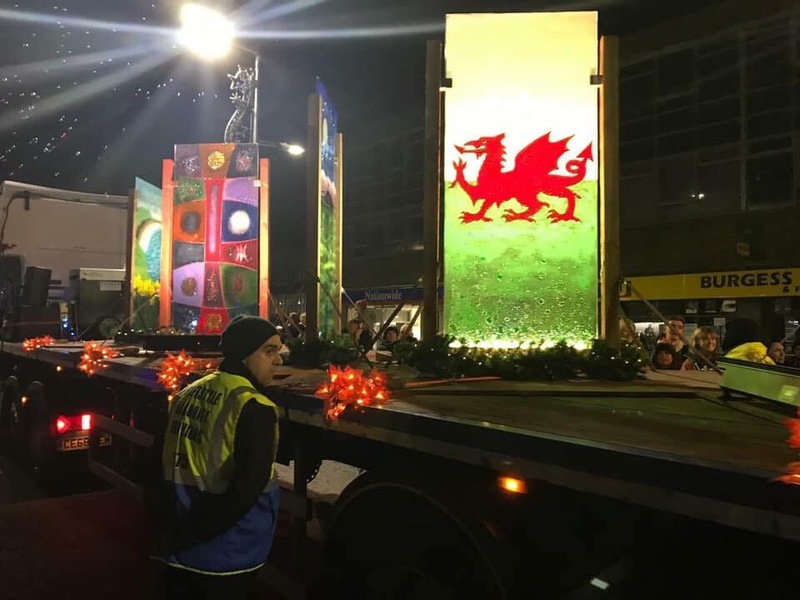 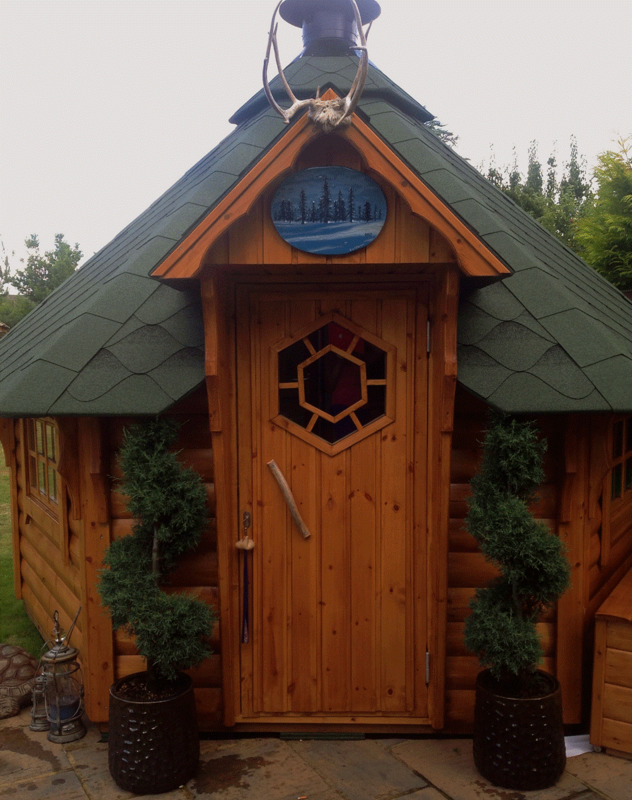 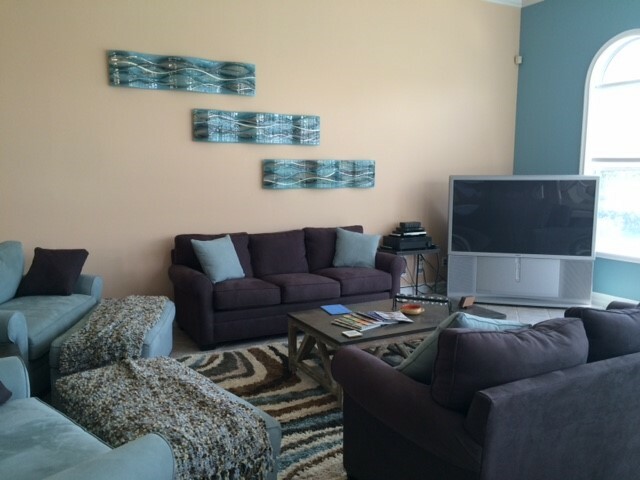 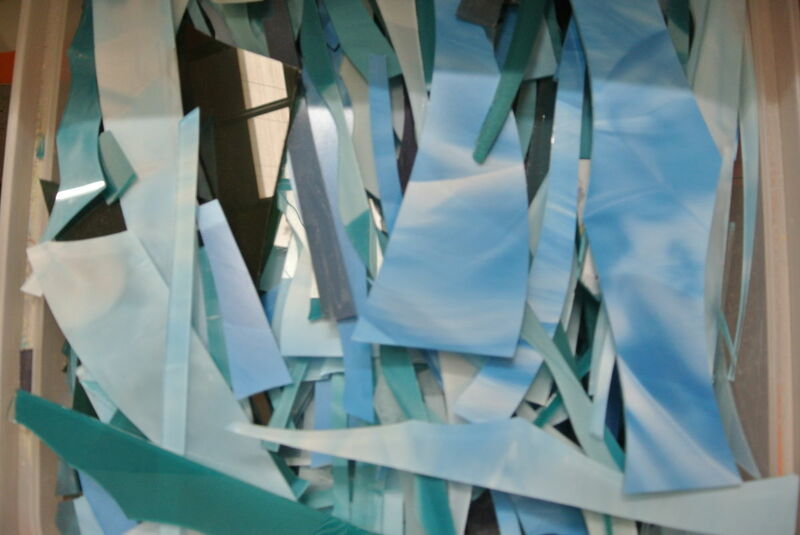 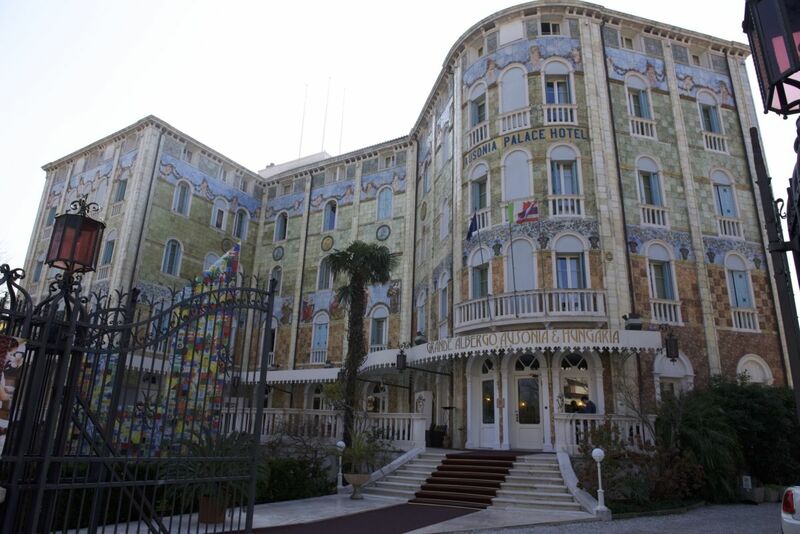 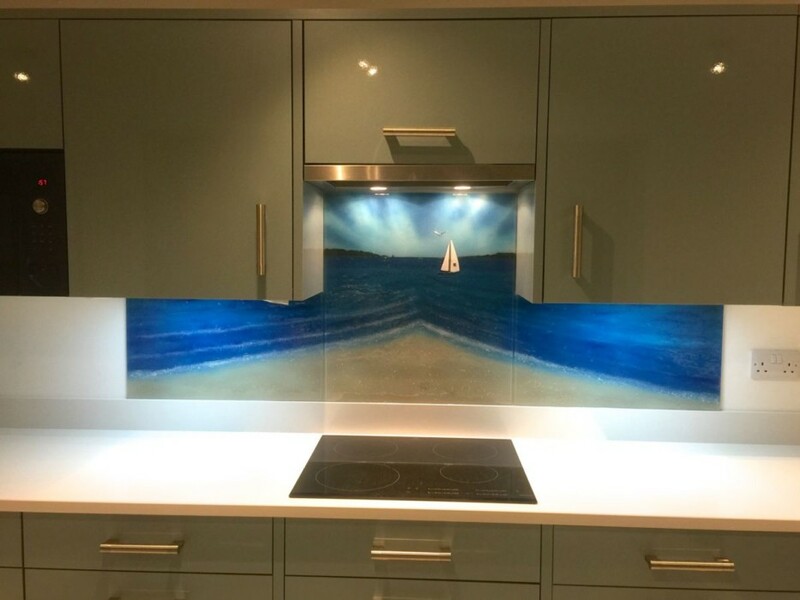 The panels work together to make a truly spectacular end result. 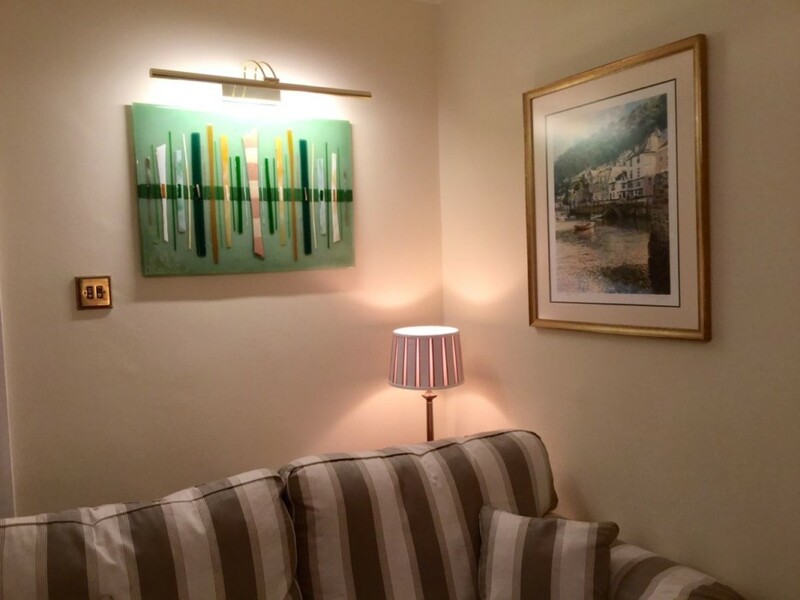 One piece sits out in the open, while the other sits nestled in its alcove. 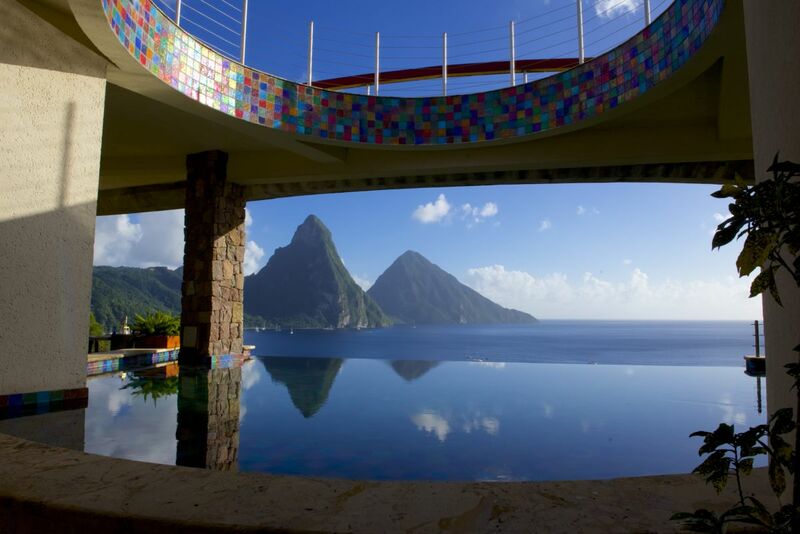 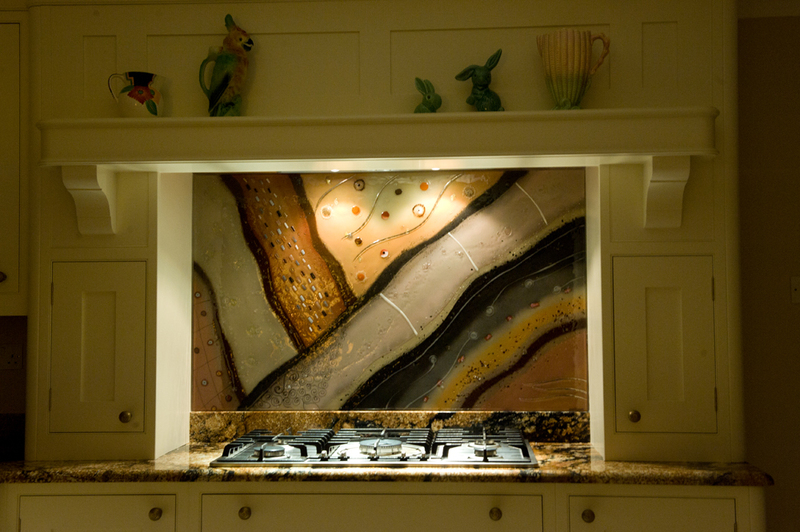 When you take a step back and look at it all, or when you first step into the kitchen, the sight is breathtaking. 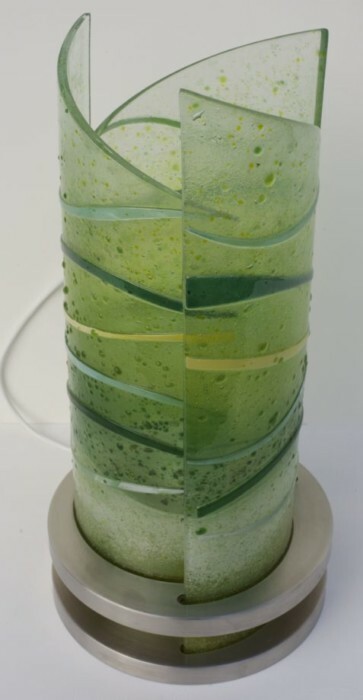 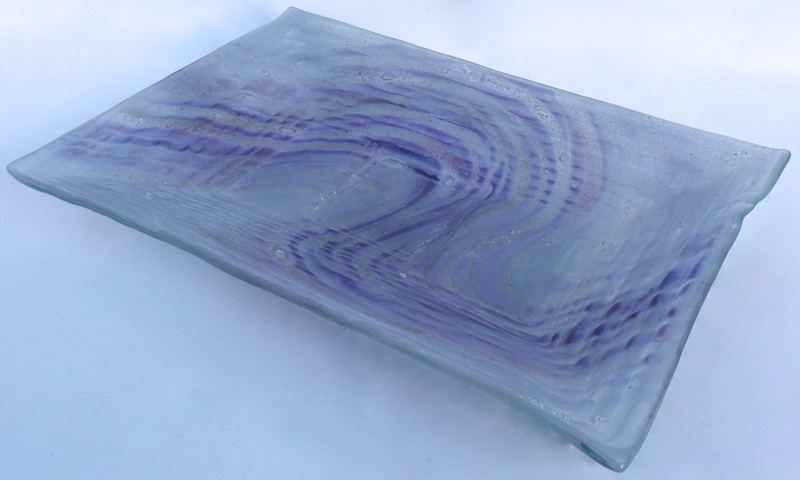 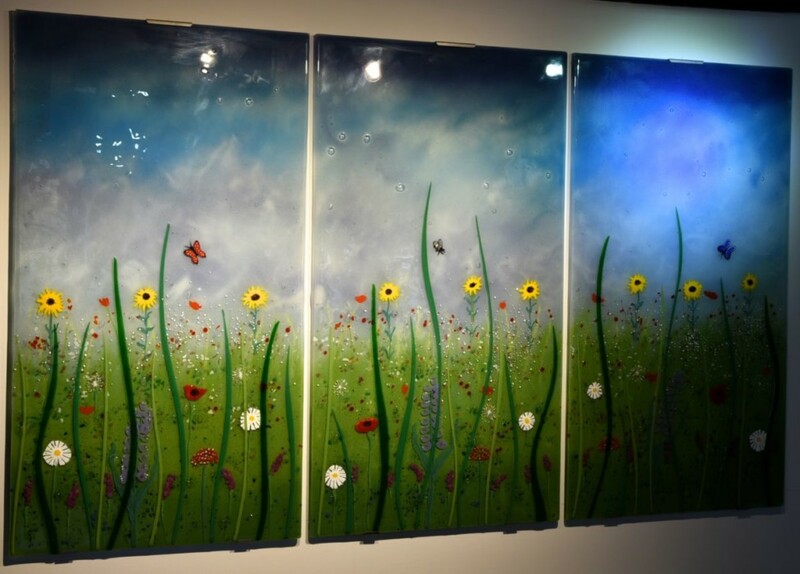 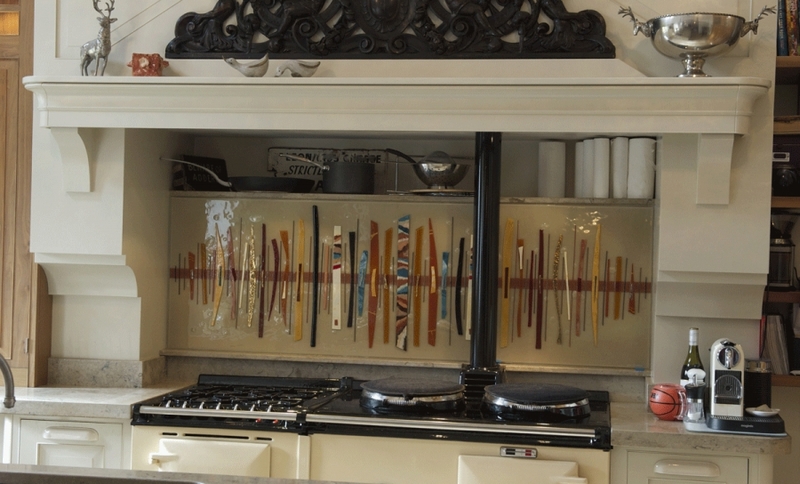 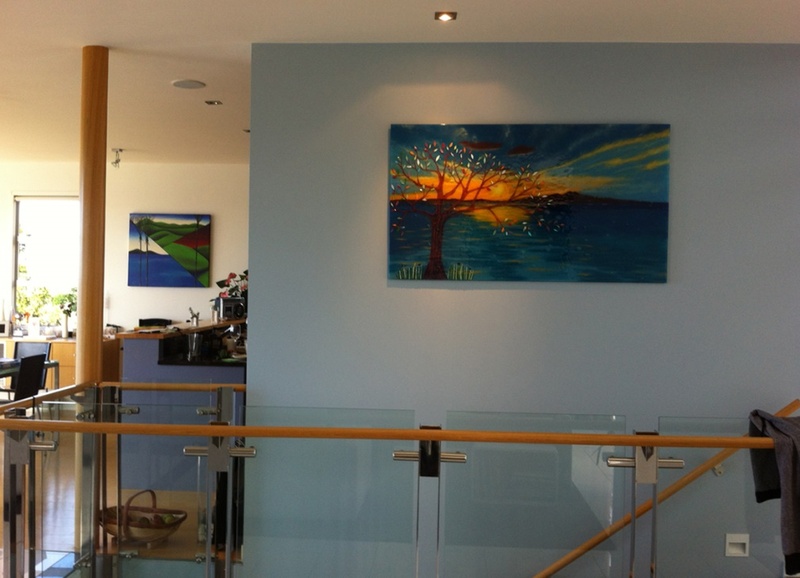 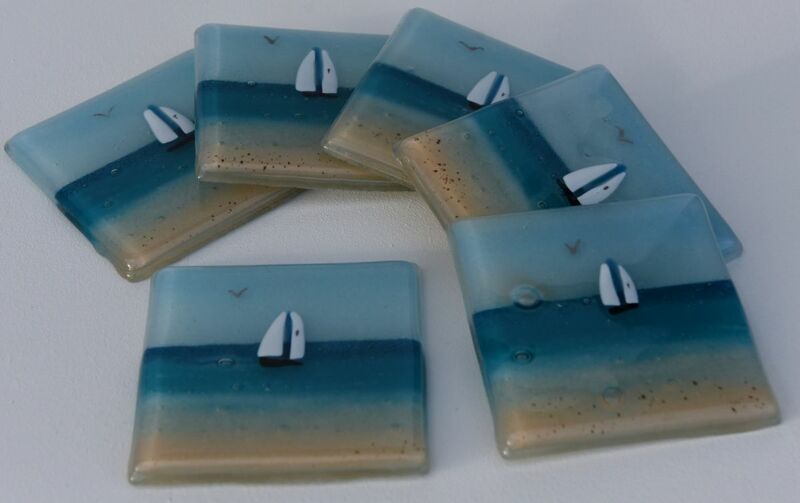 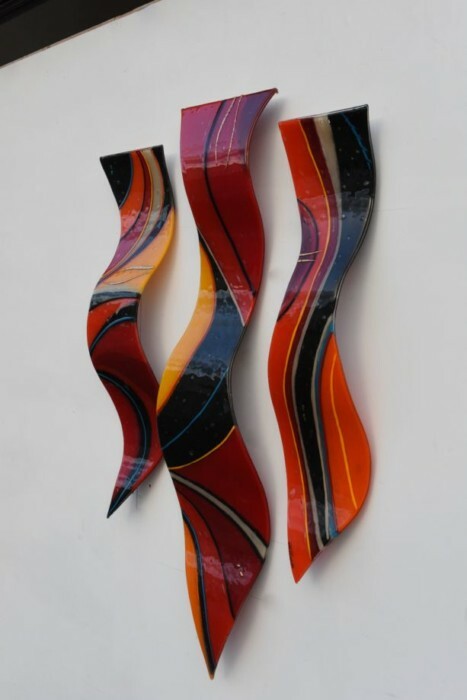 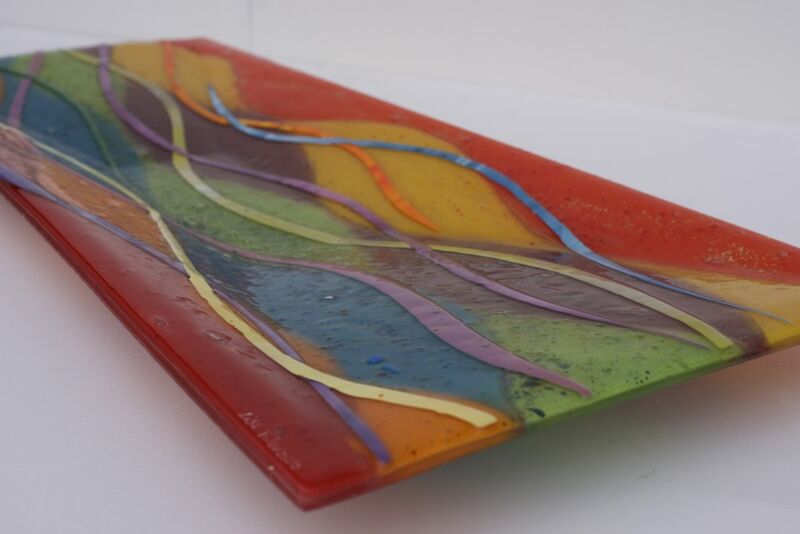 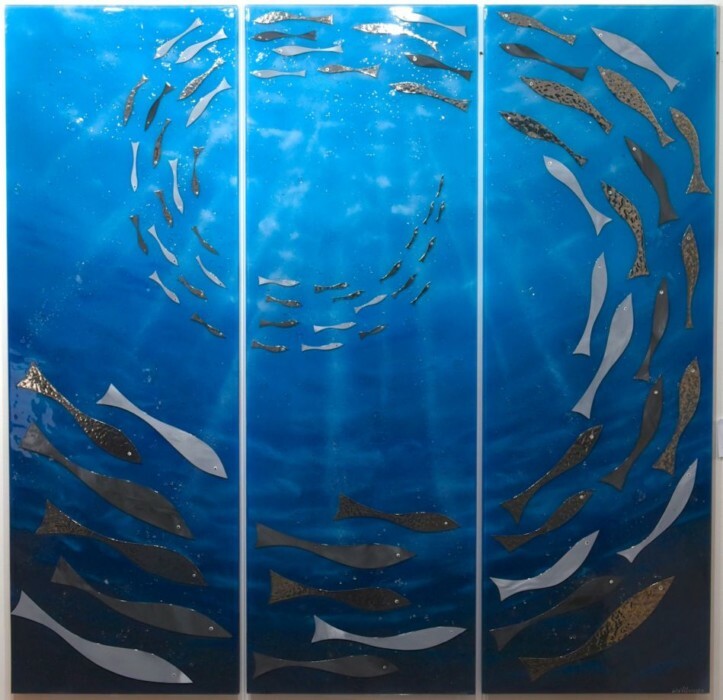 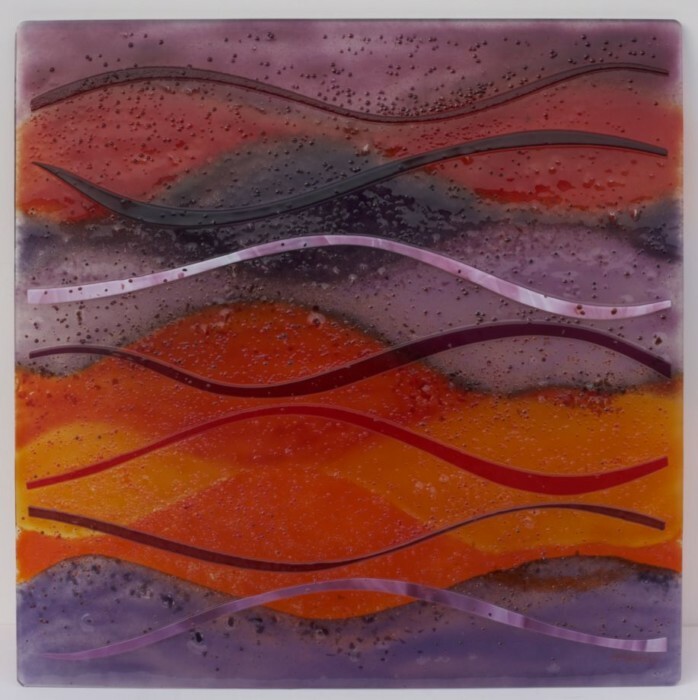 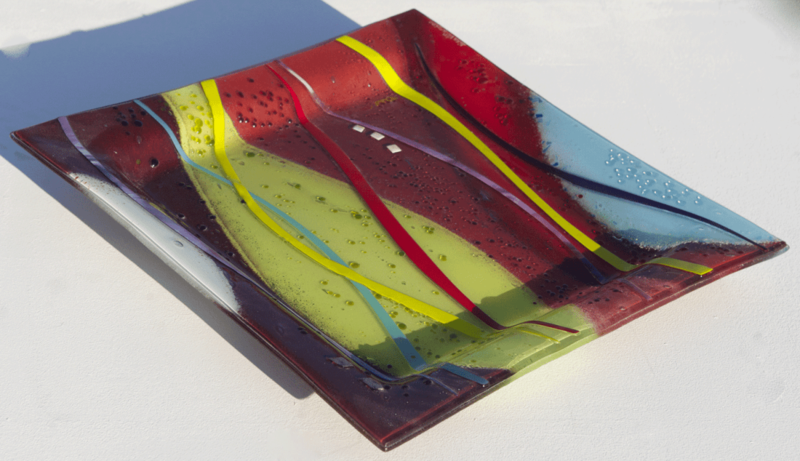 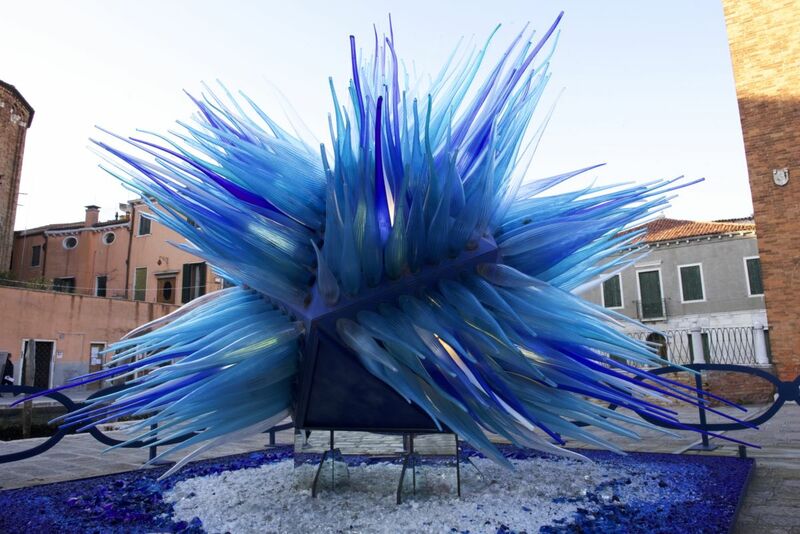 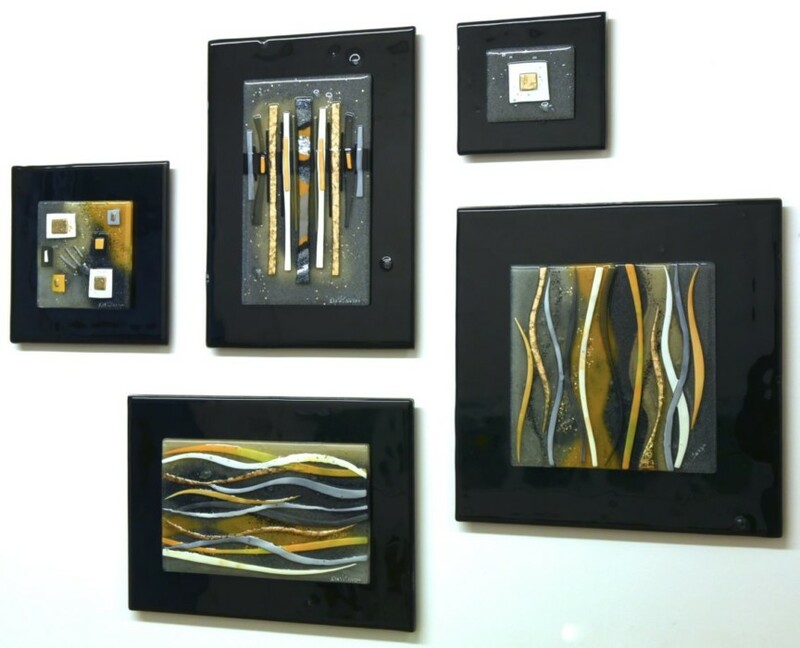 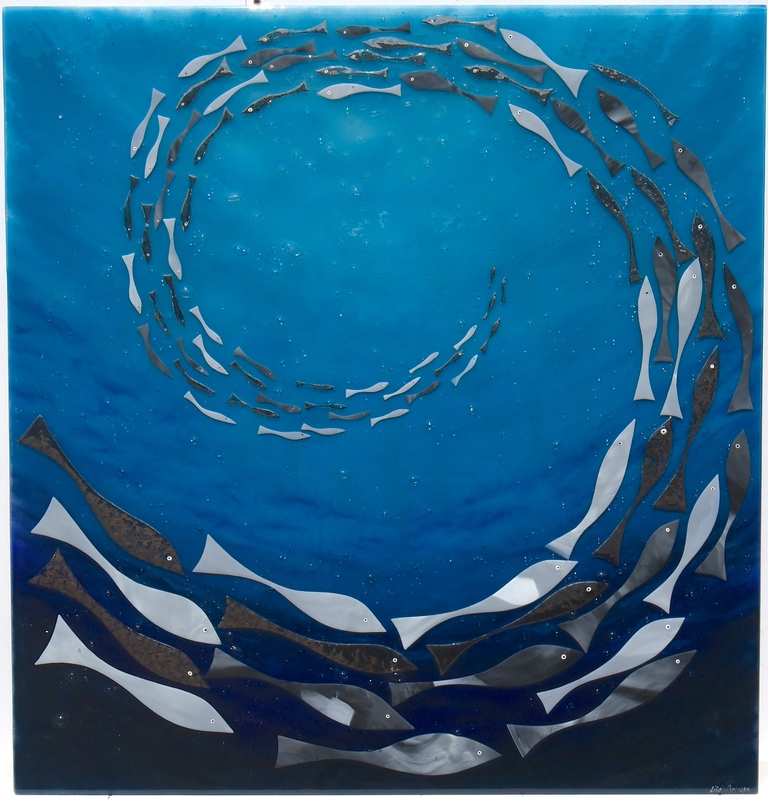 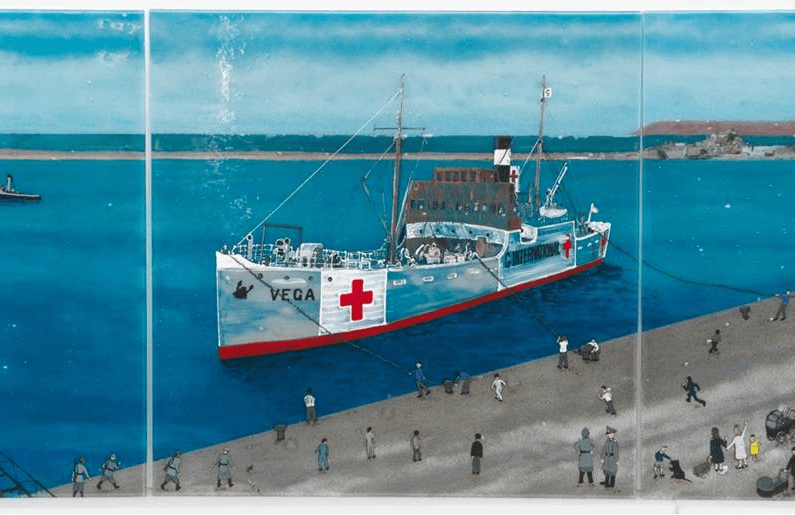 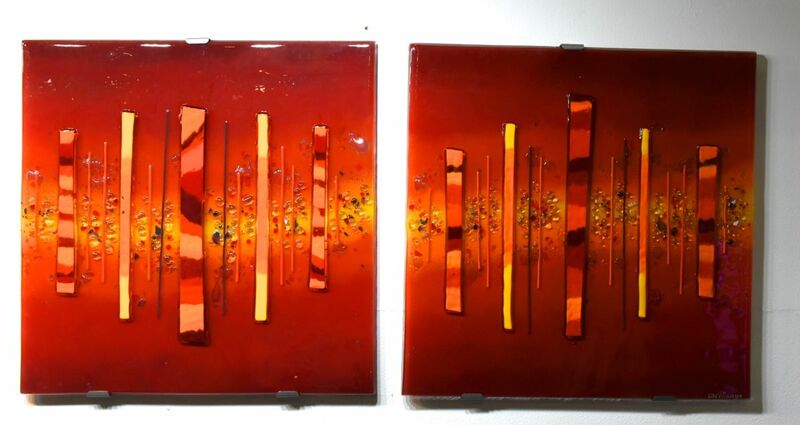 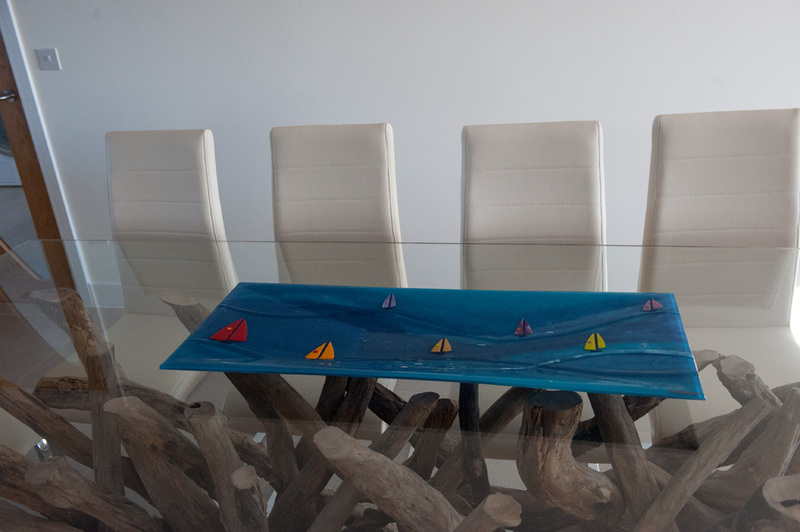 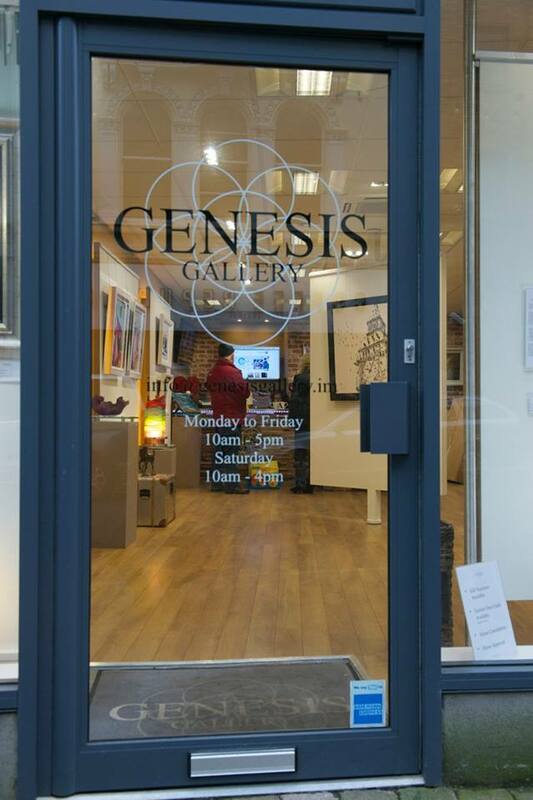 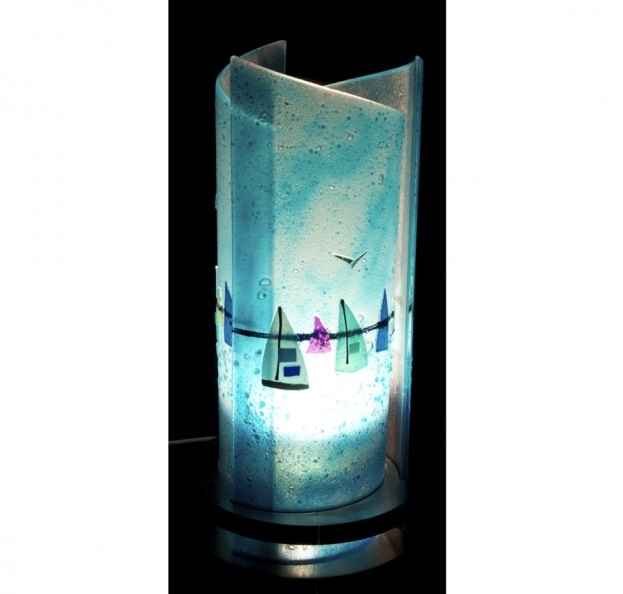 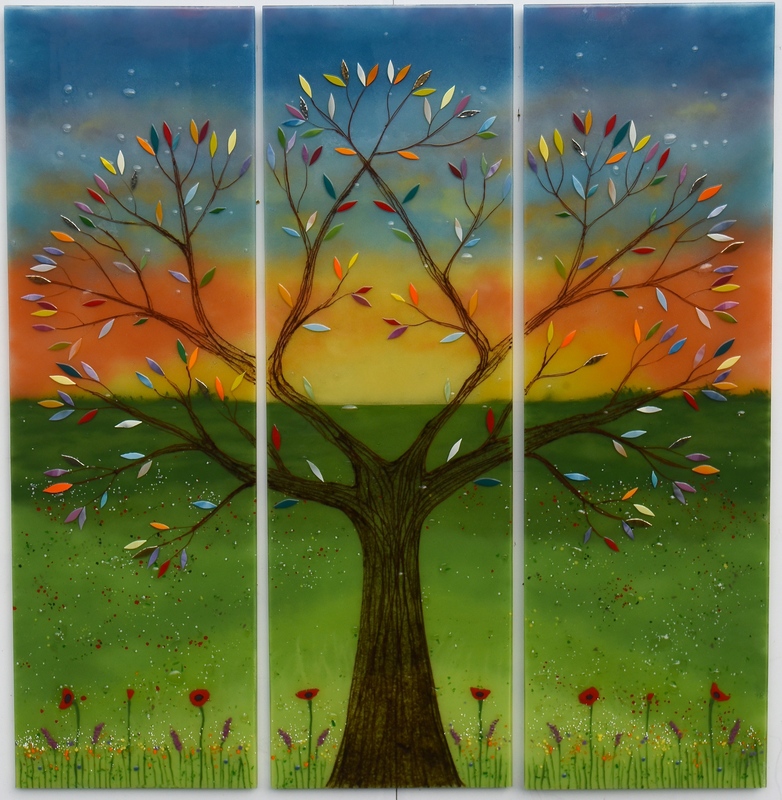 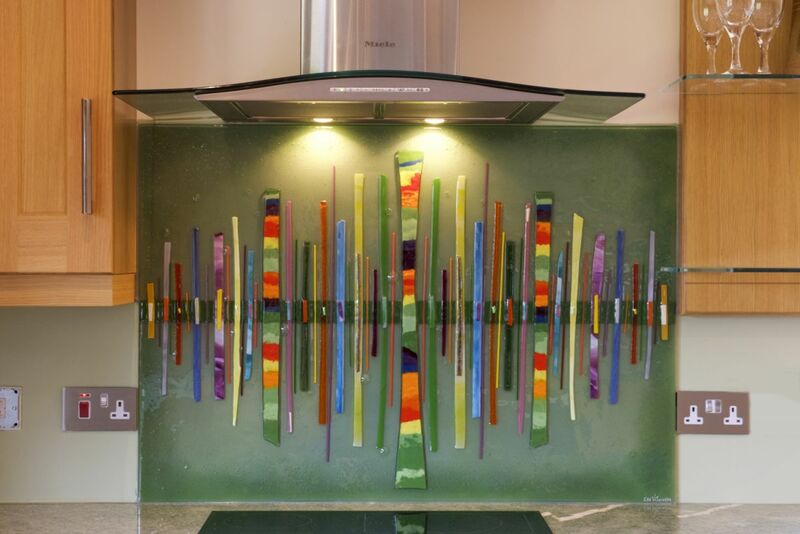 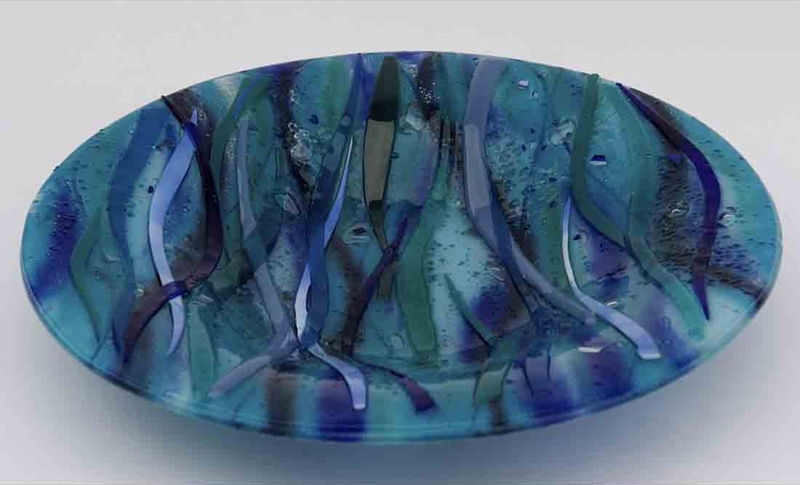 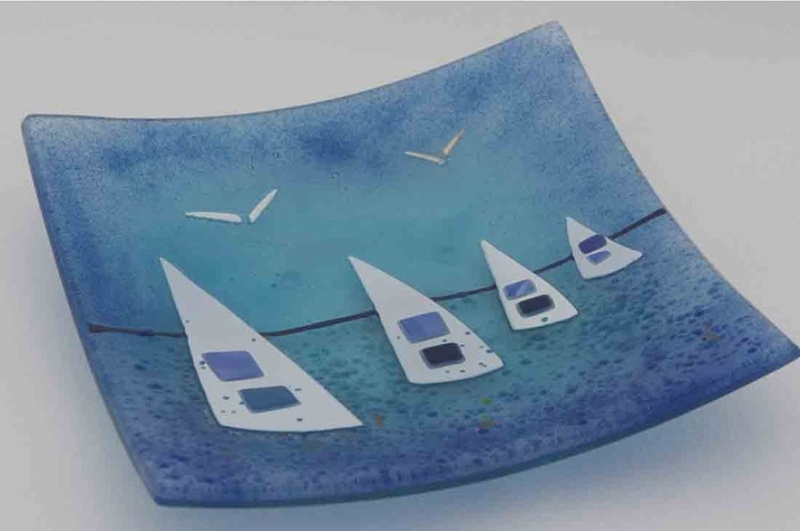 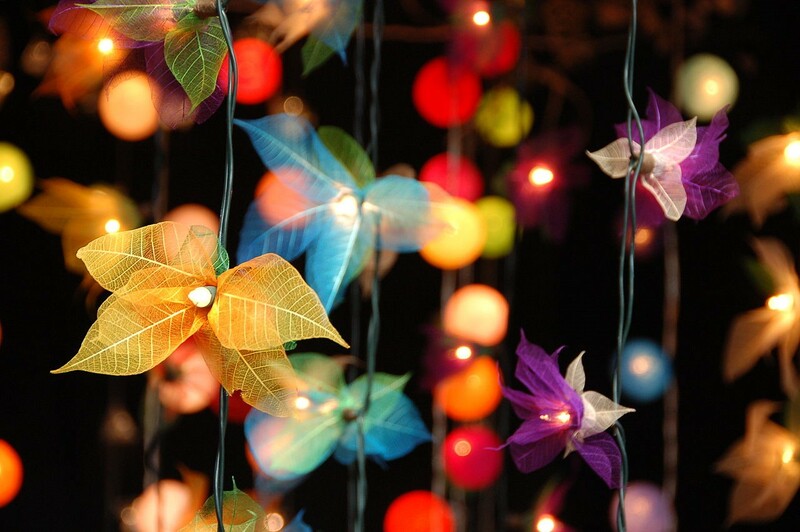 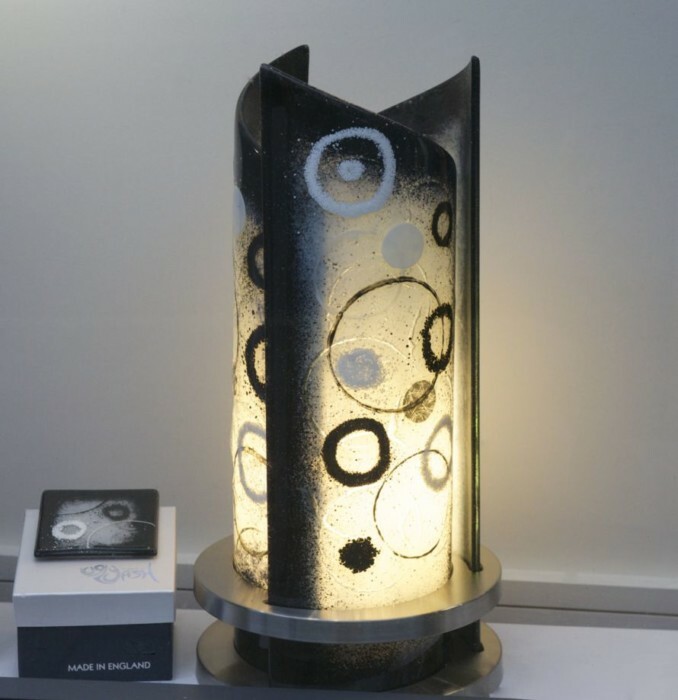 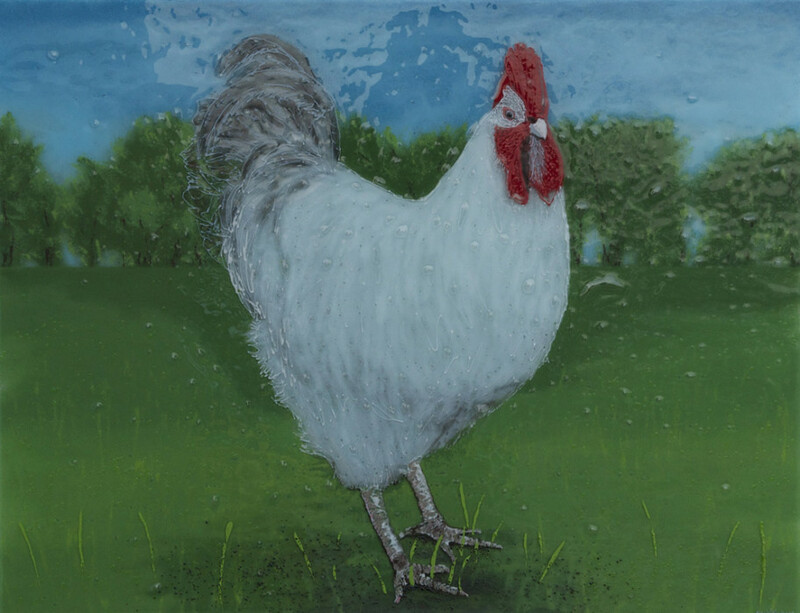 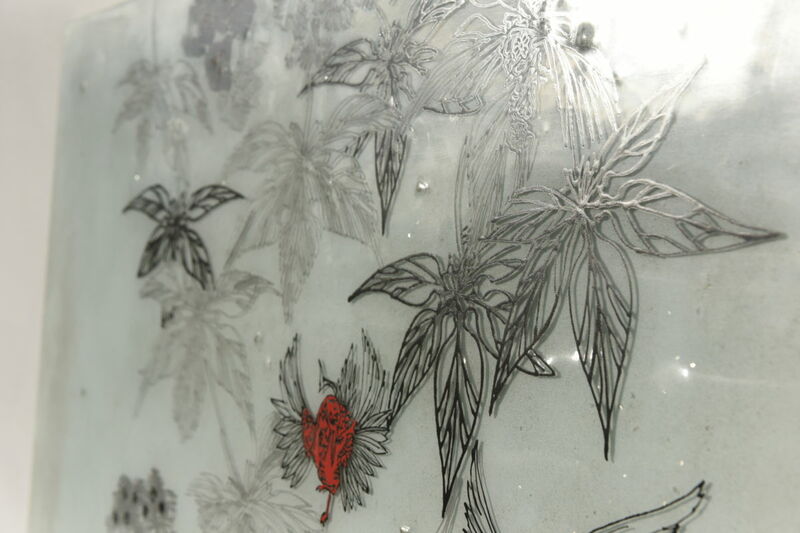 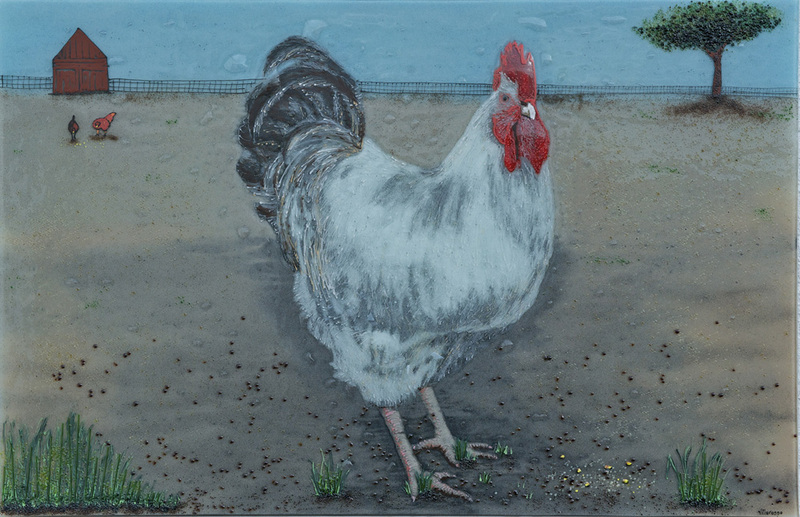 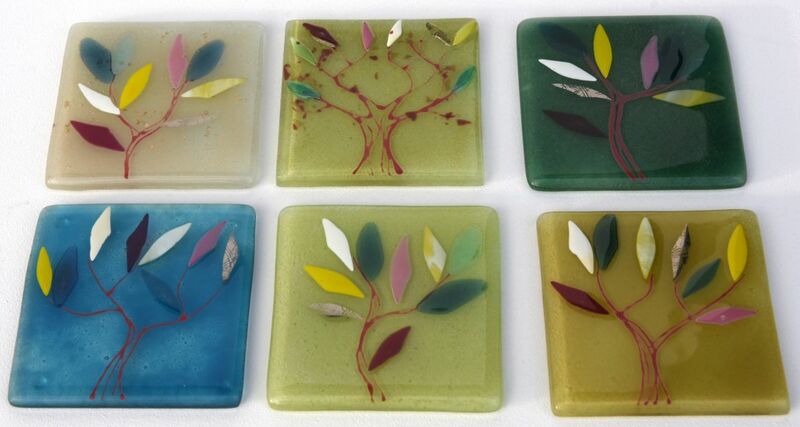 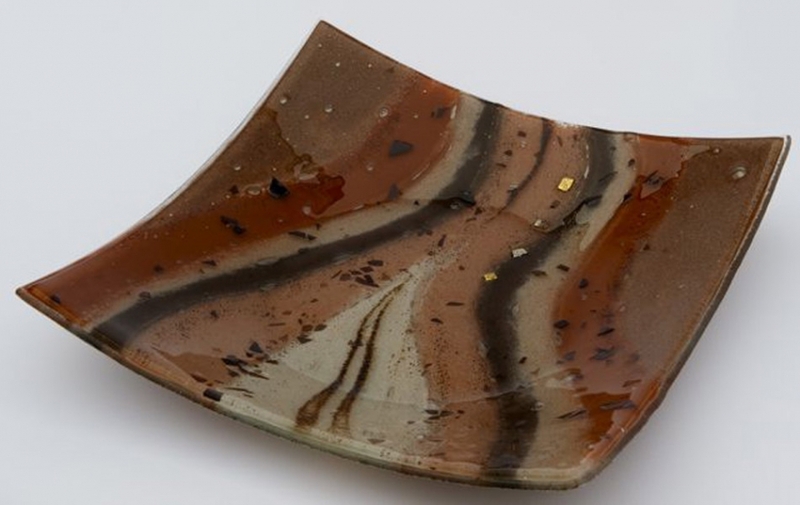 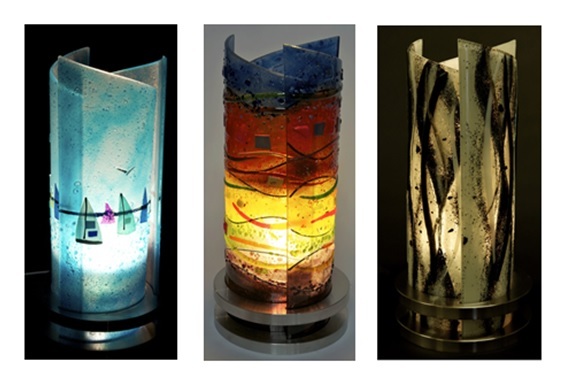 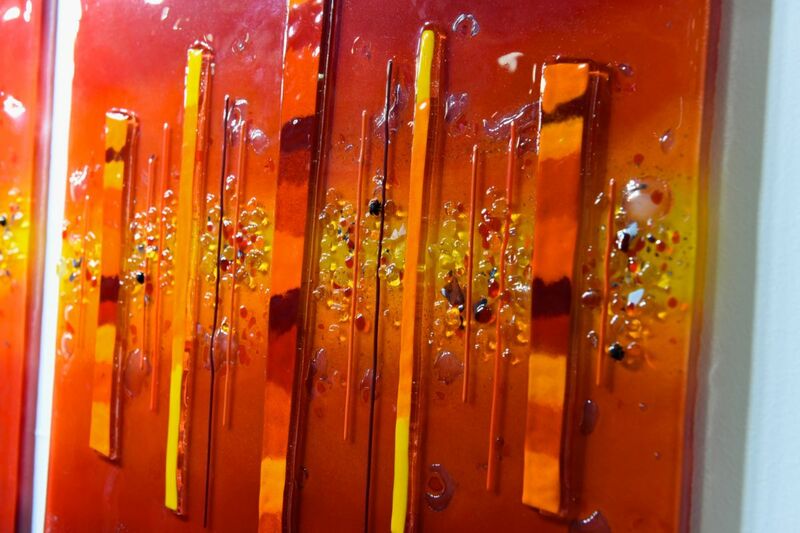 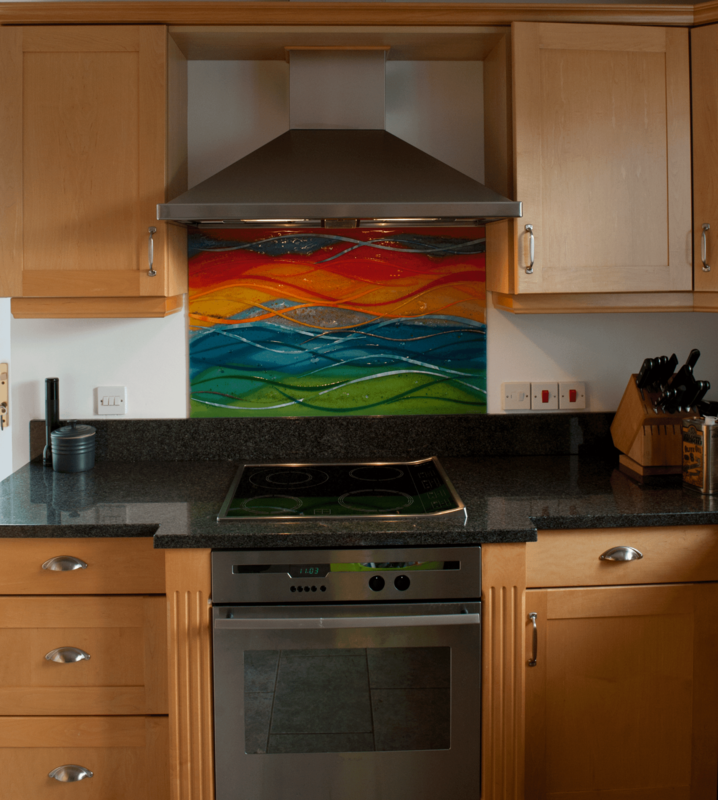 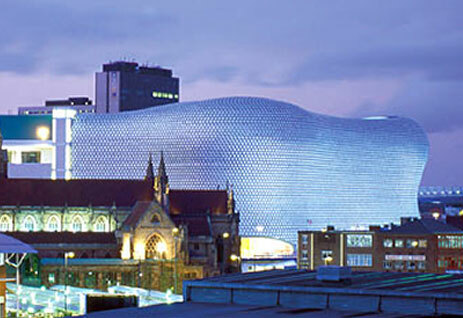 This is fused glass art at its very best, so why not let it inspire to get your own? 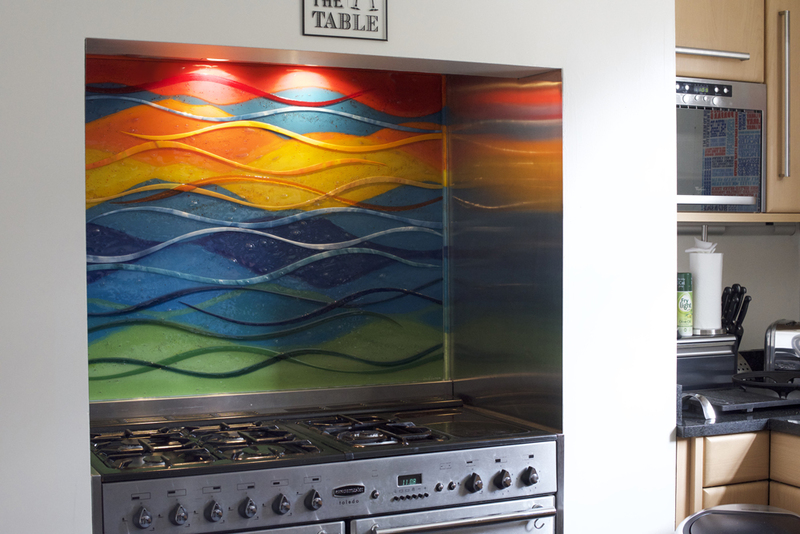 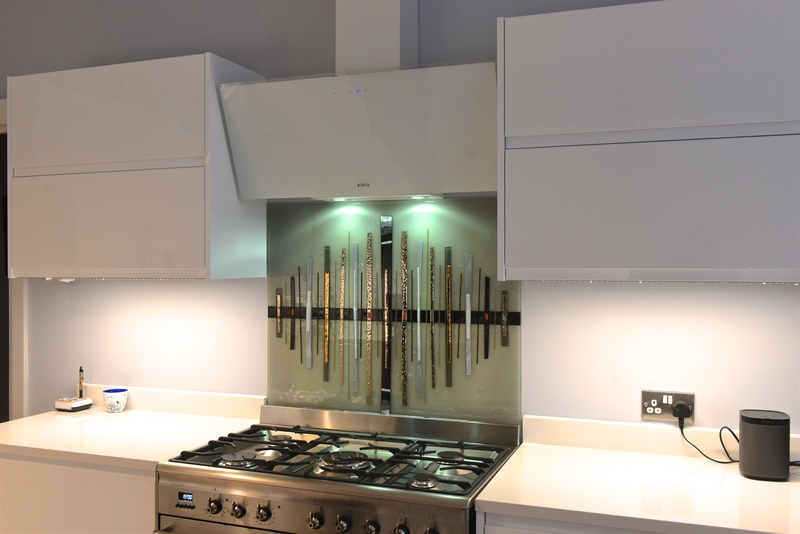 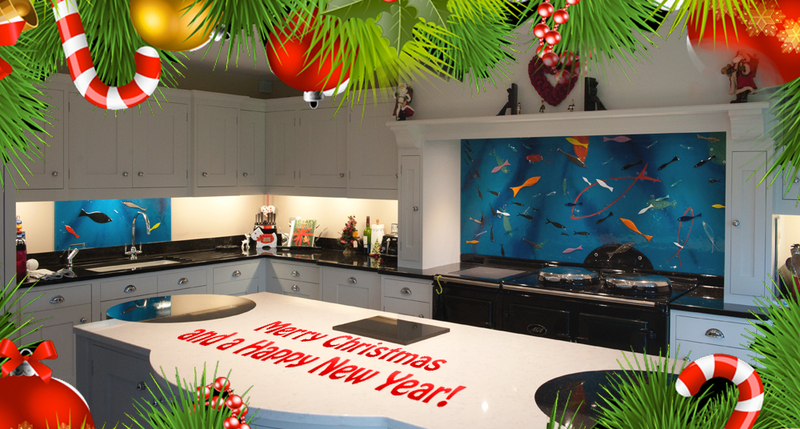 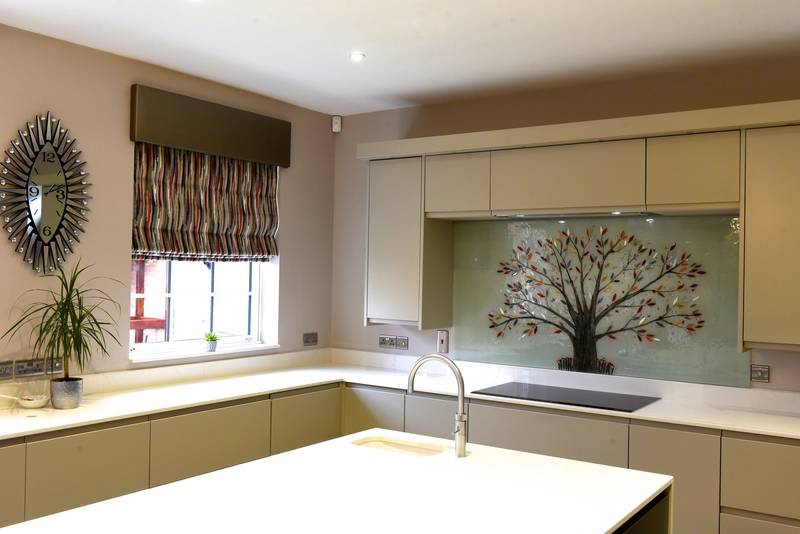 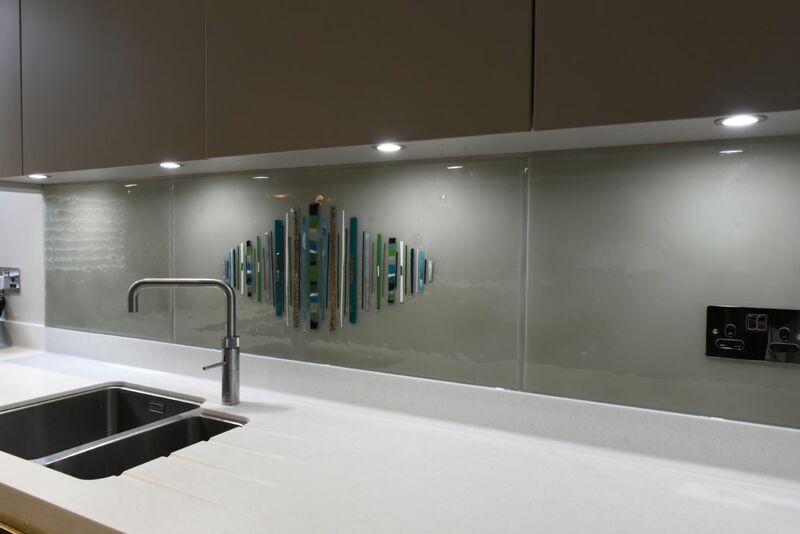 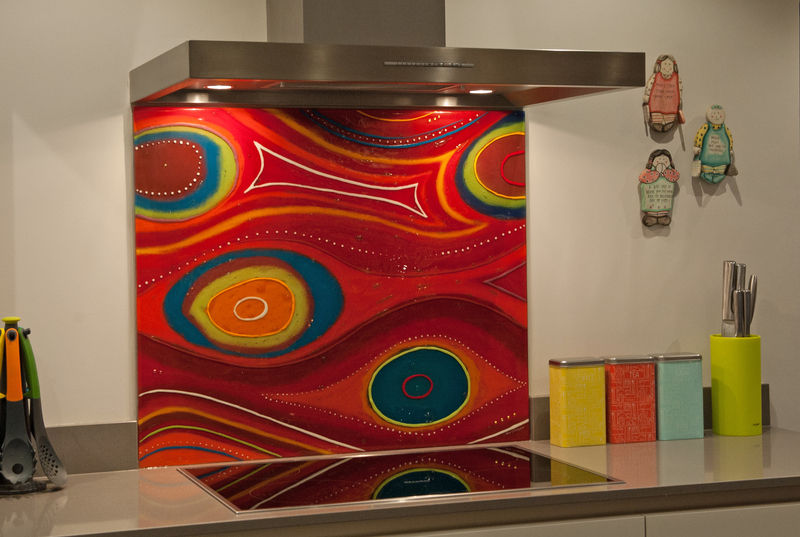 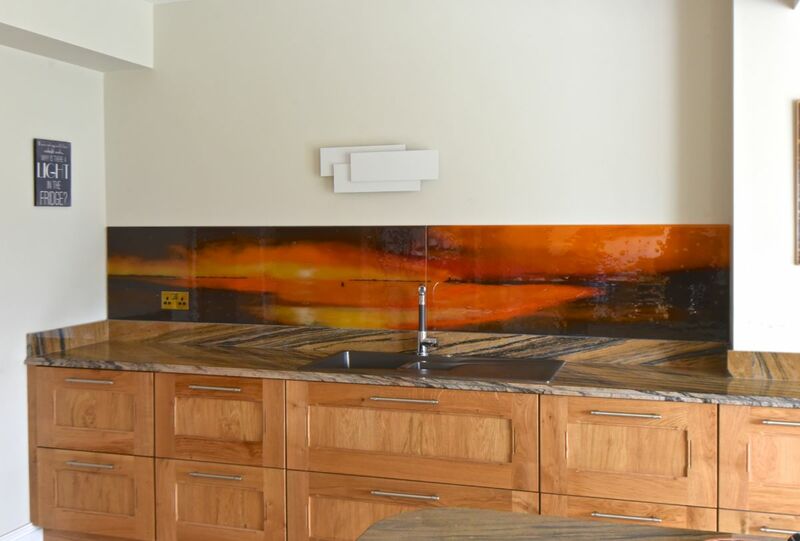 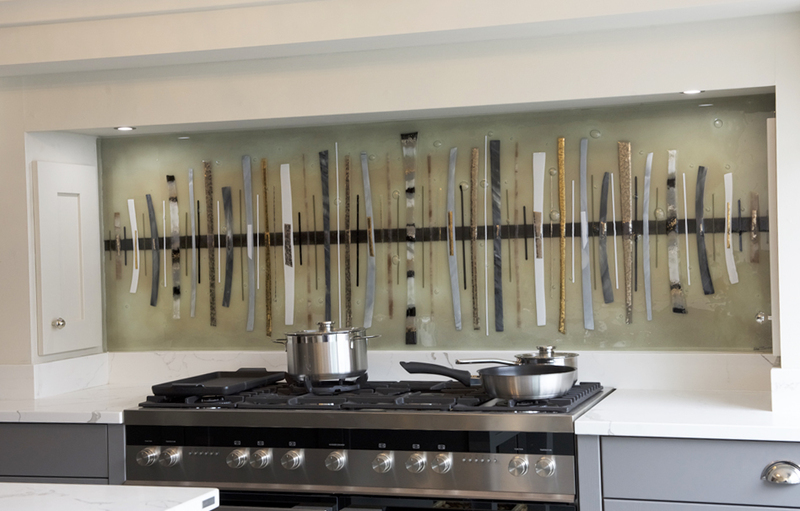 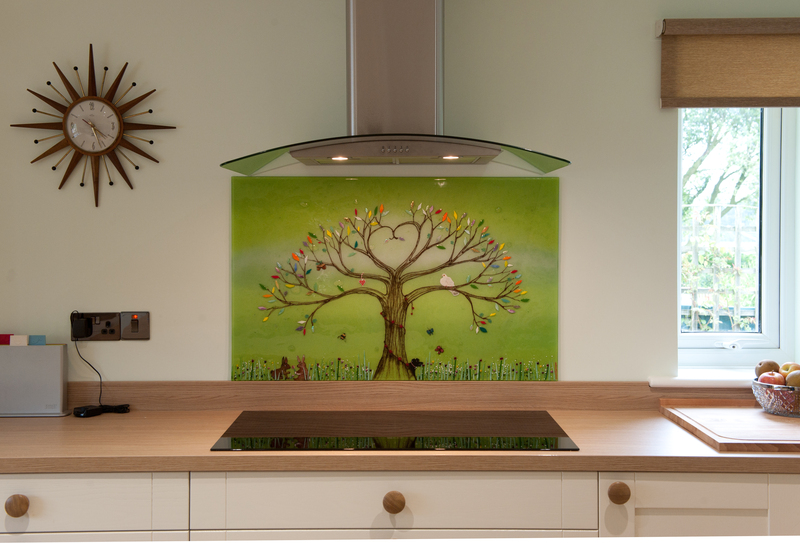 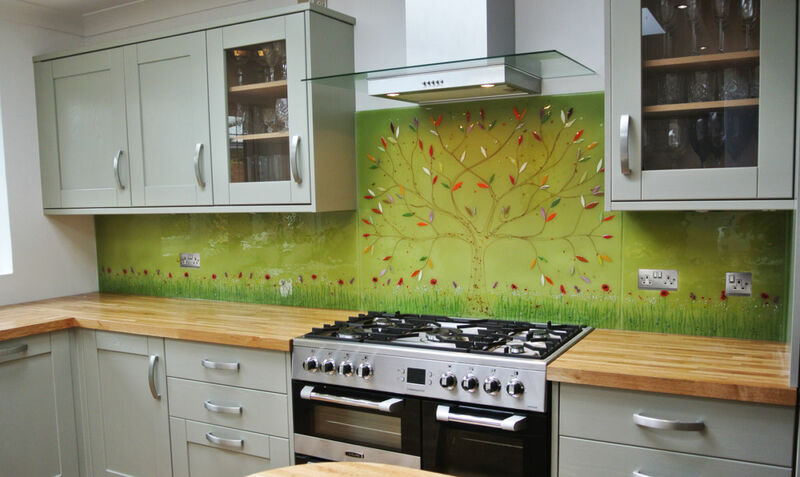 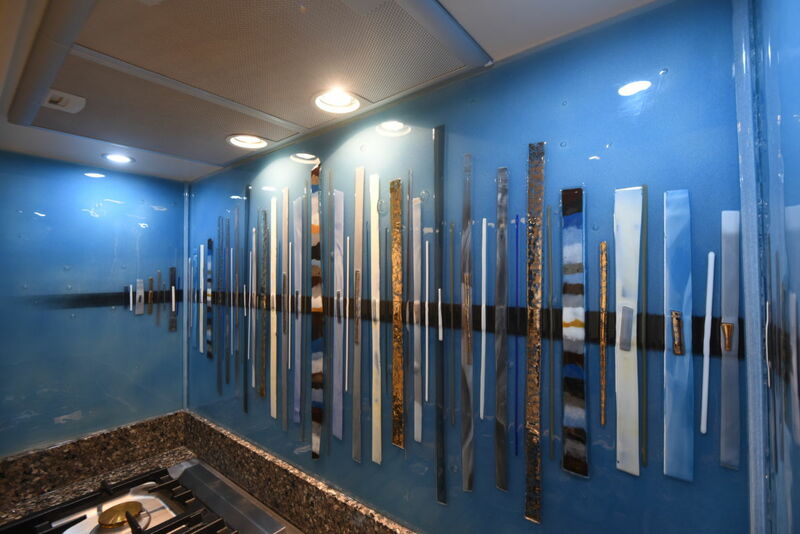 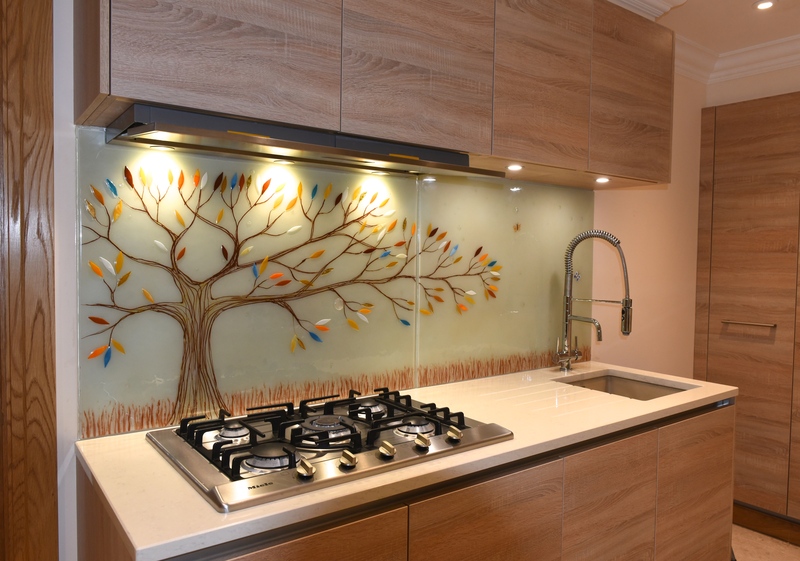 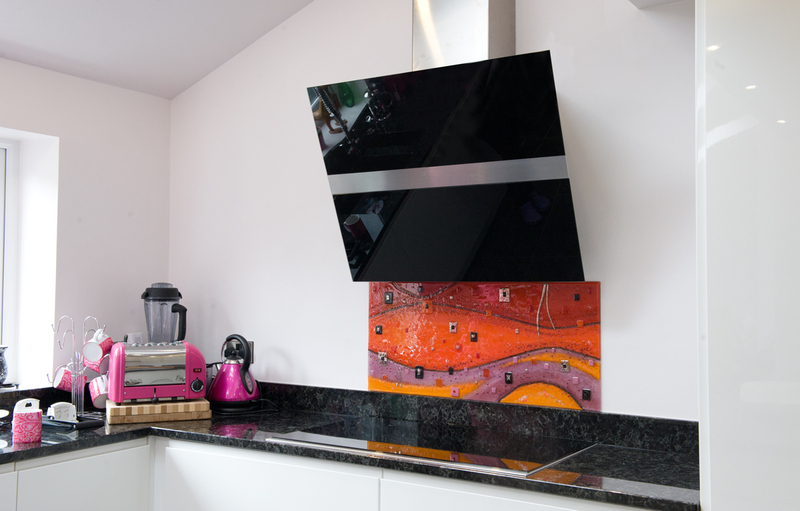 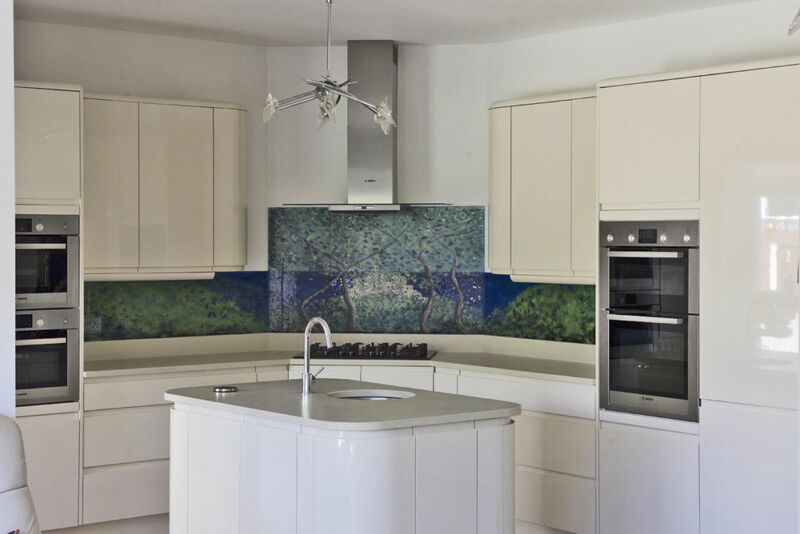 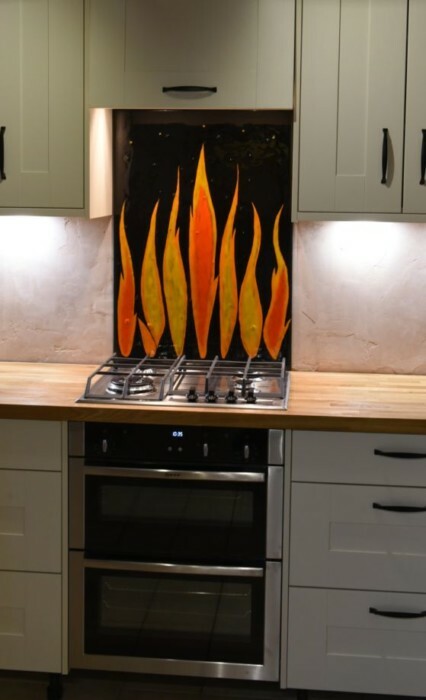 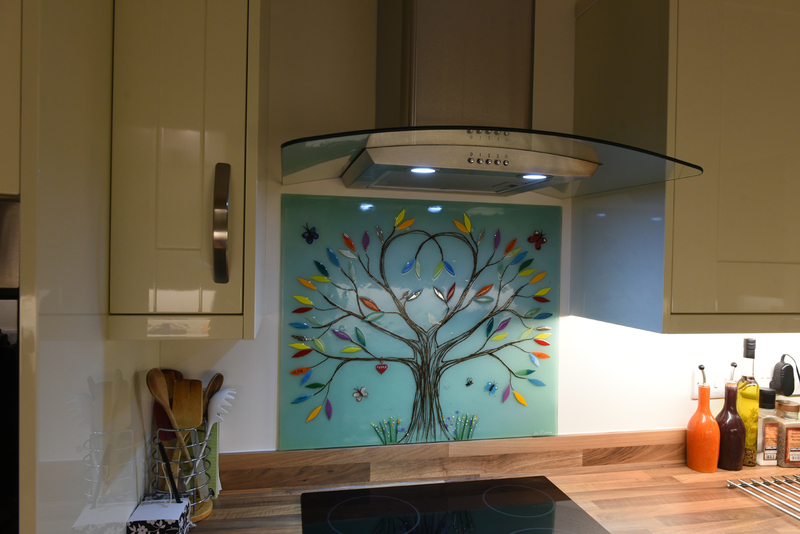 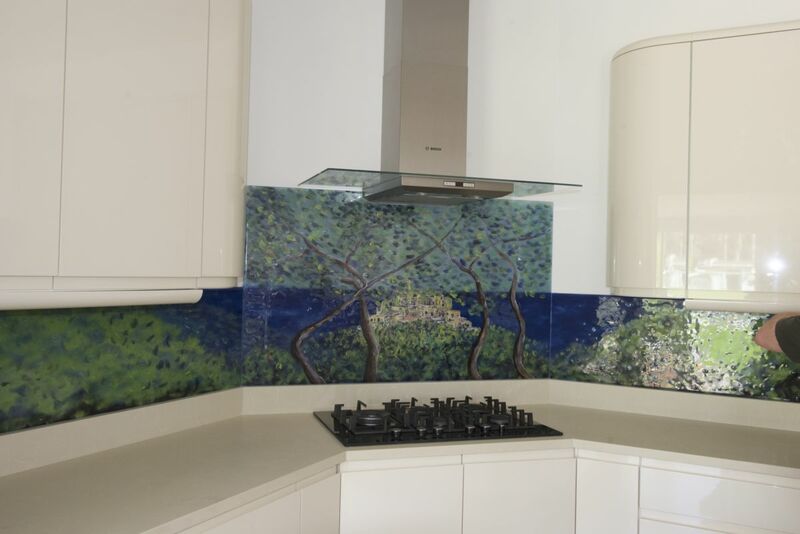 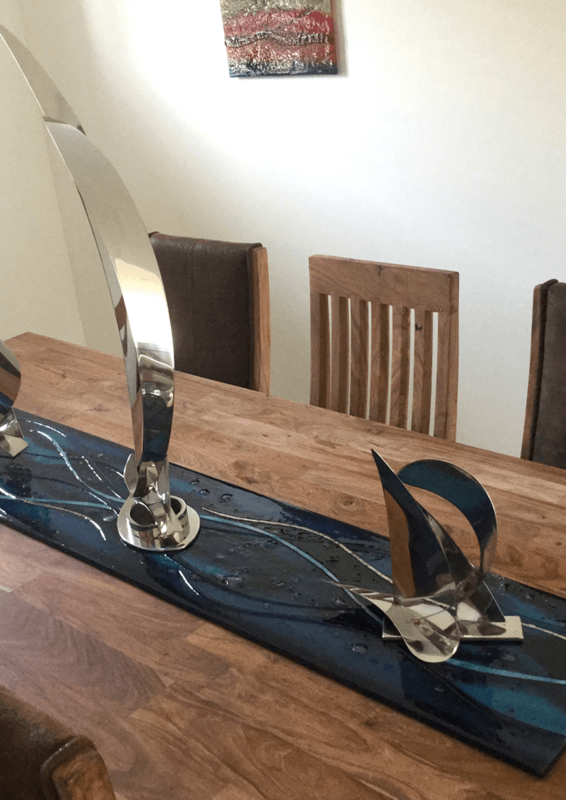 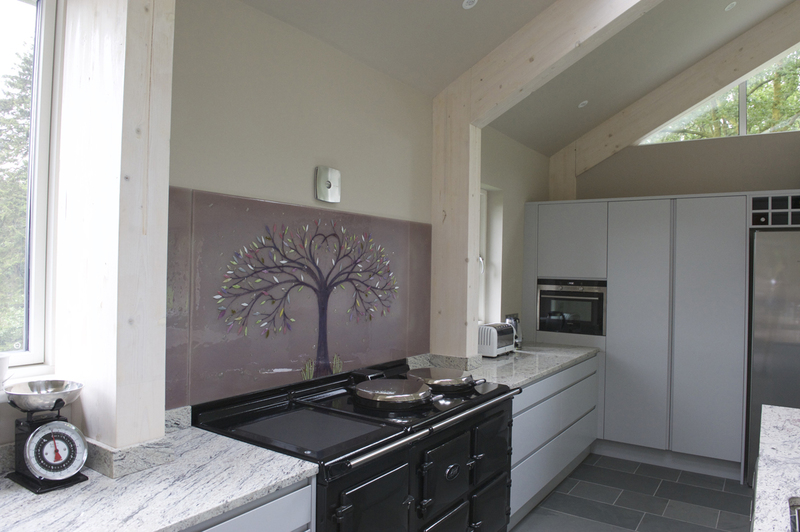 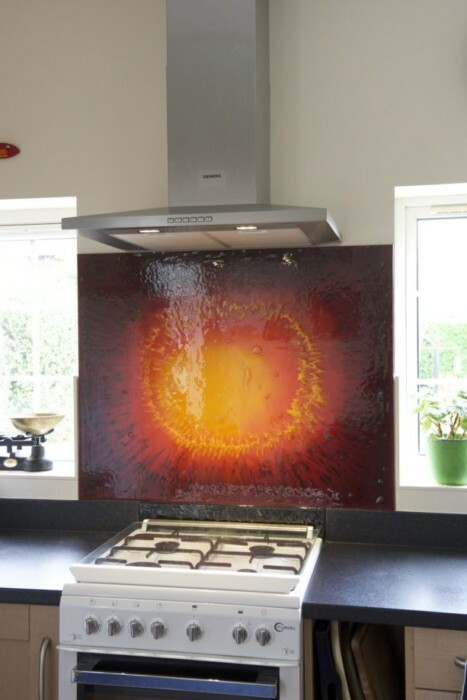 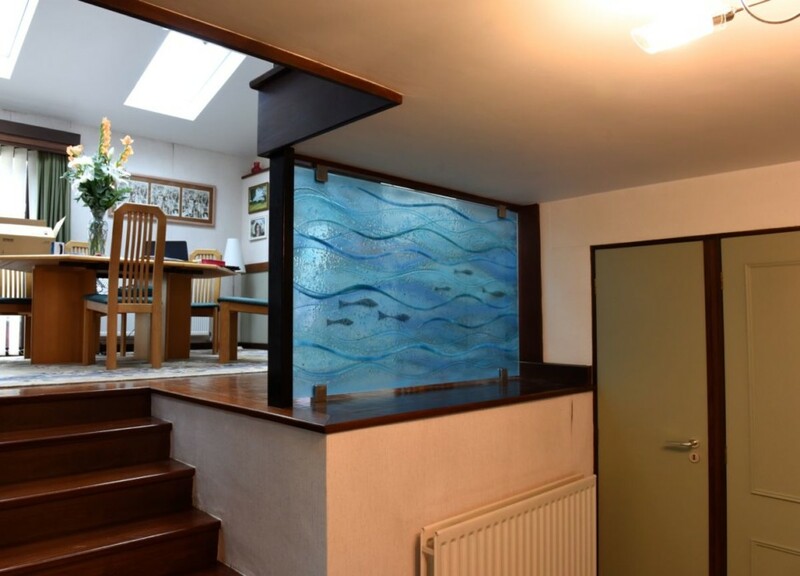 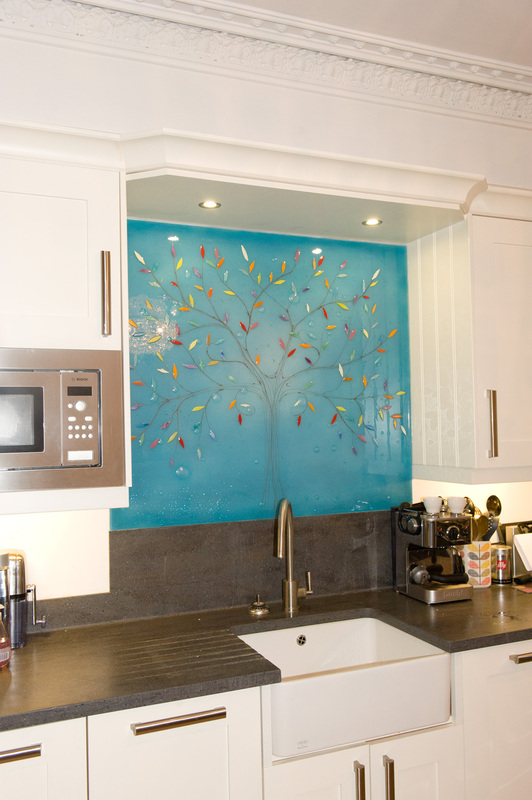 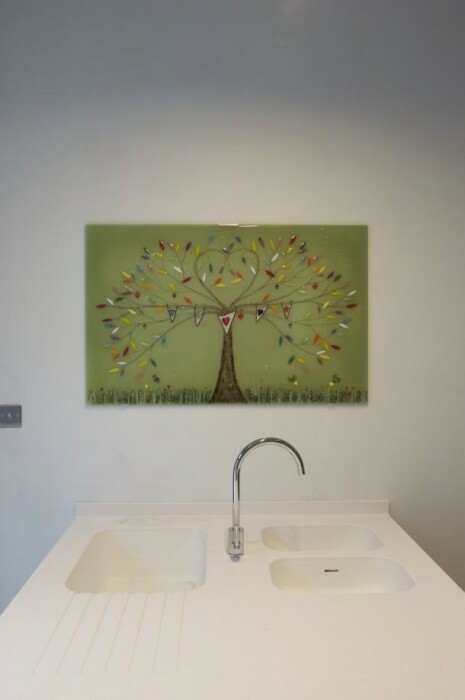 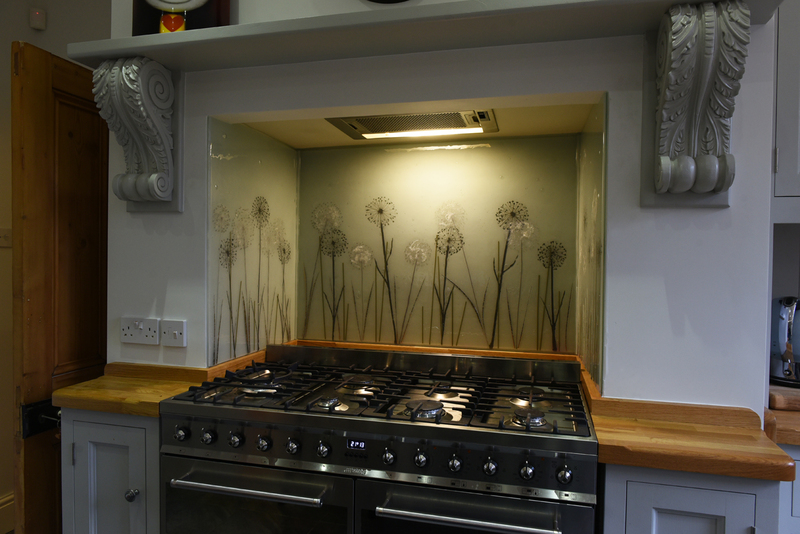 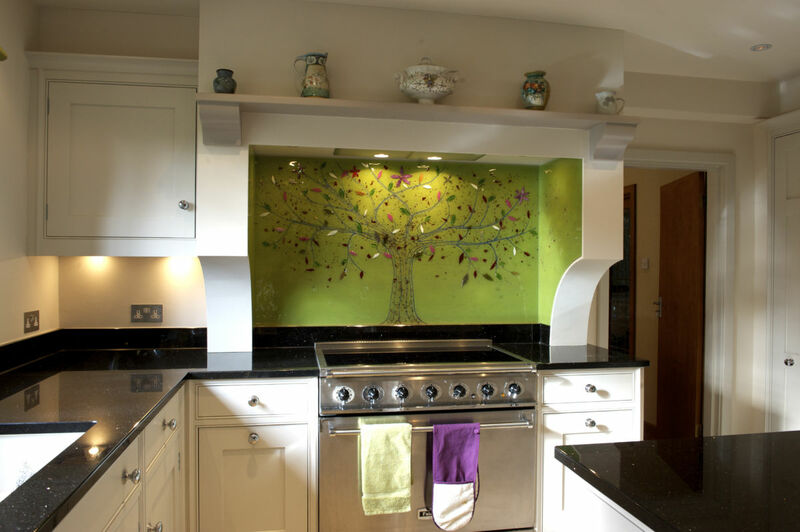 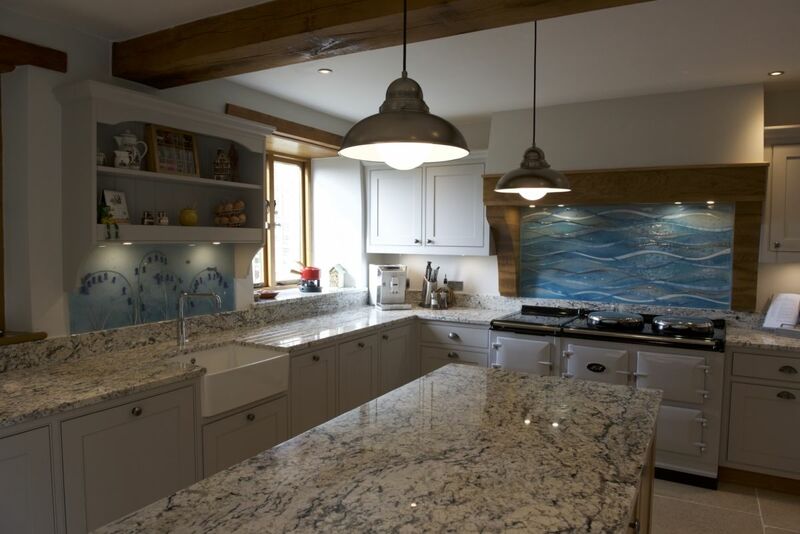 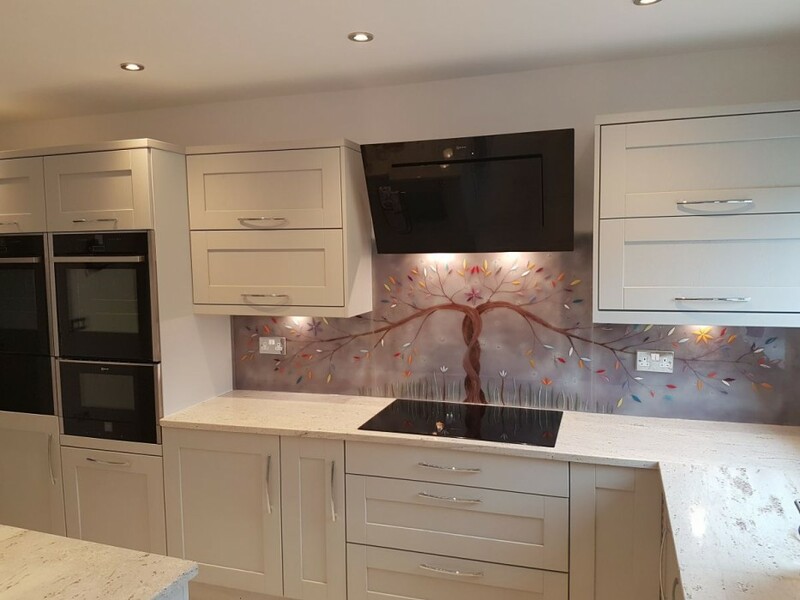 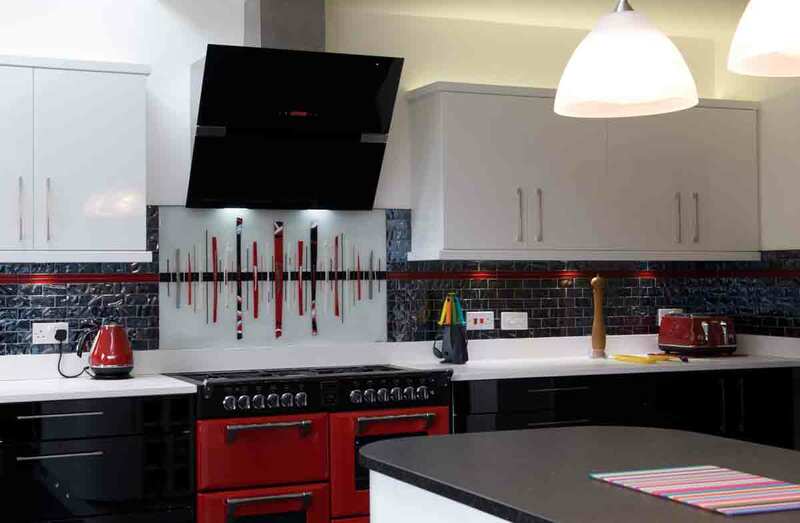 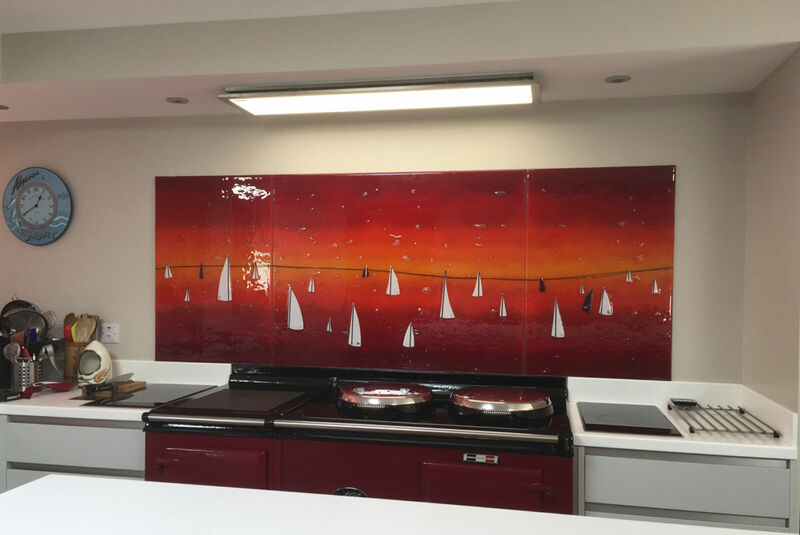 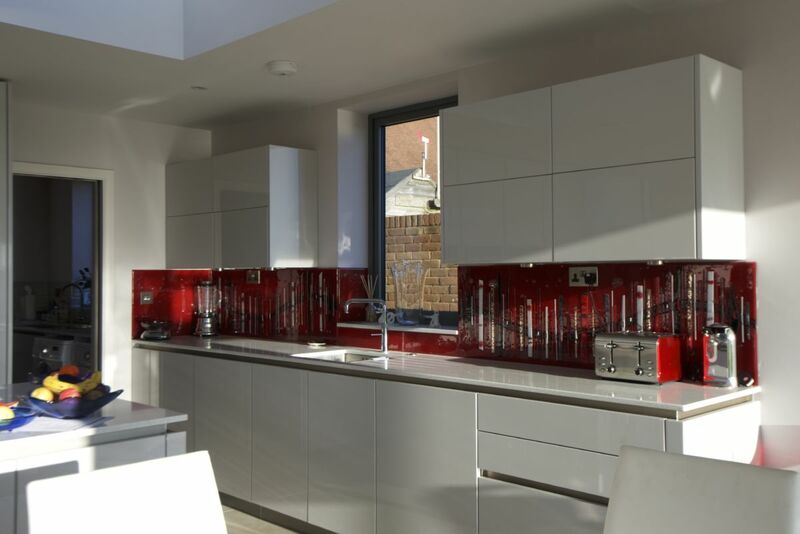 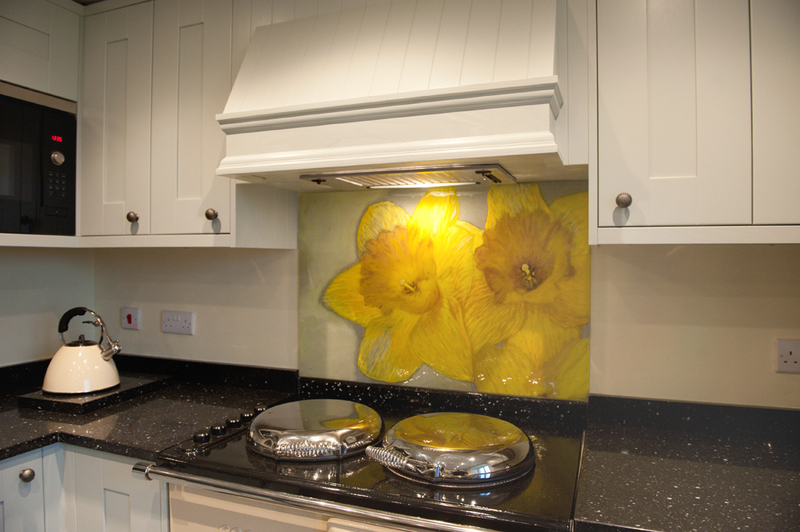 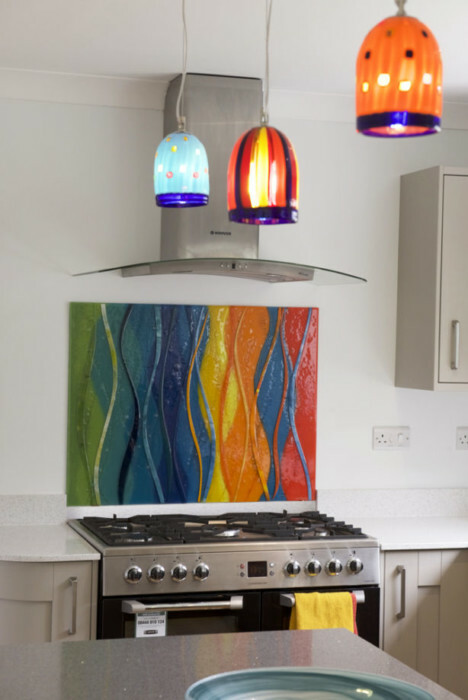 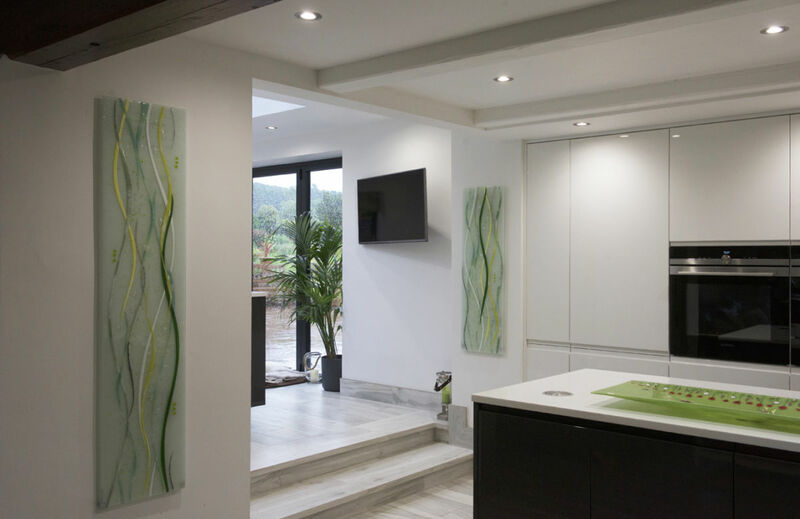 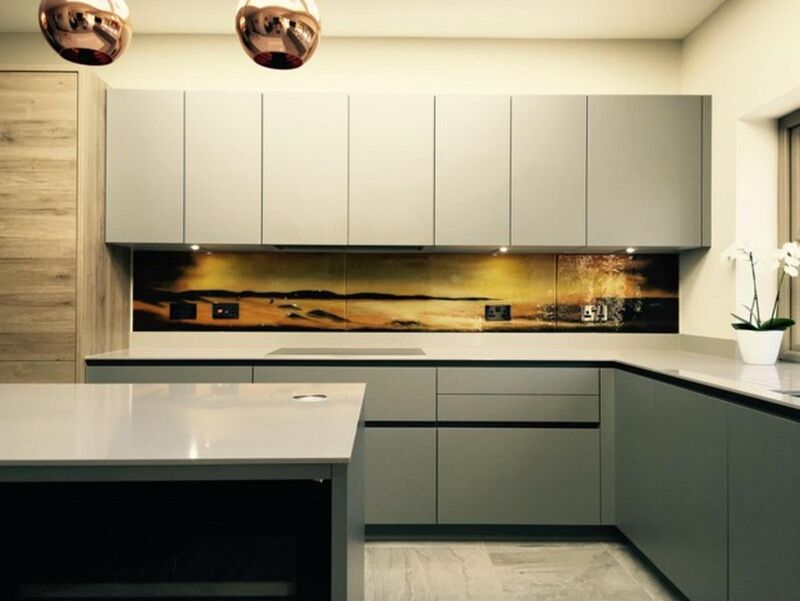 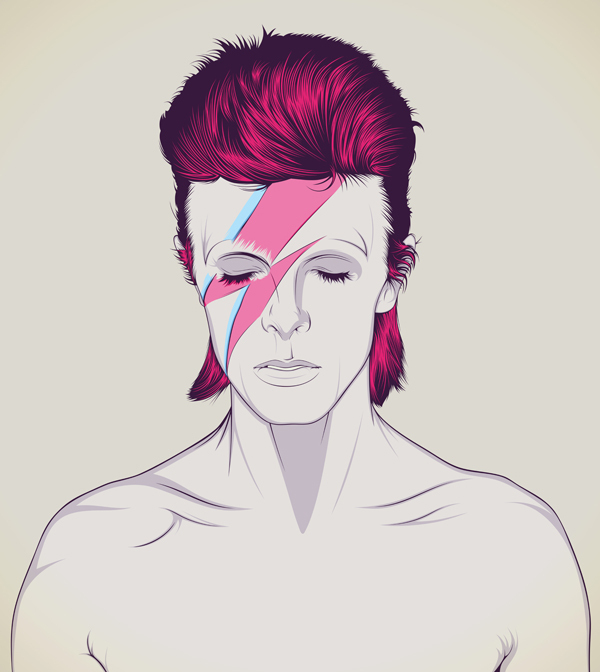 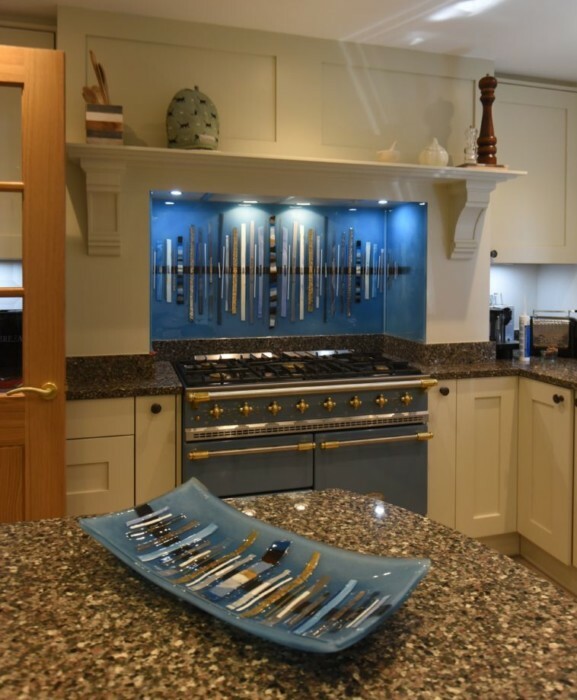 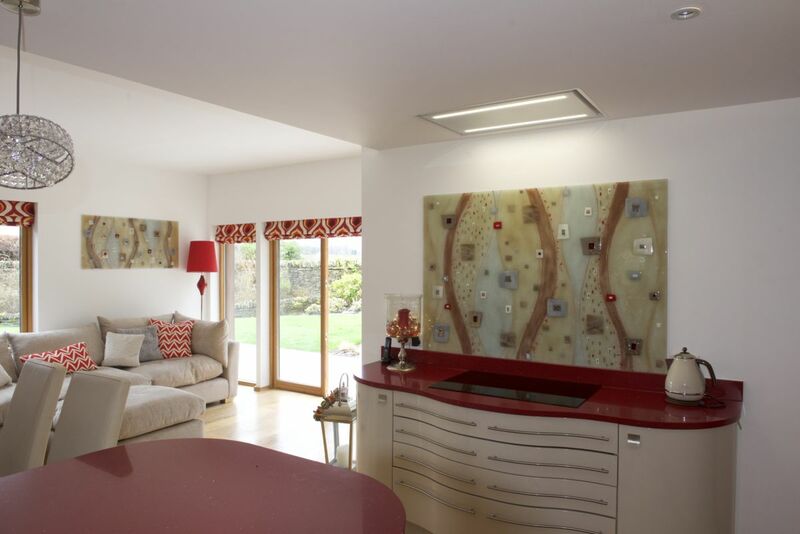 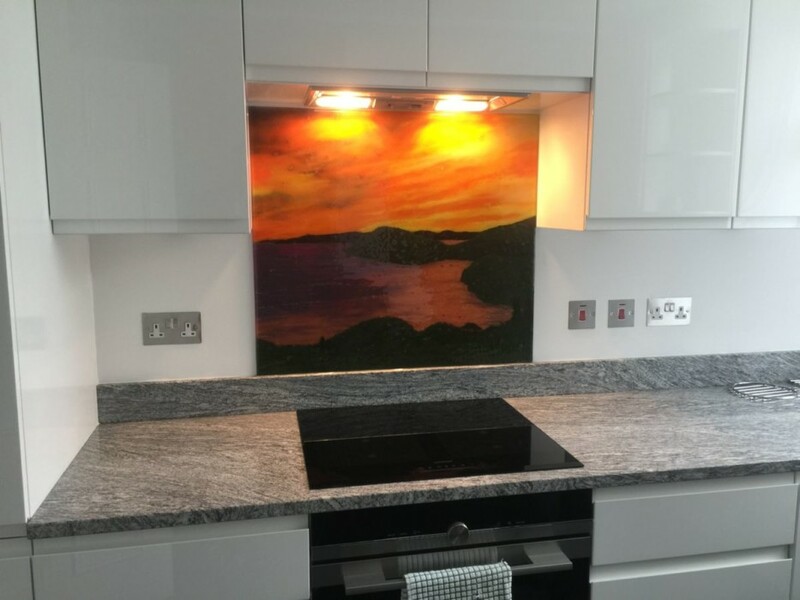 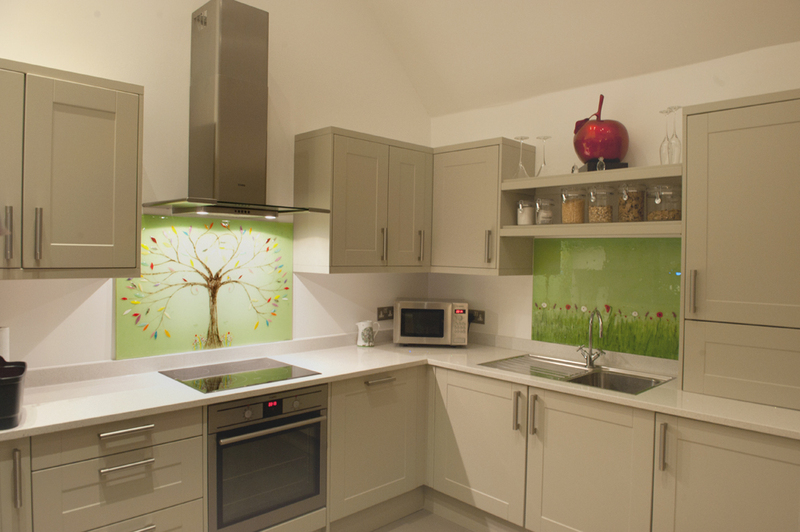 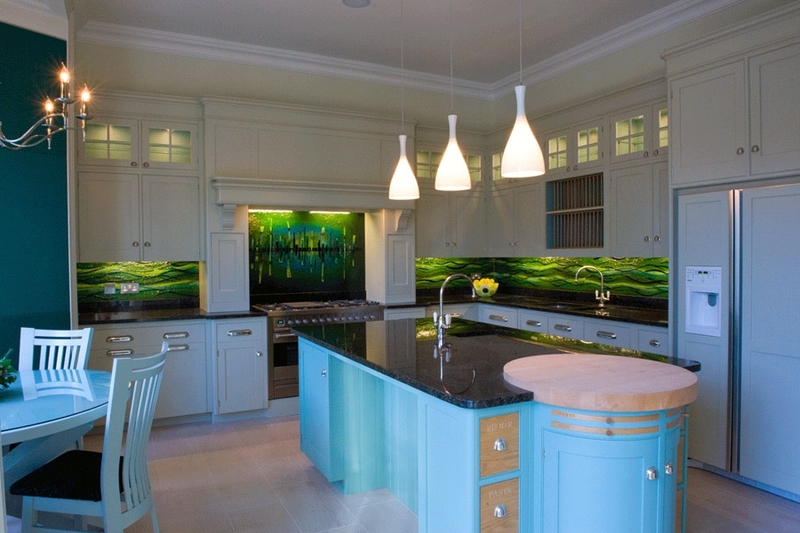 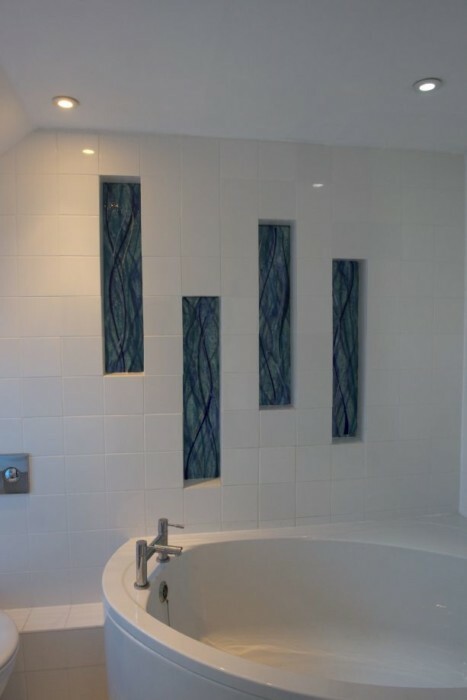 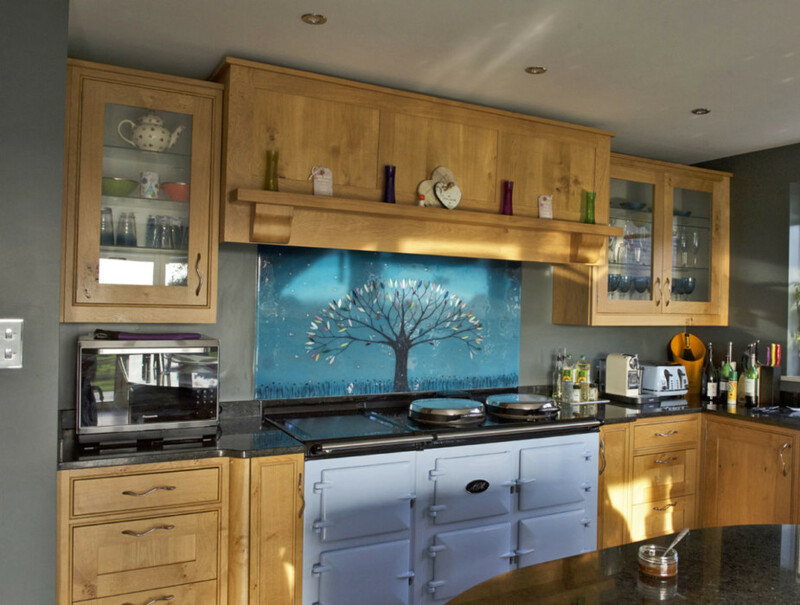 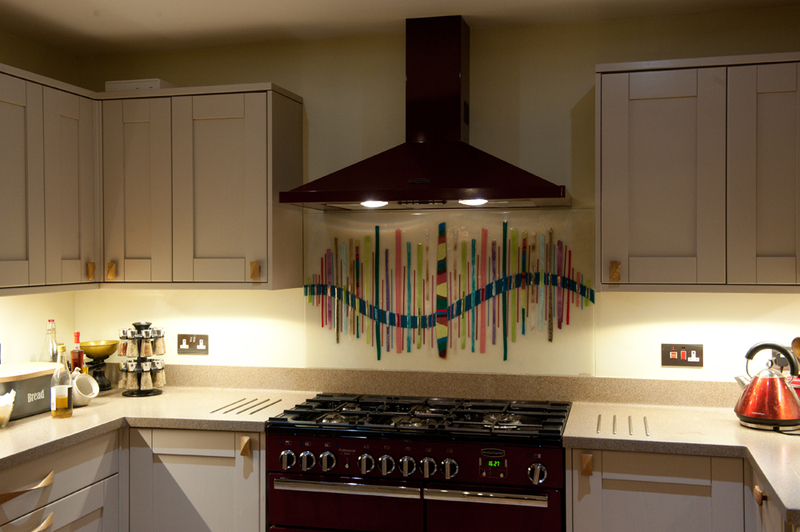 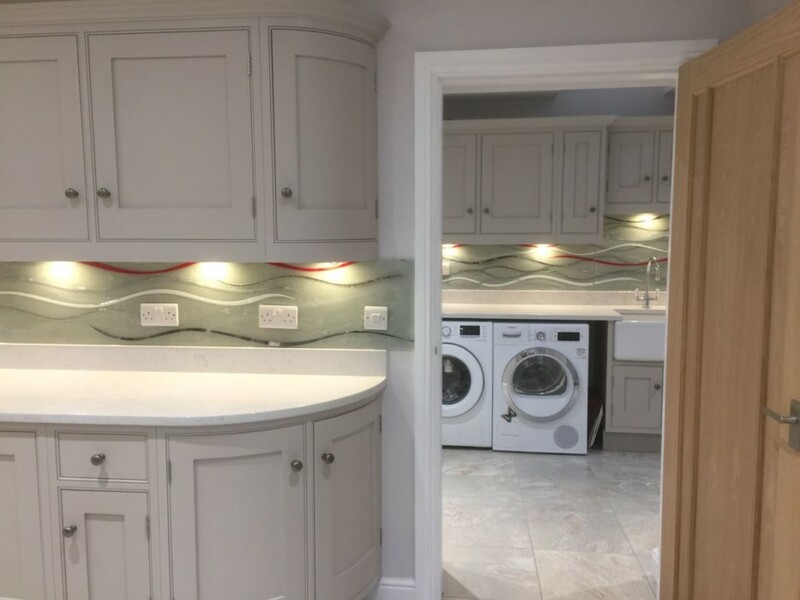 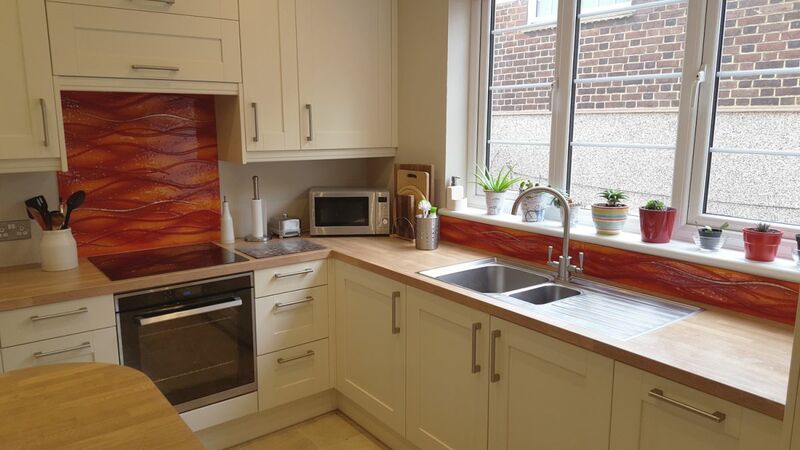 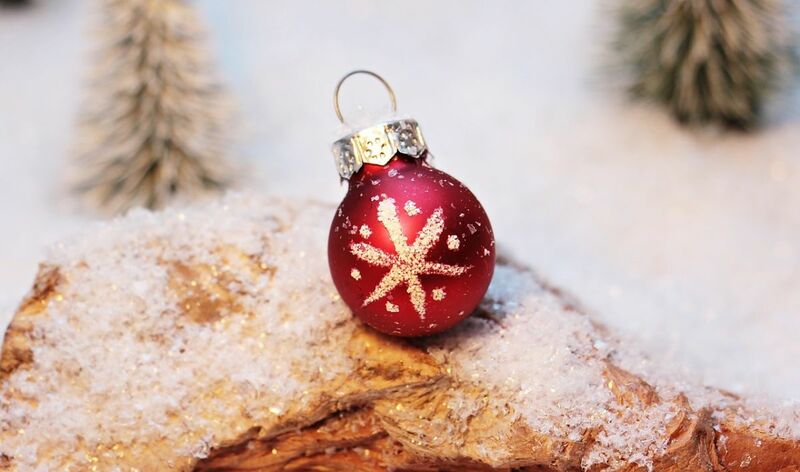 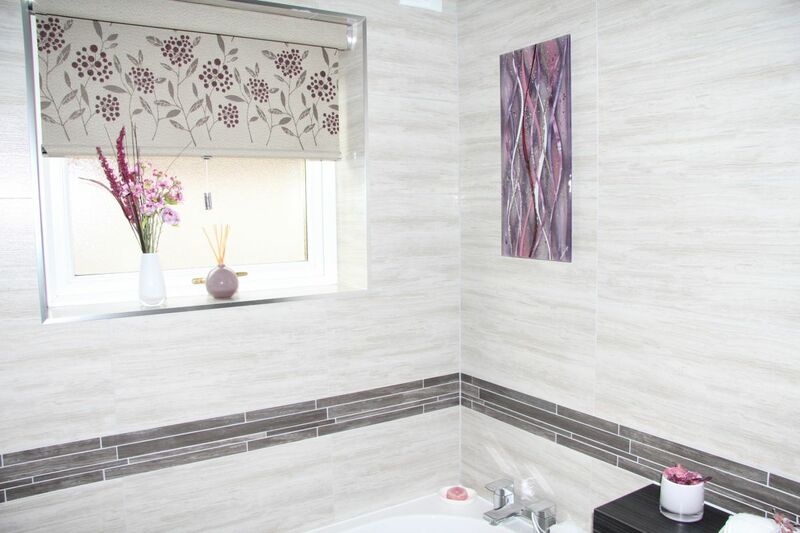 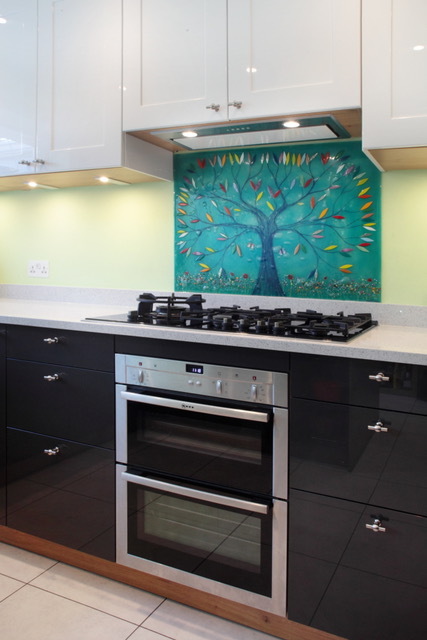 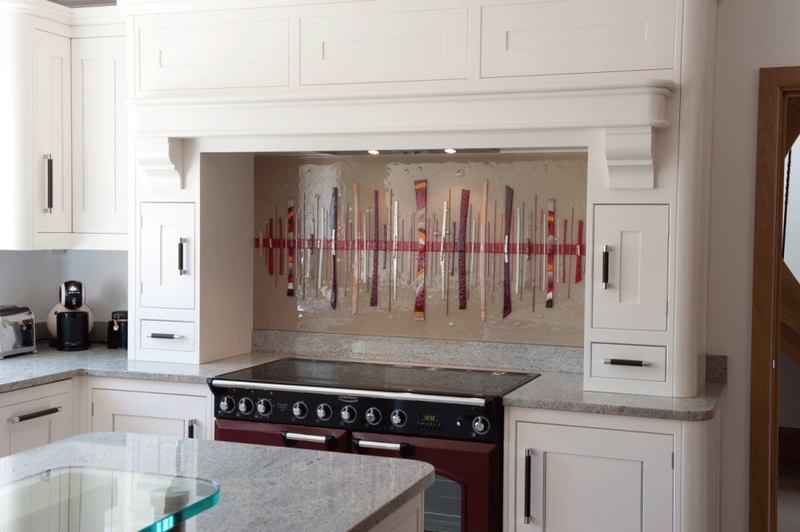 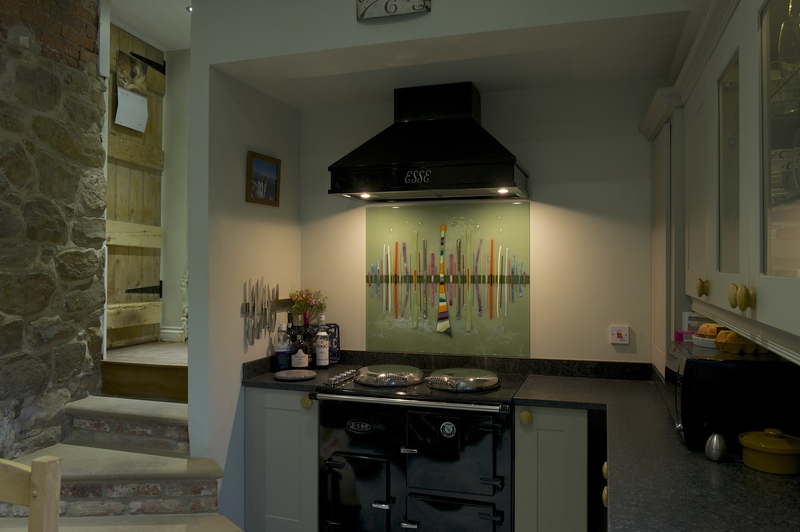 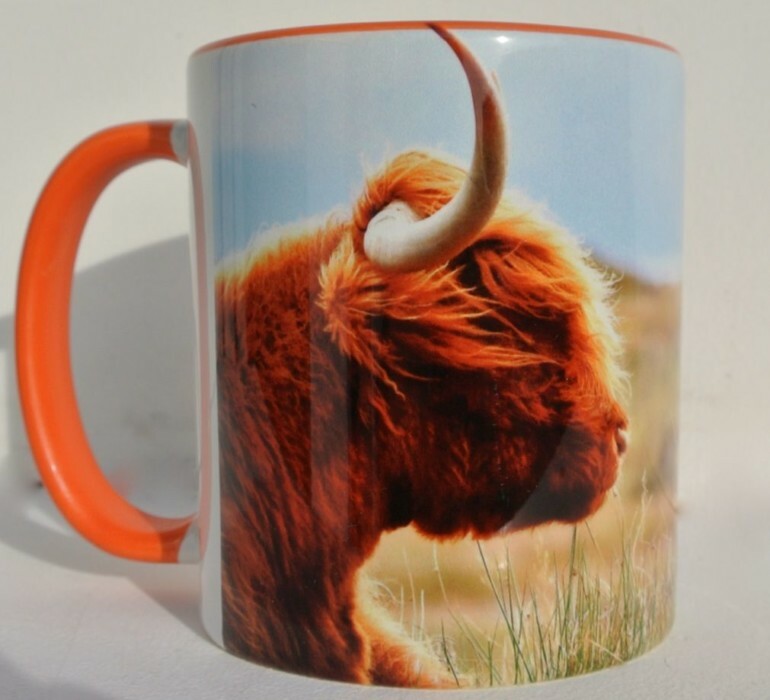 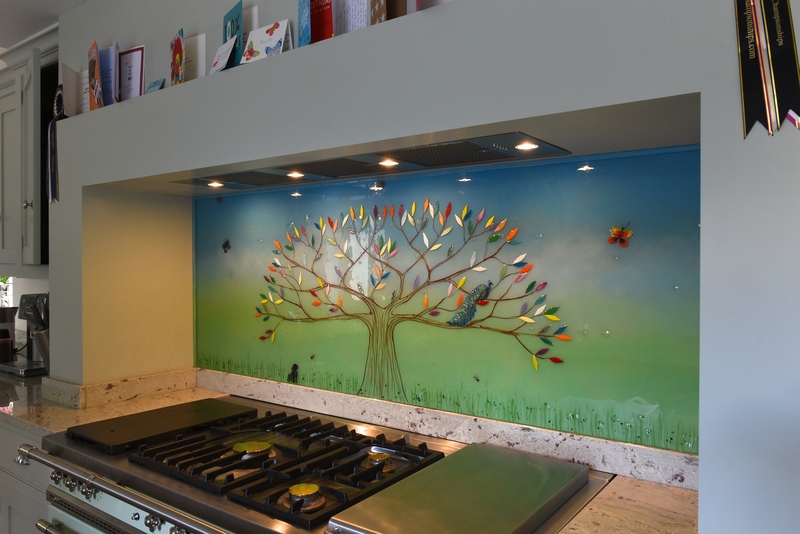 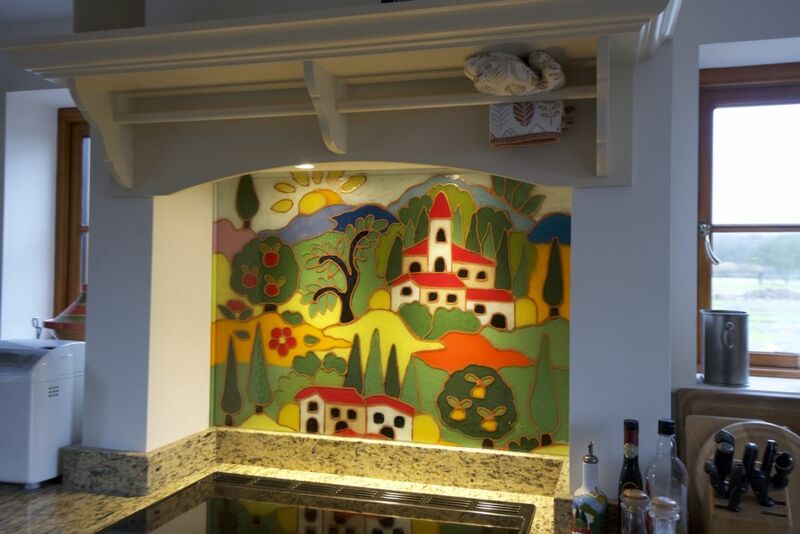 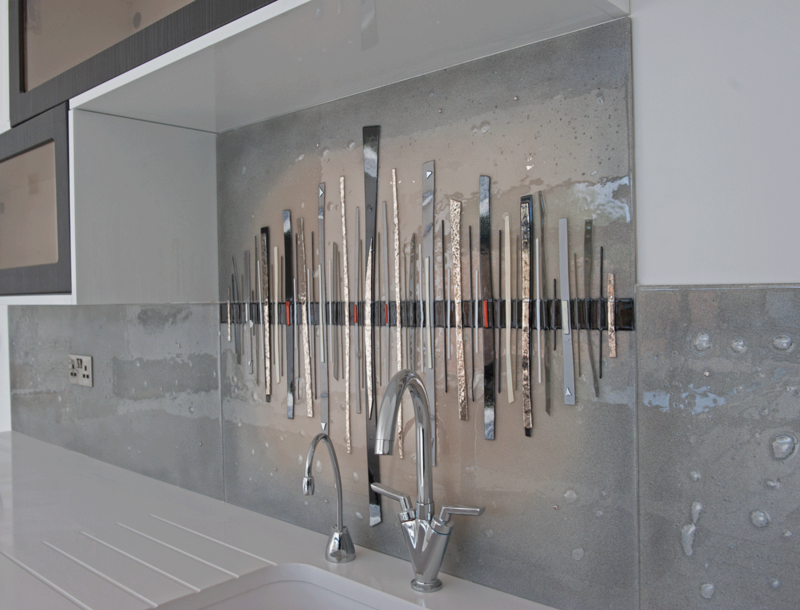 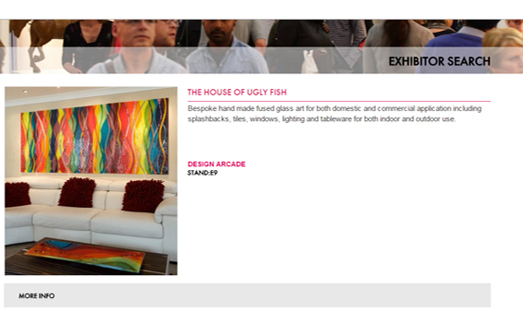 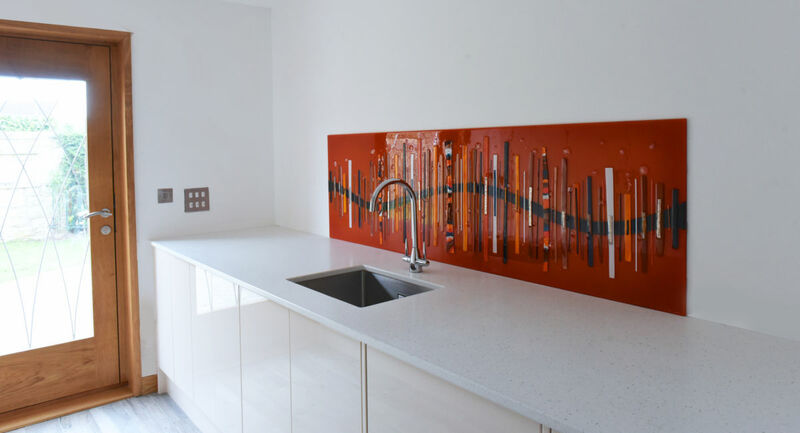 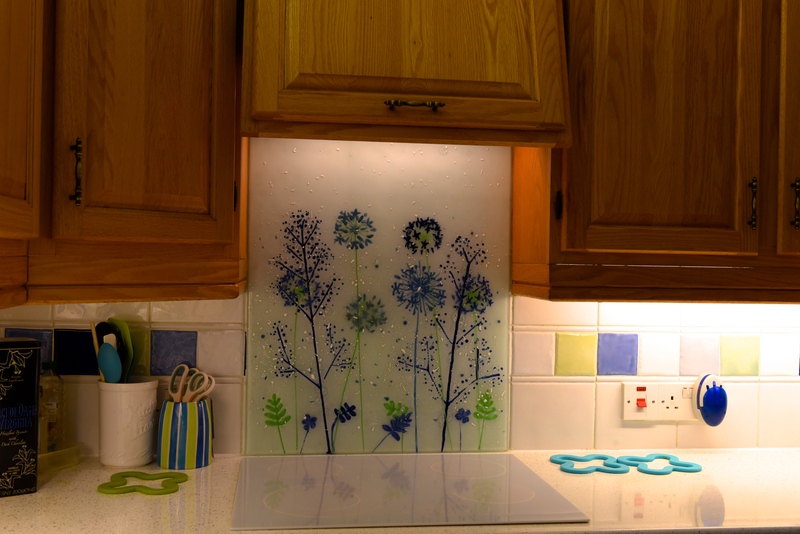 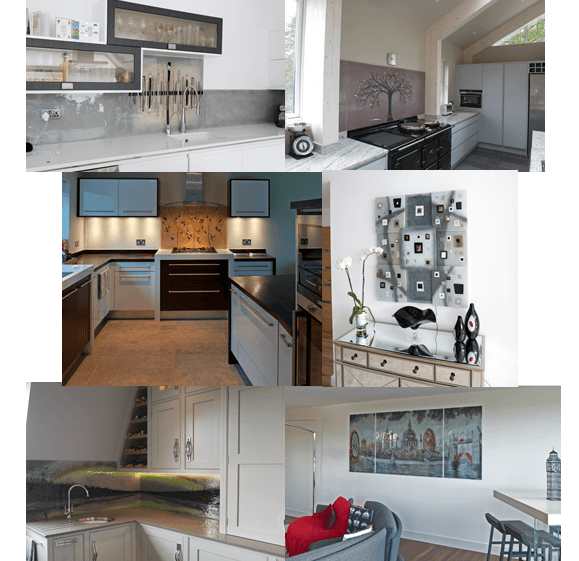 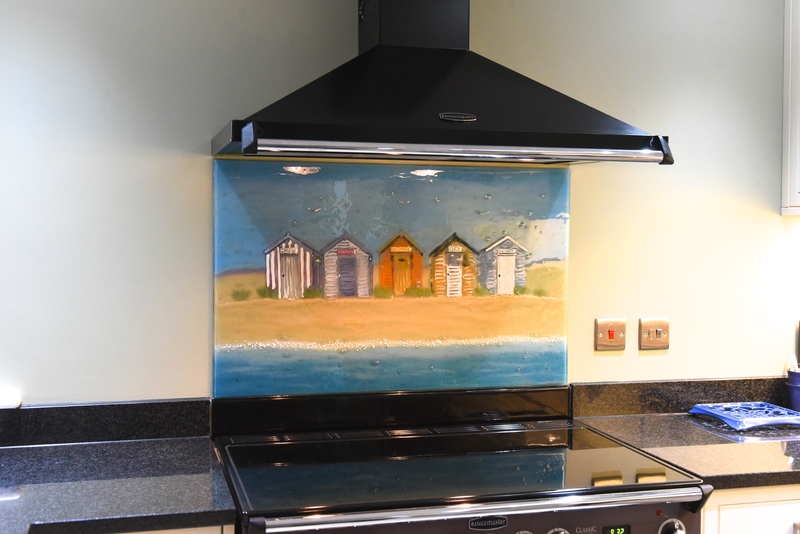 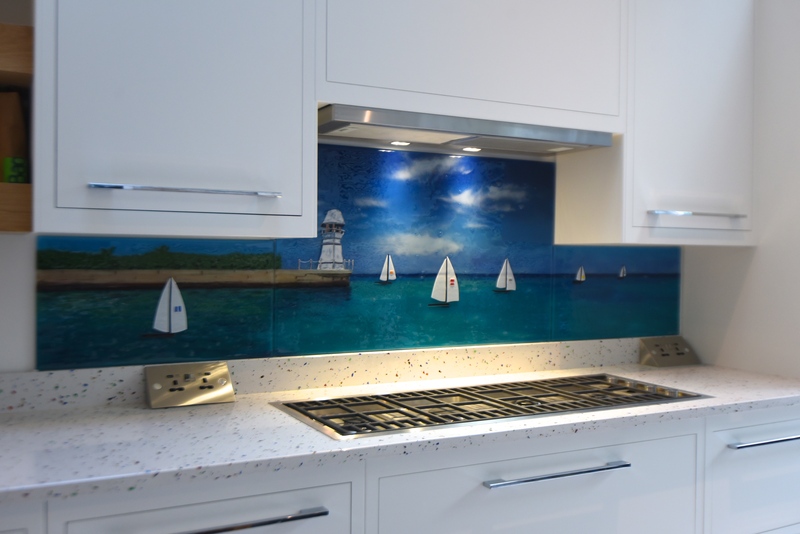 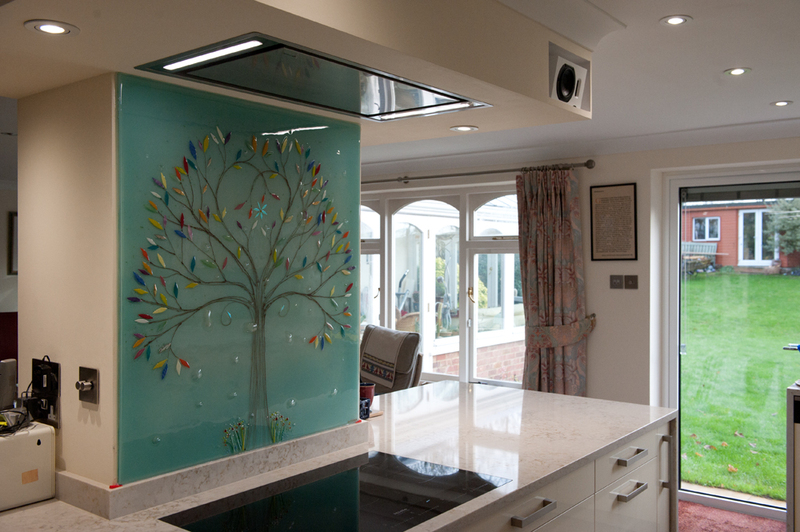 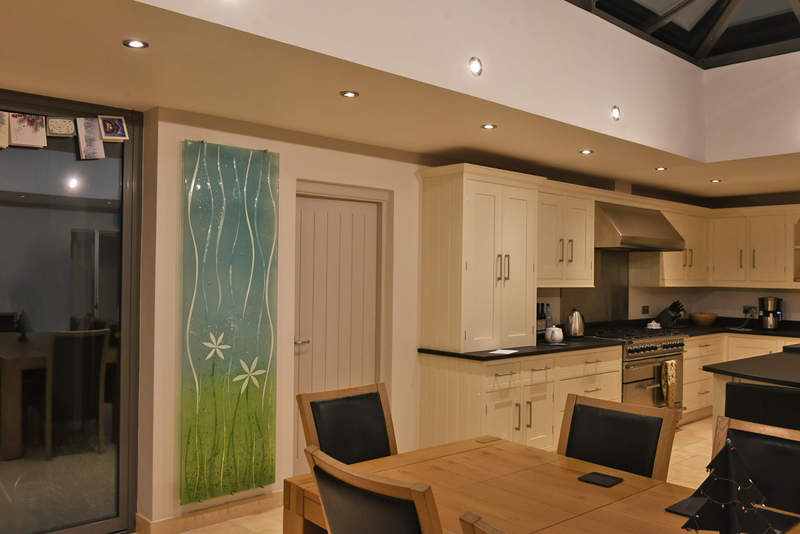 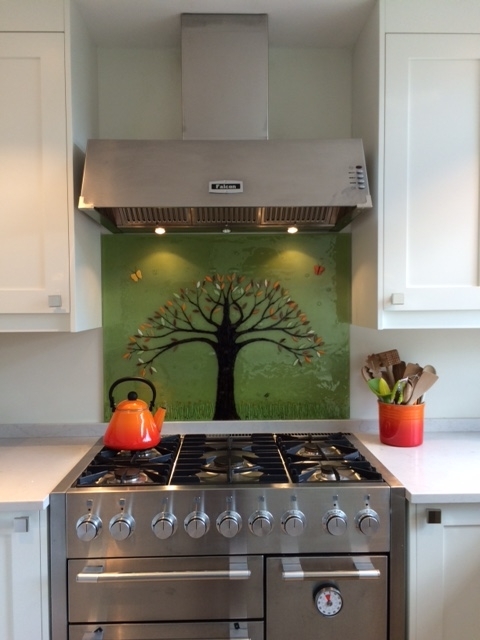 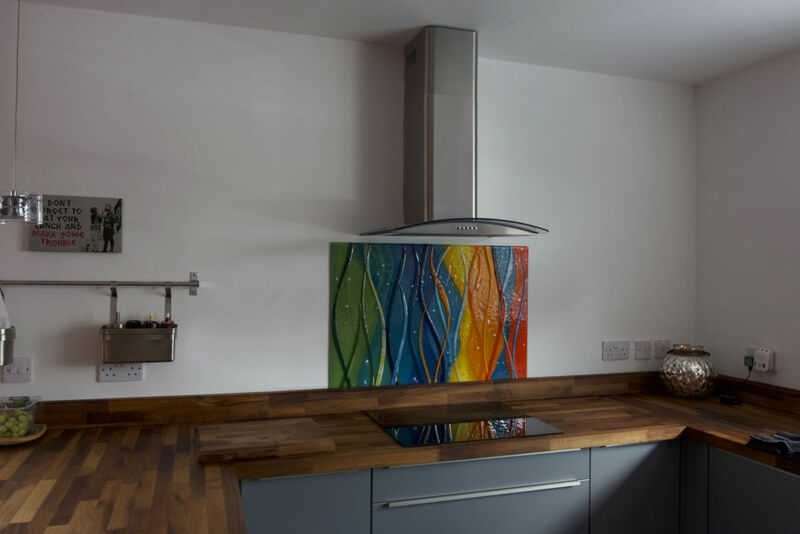 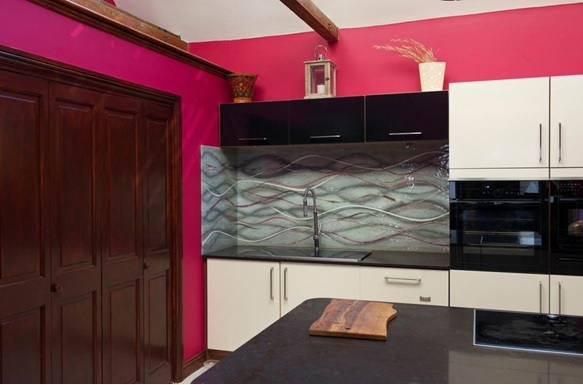 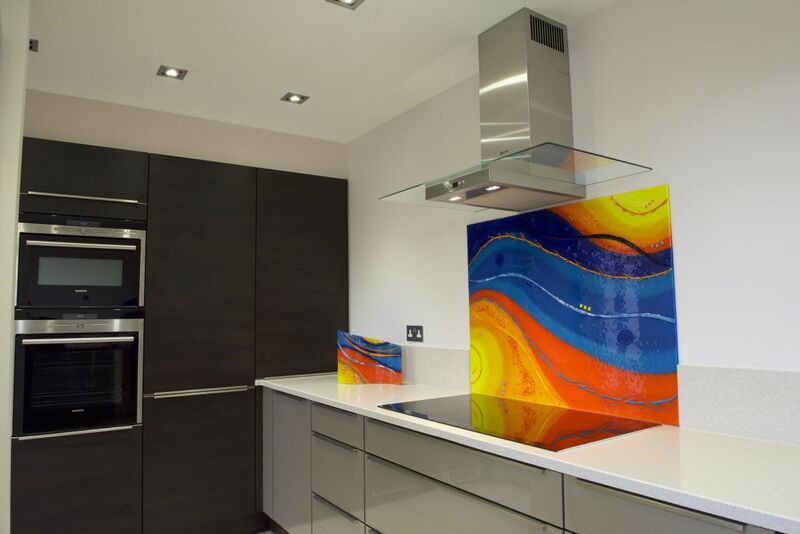 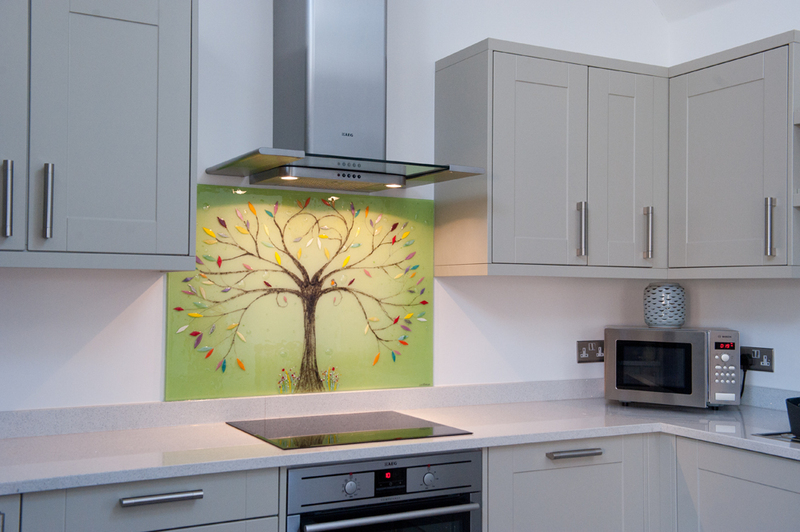 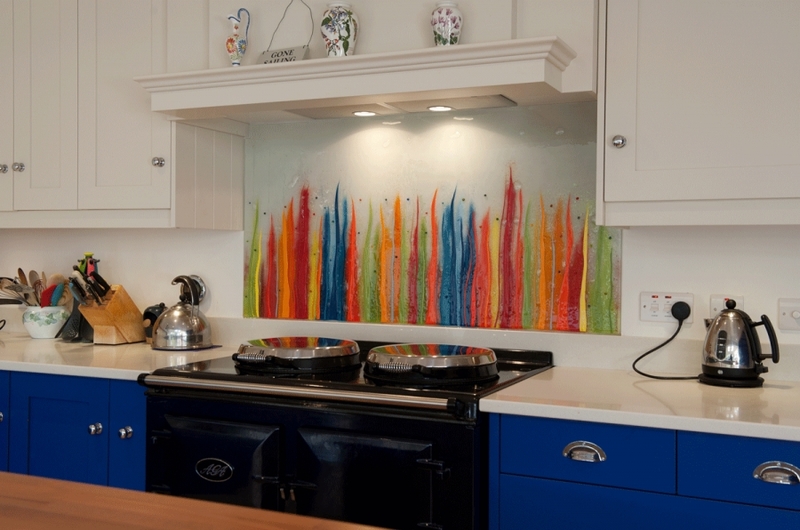 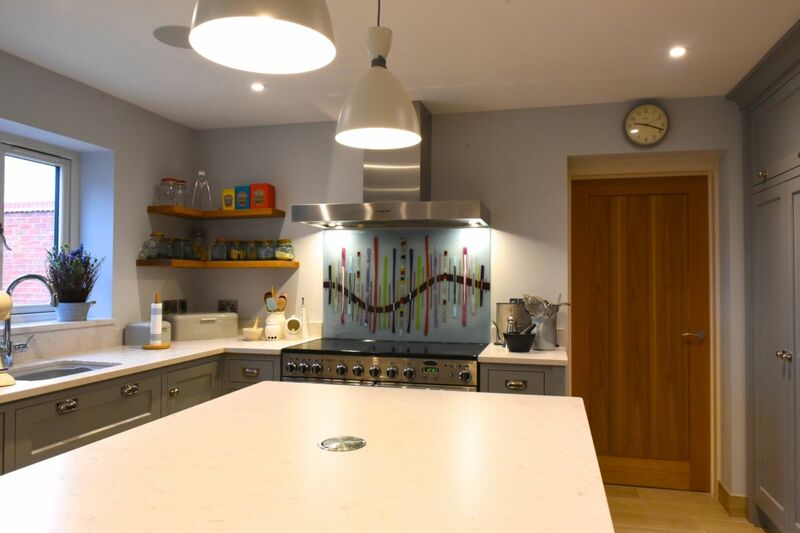 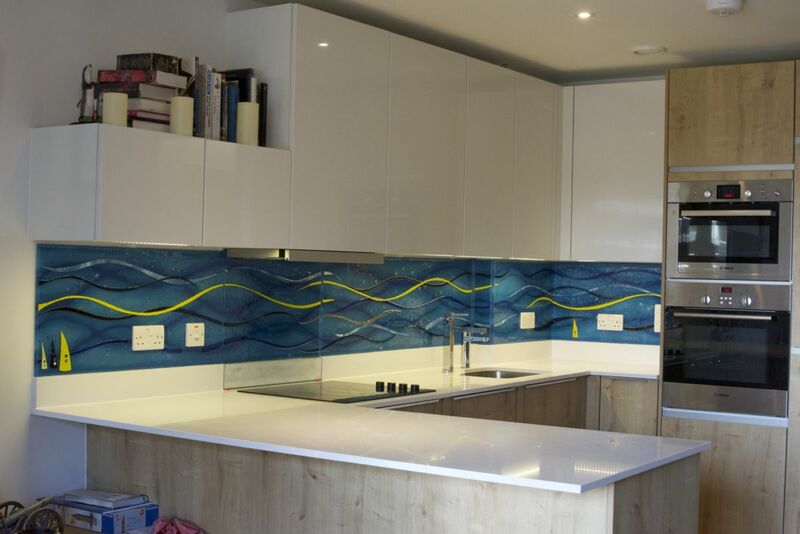 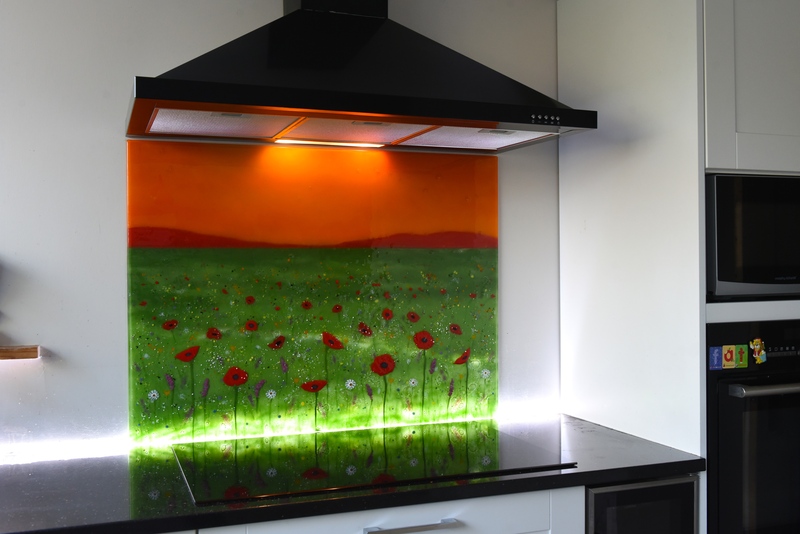 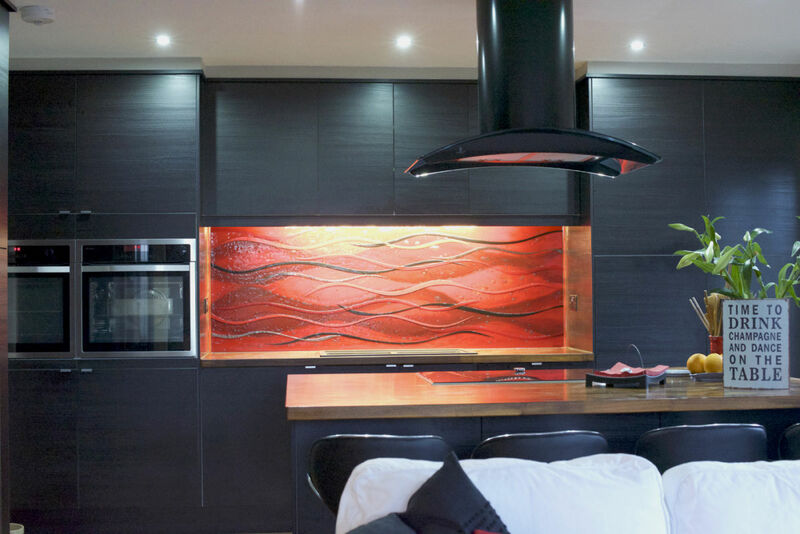 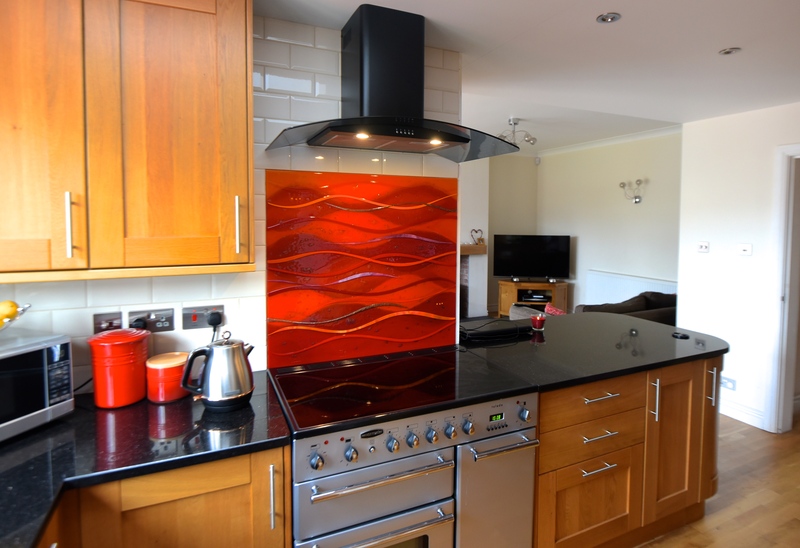 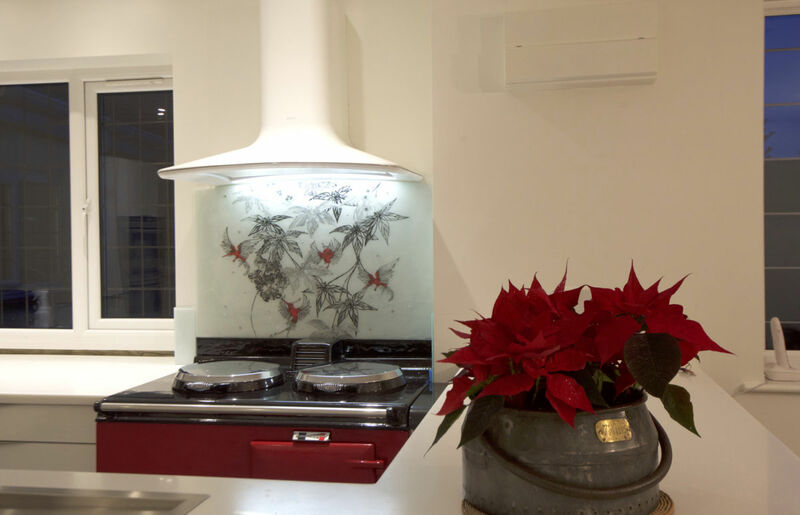 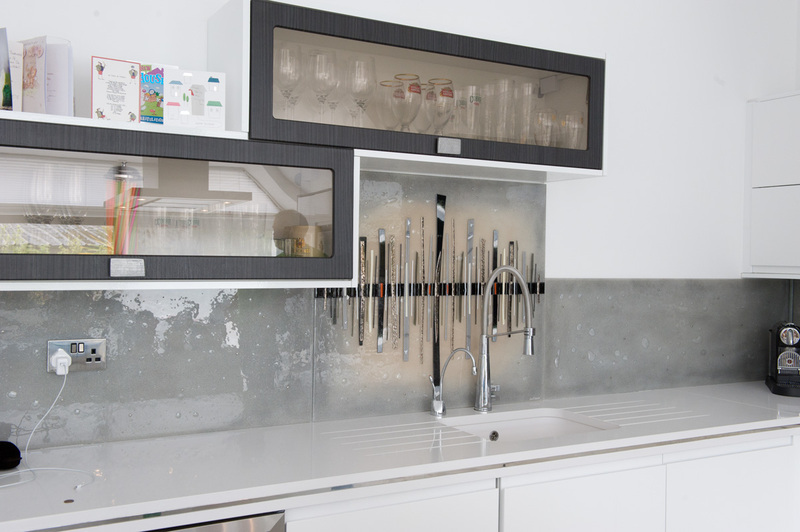 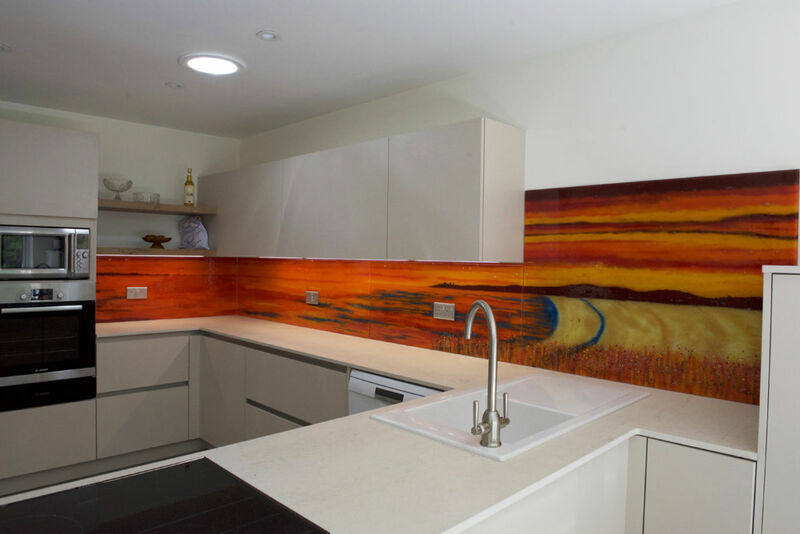 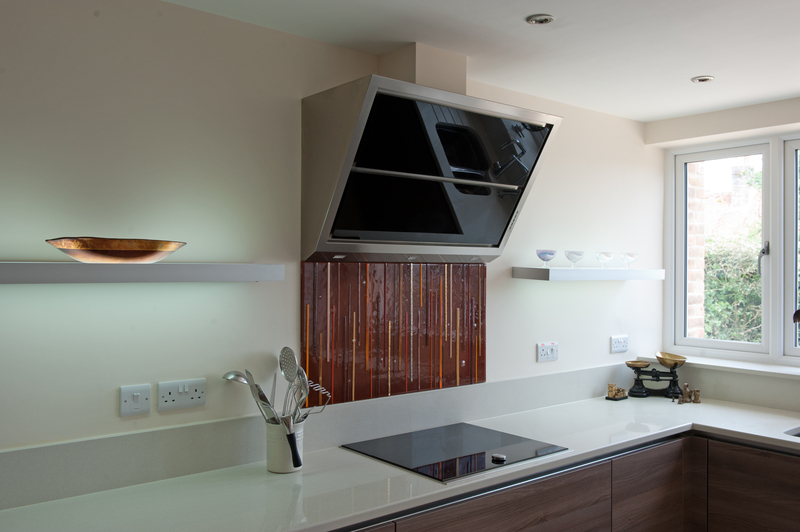 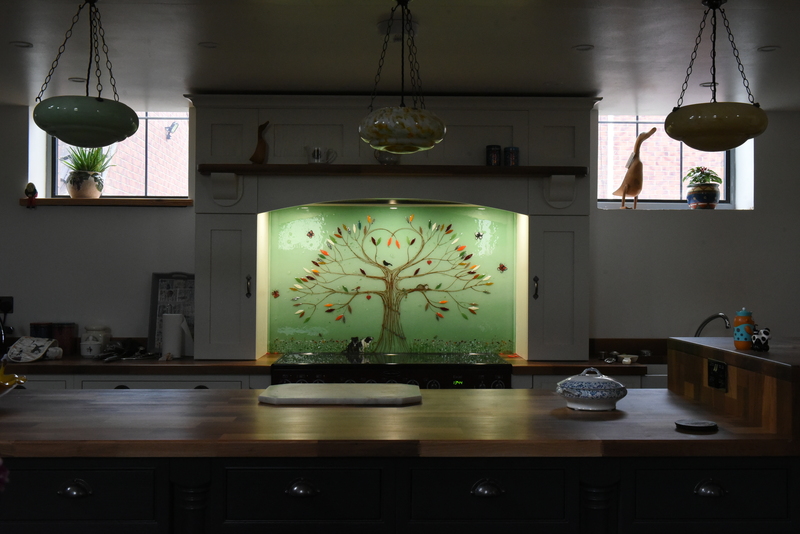 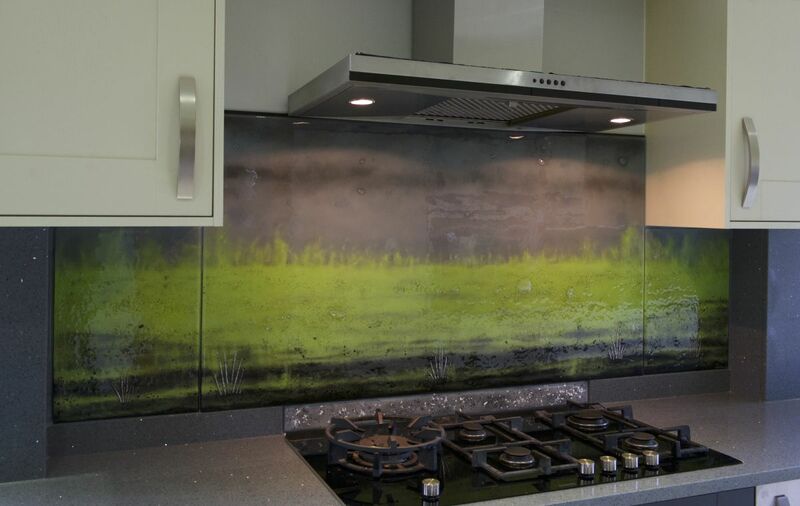 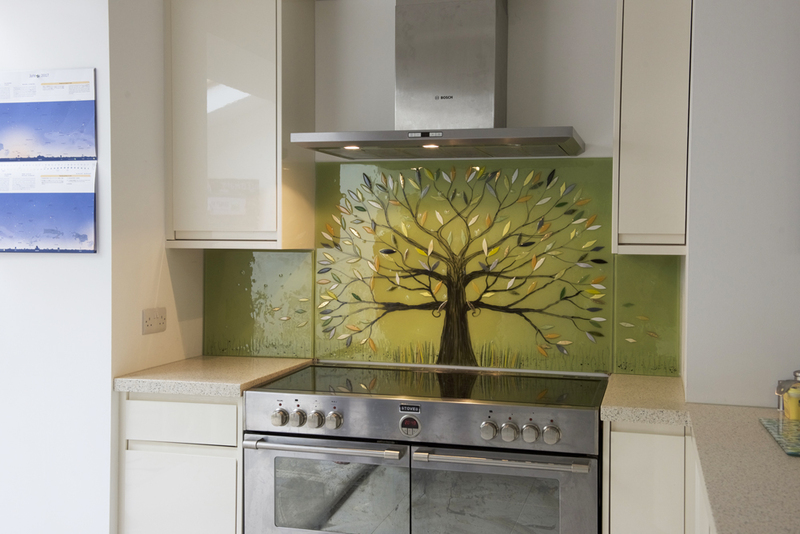 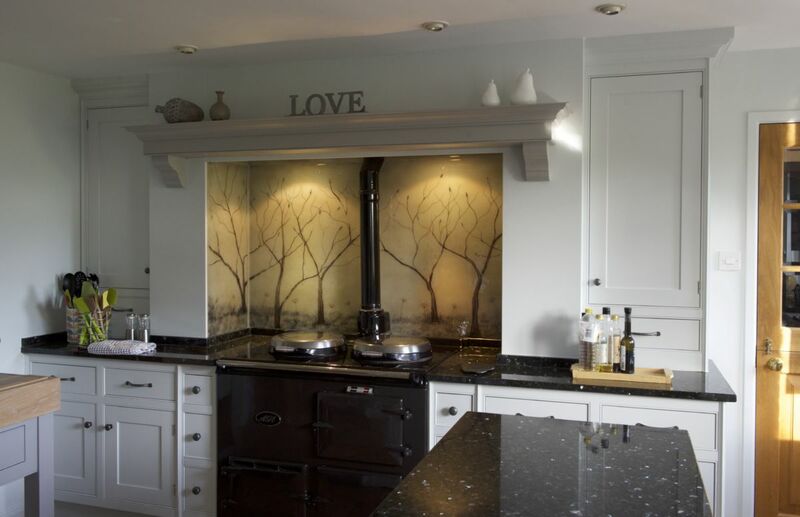 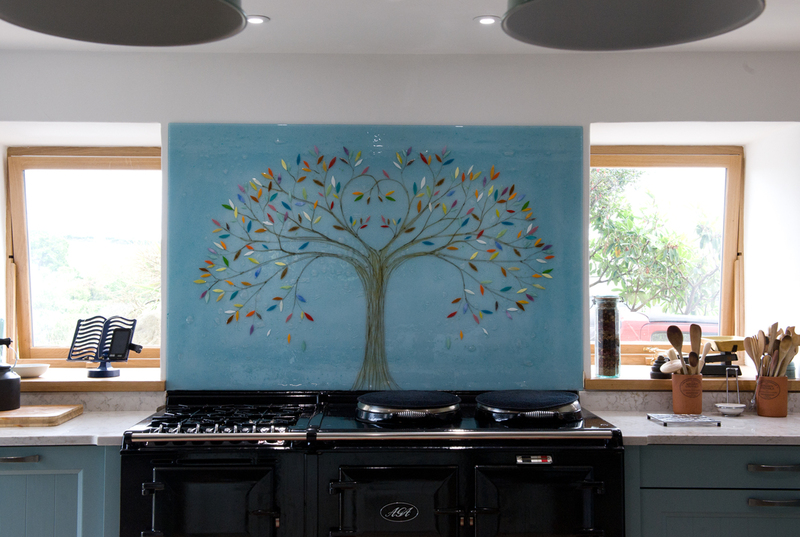 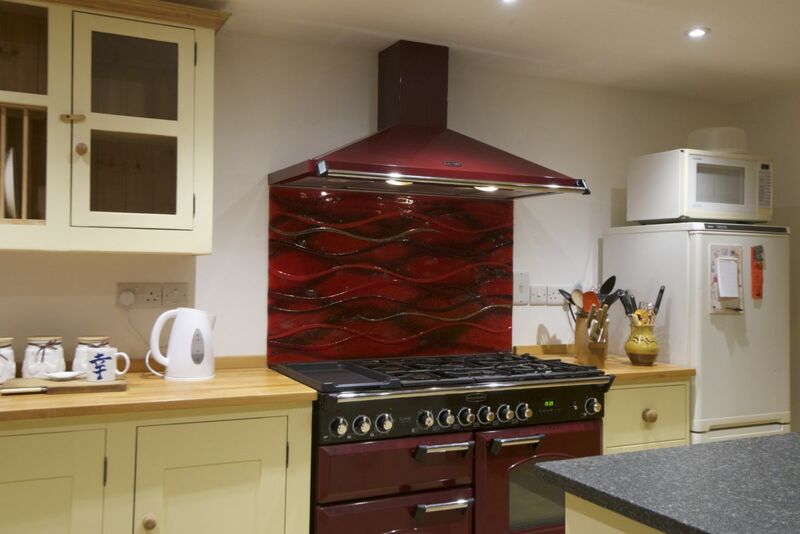 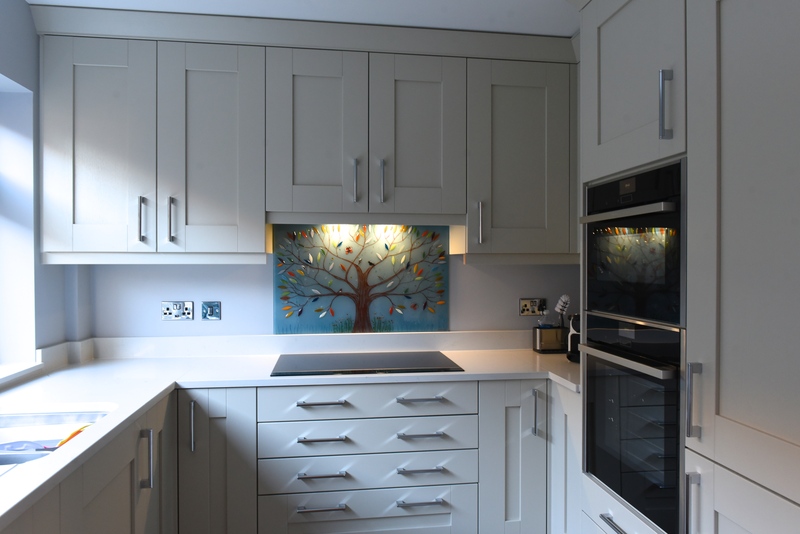 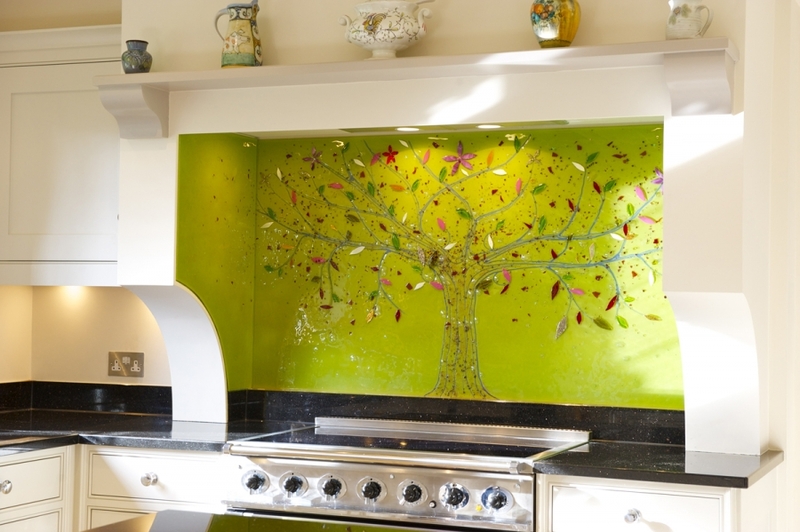 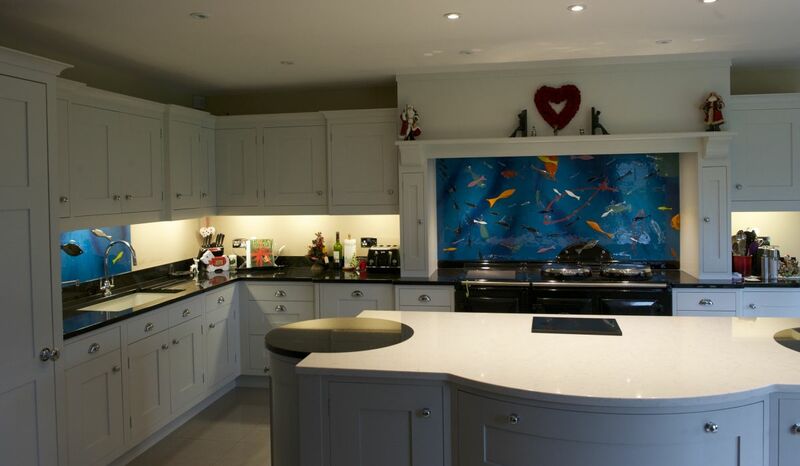 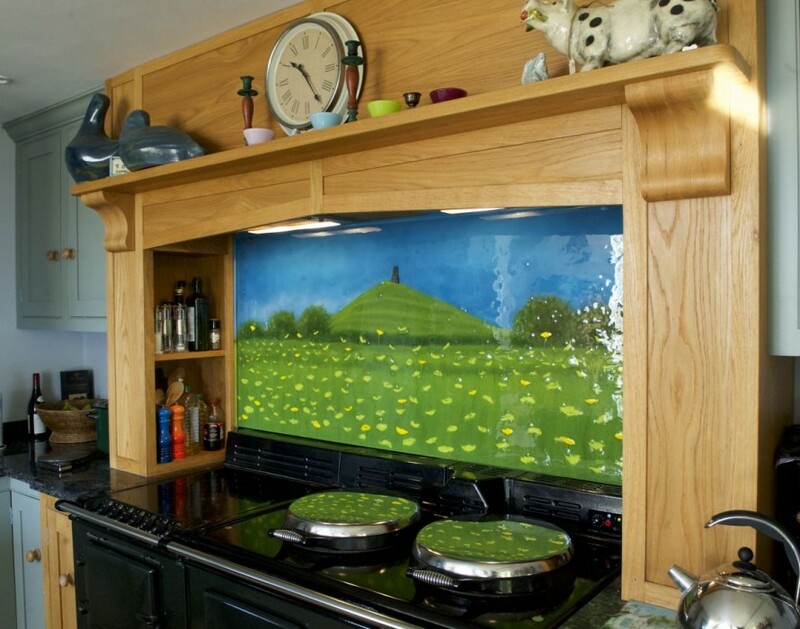 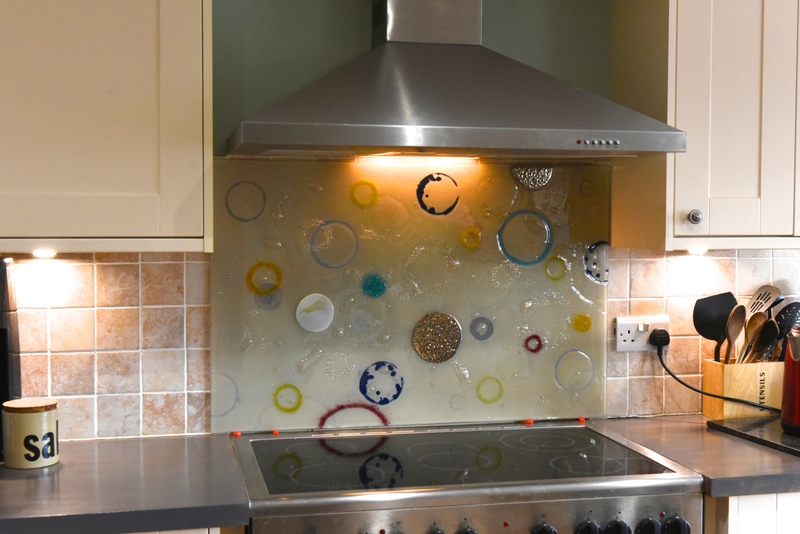 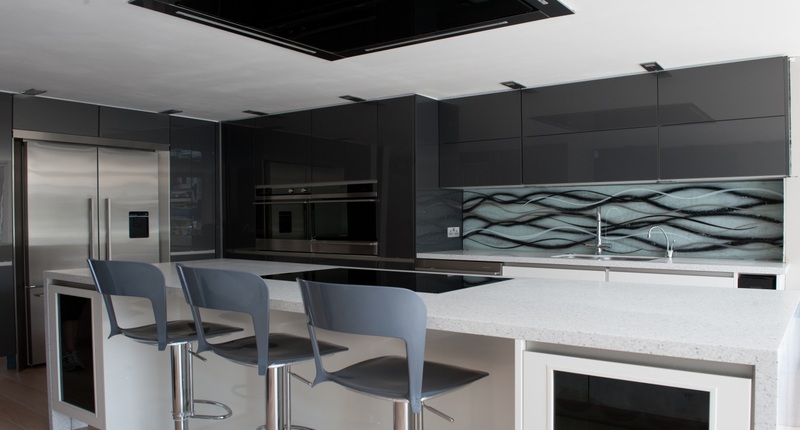 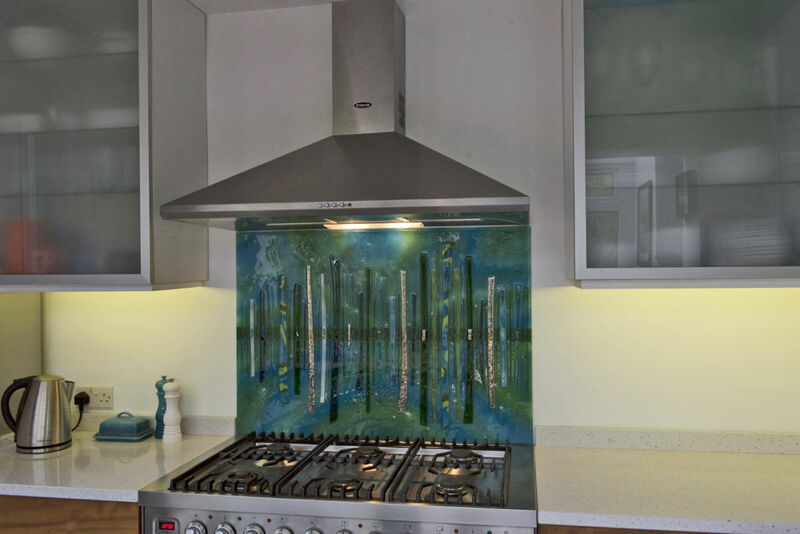 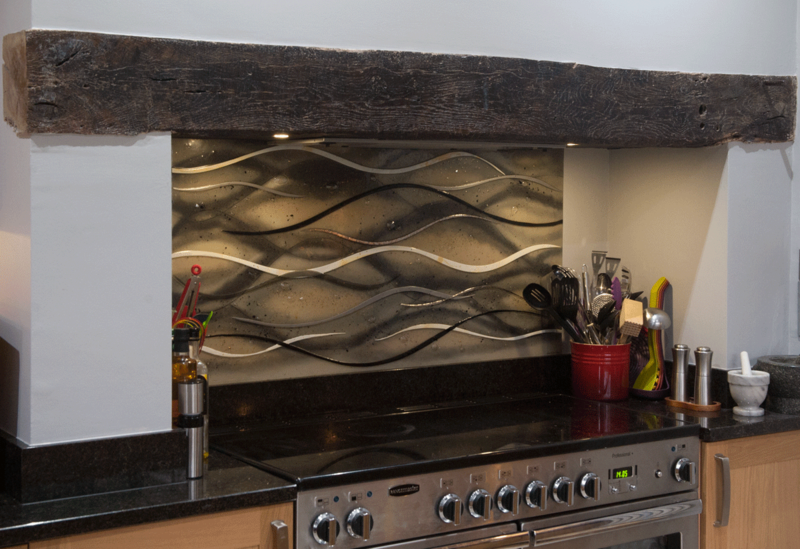 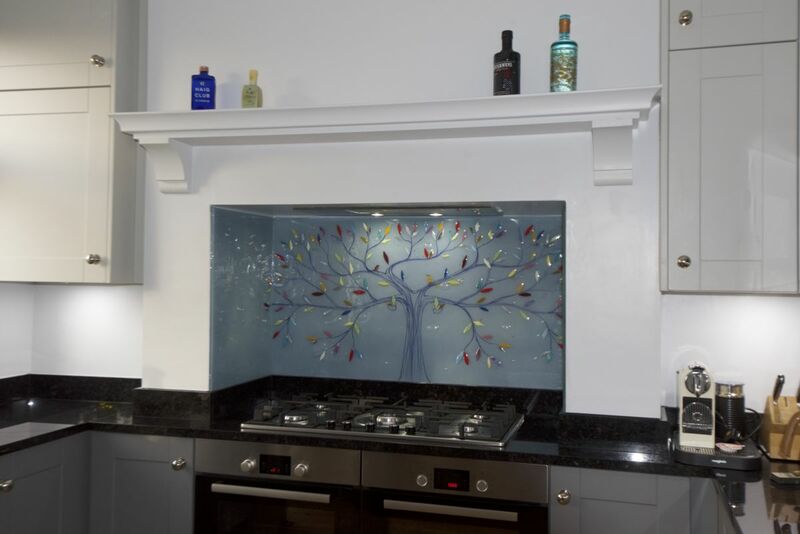 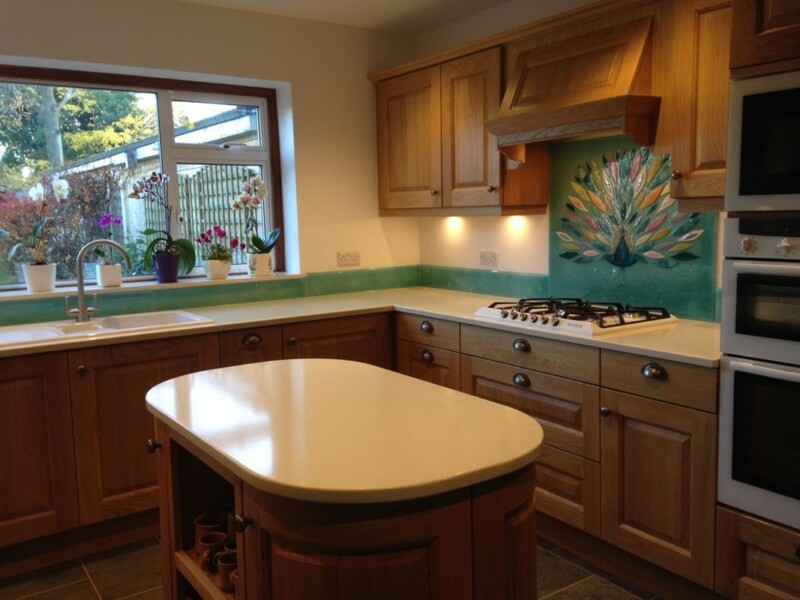 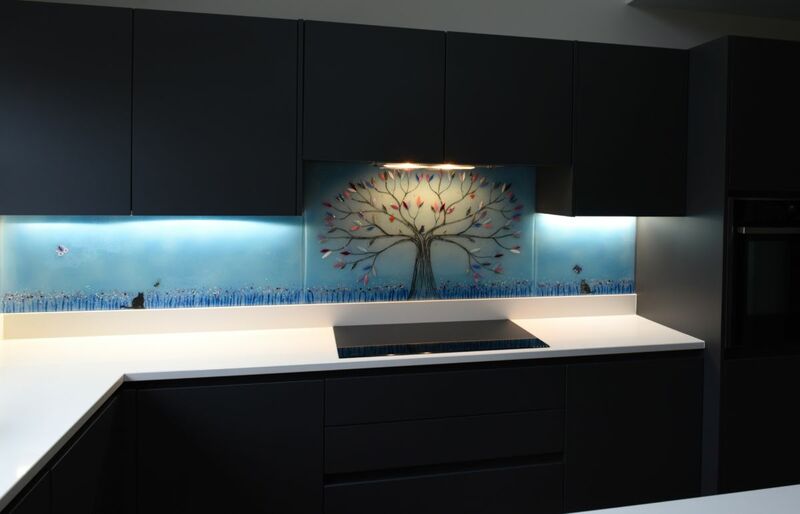 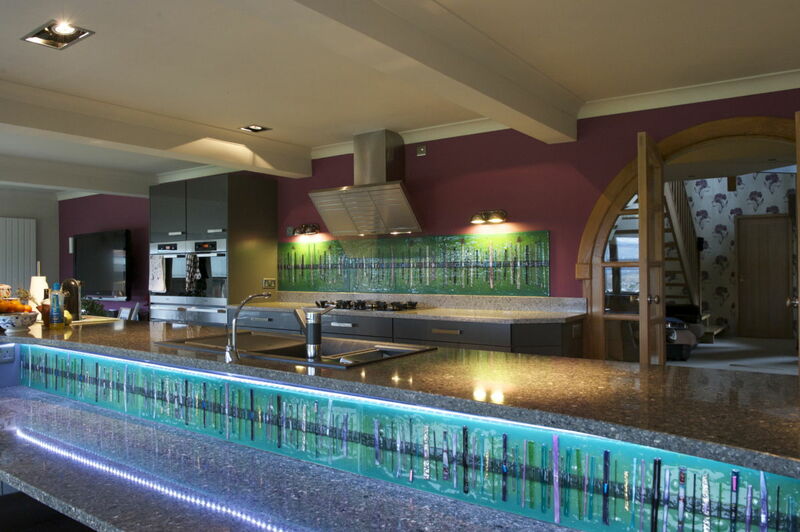 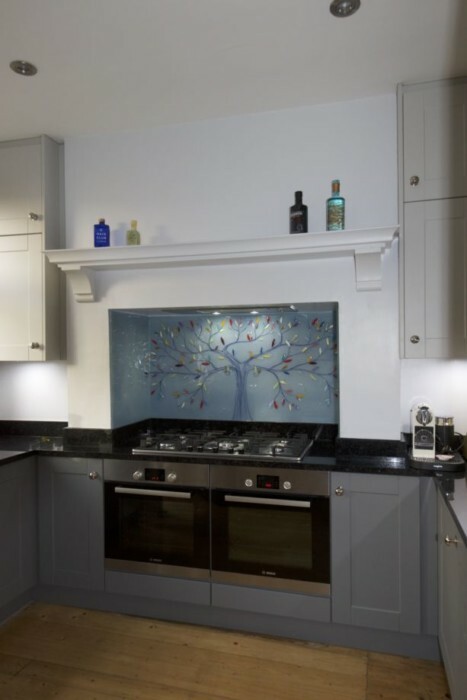 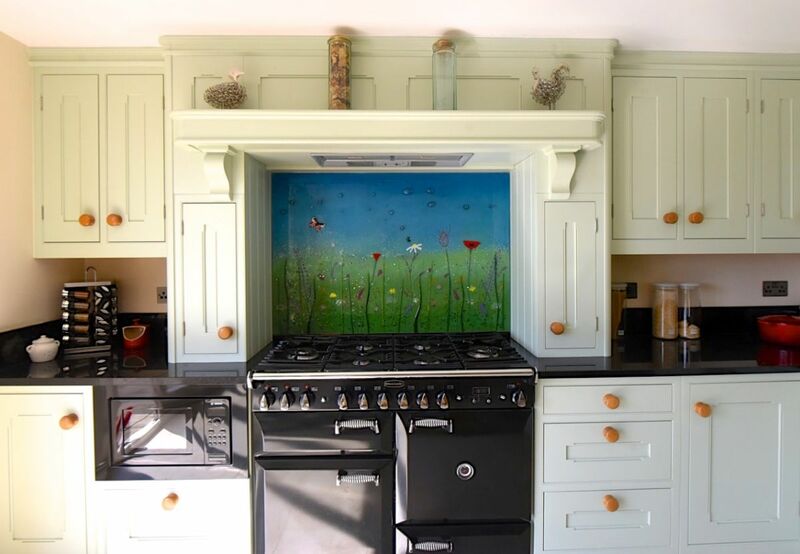 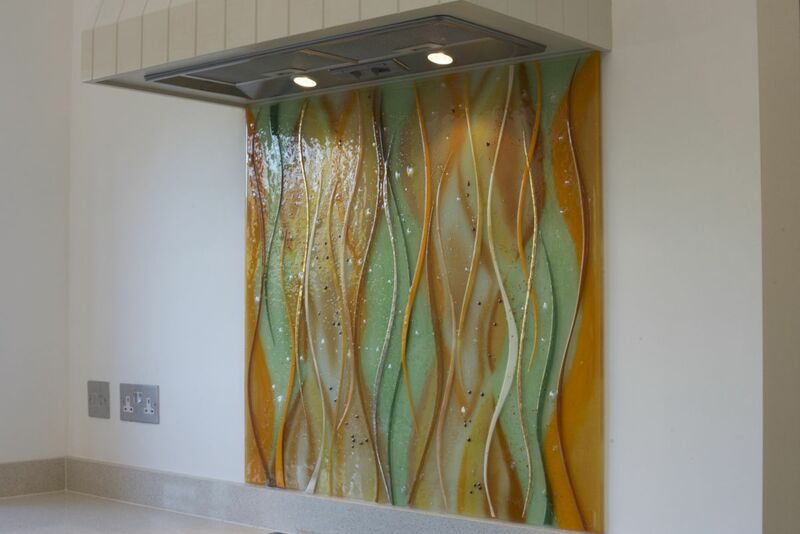 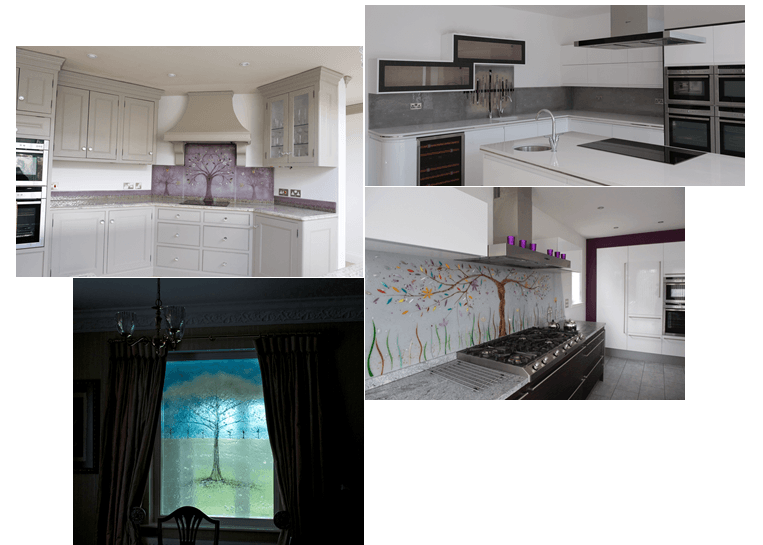 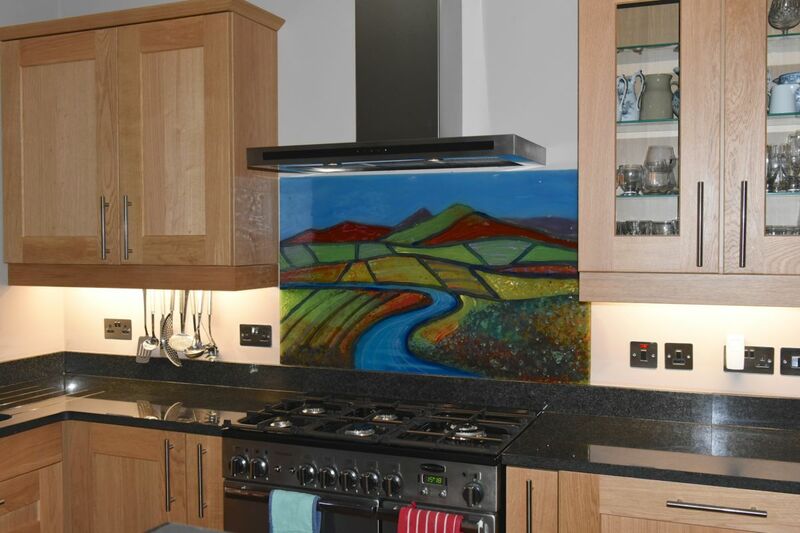 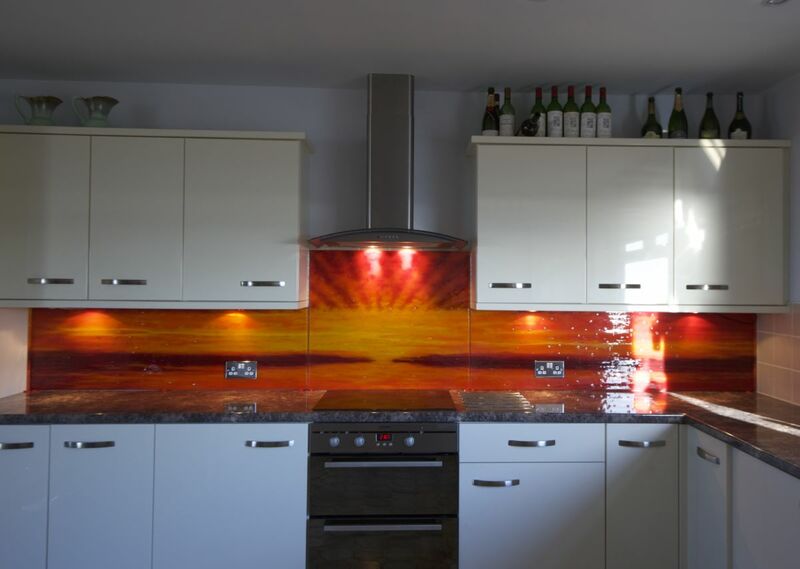 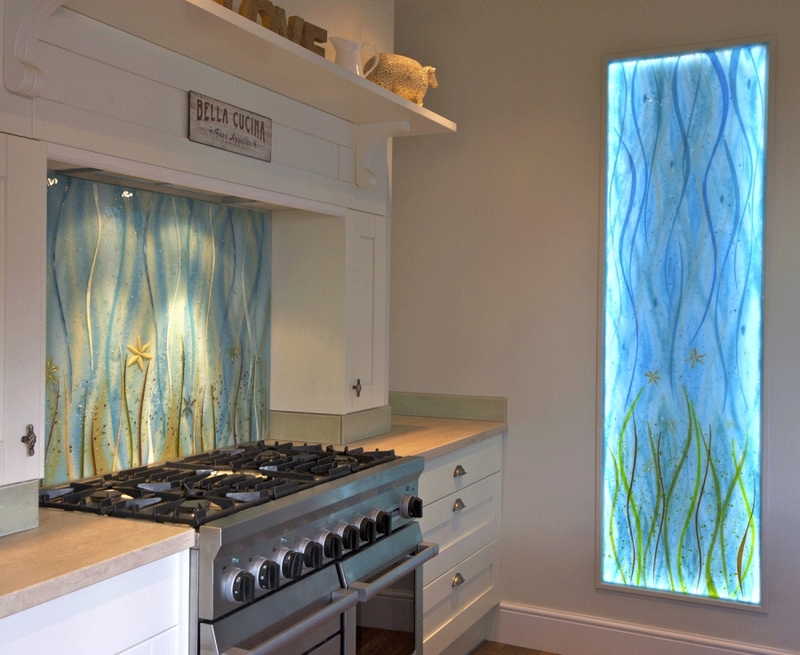 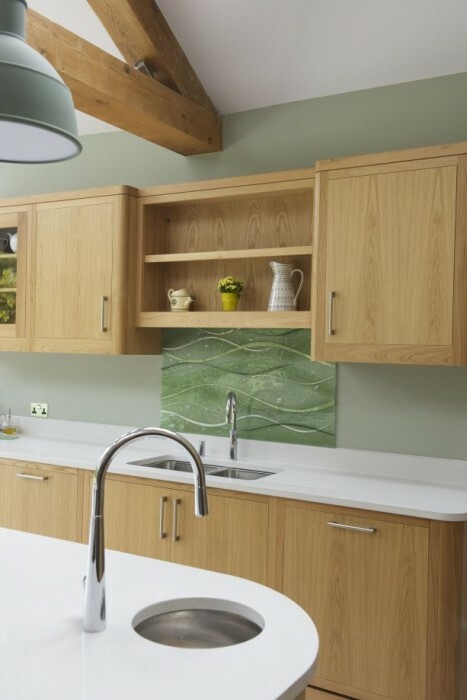 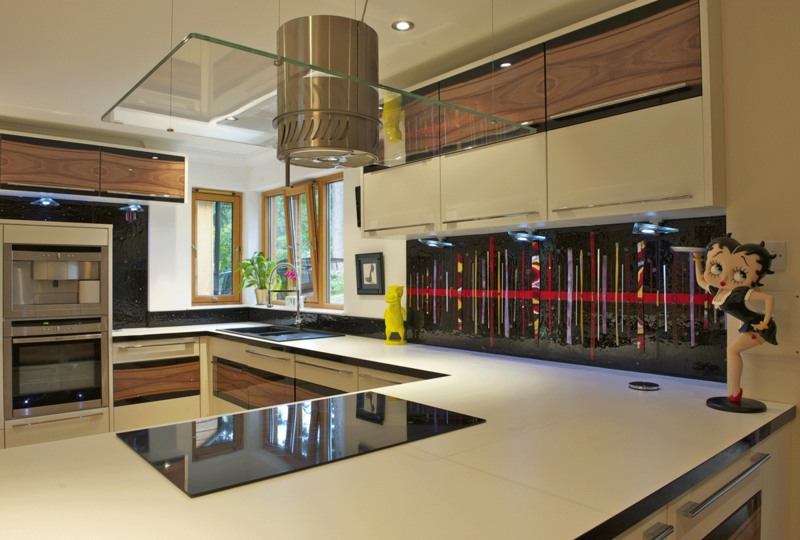 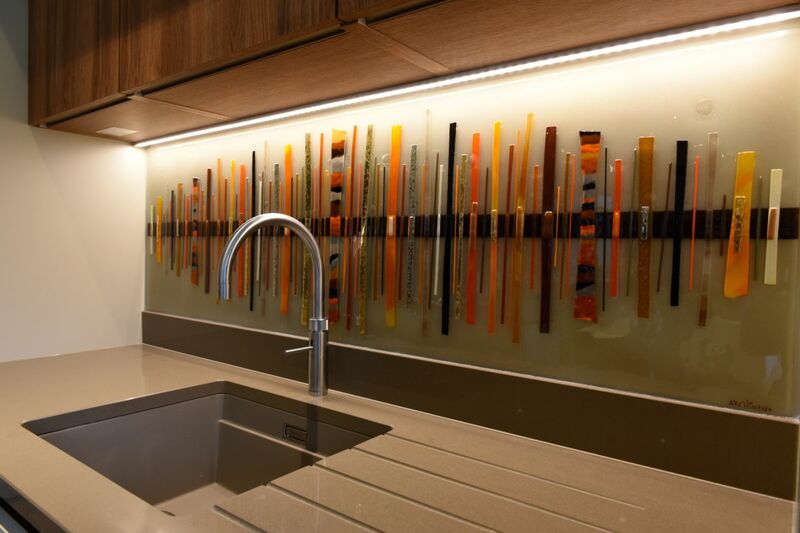 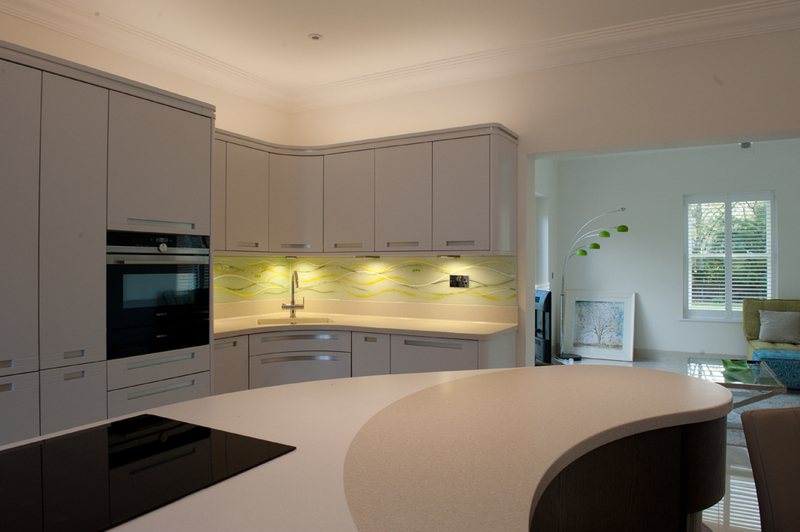 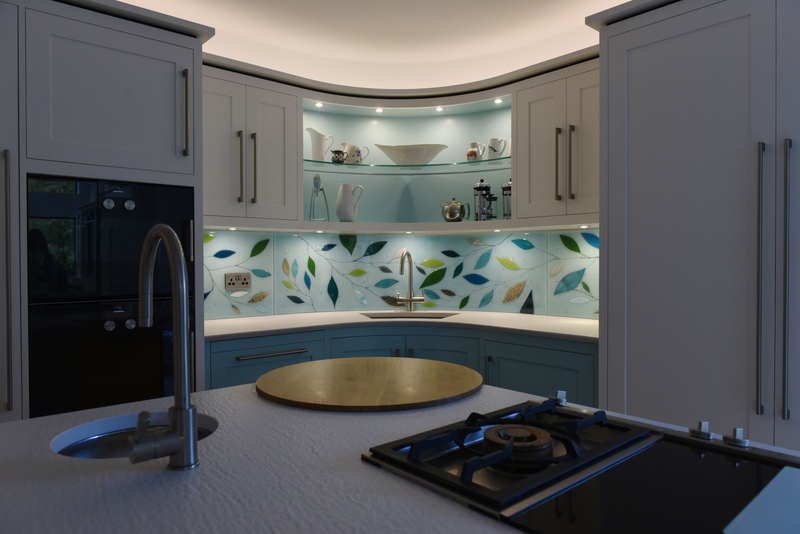 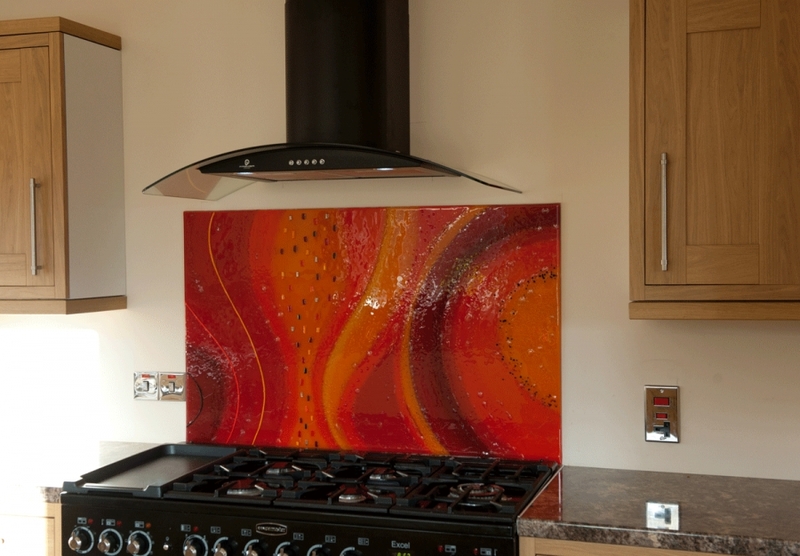 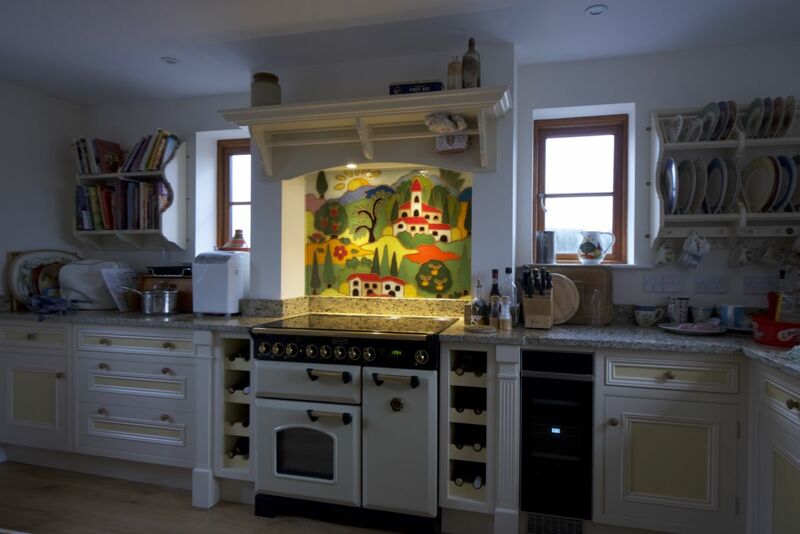 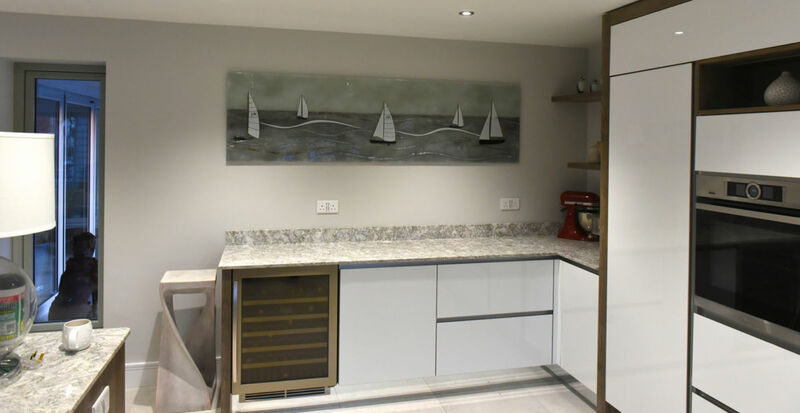 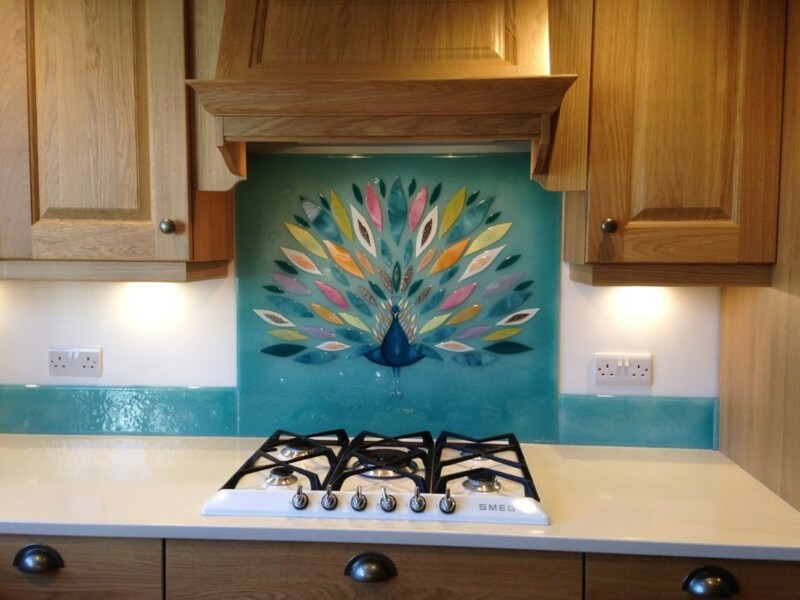 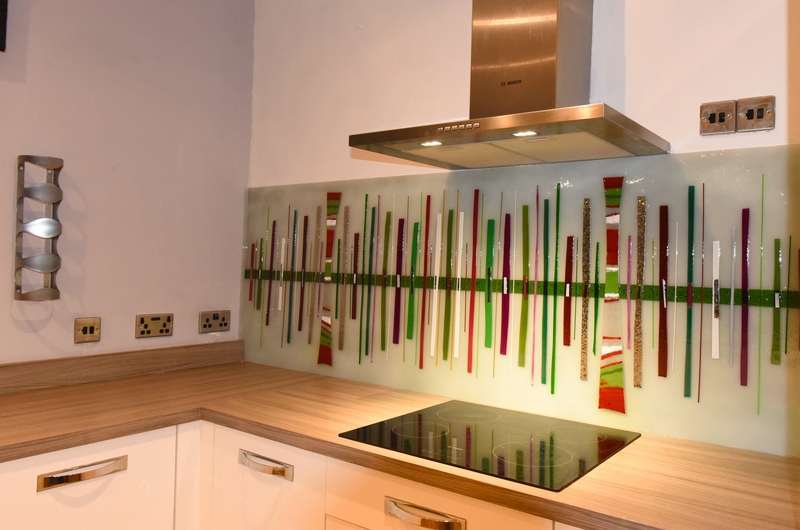 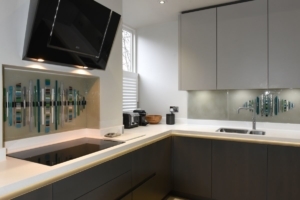 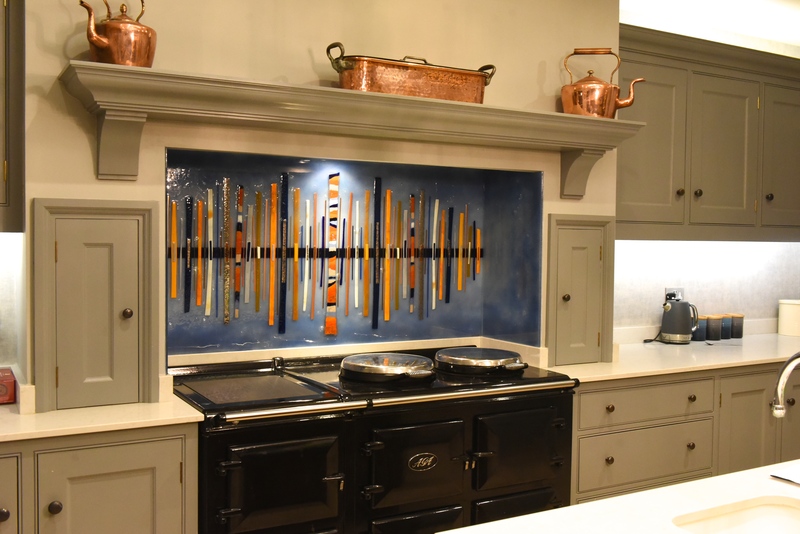 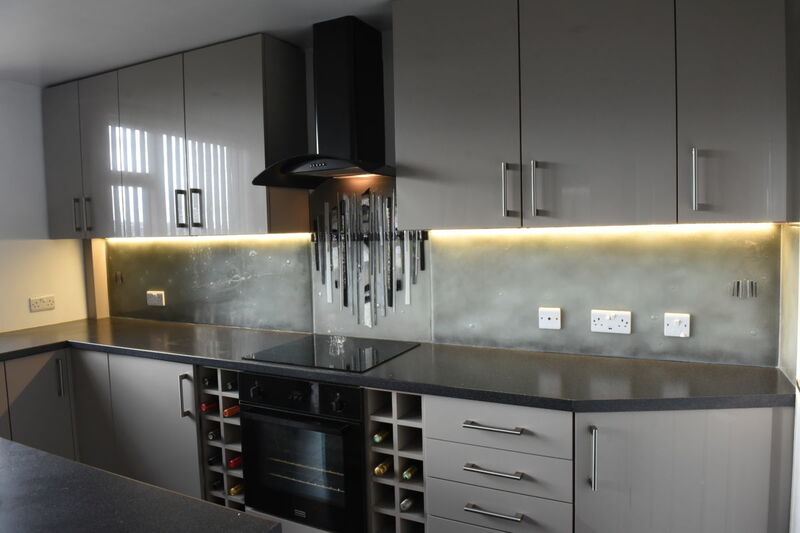 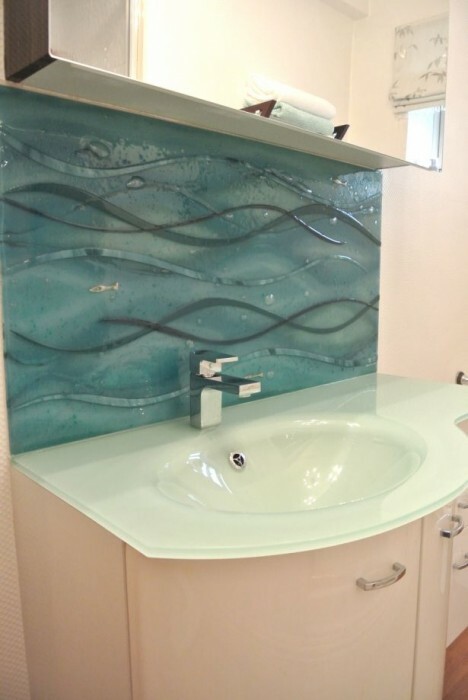 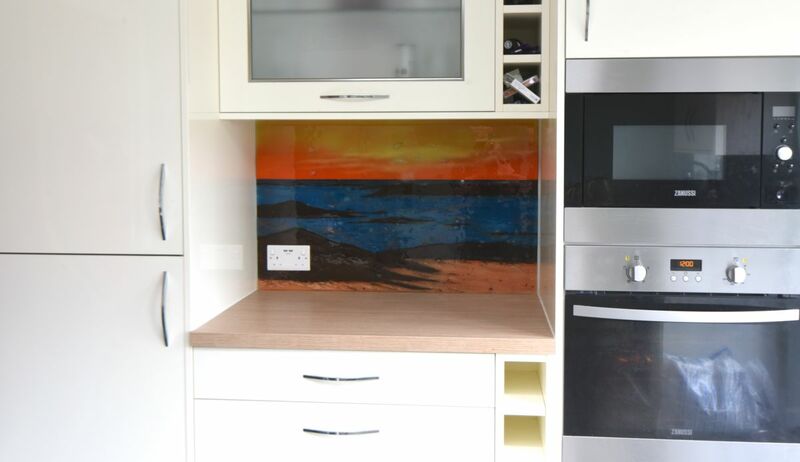 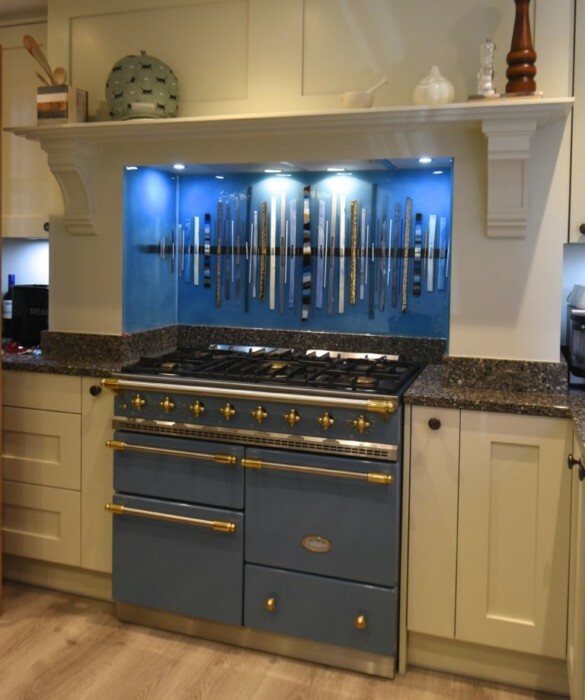 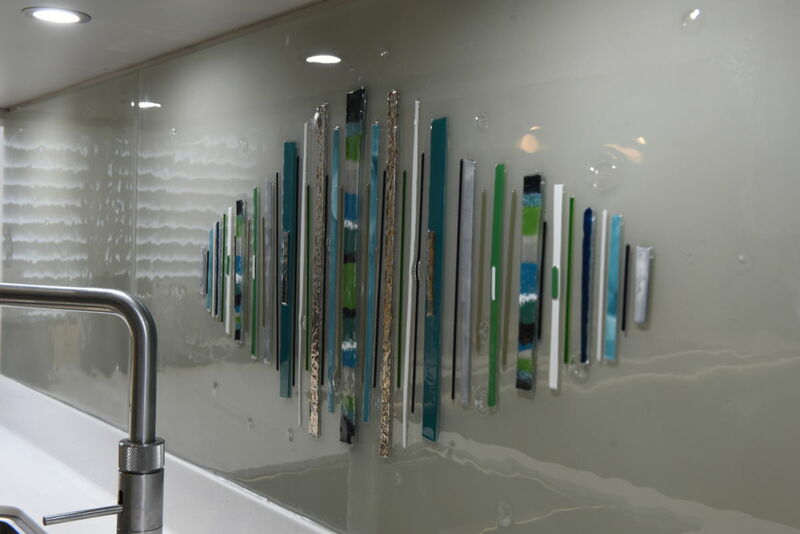 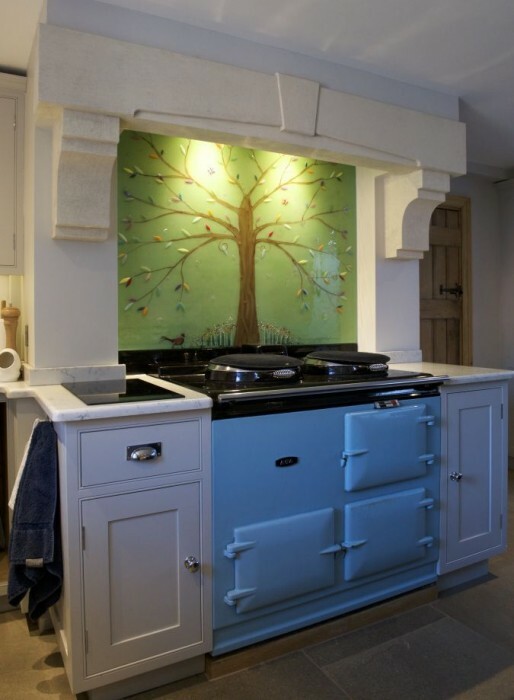 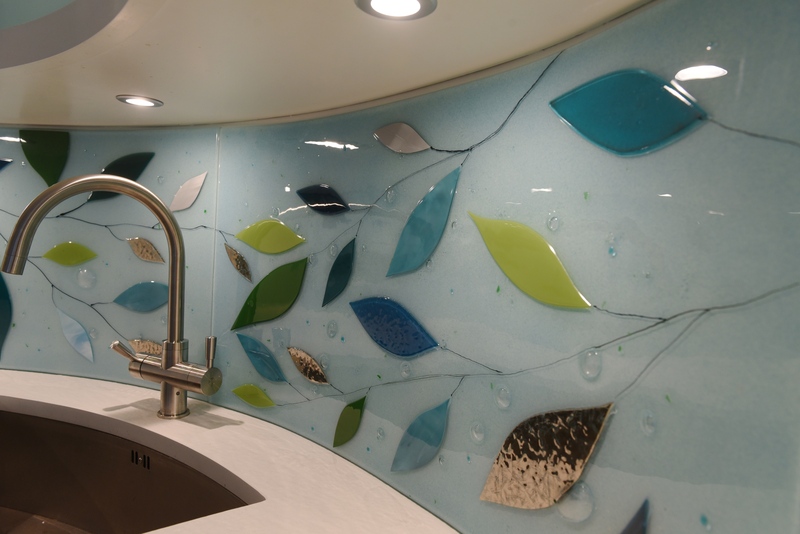 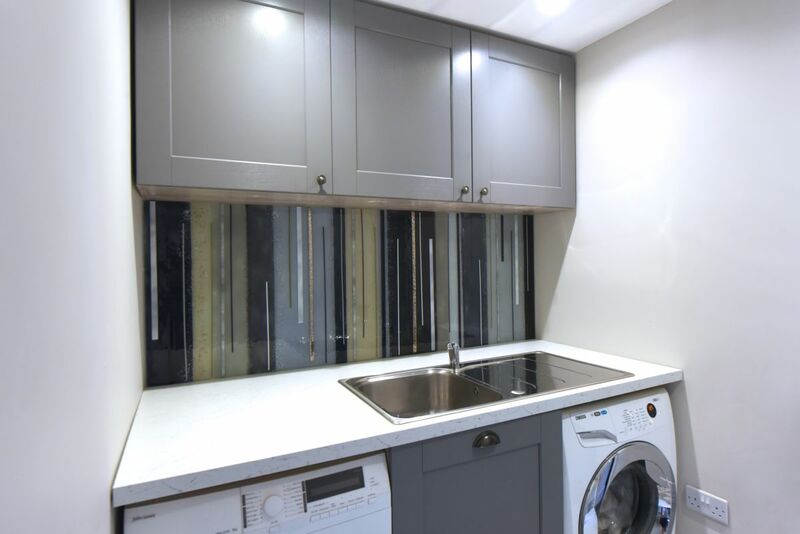 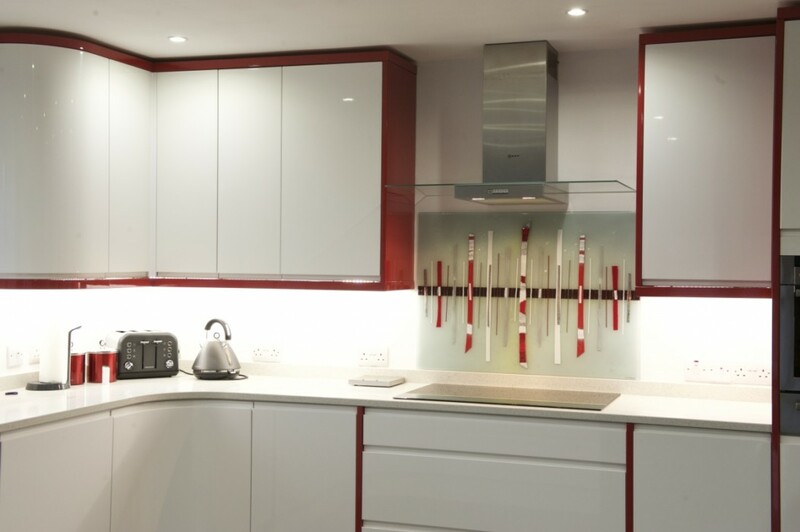 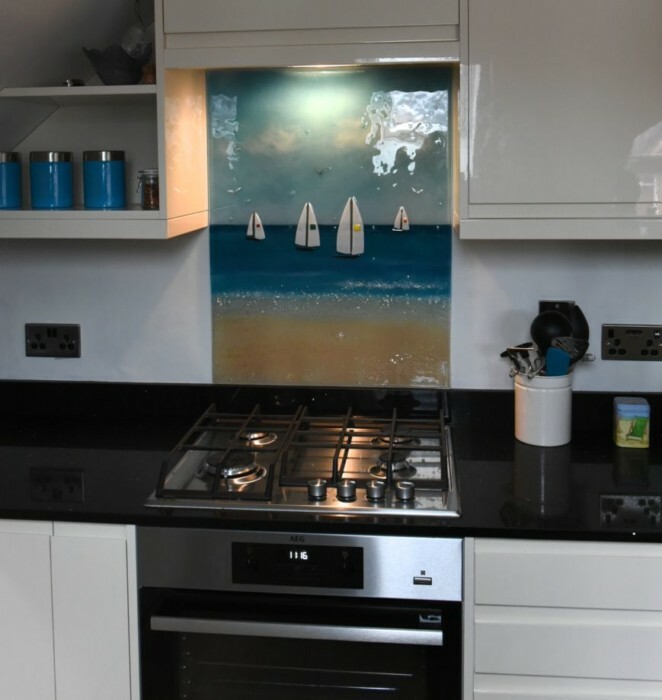 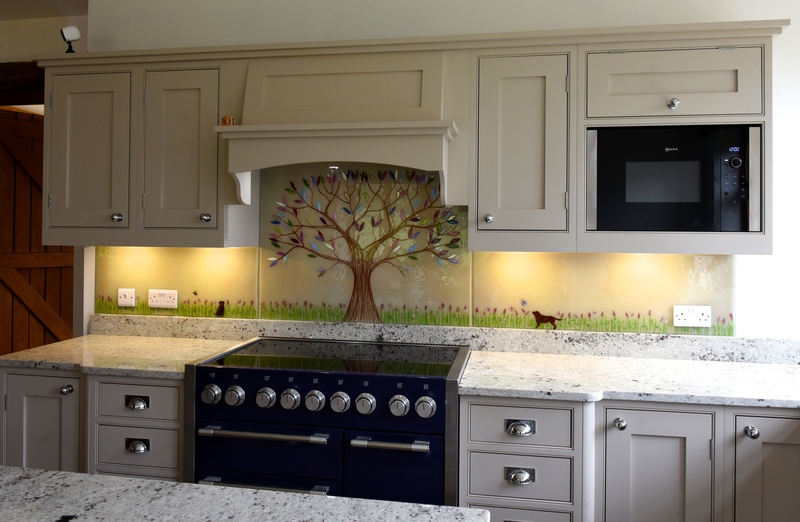 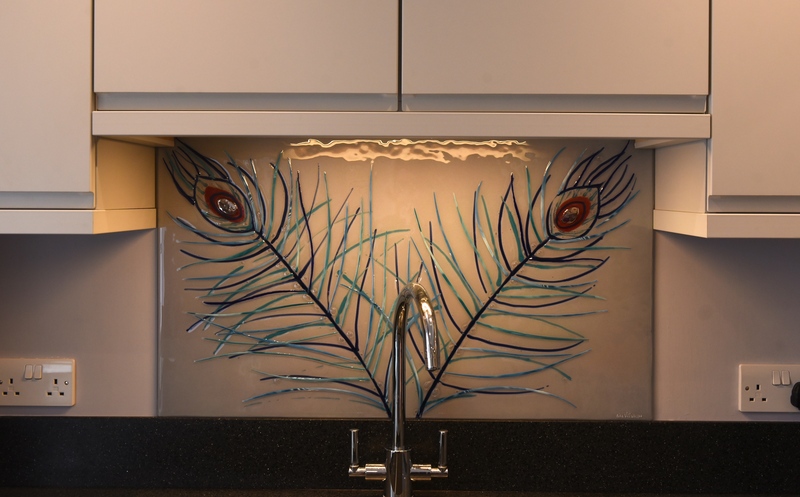 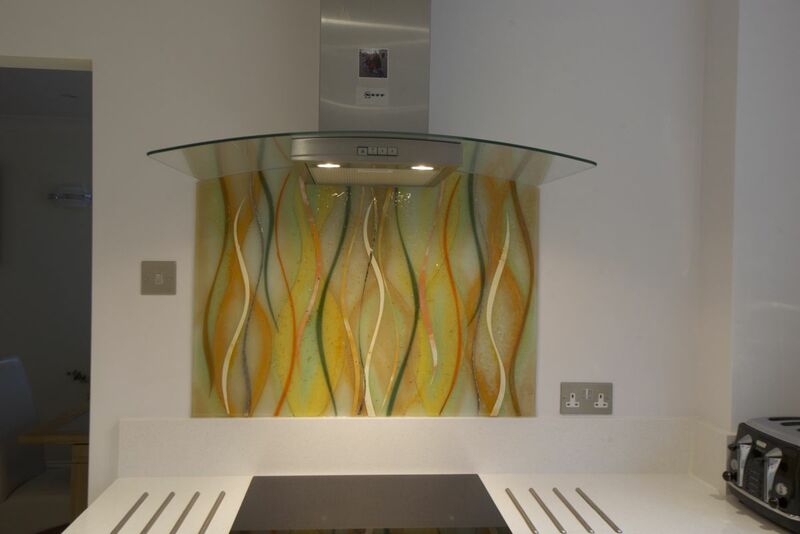 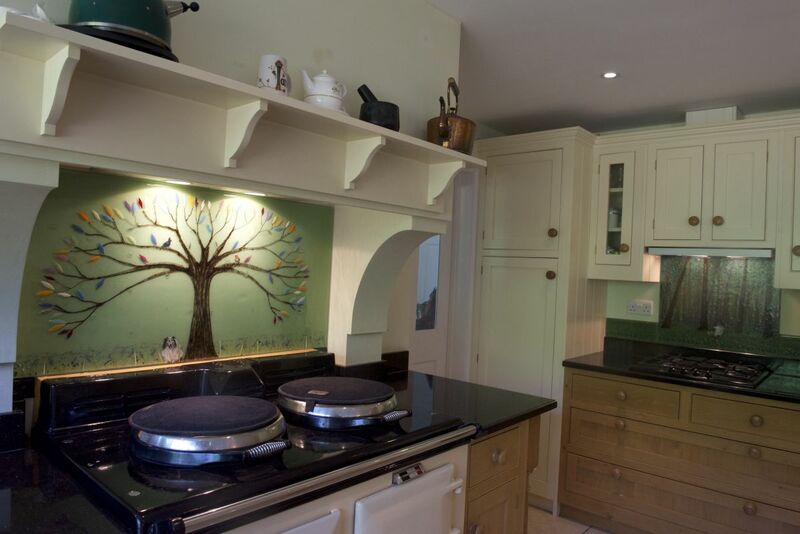 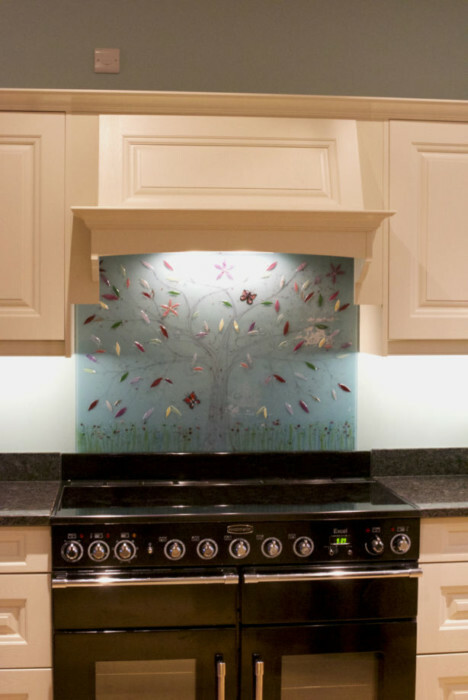 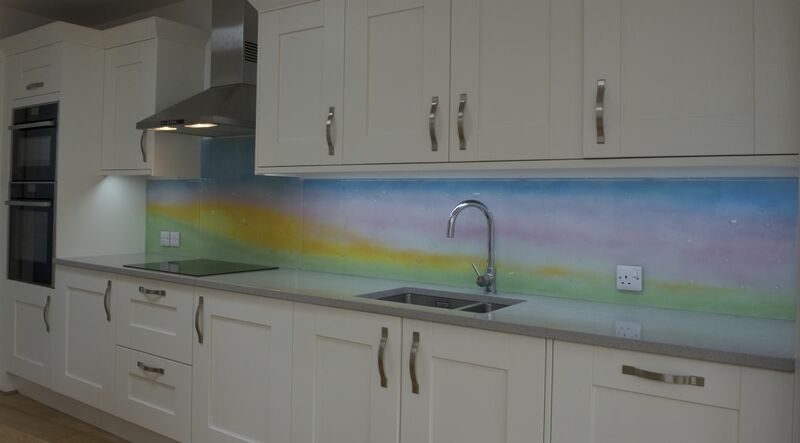 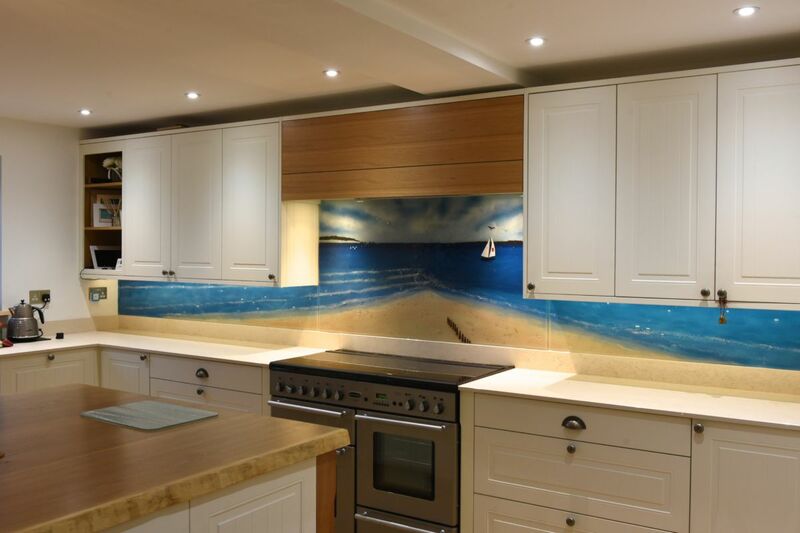 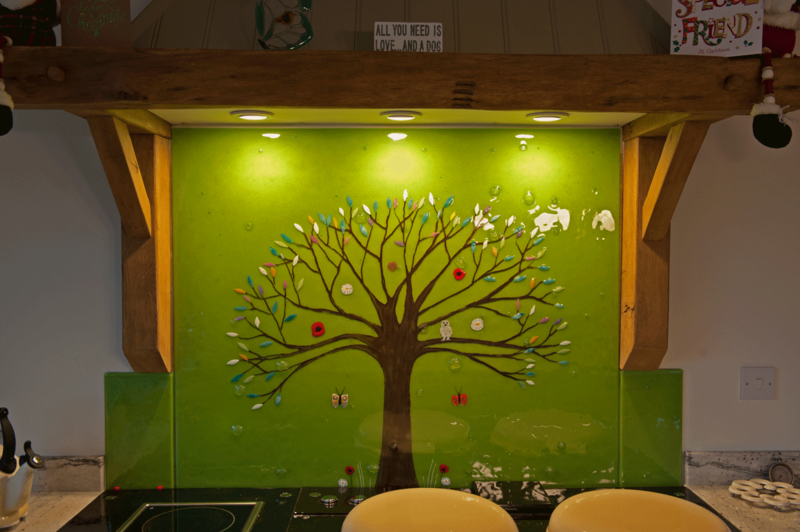 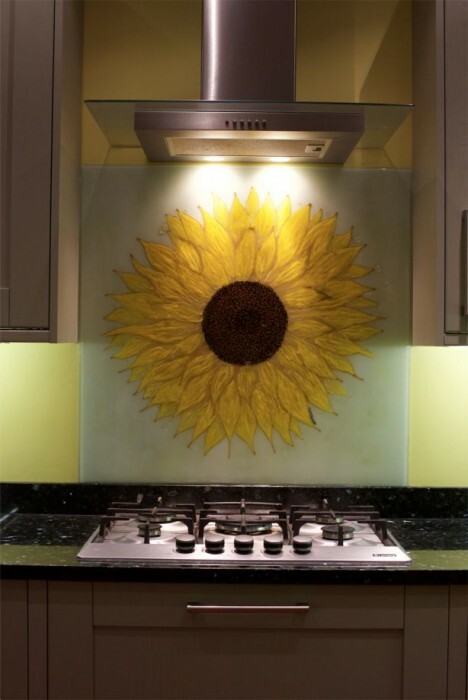 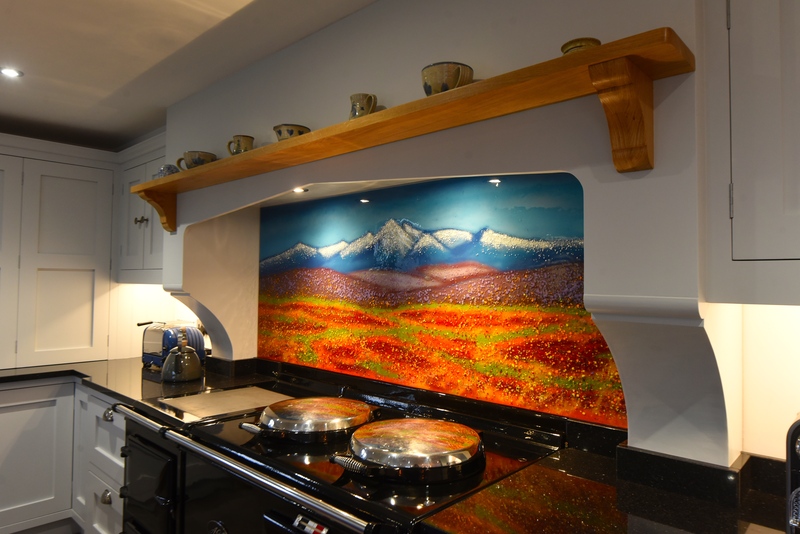 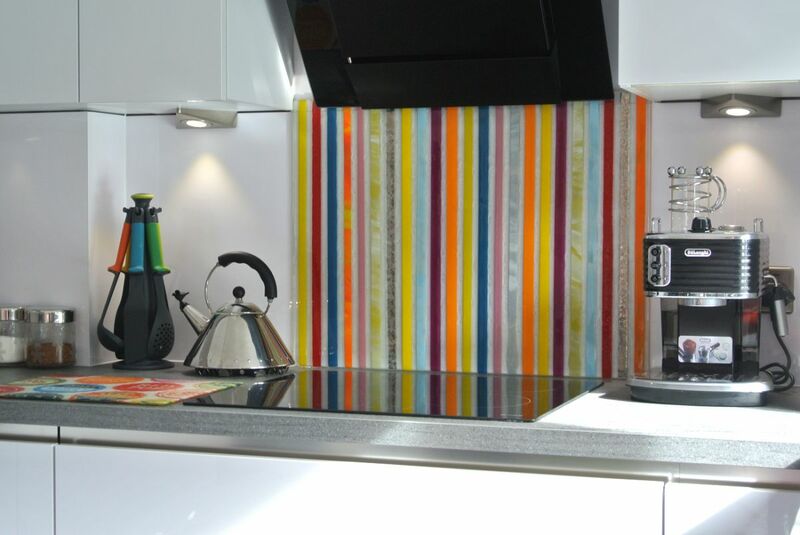 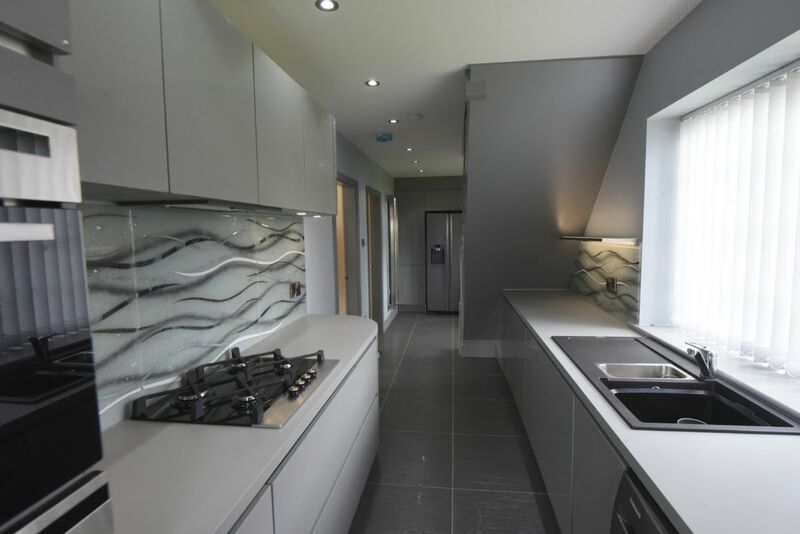 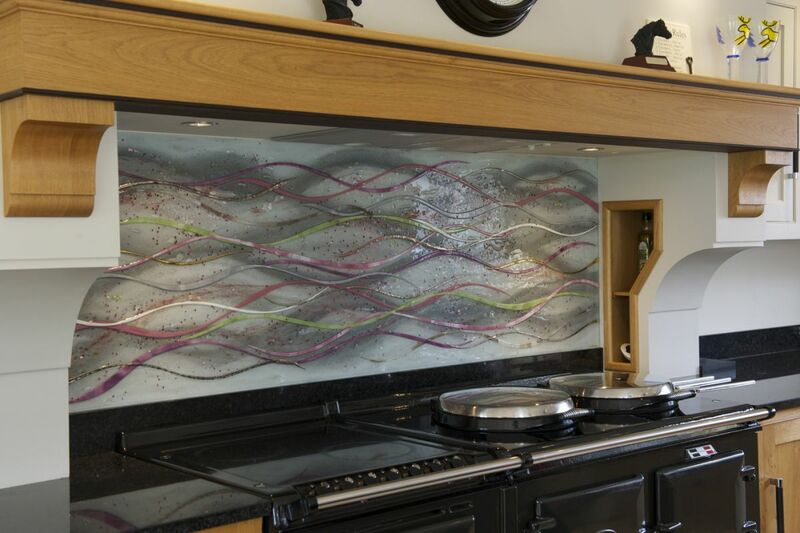 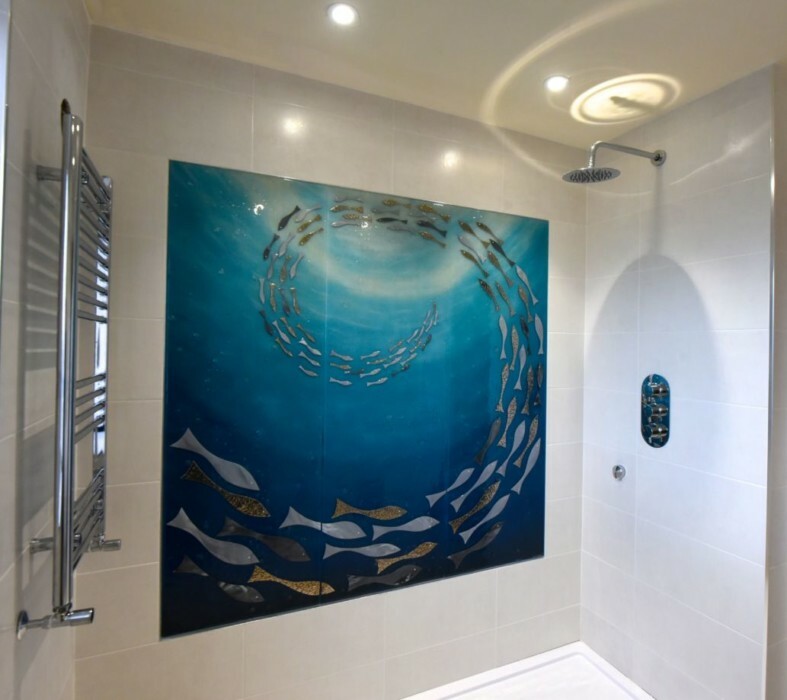 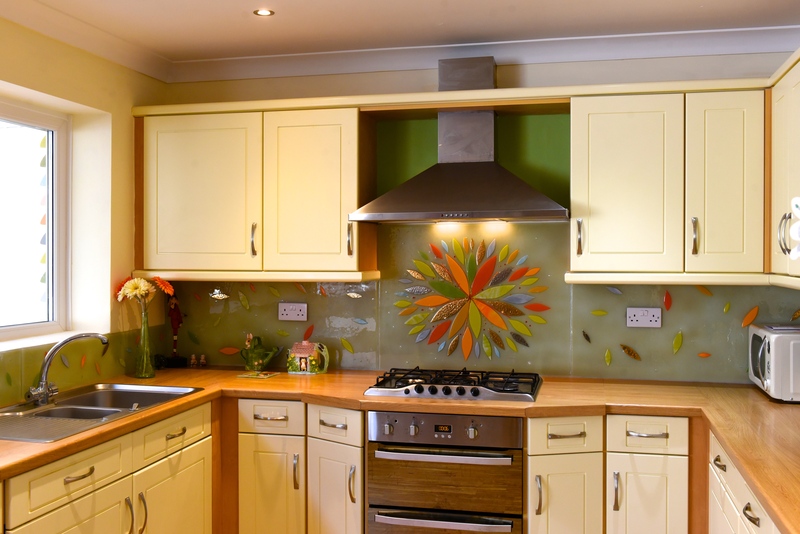 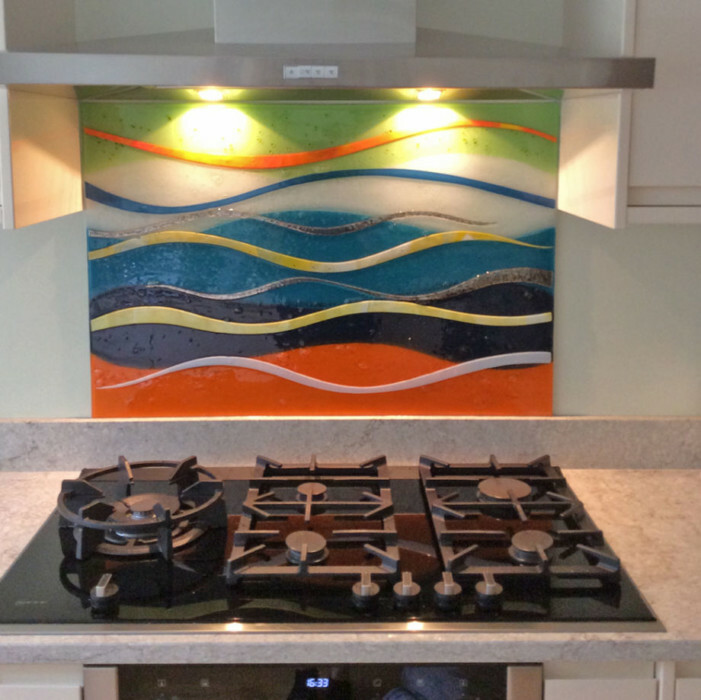 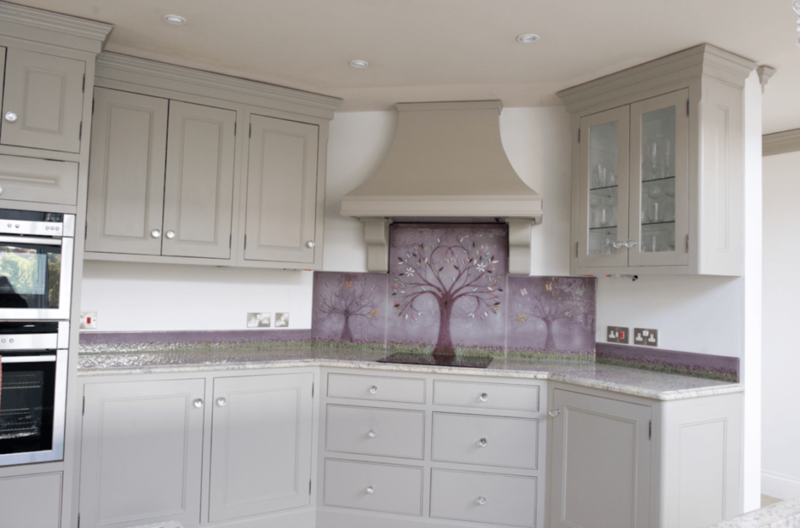 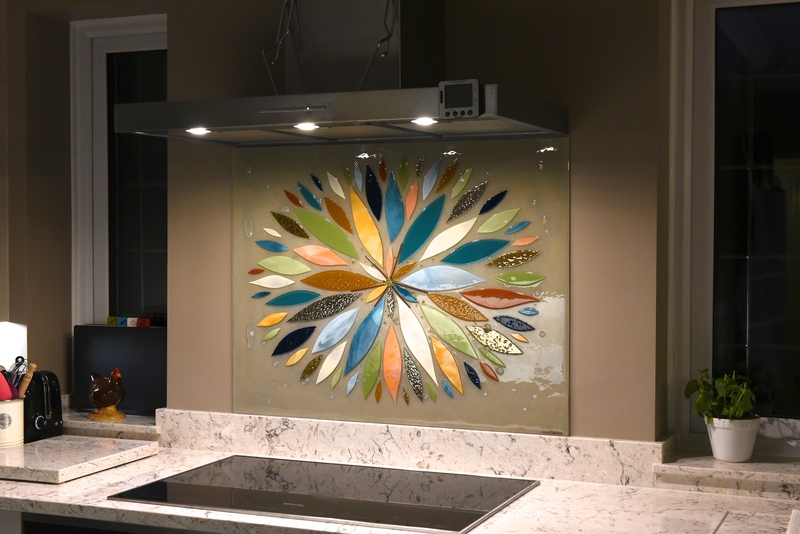 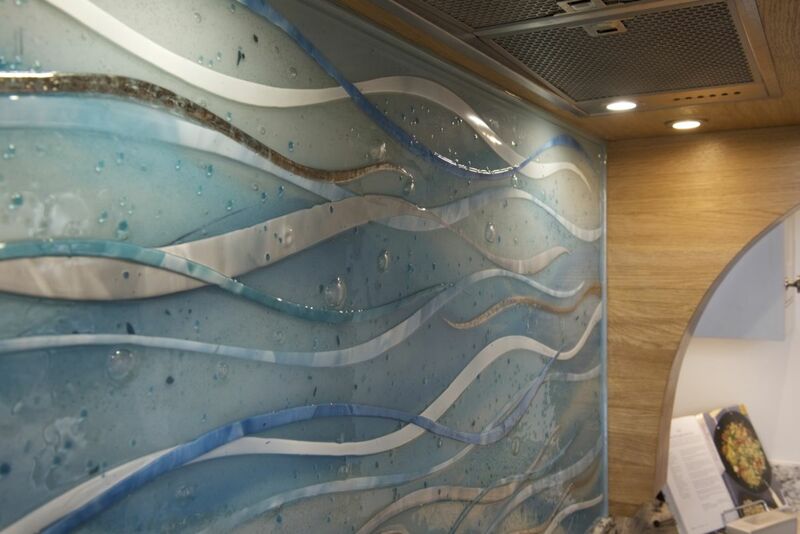 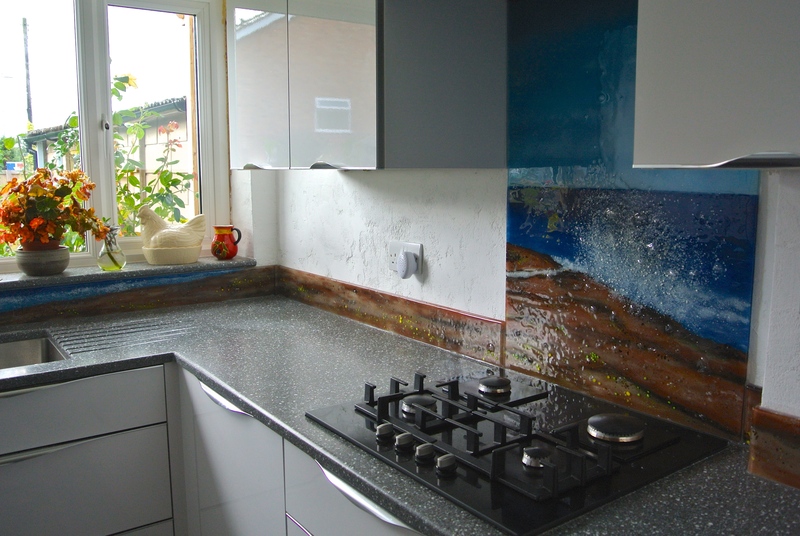 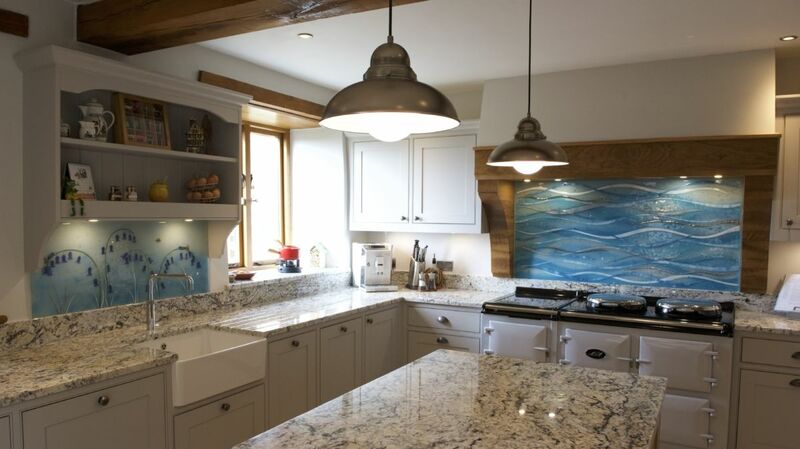 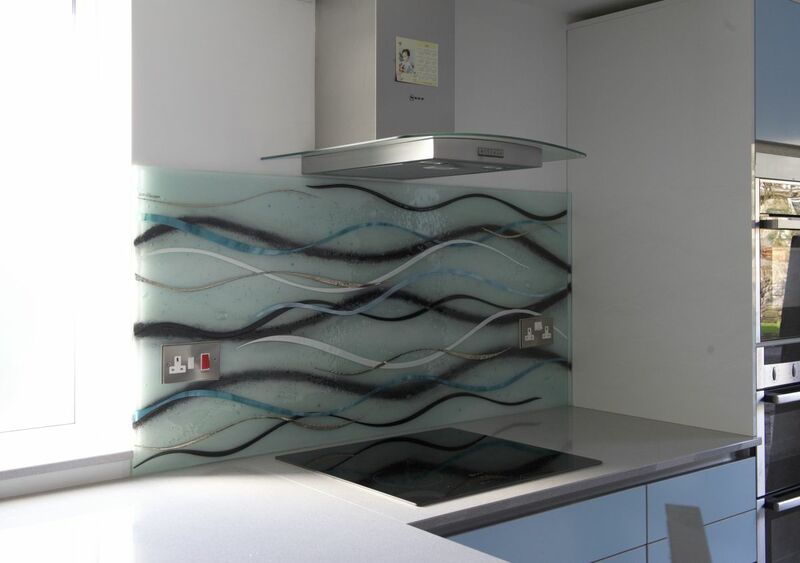 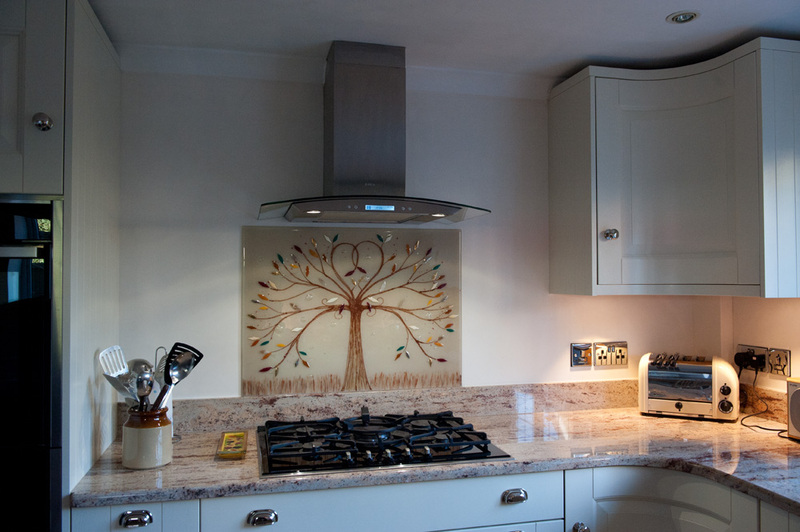 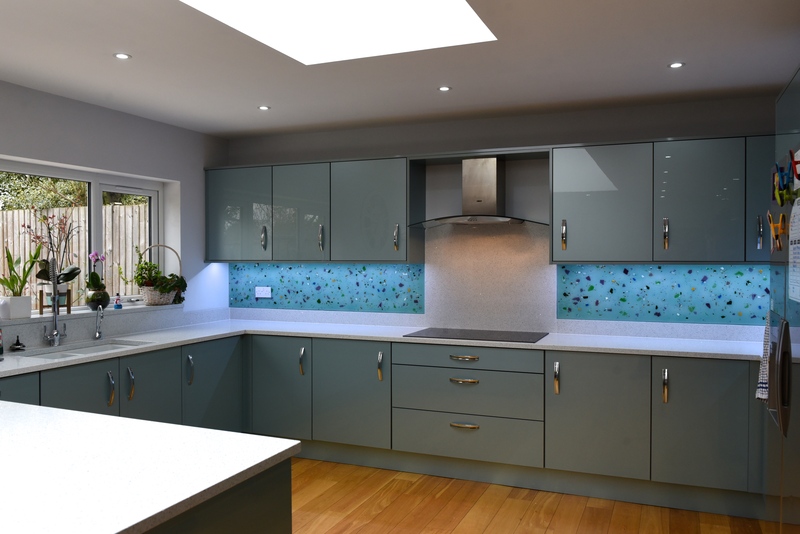 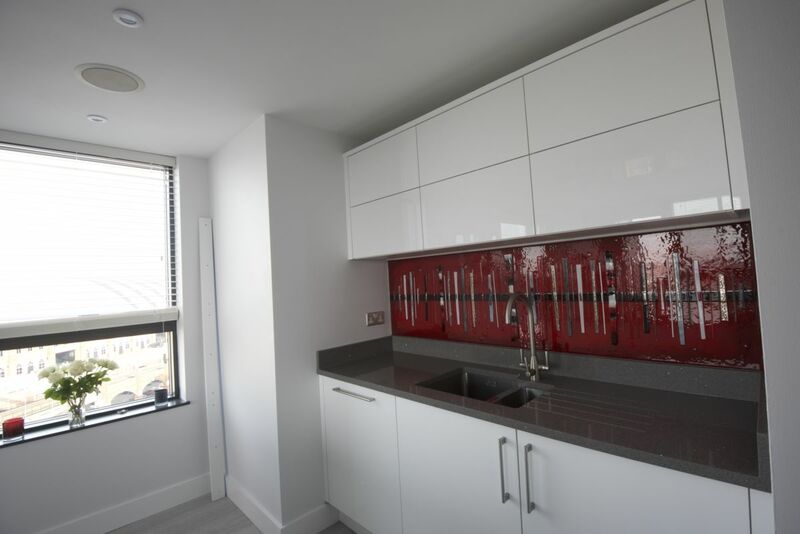 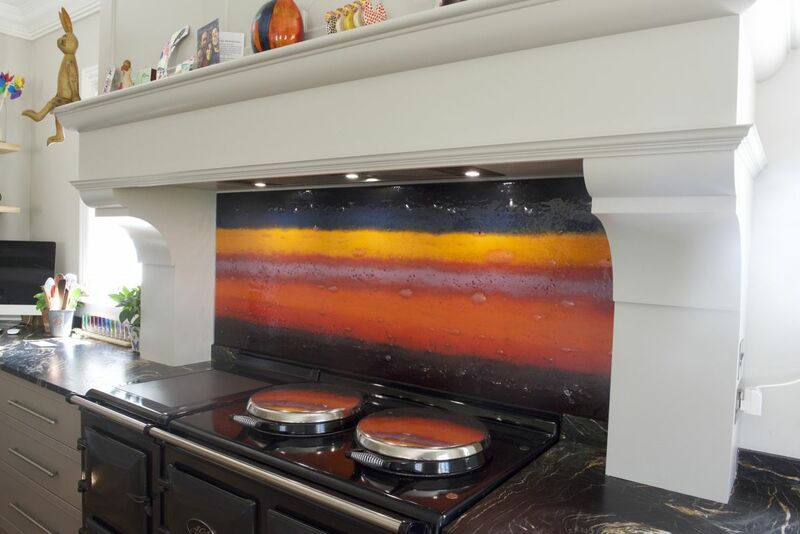 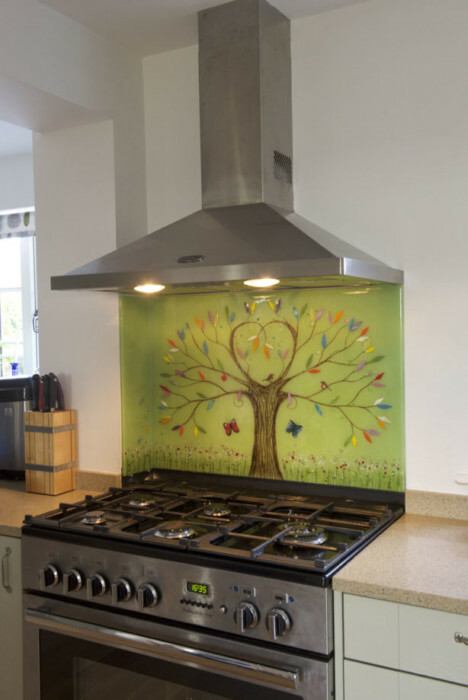 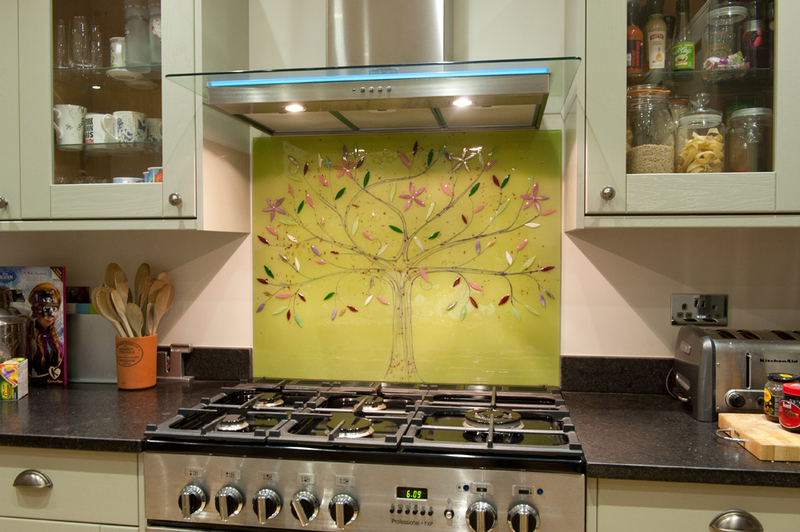 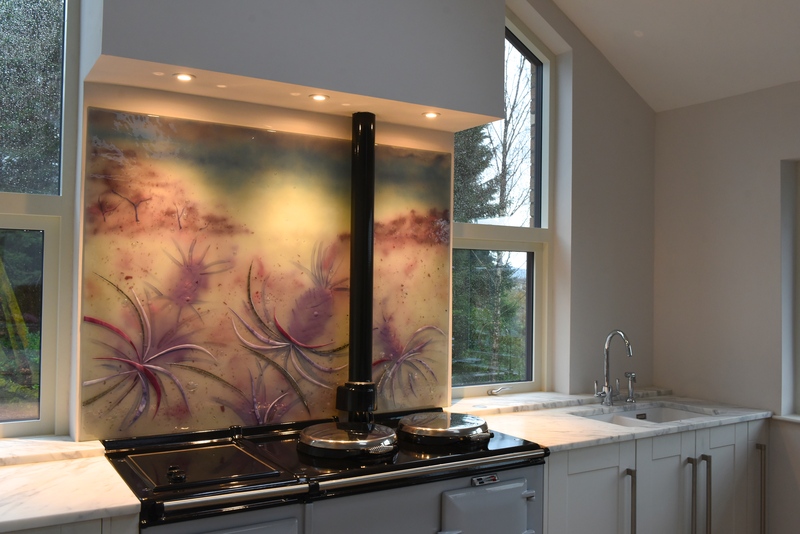 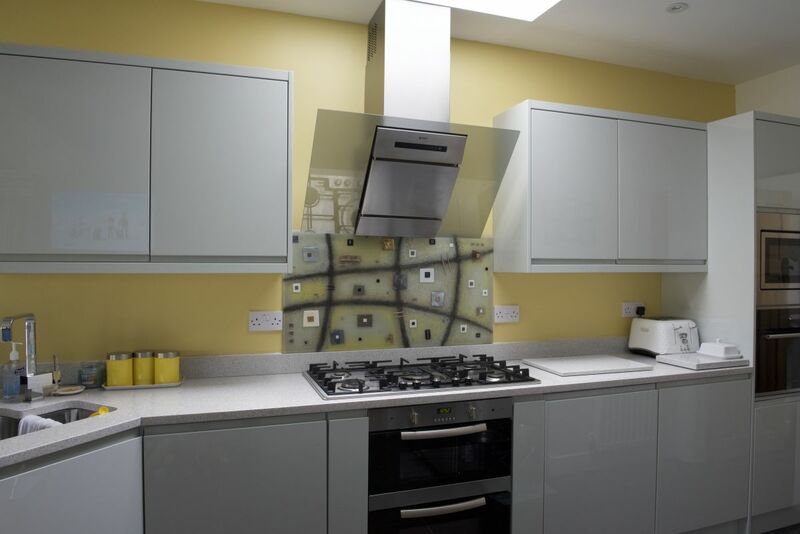 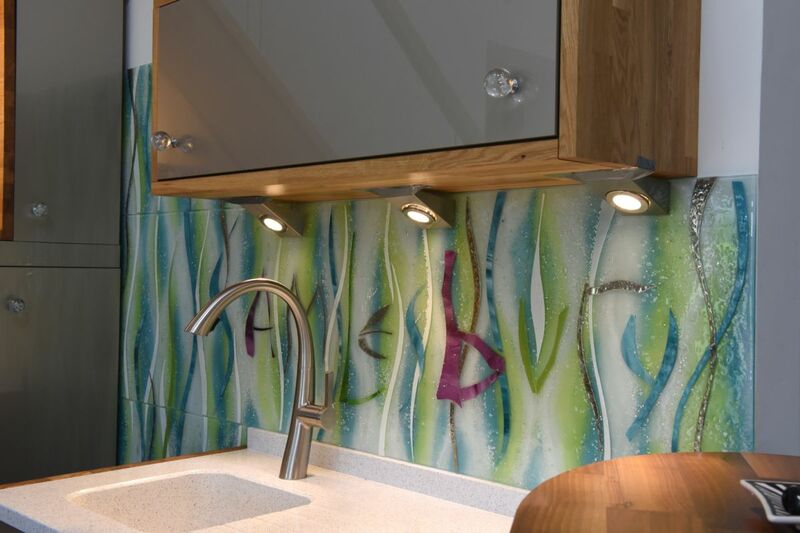 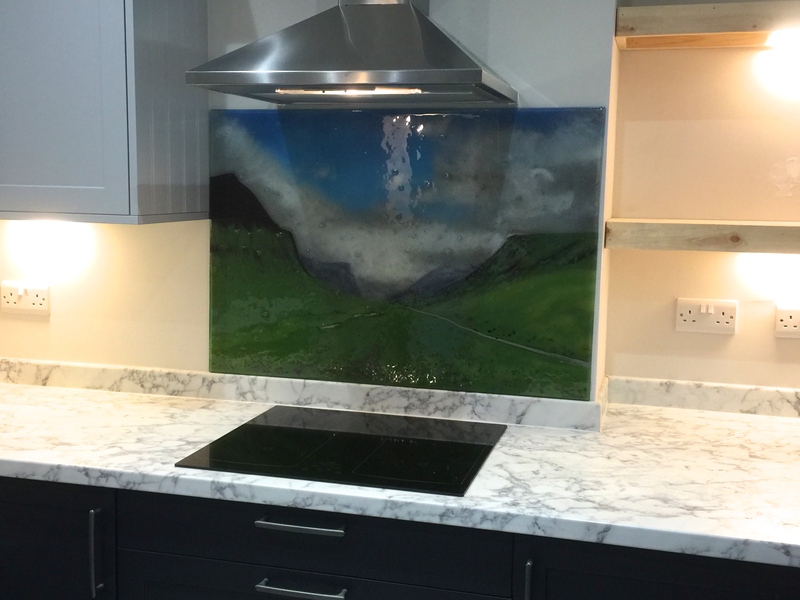 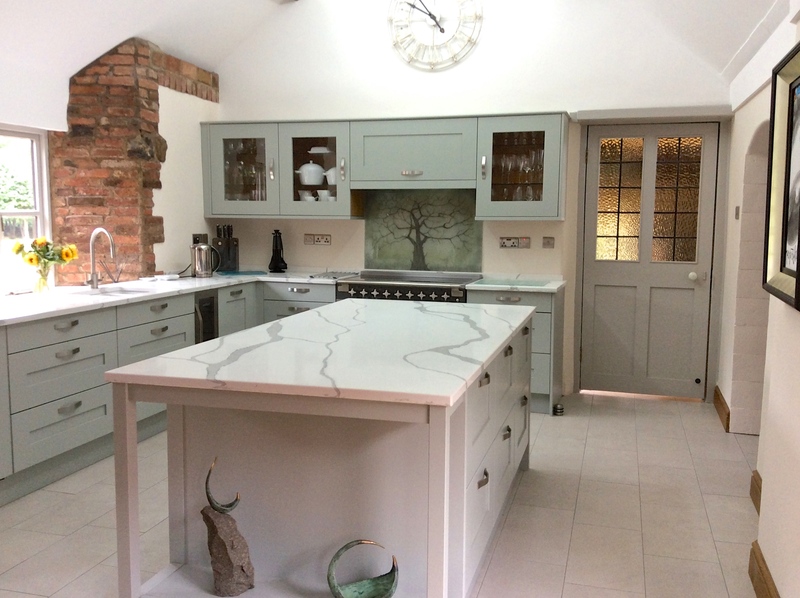 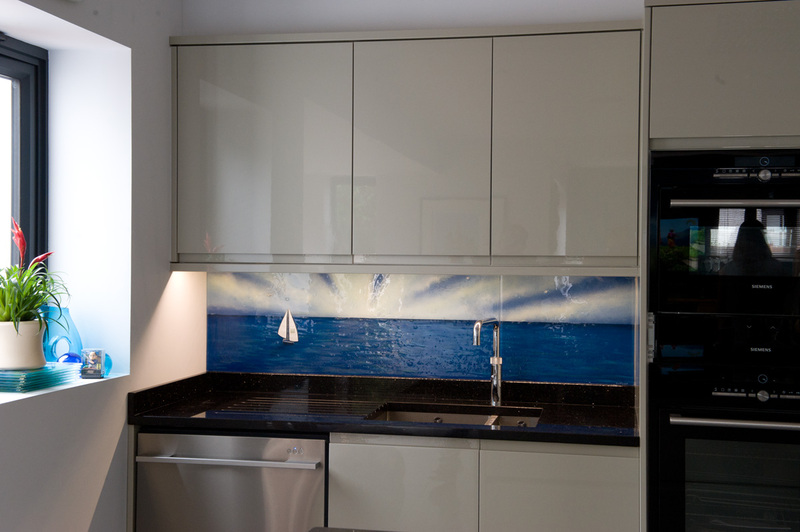 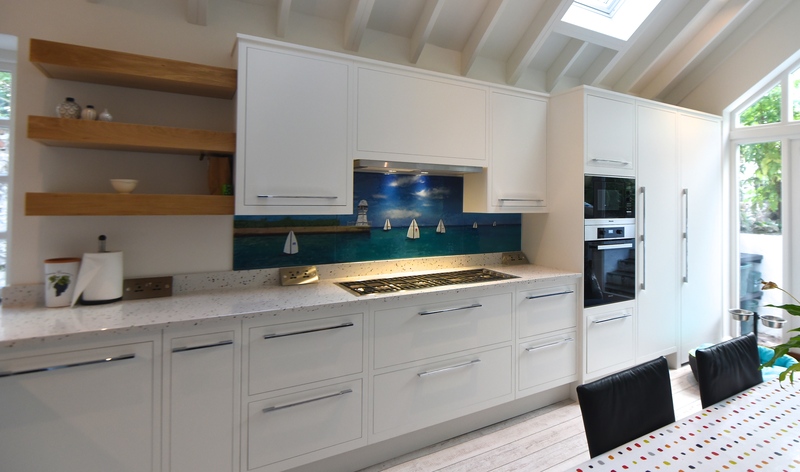 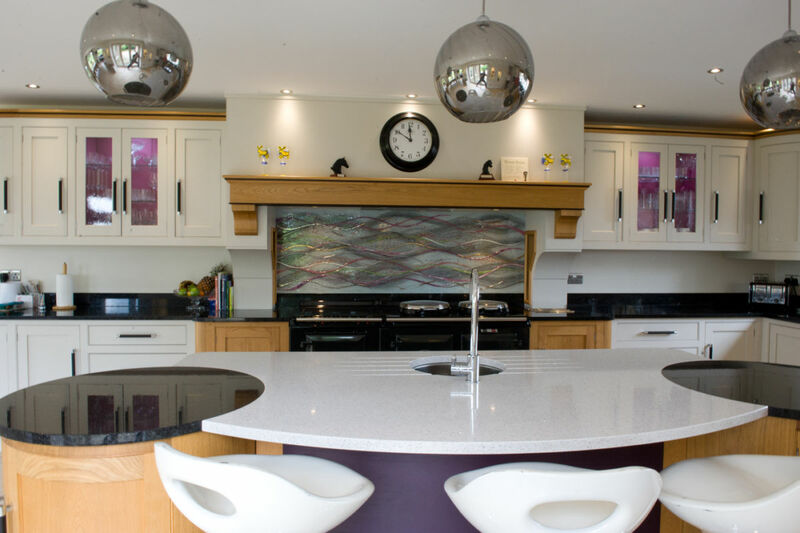 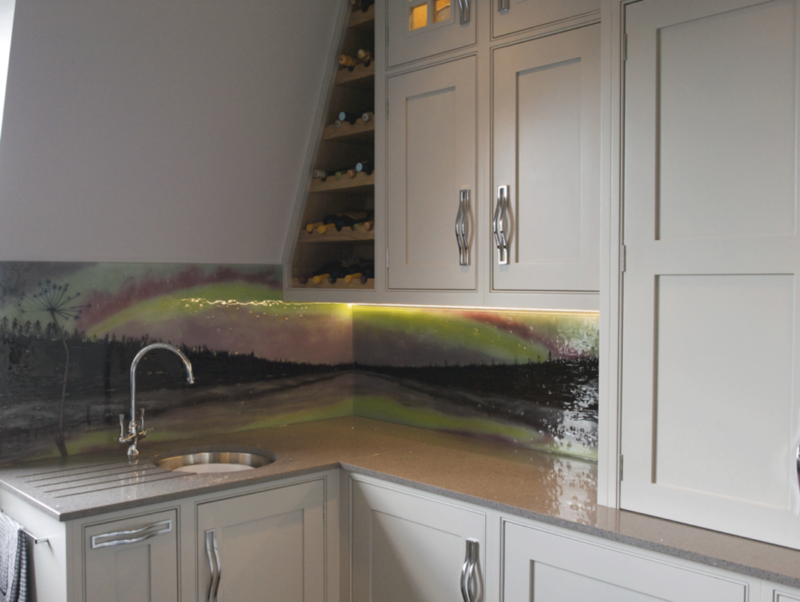 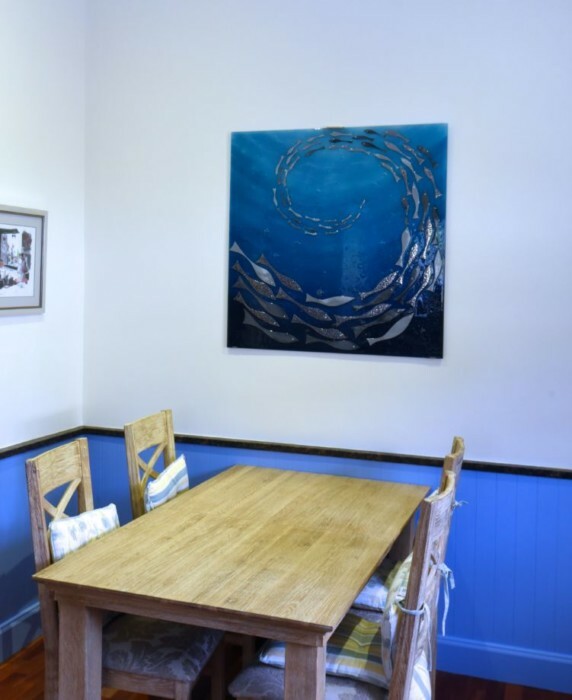 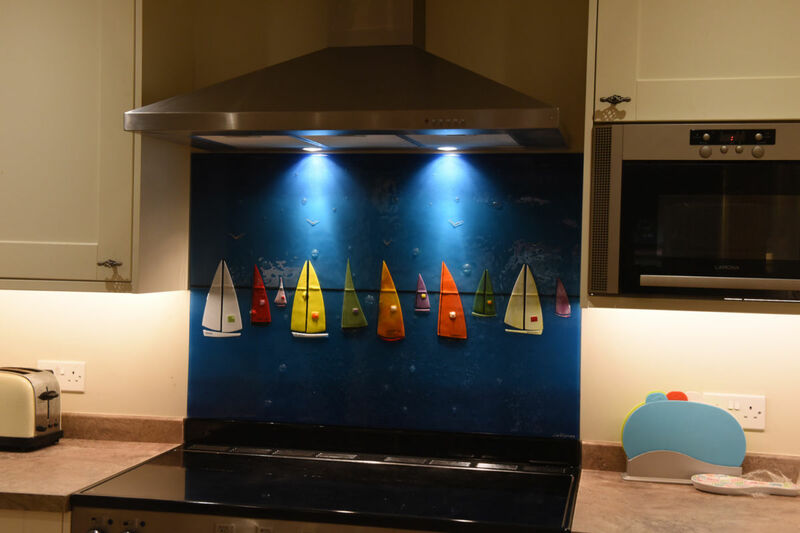 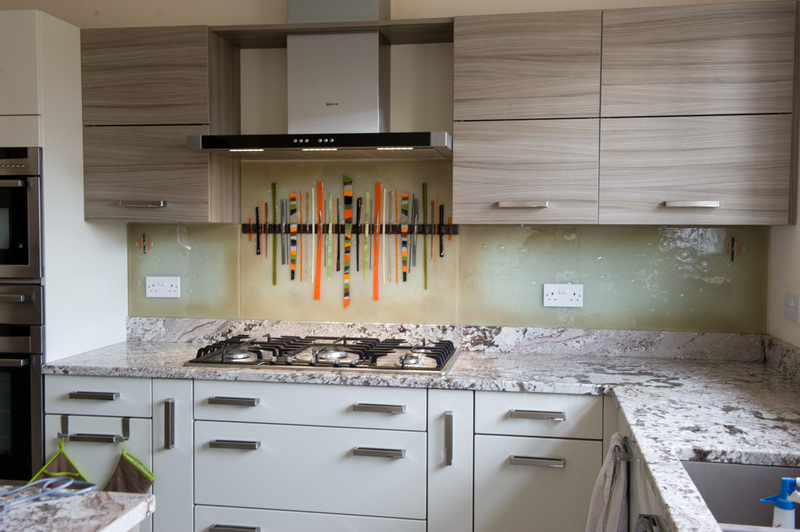 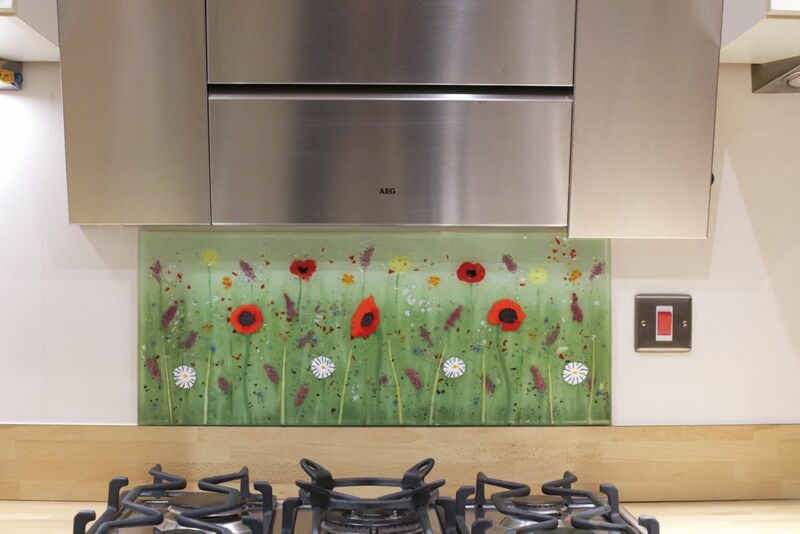 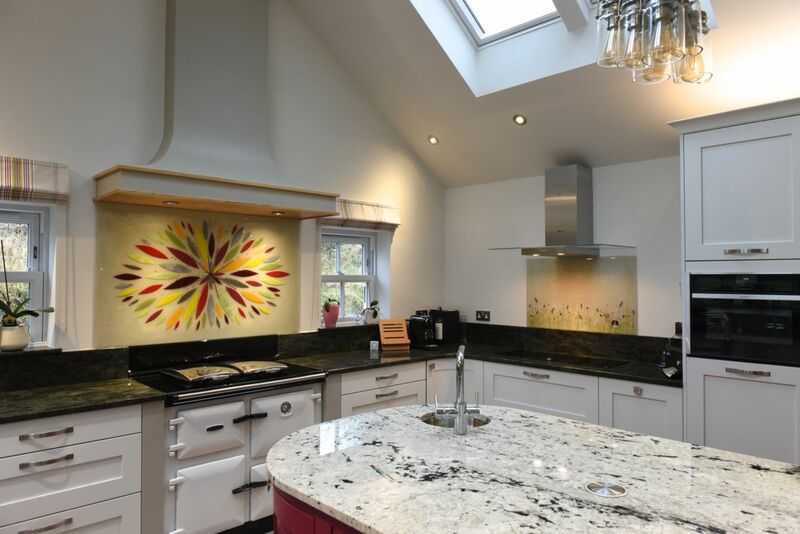 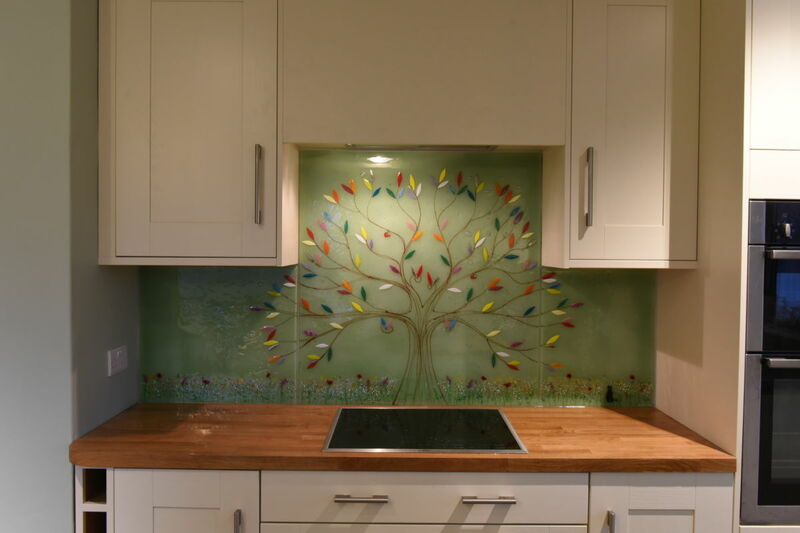 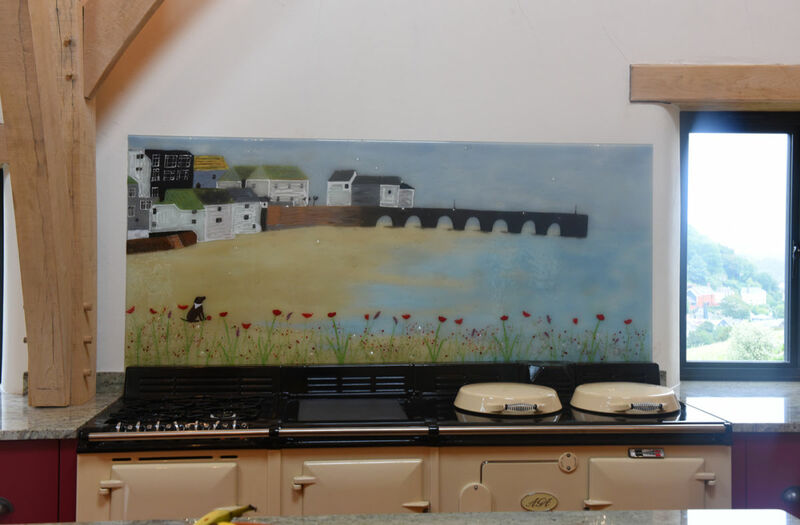 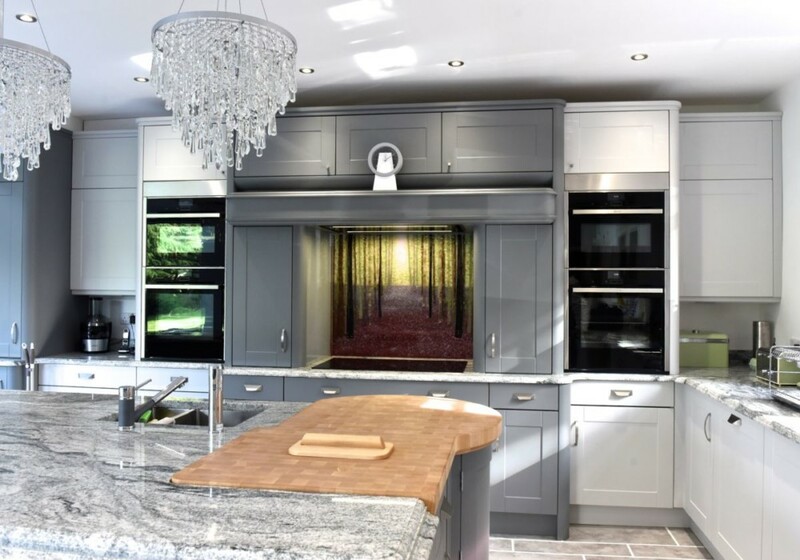 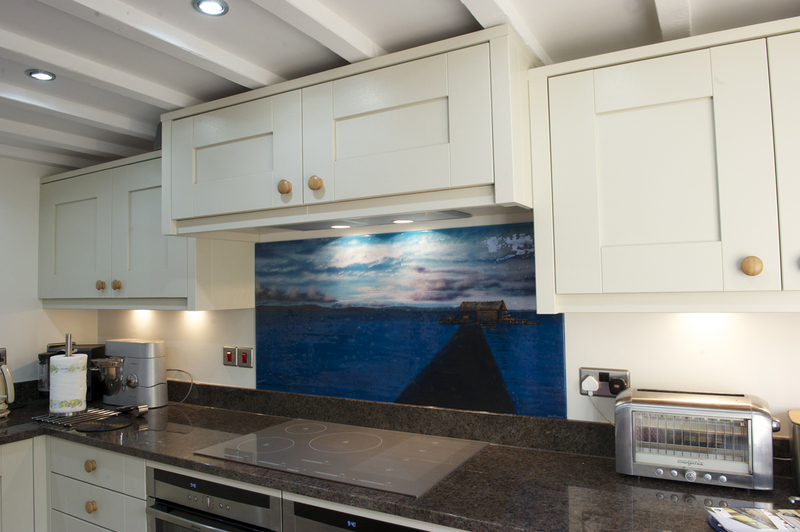 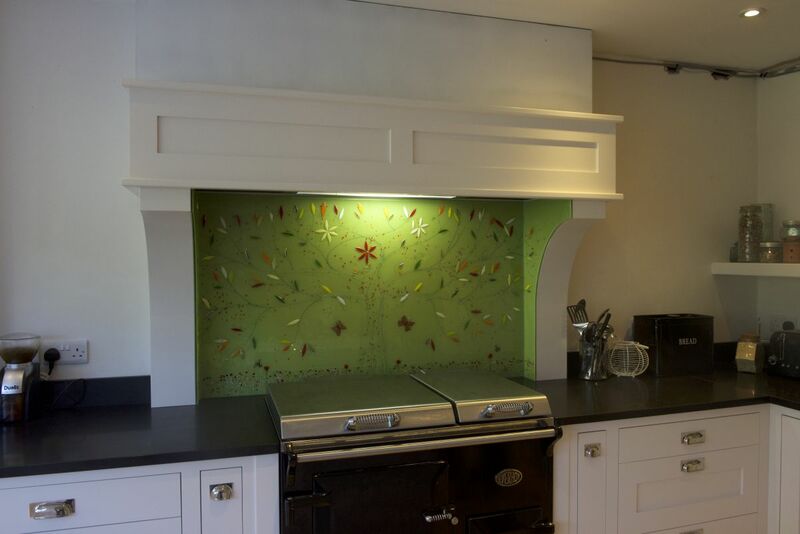 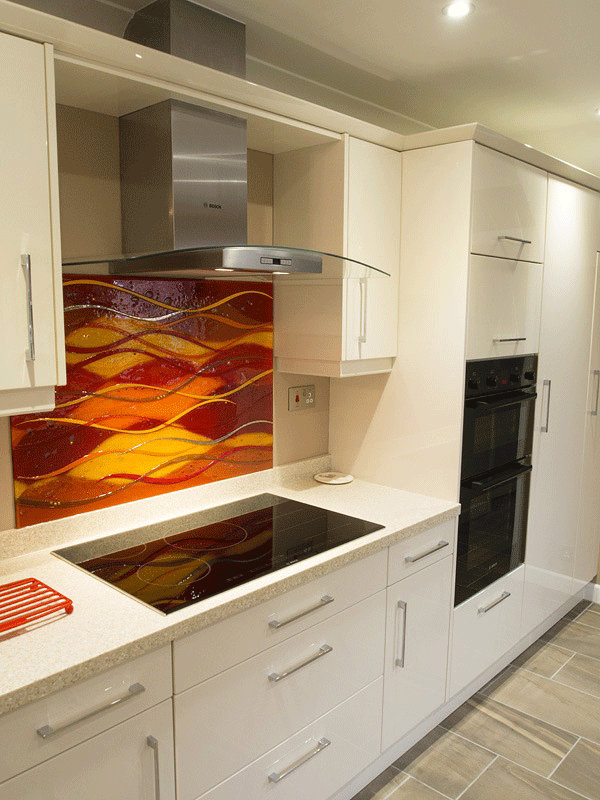 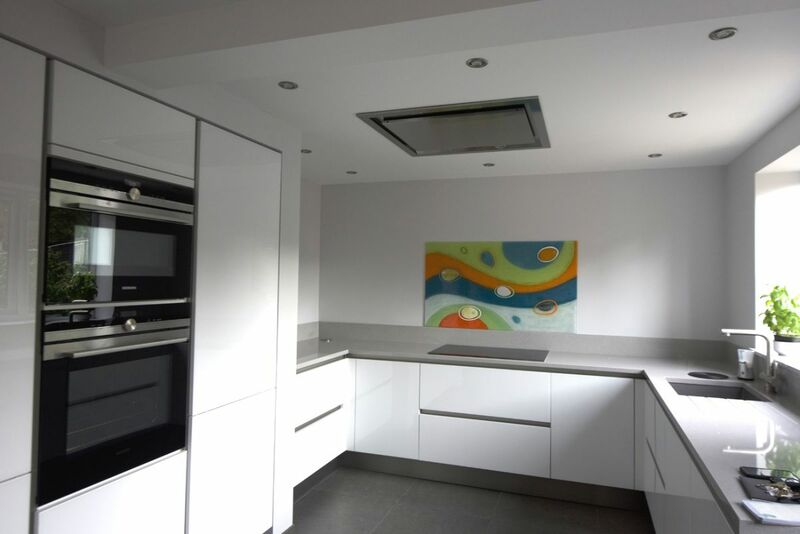 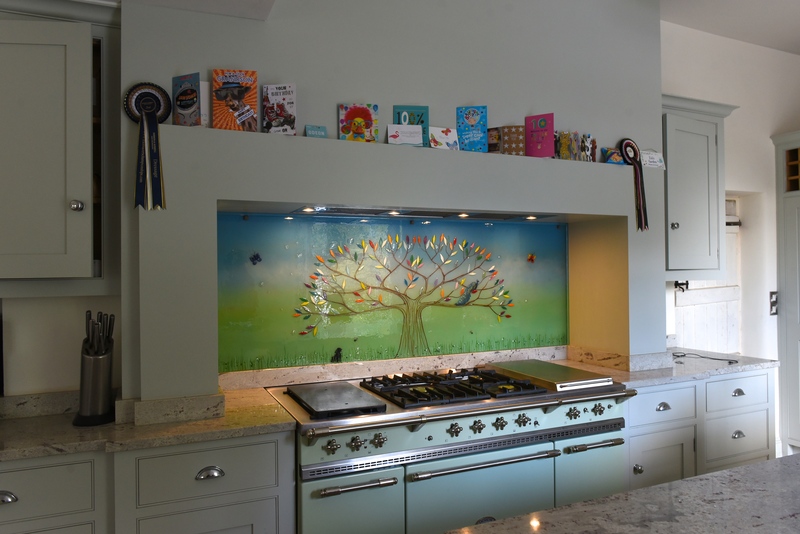 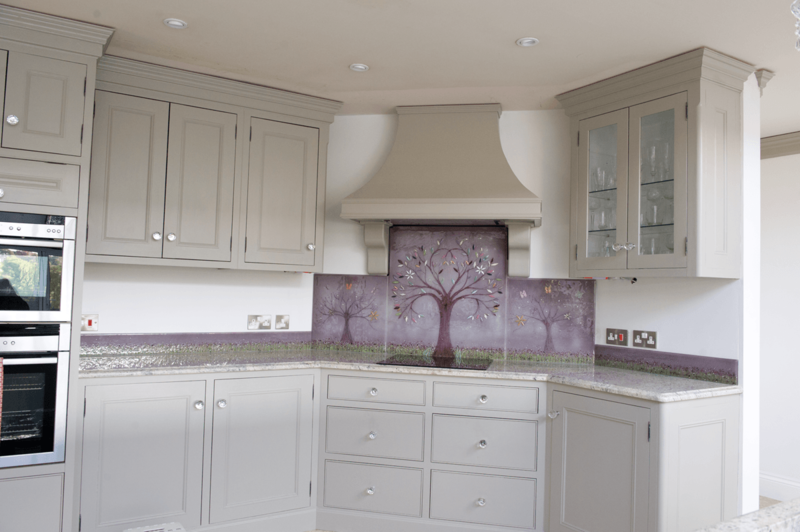 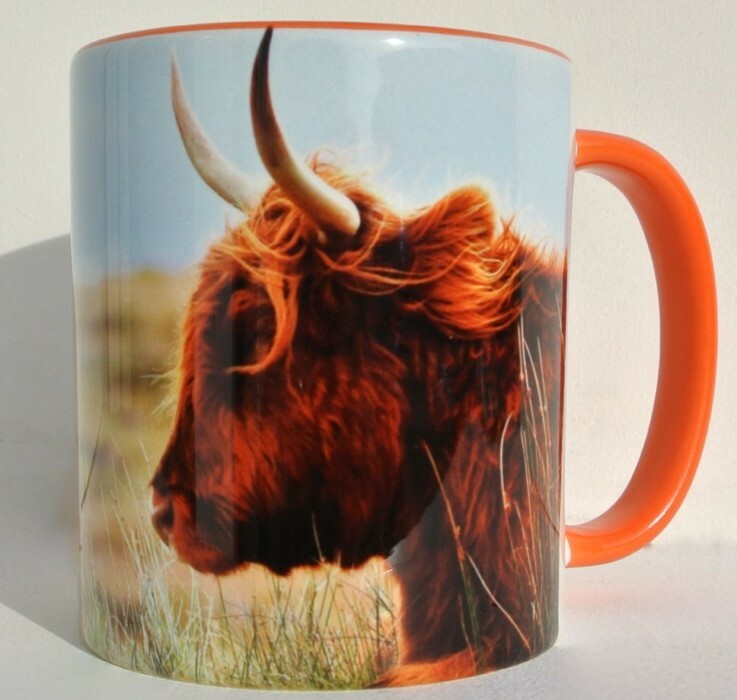 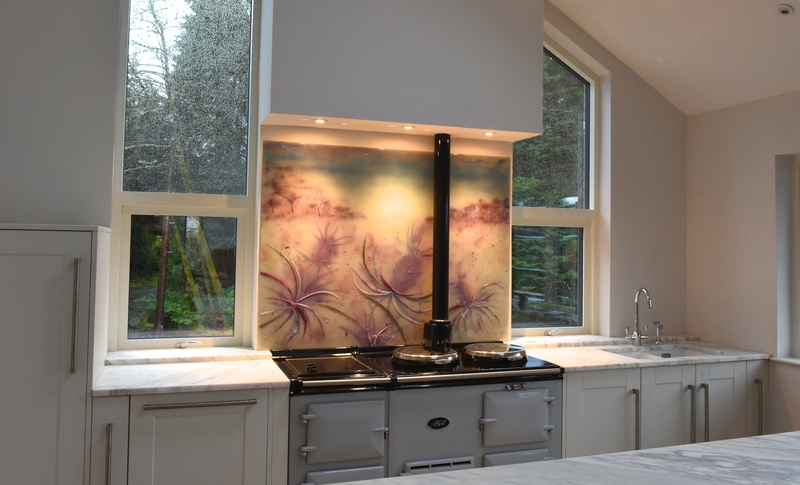 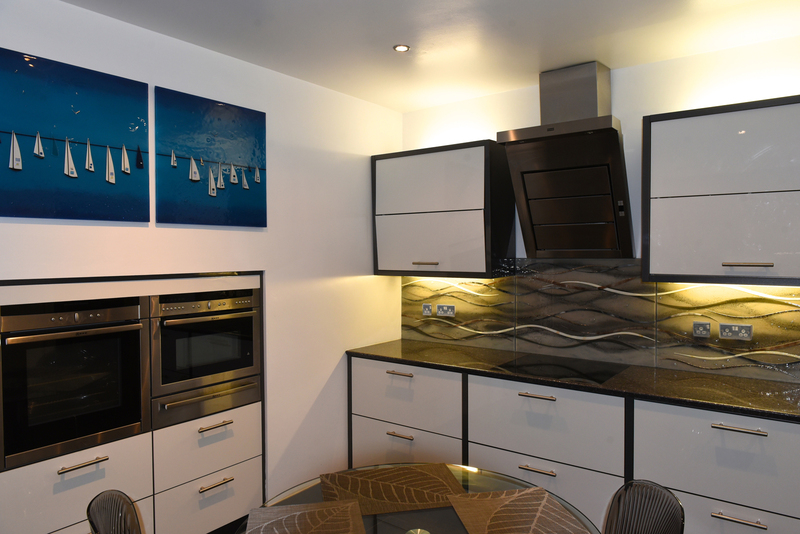 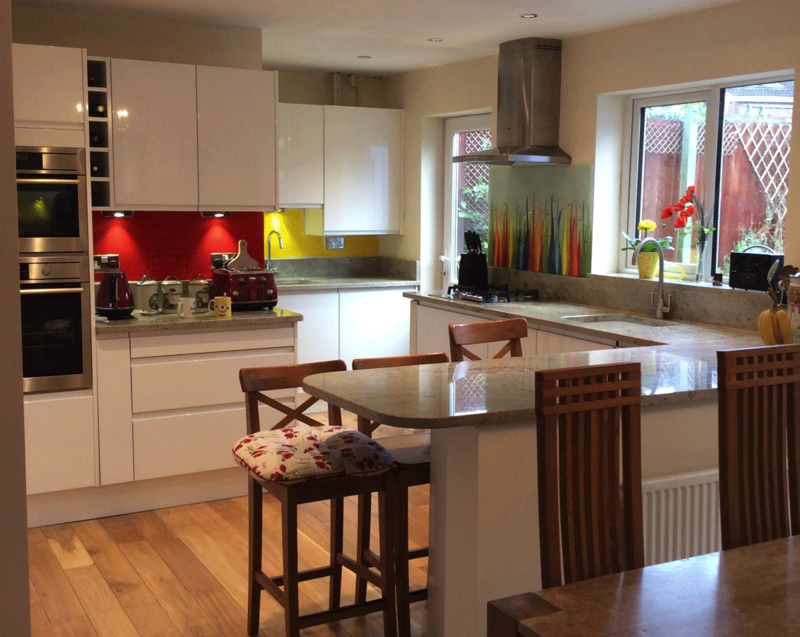 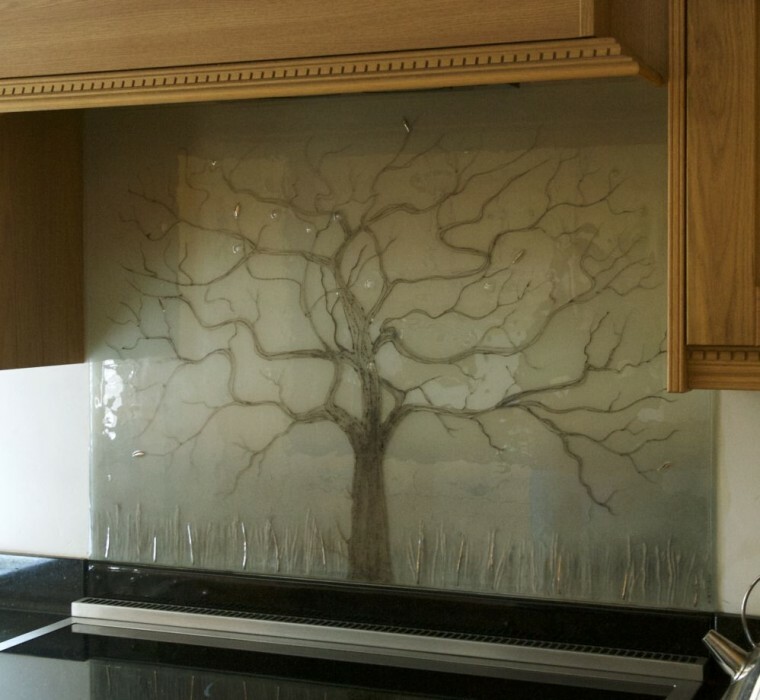 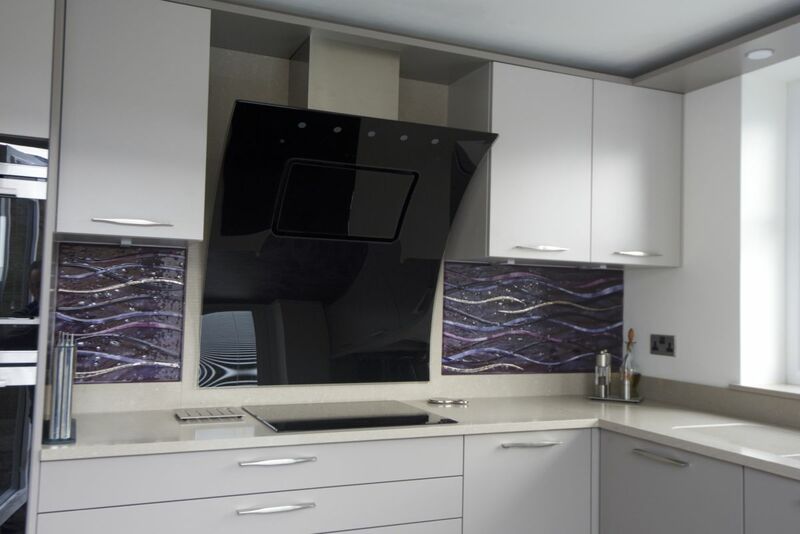 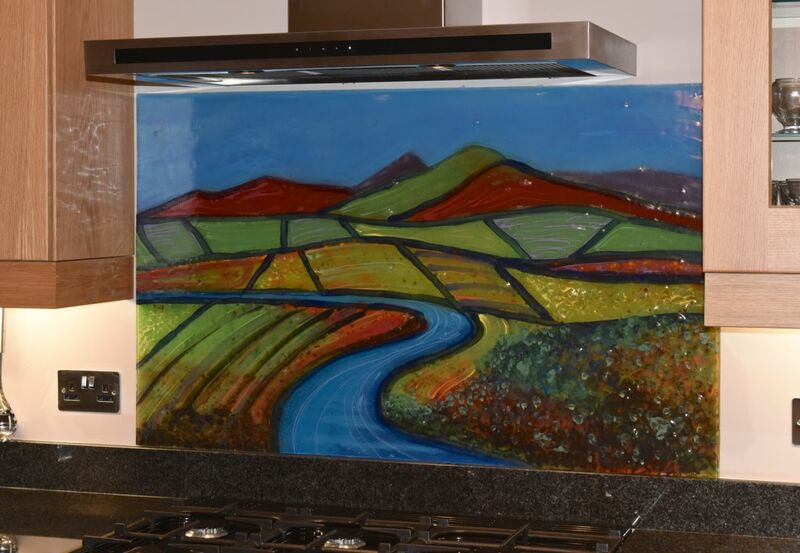 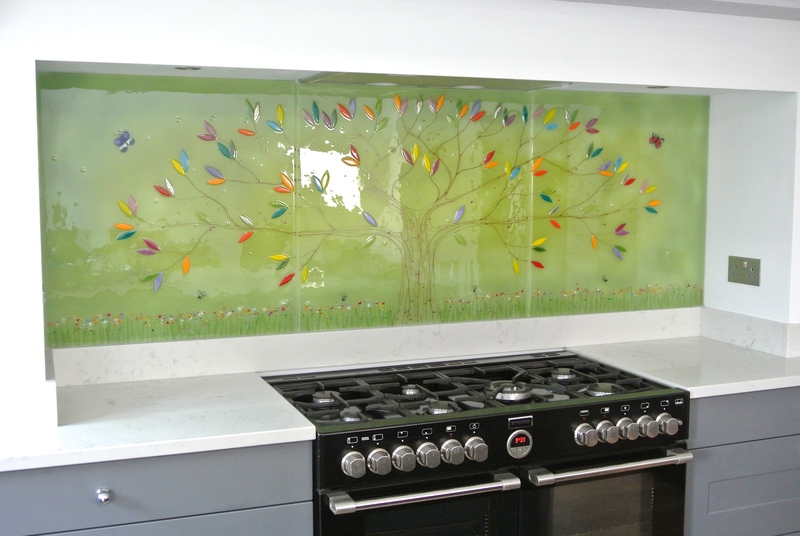 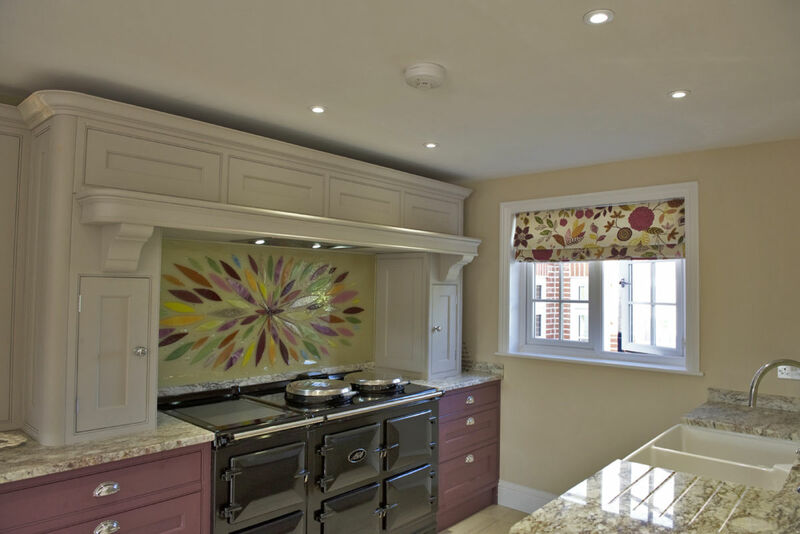 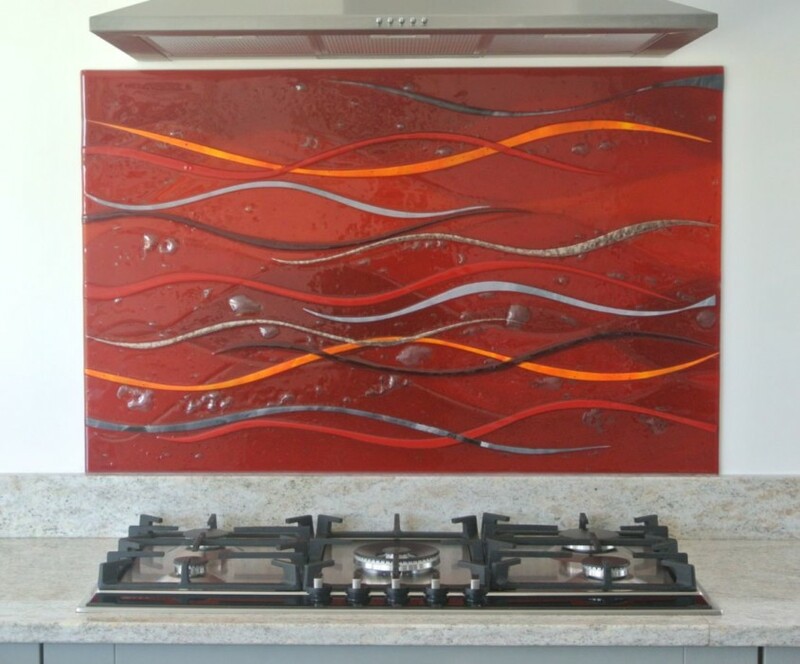 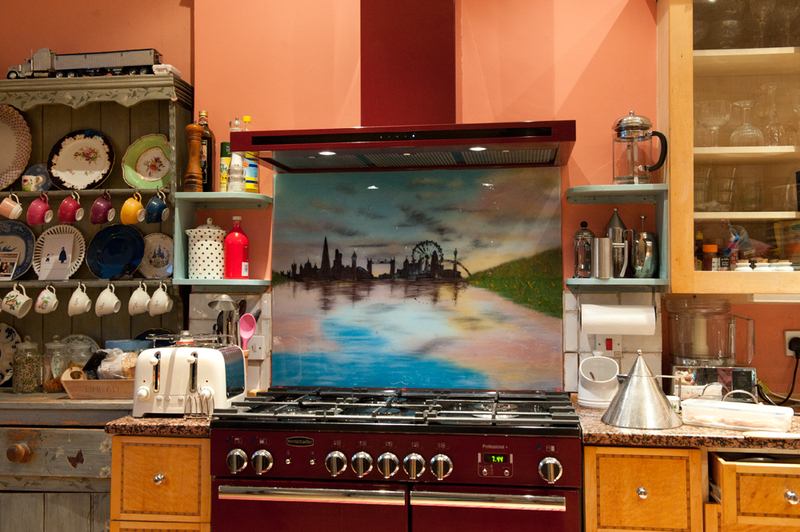 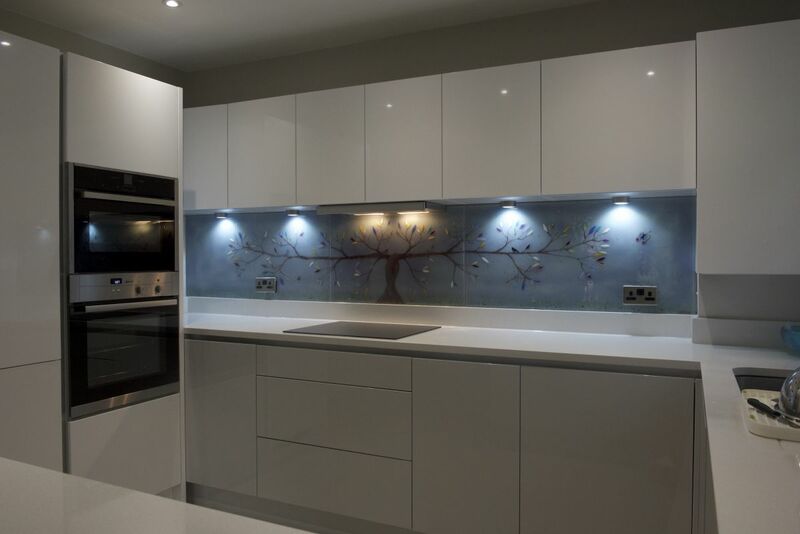 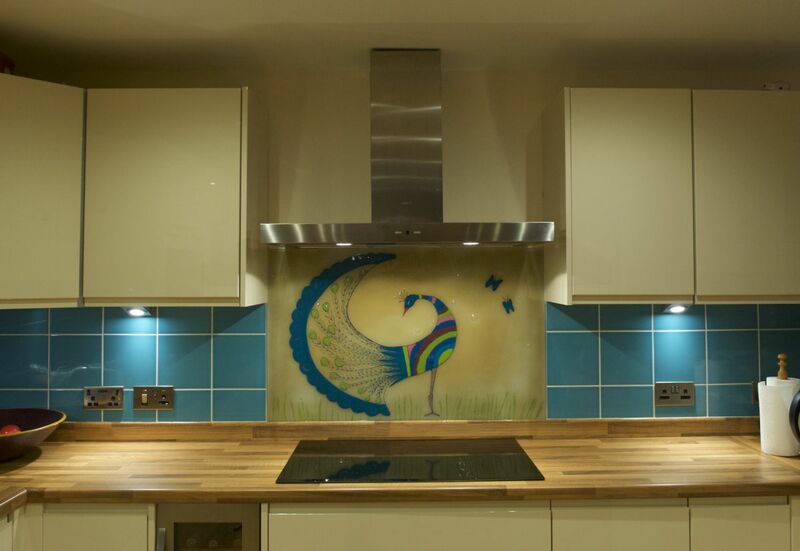 From glass splashbacks Cheshire-wide to incredible wall panels and accessories such as memorial bowls, if you’d also love to get your hands on something special from The House of Ugly Fish then there’s absolutely no reason not to get in touch as soon as you can. 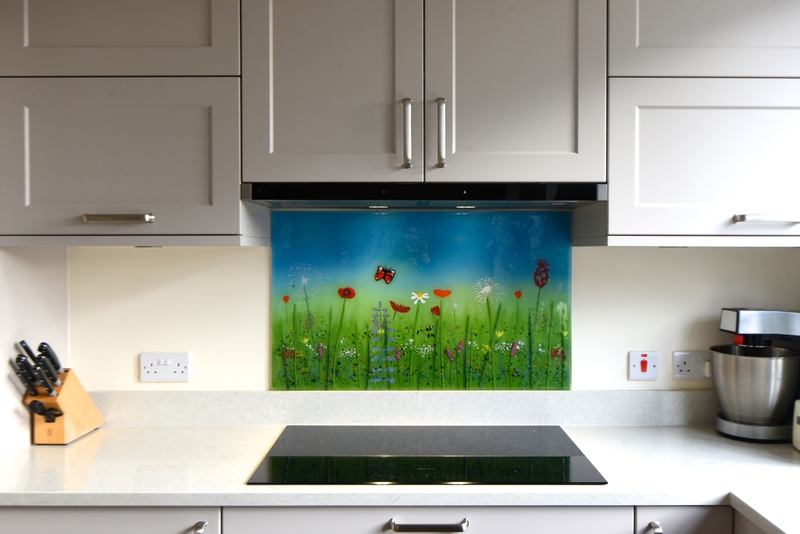 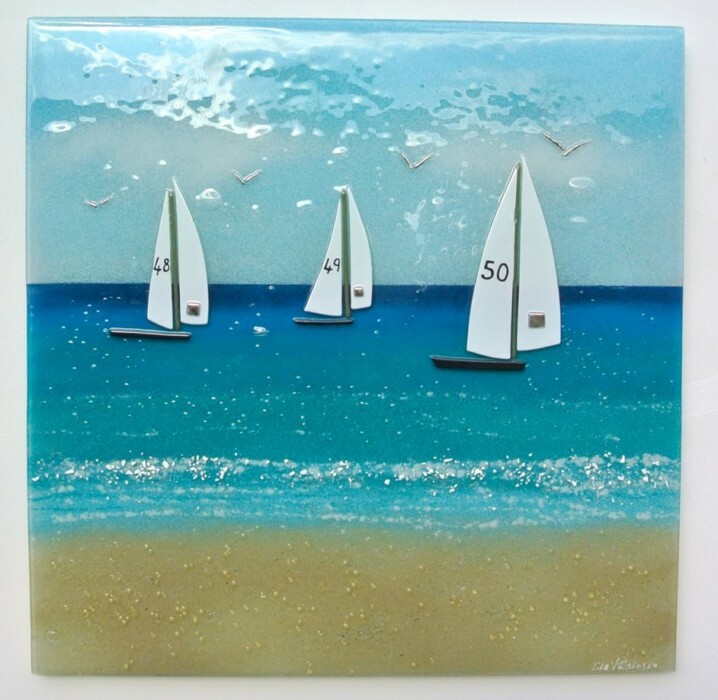 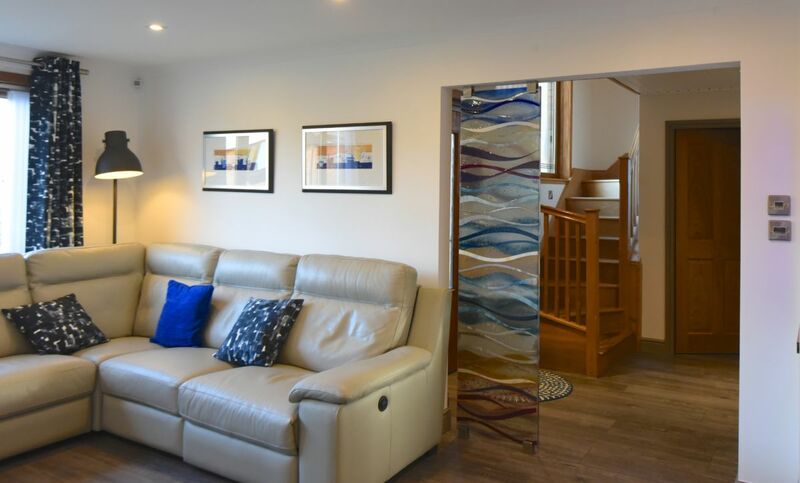 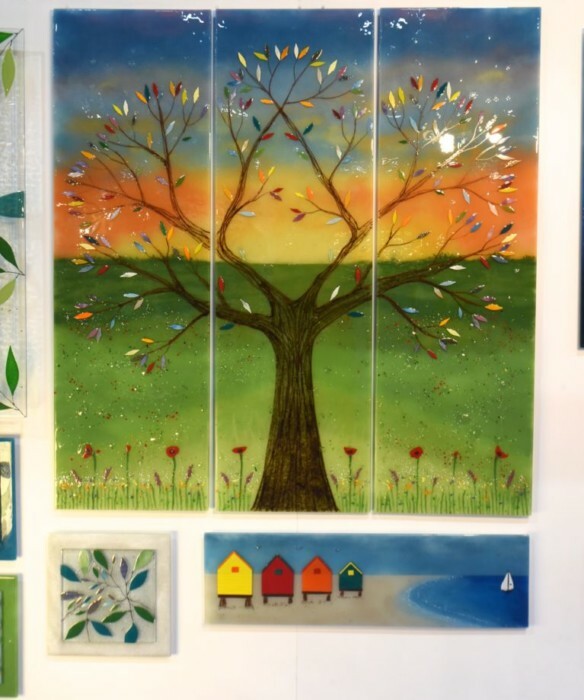 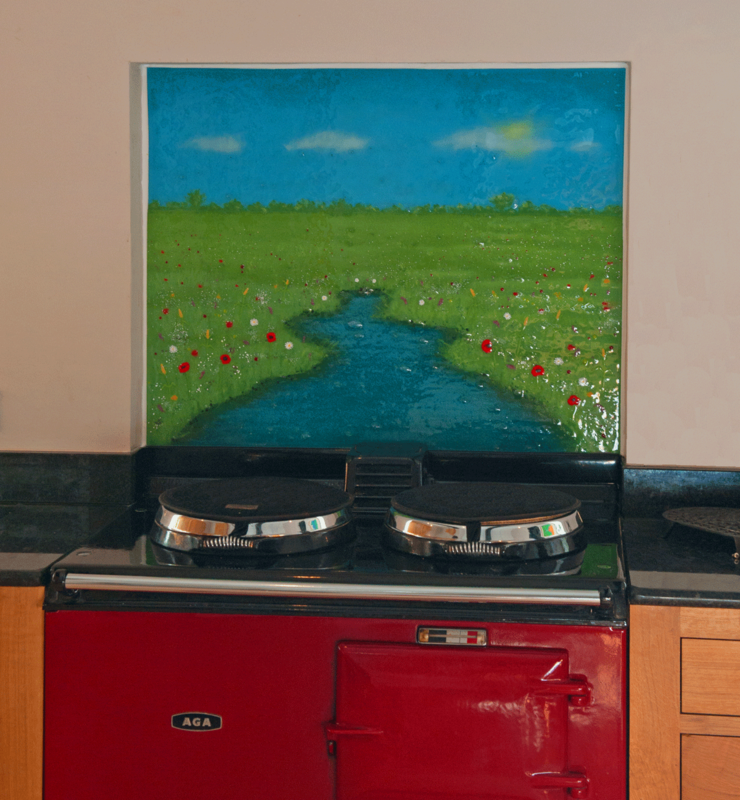 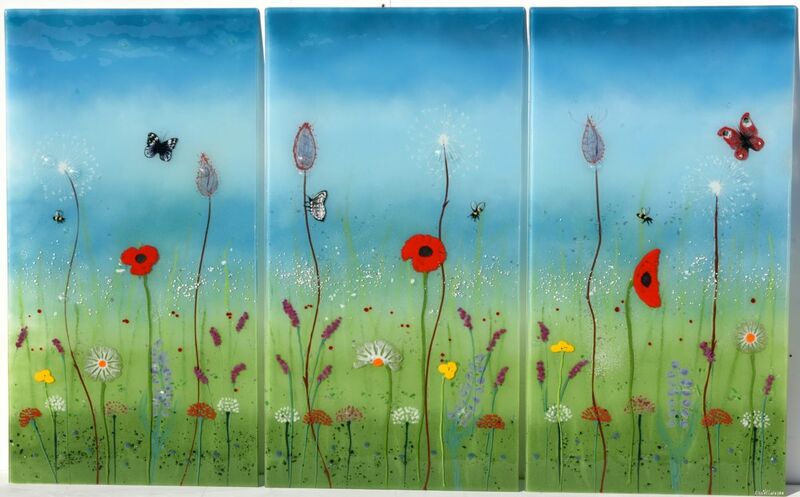 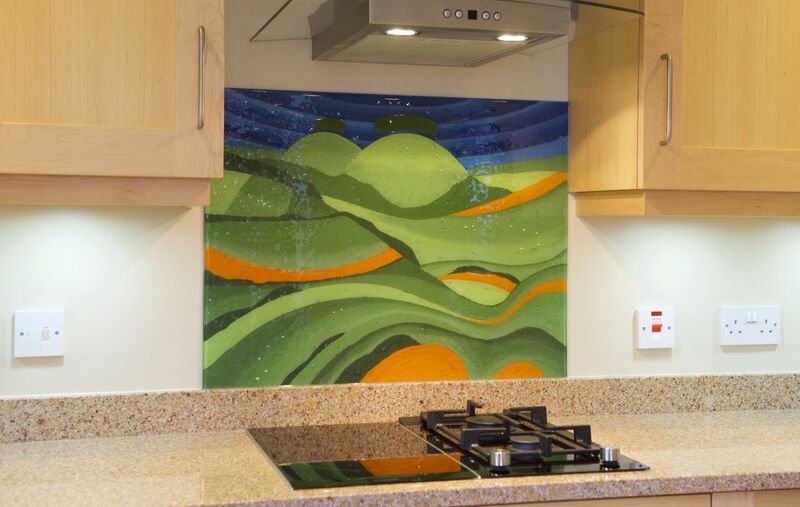 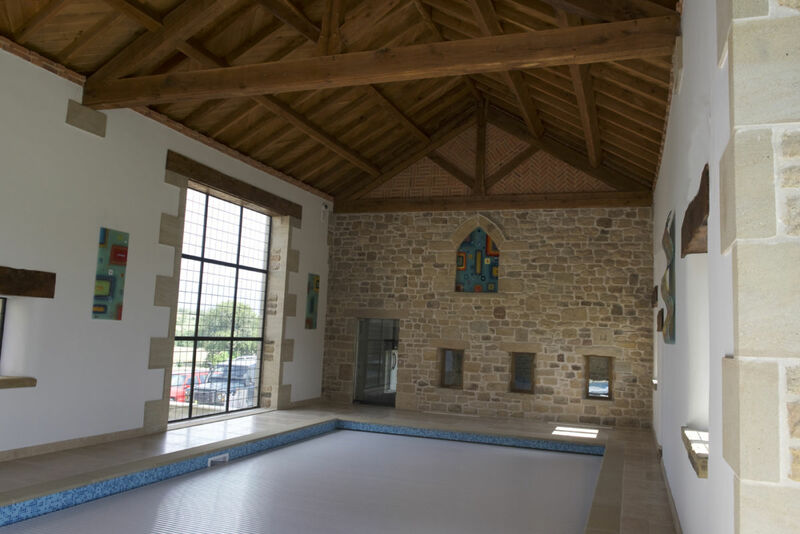 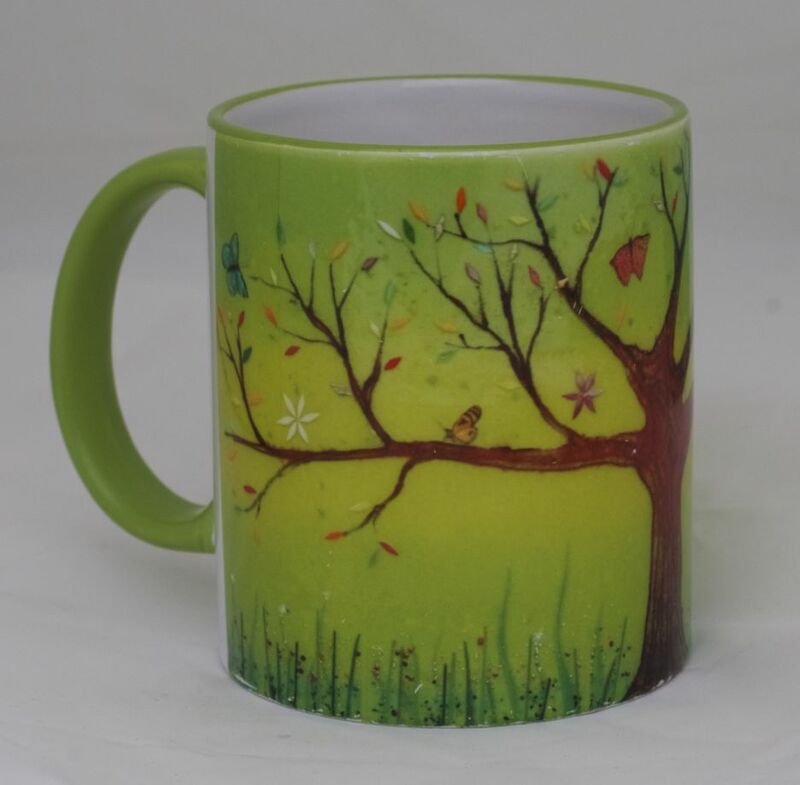 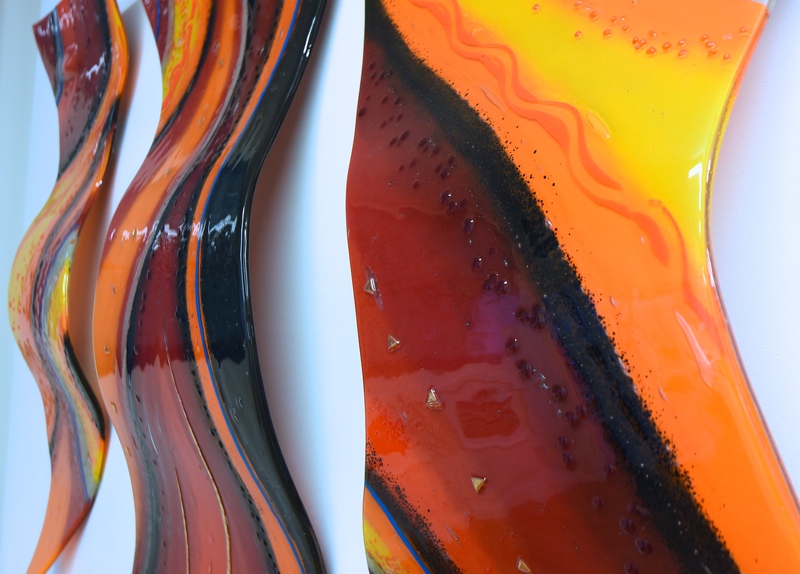 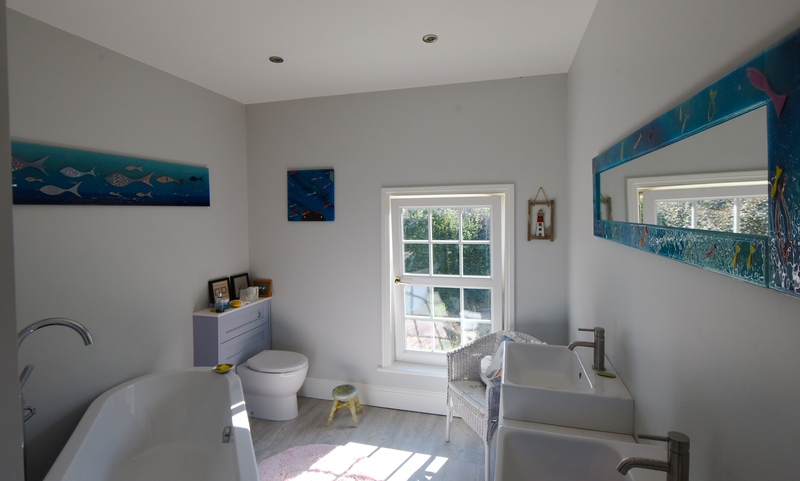 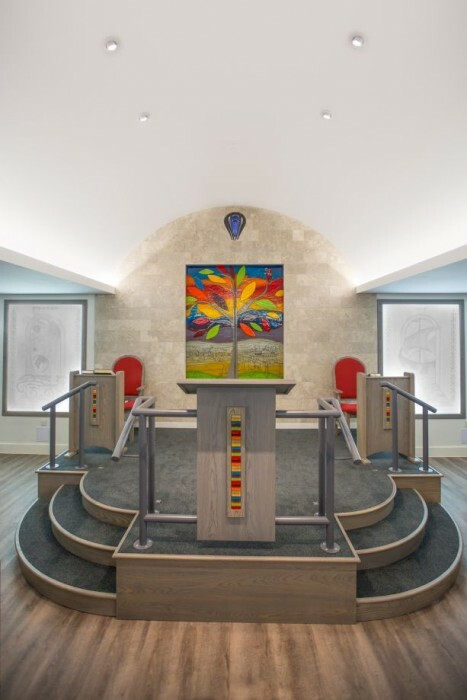 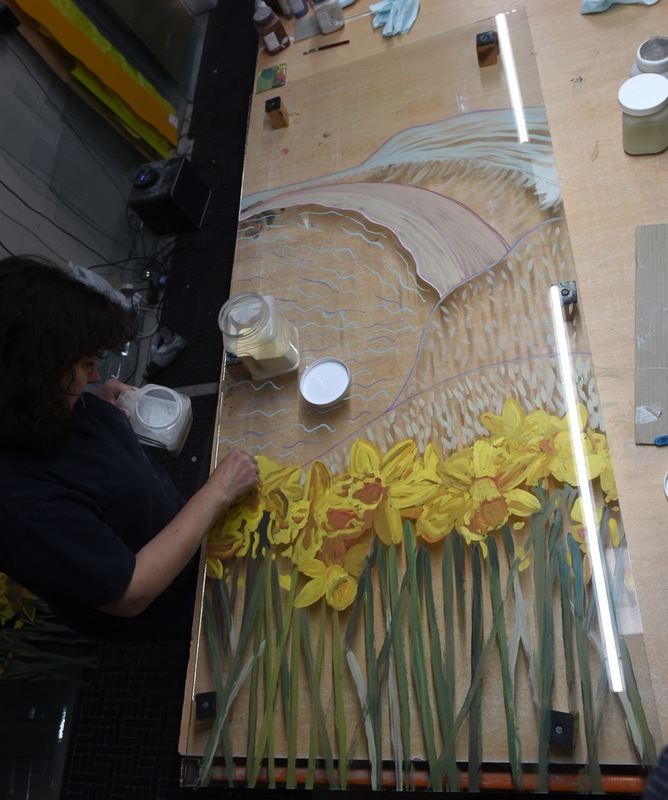 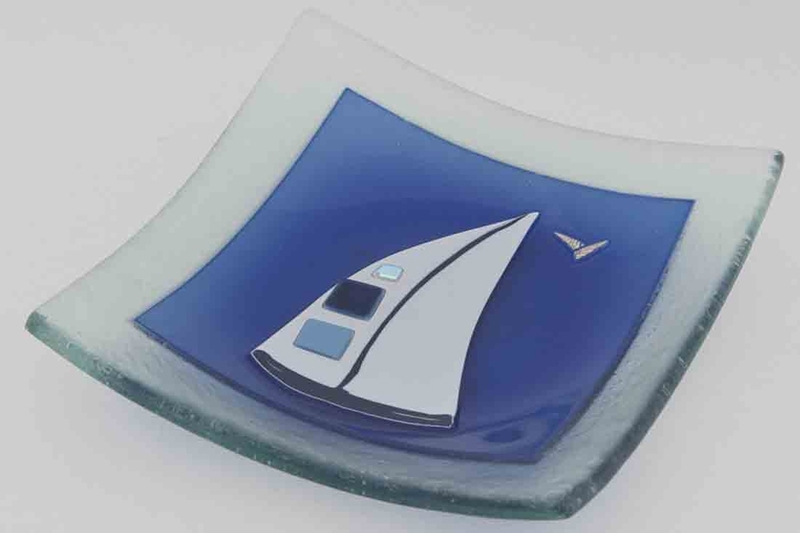 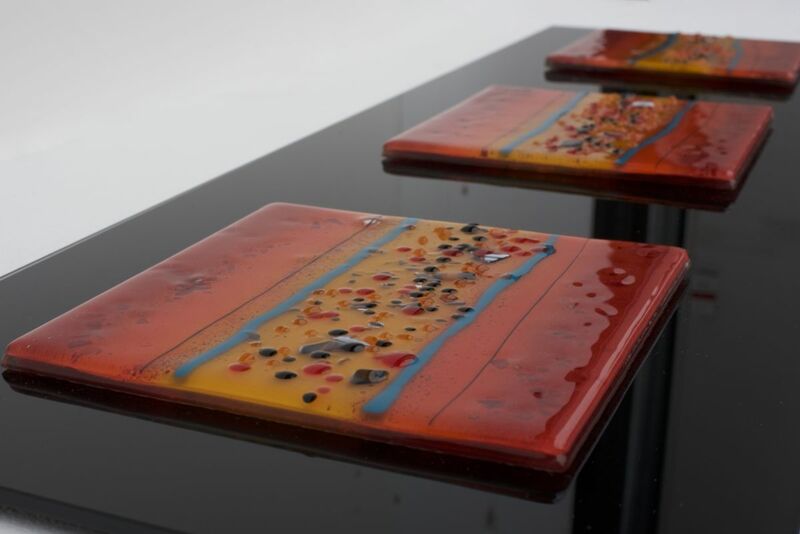 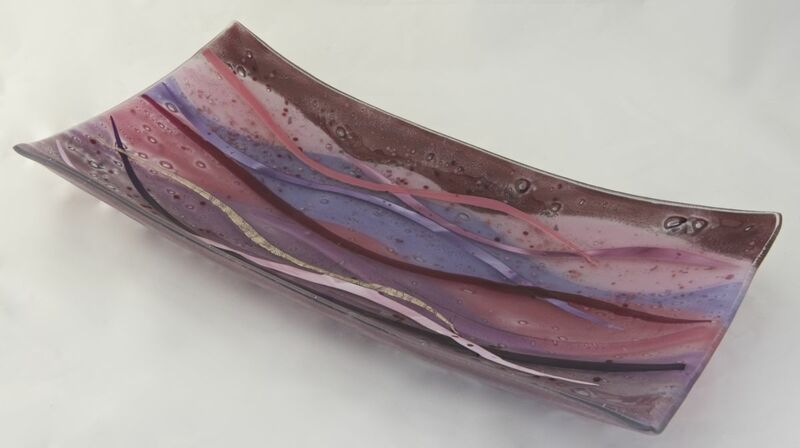 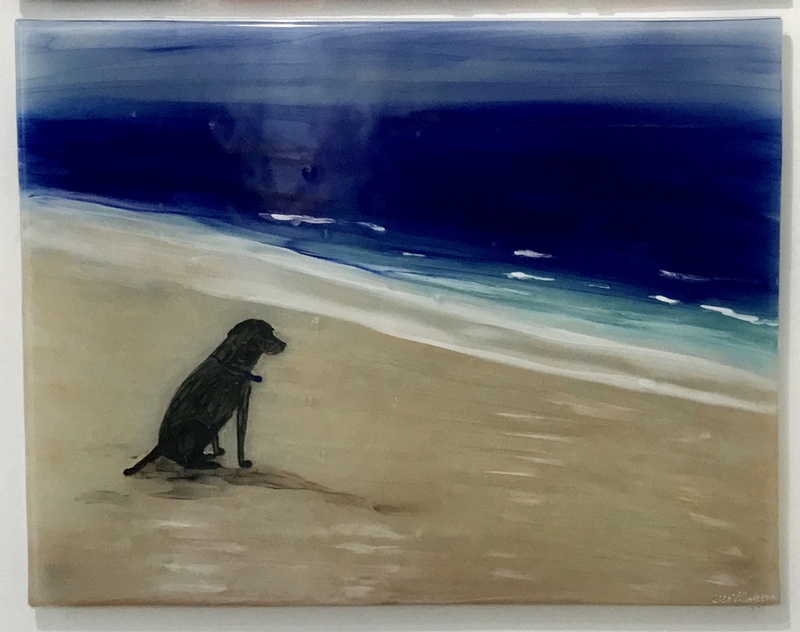 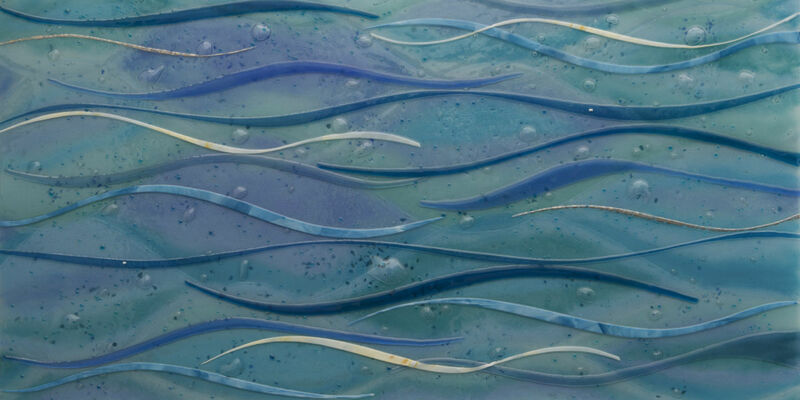 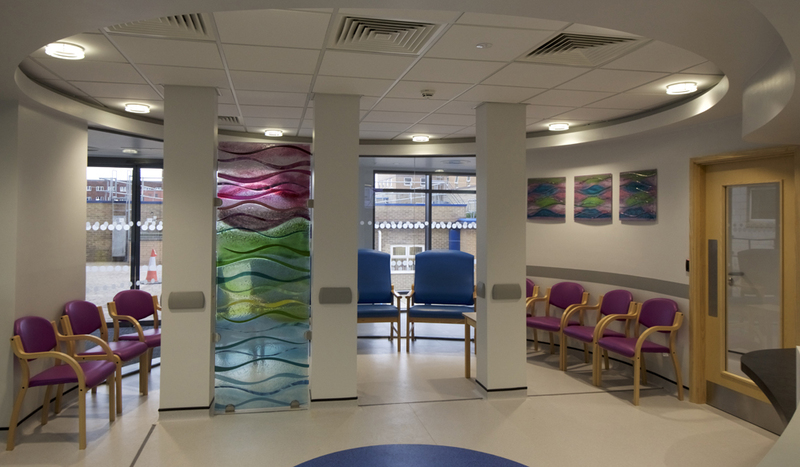 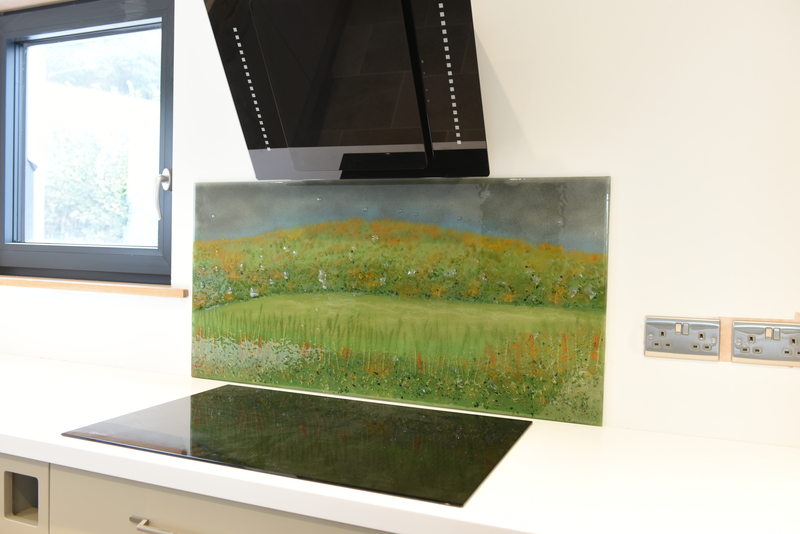 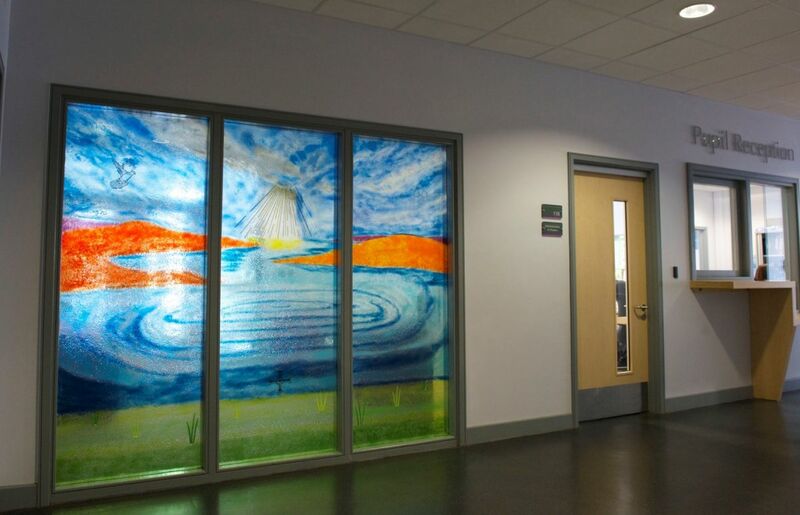 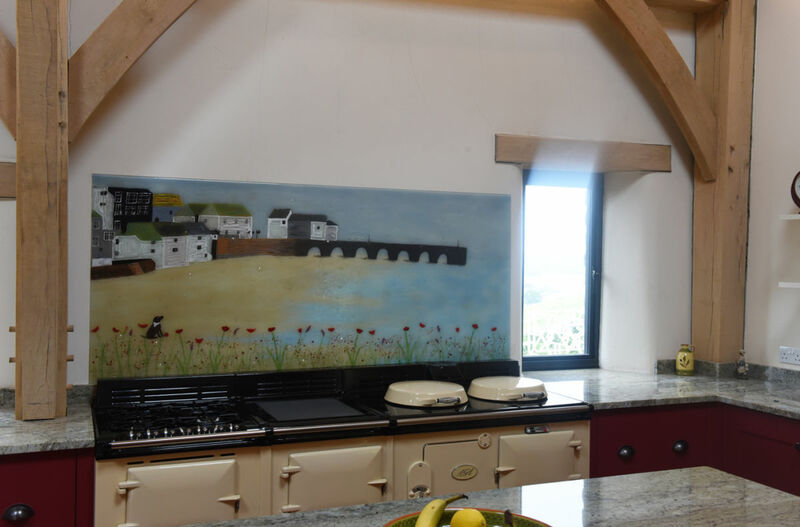 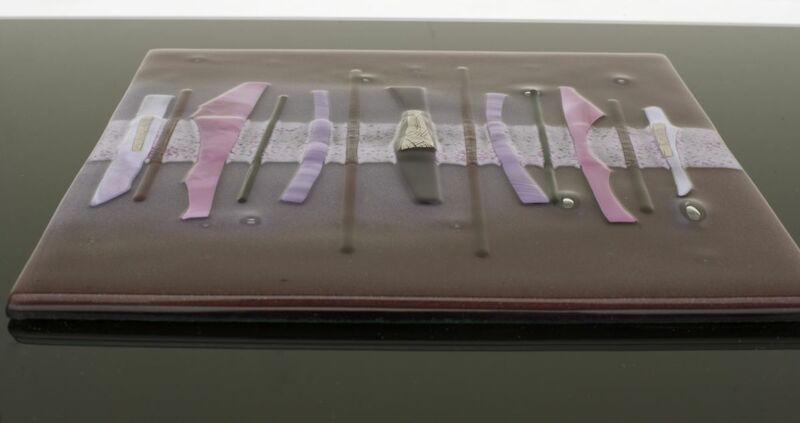 Every piece of fused glass art that rolls out of our kiln is hand made and crafted to be a perfectly bespoke vision of your ideal design, so we really mean it when we say that your imagination is the limit. 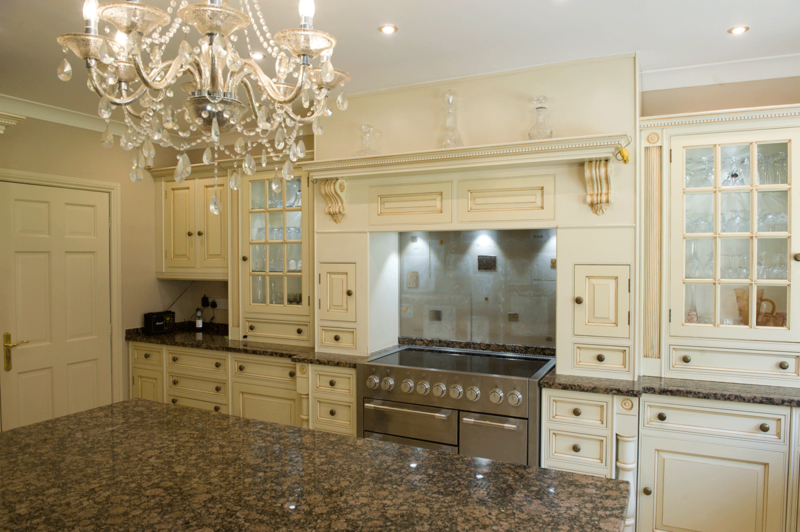 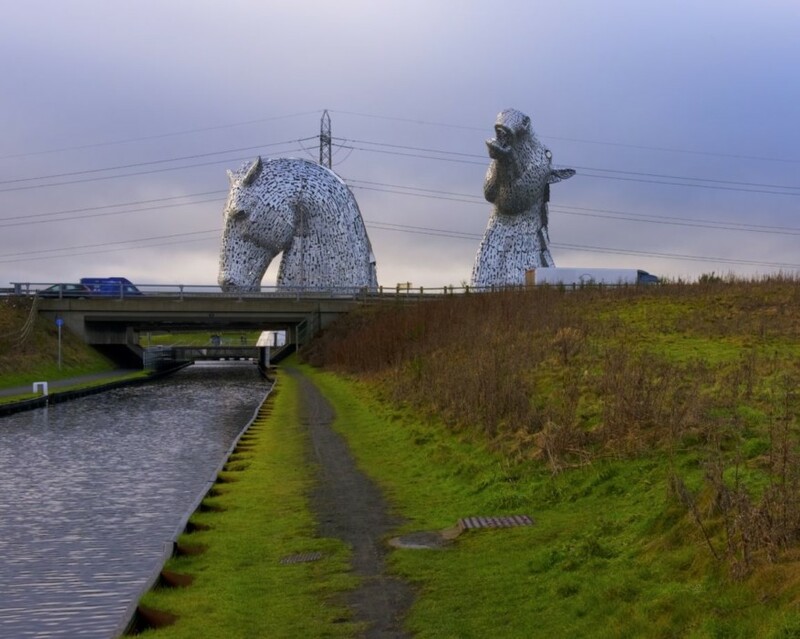 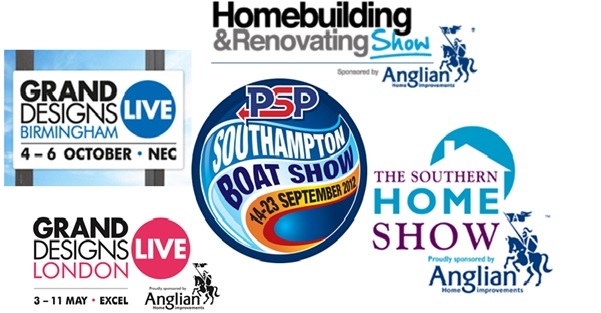 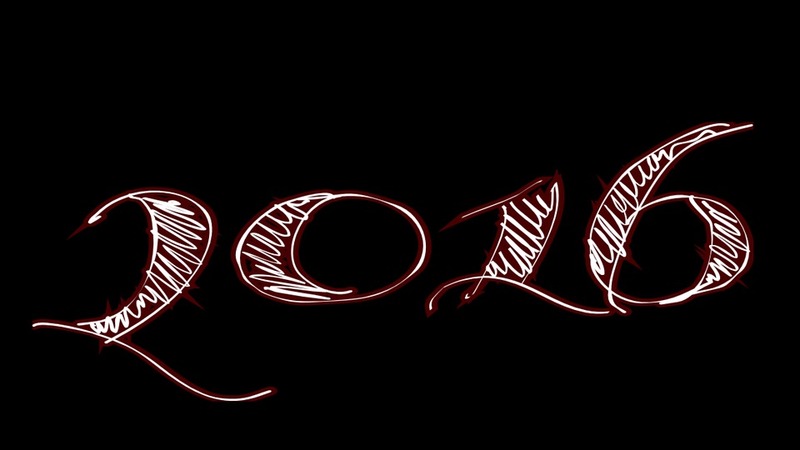 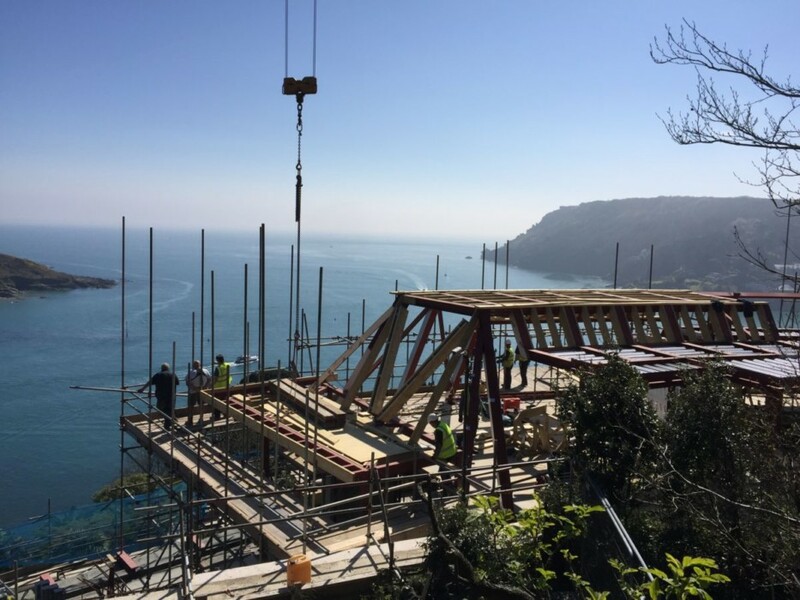 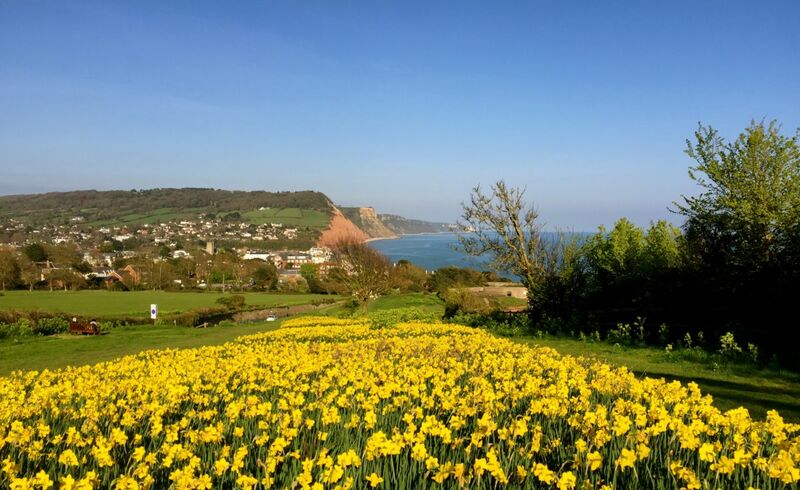 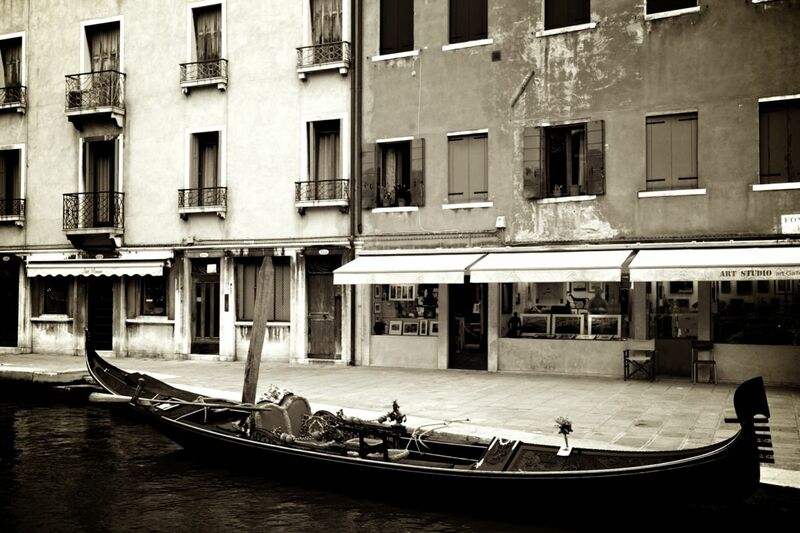 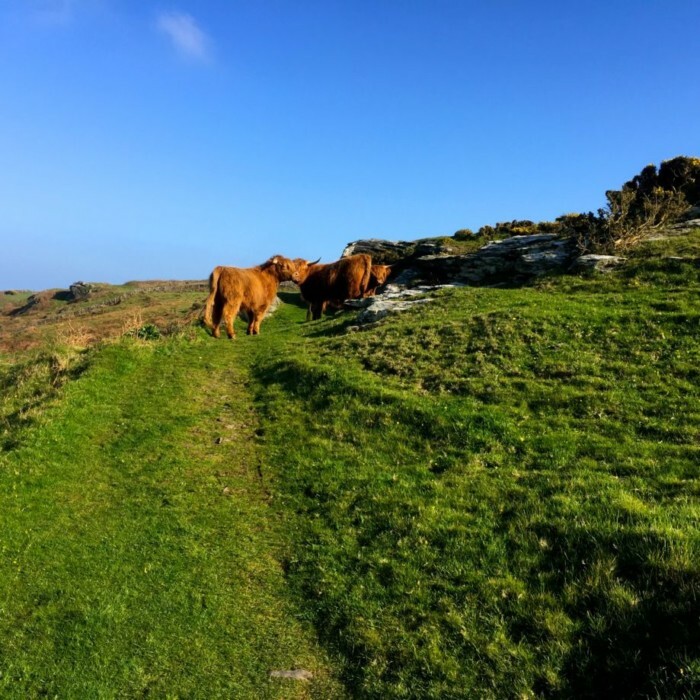 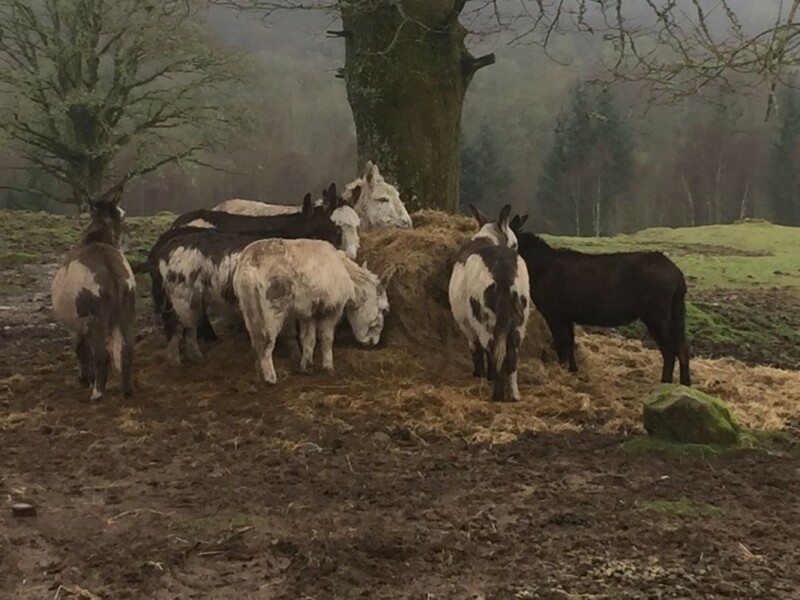 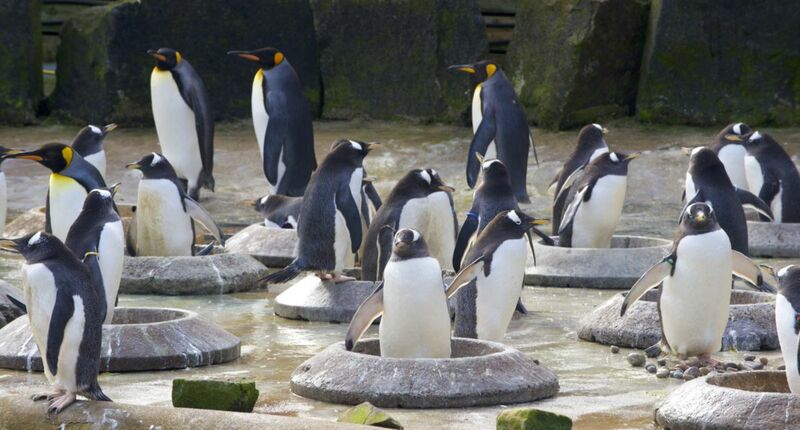 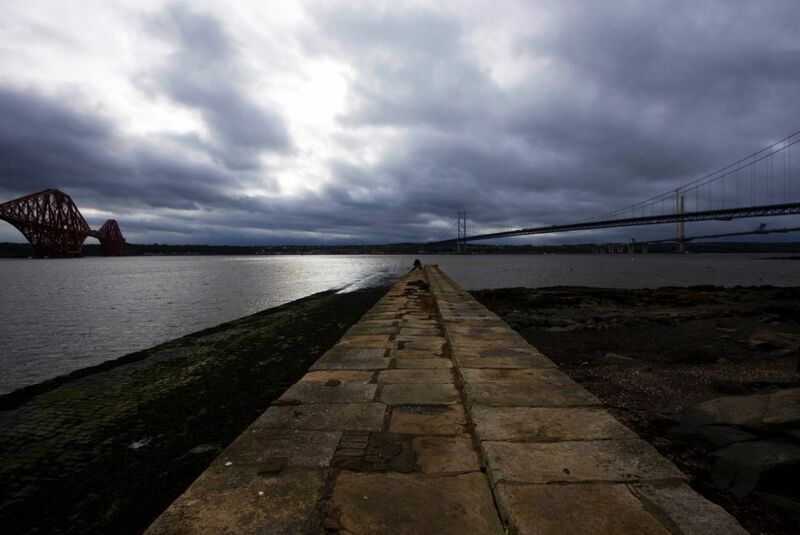 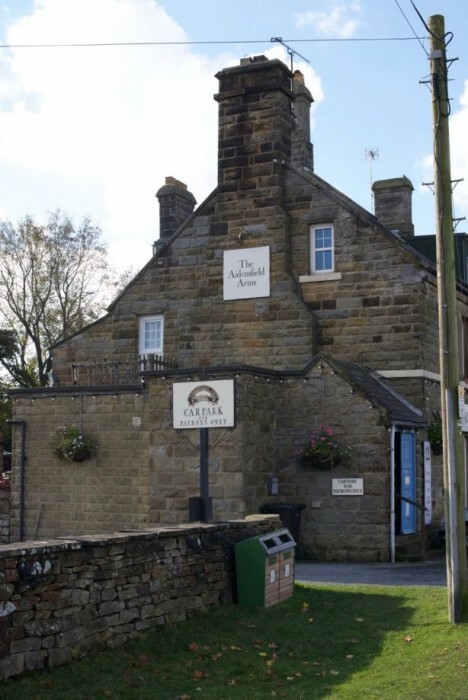 Find our full contact details here on our website, and don’t hesitate to pick up the phone or drop us an email!